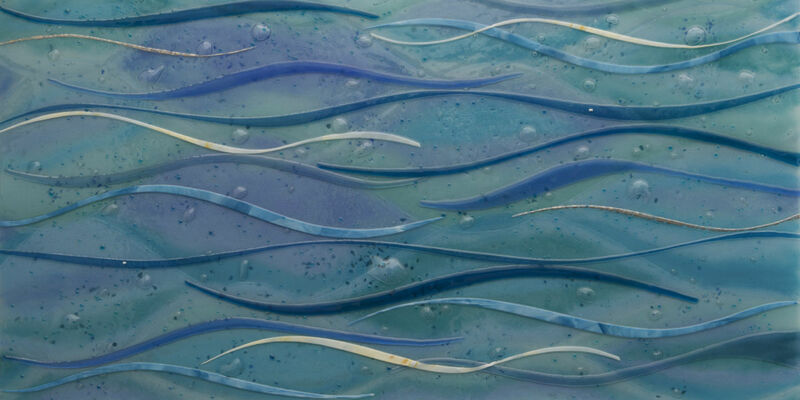 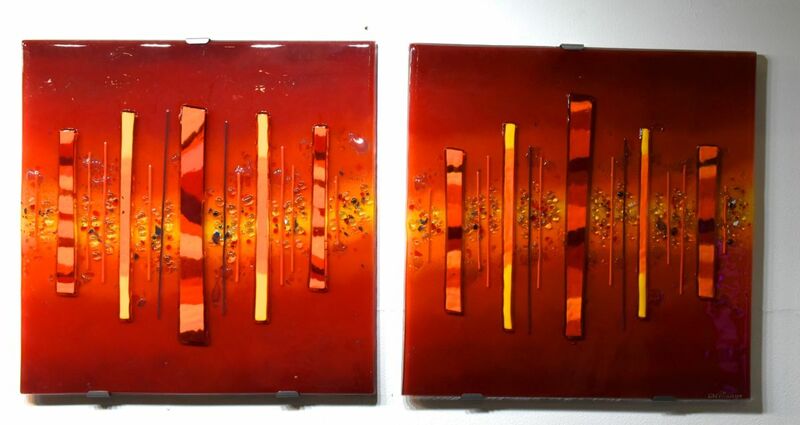 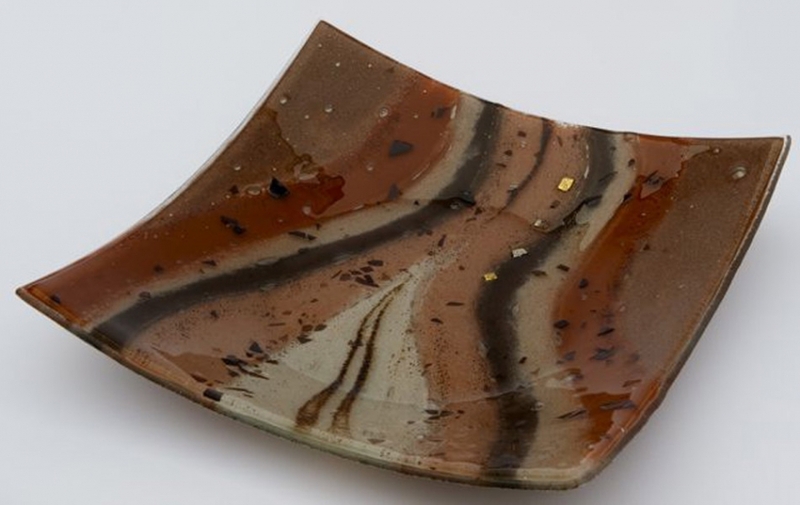 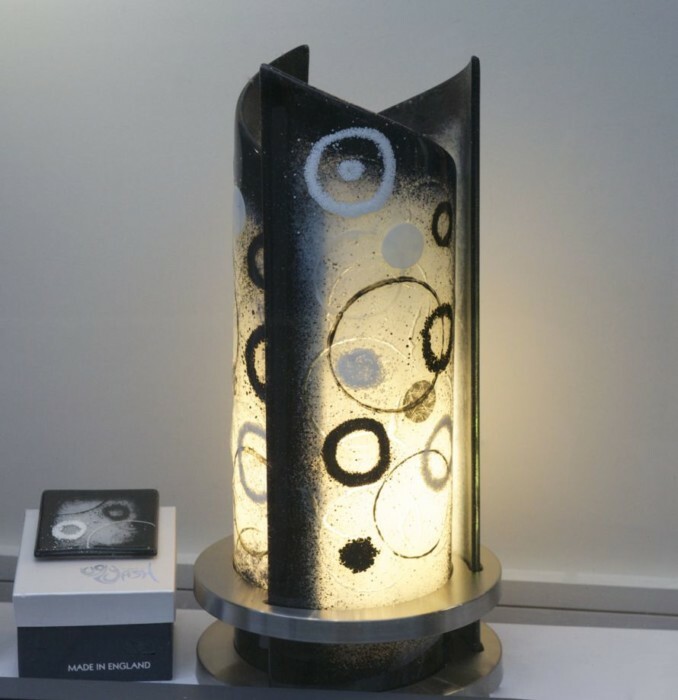 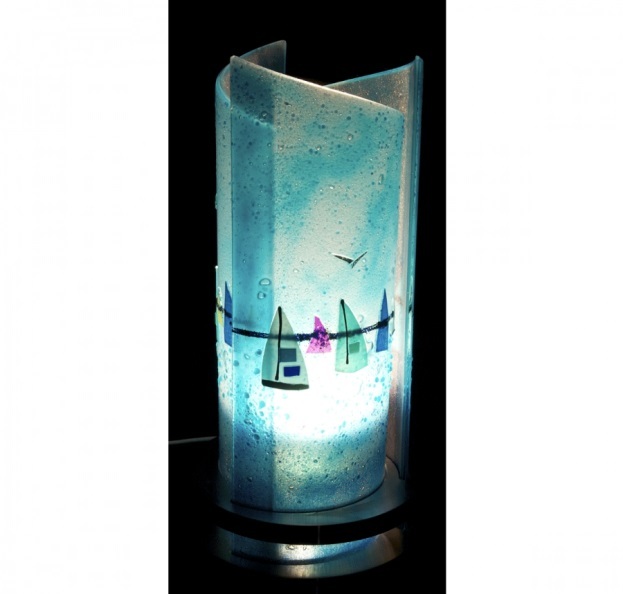 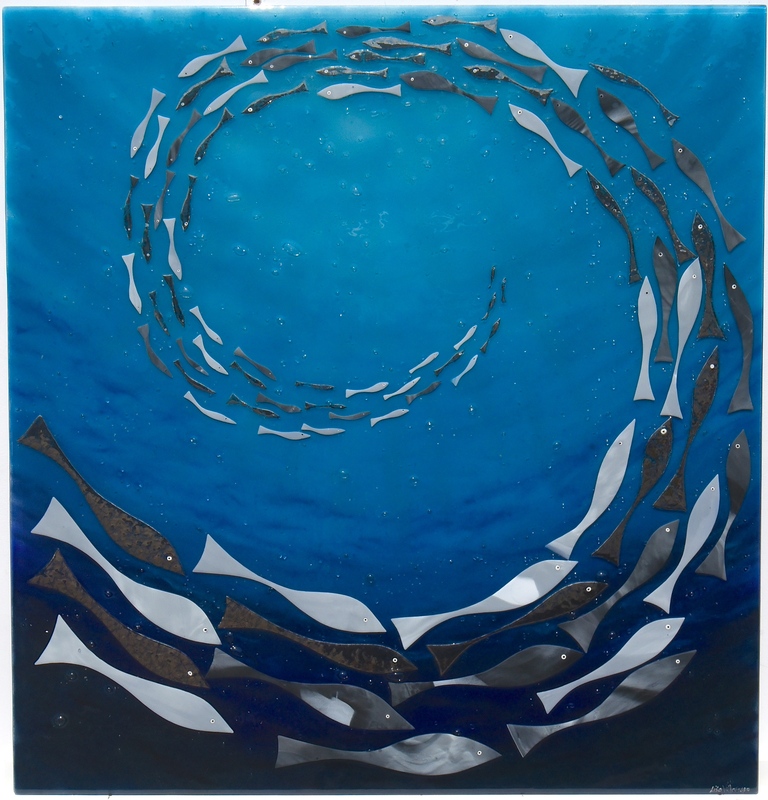 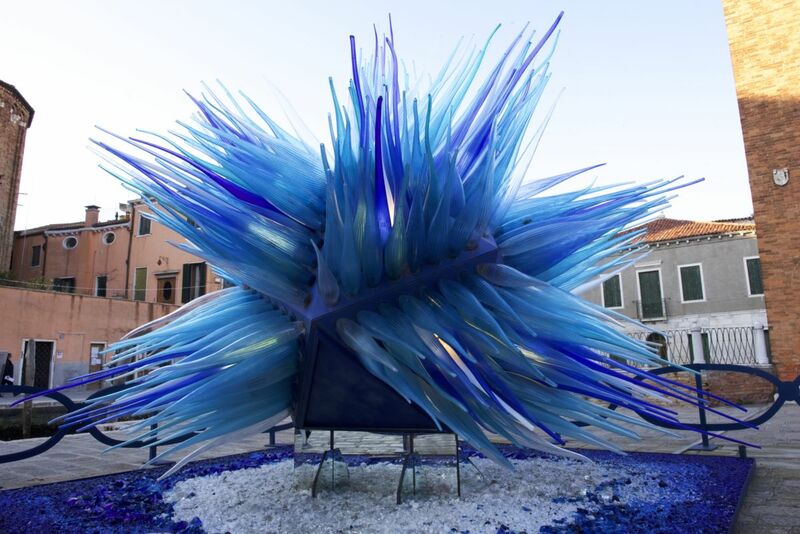 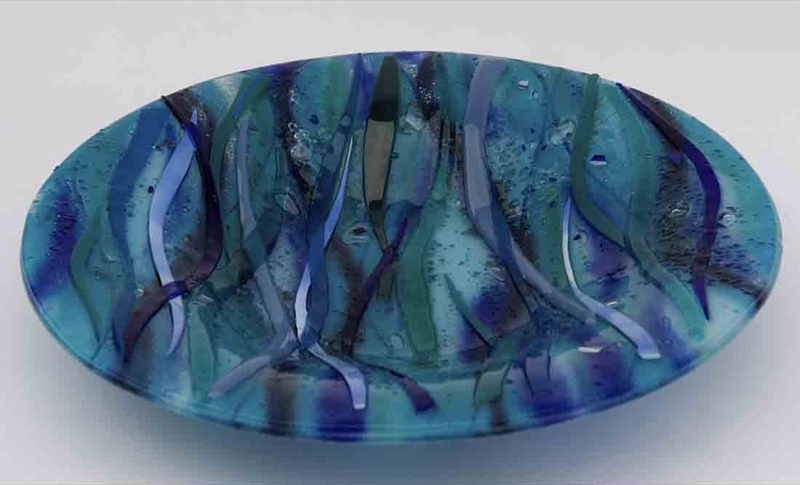 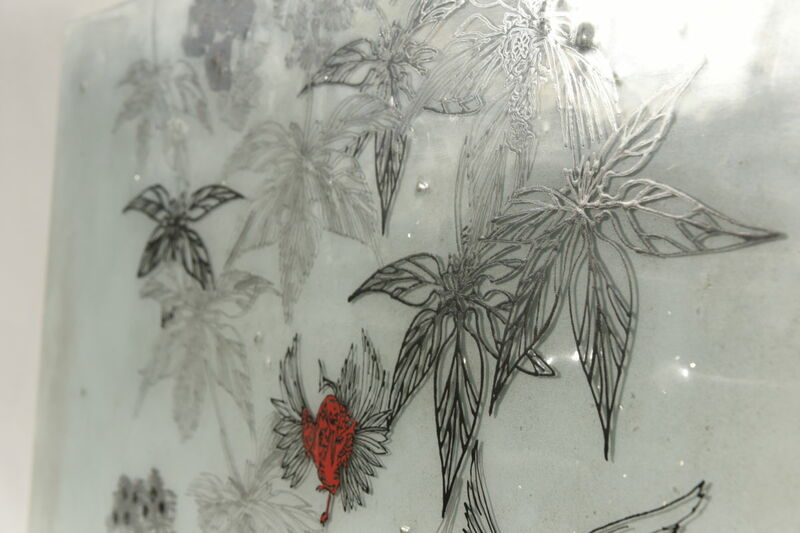 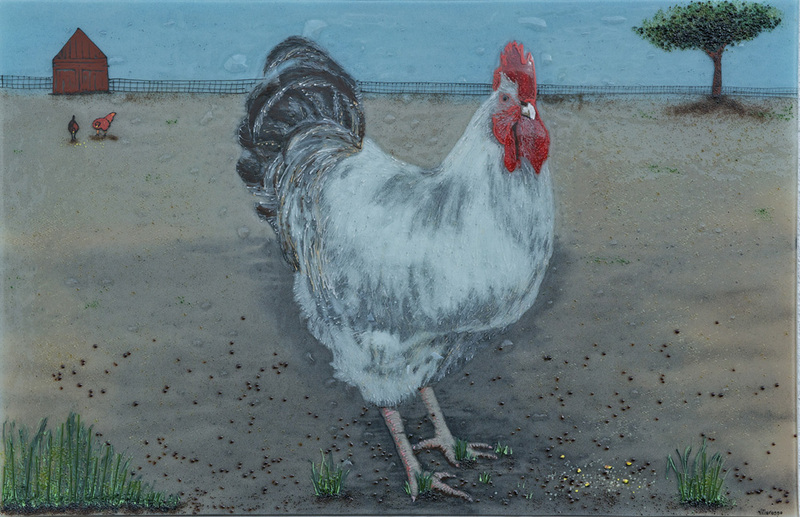 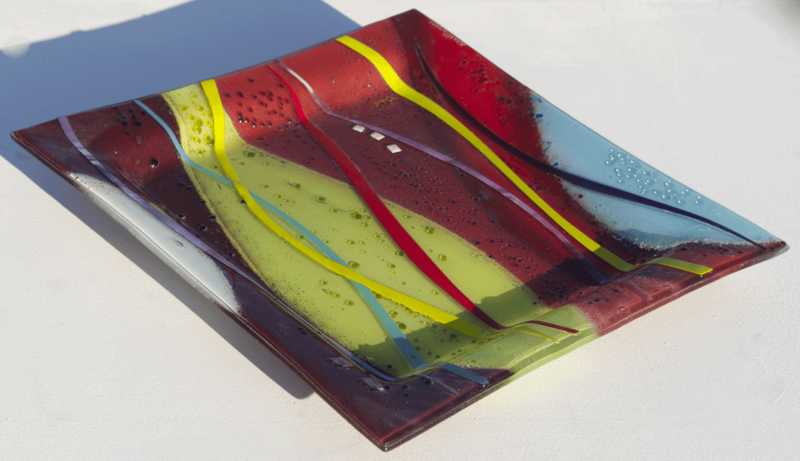 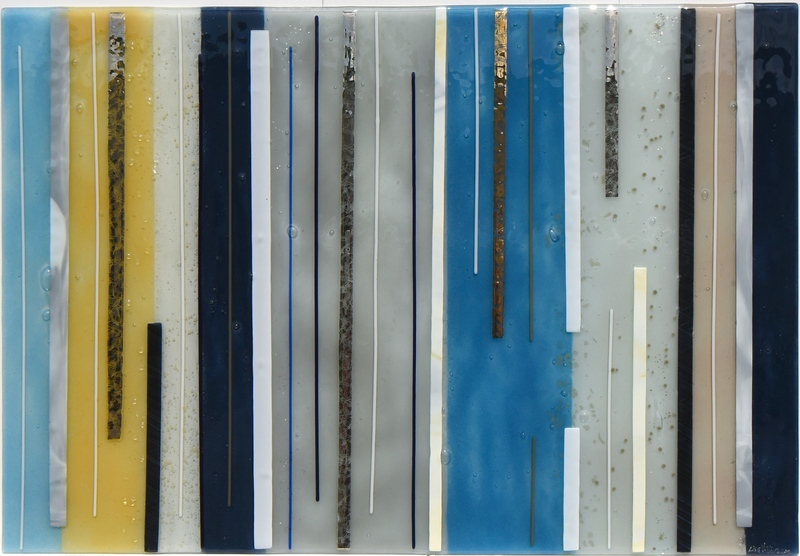 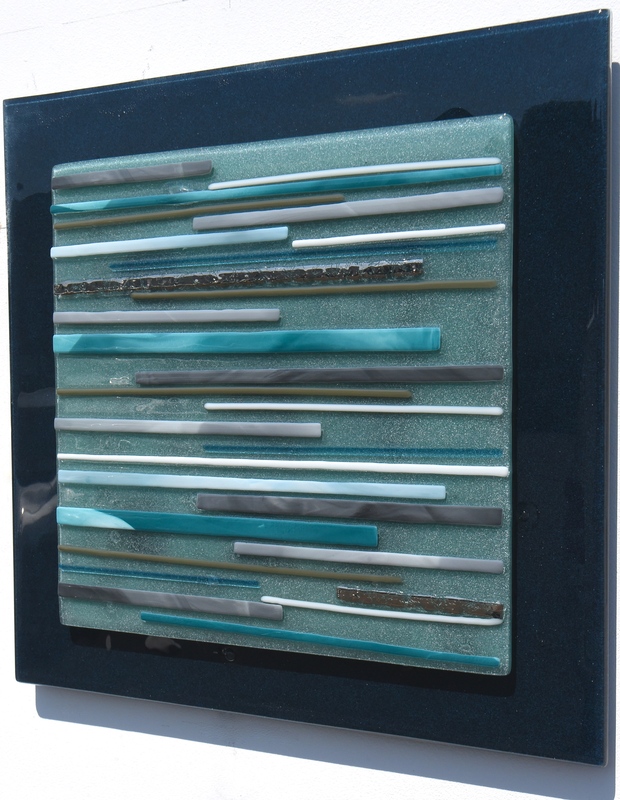 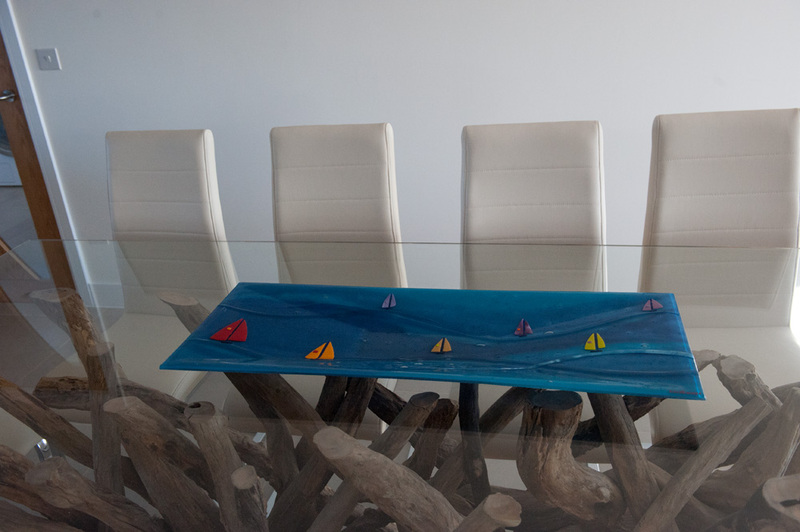 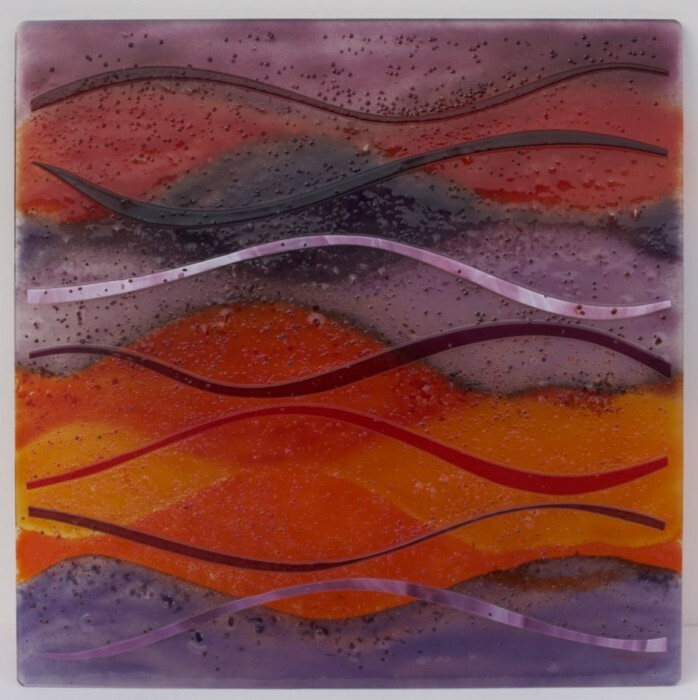 Is fused glass art design, or is it truly art in its own right? 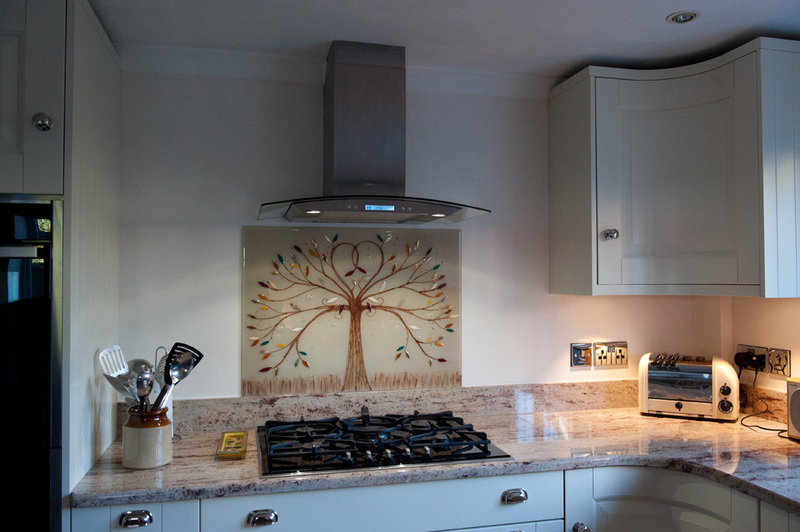 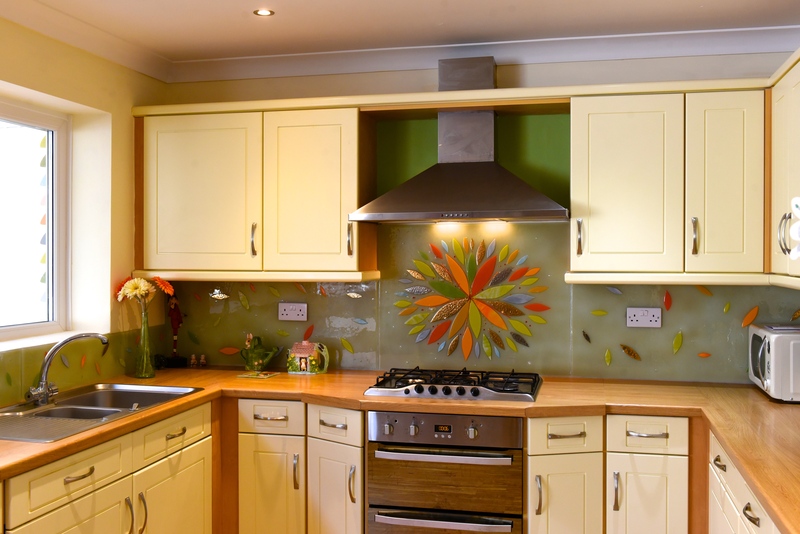 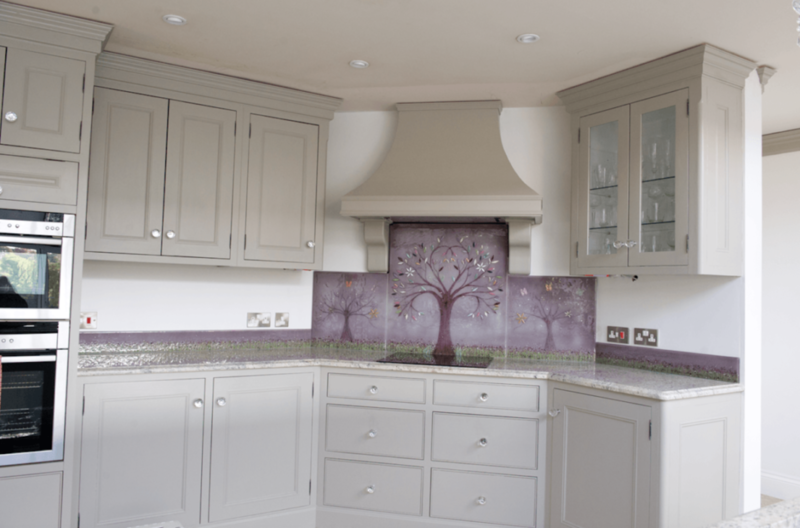 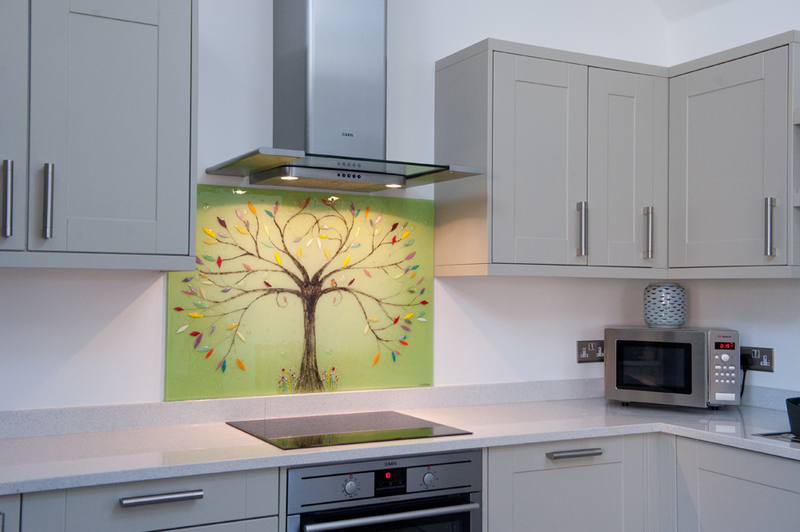 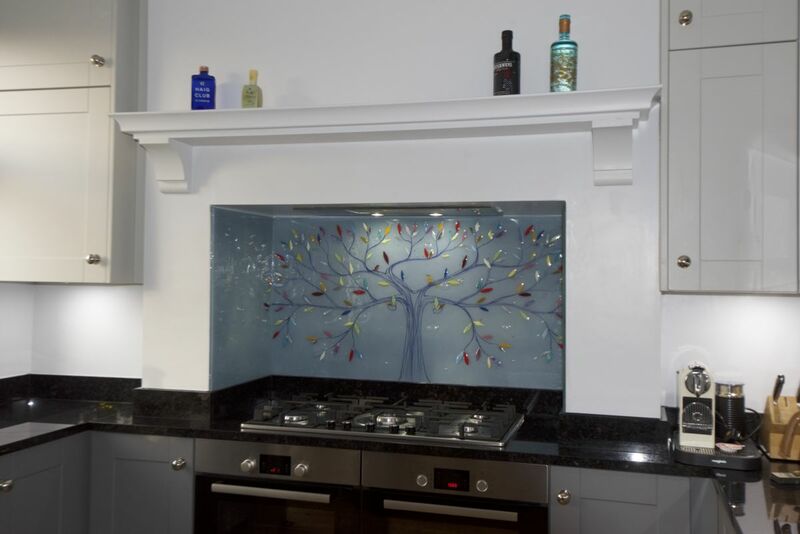 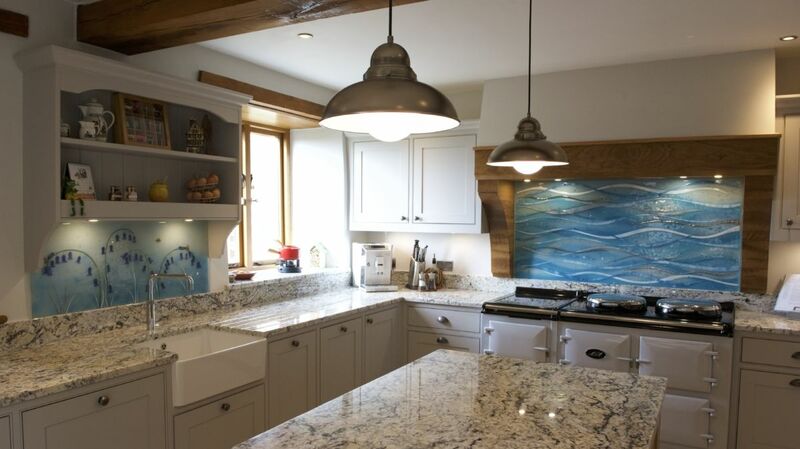 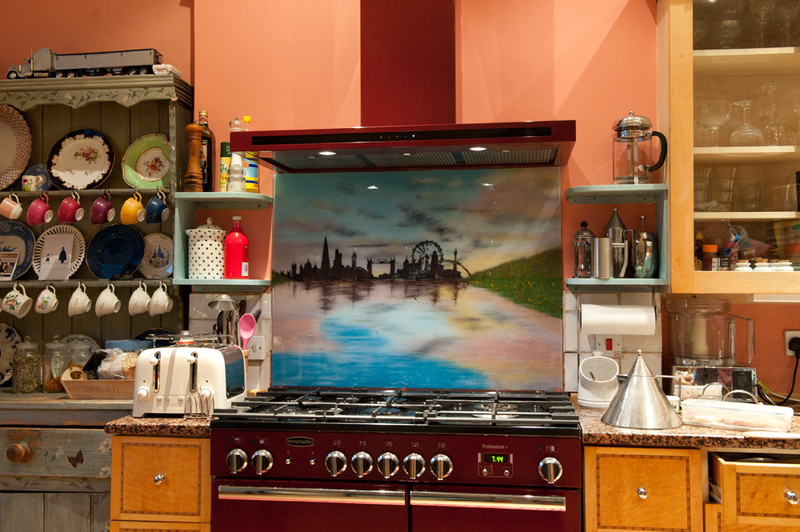 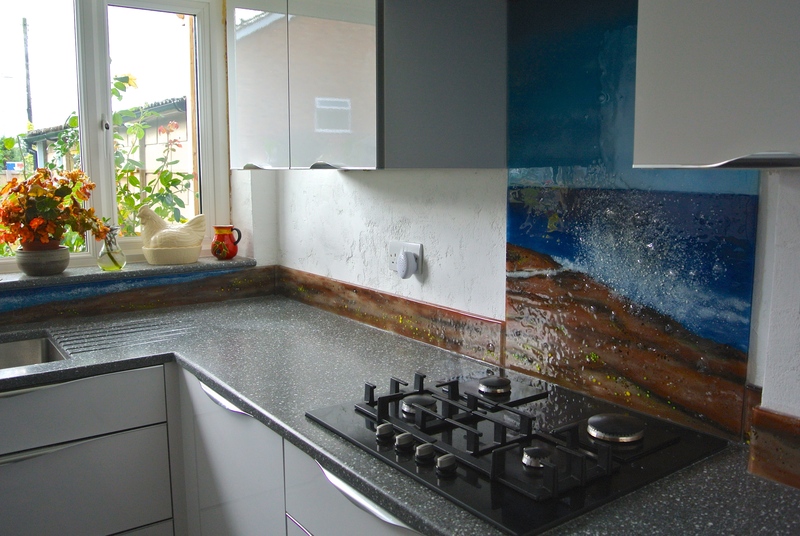 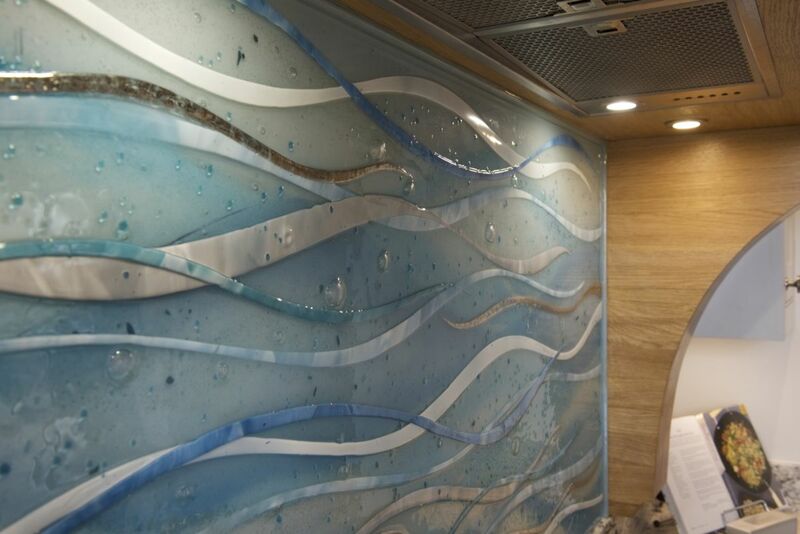 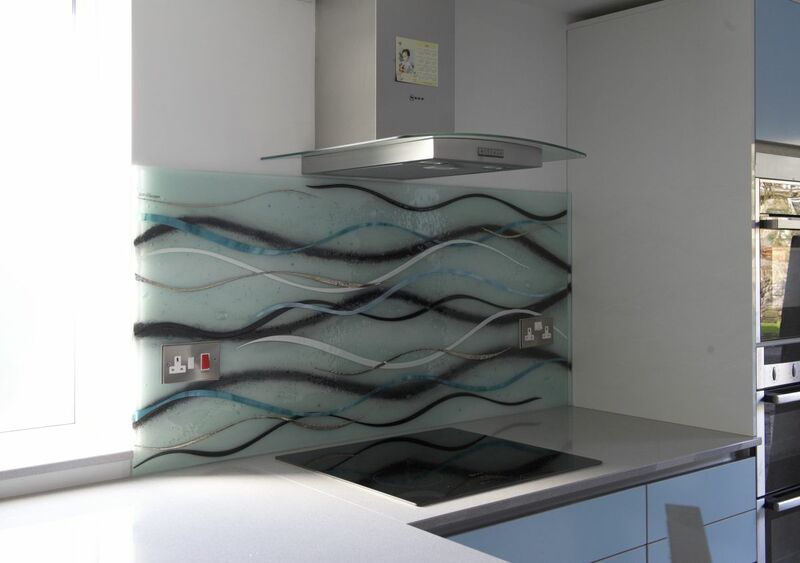 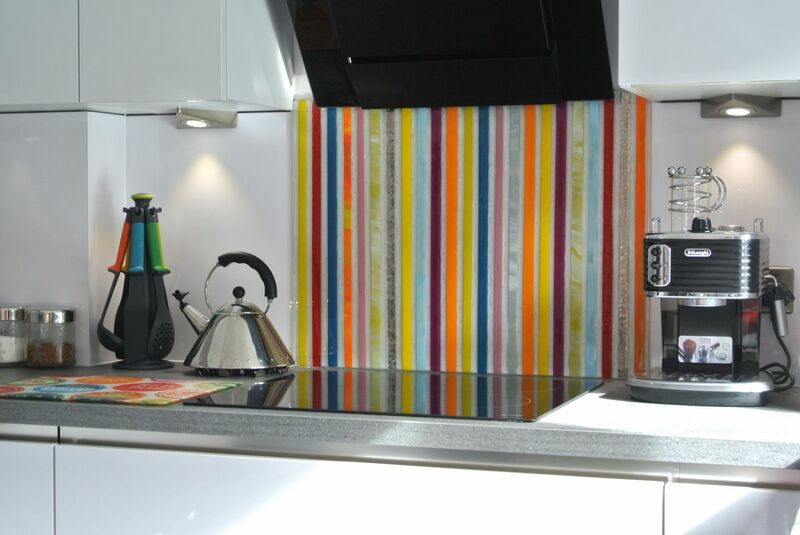 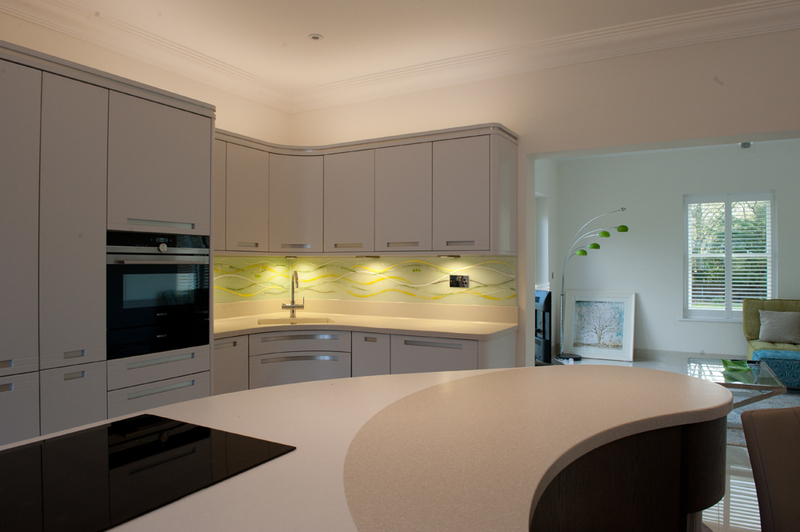 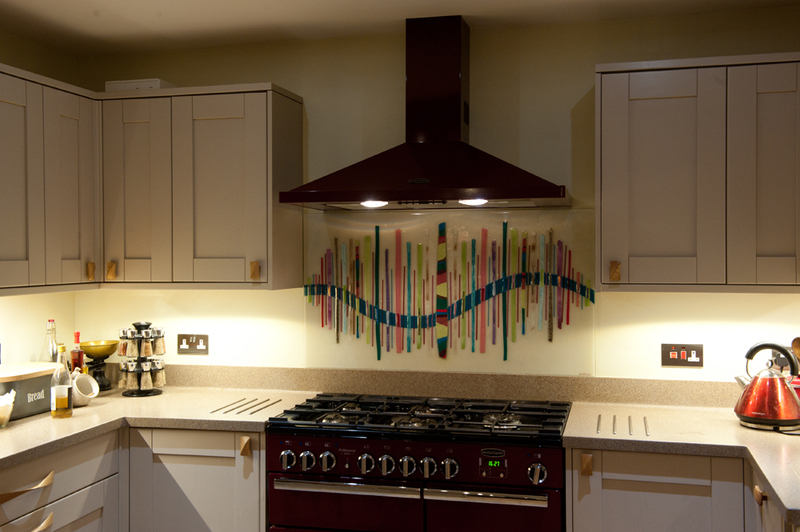 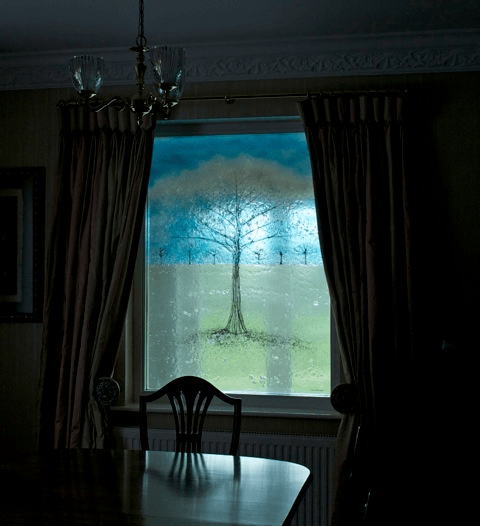 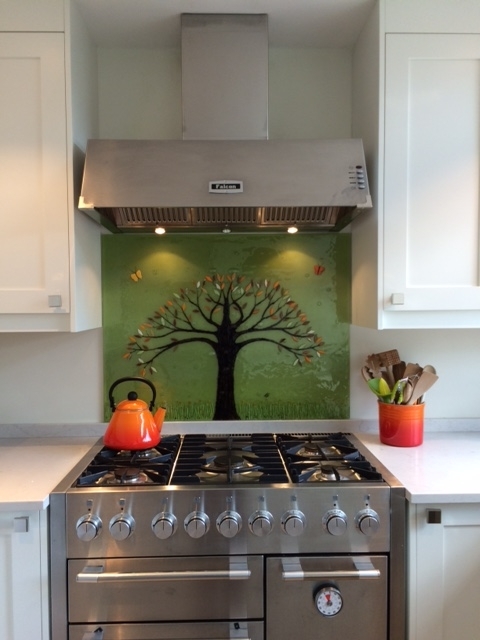 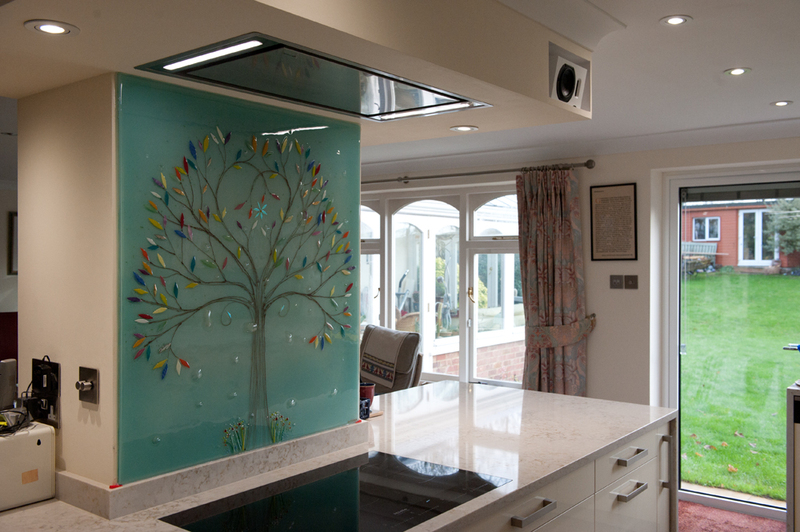 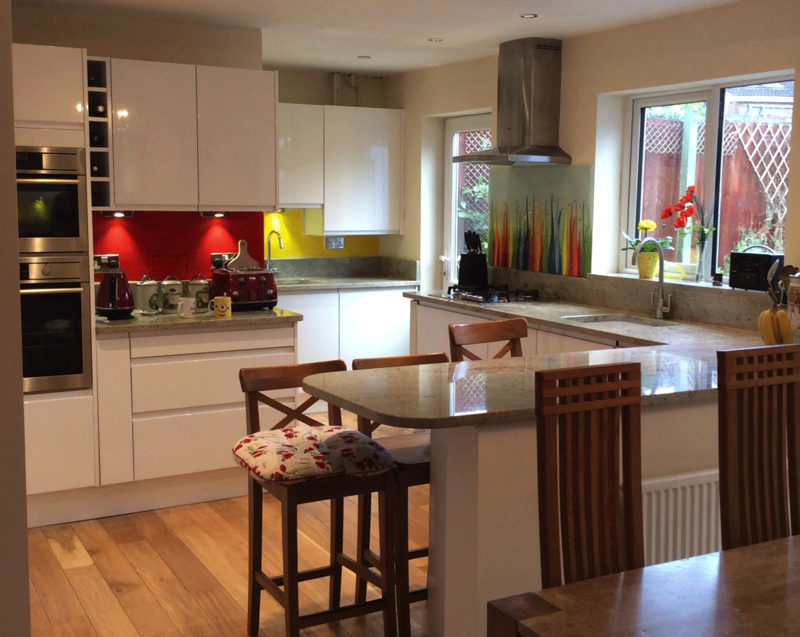 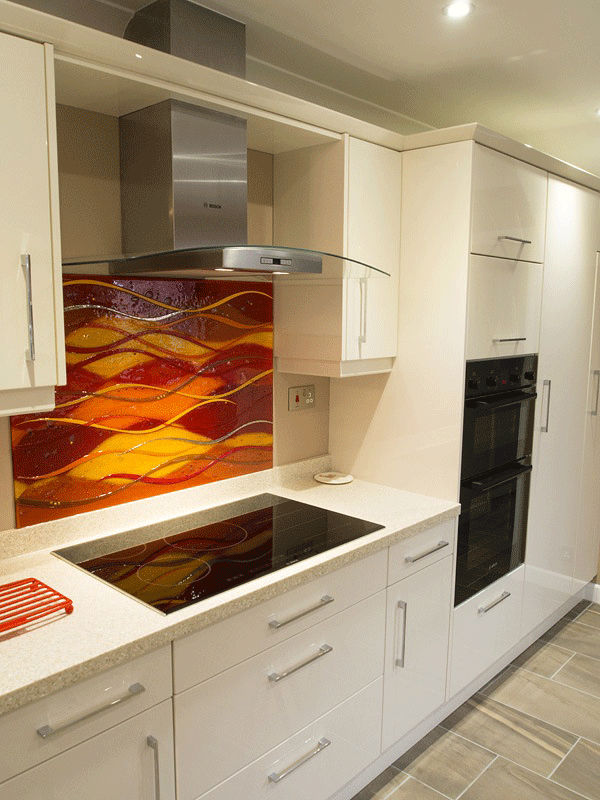 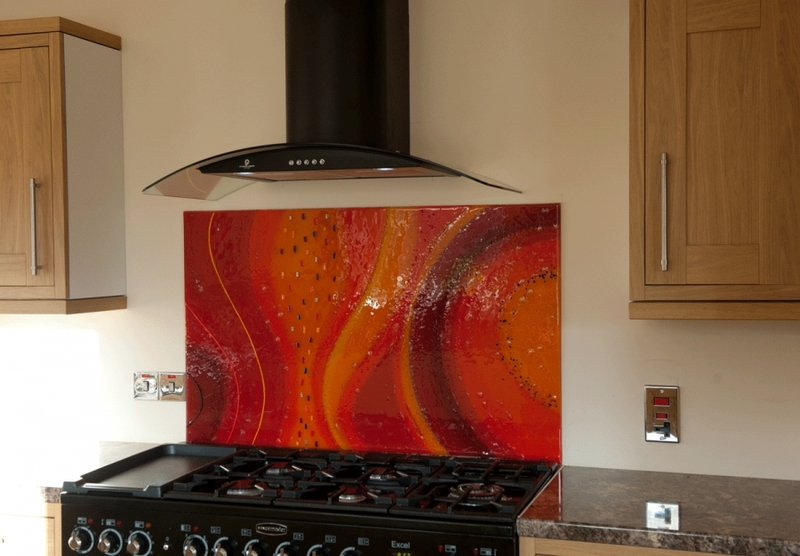 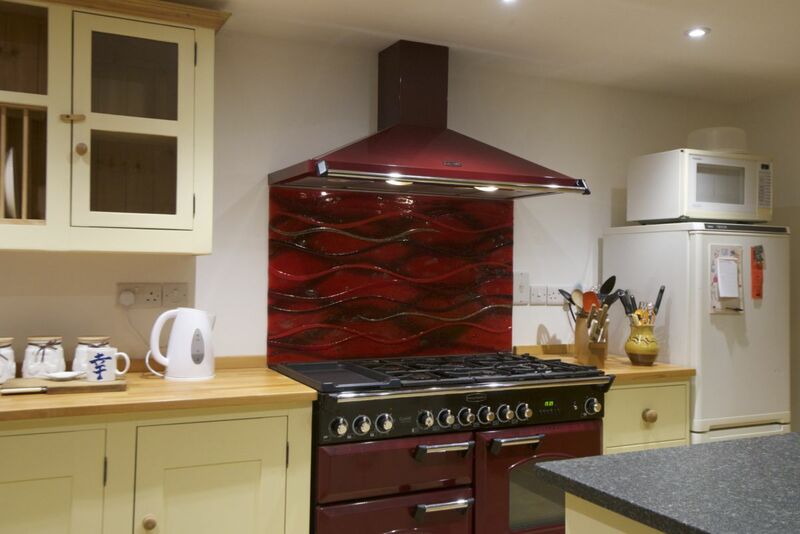 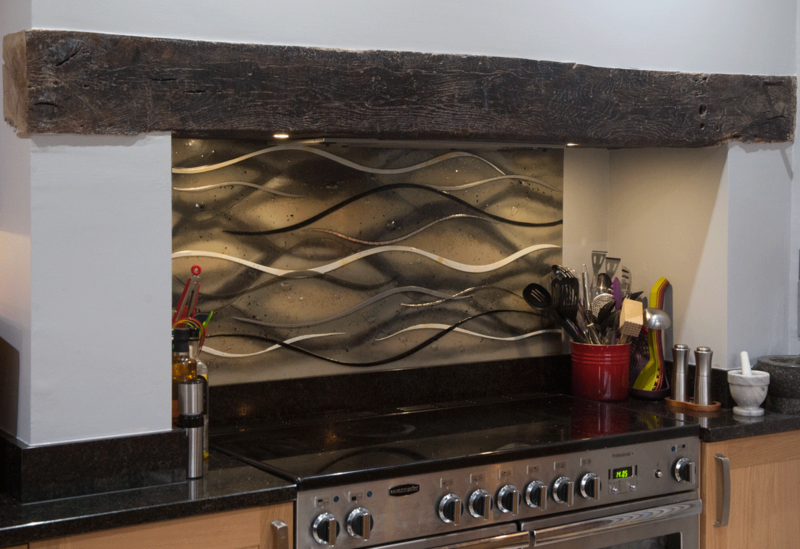 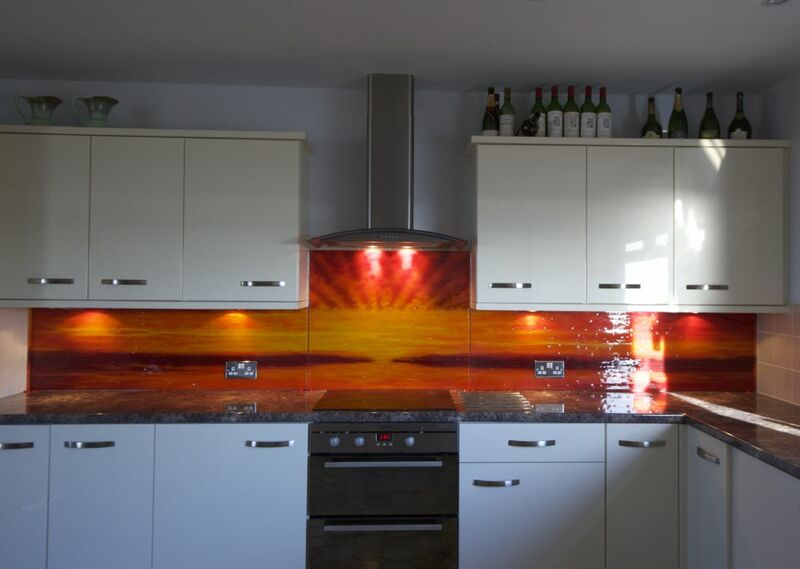 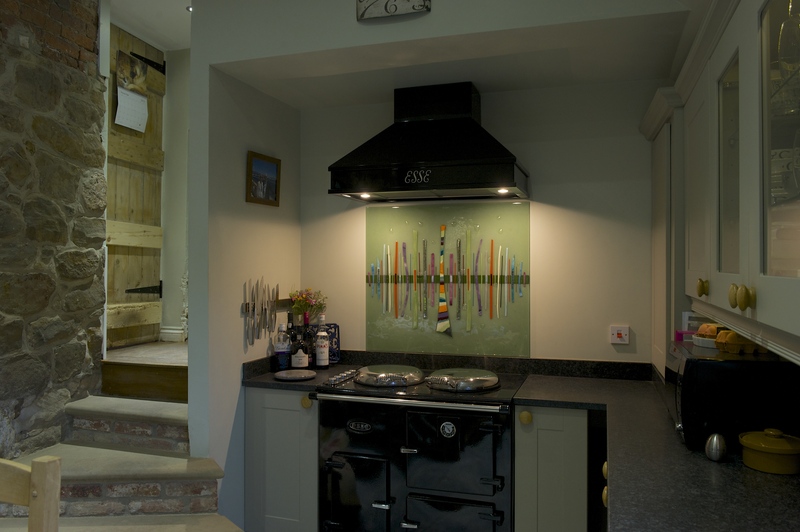 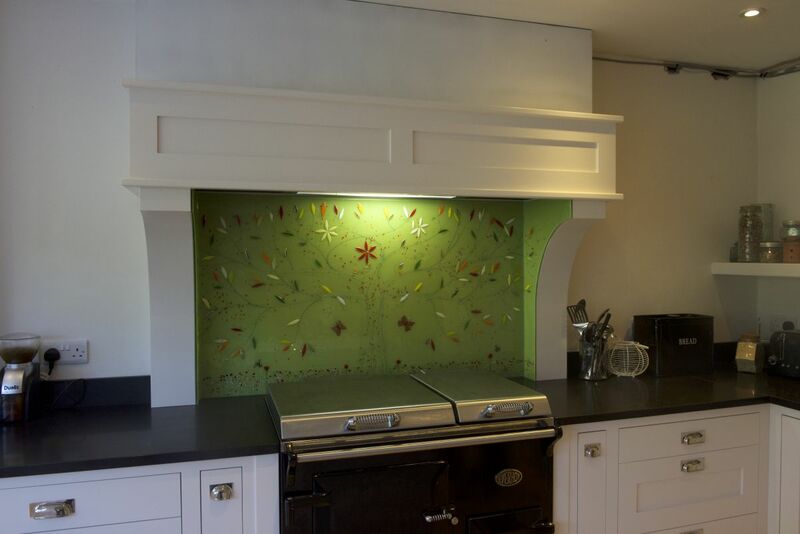 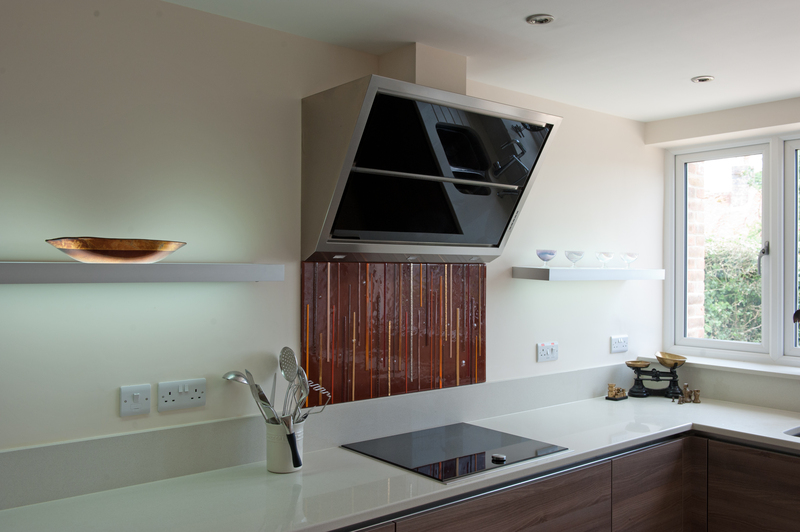 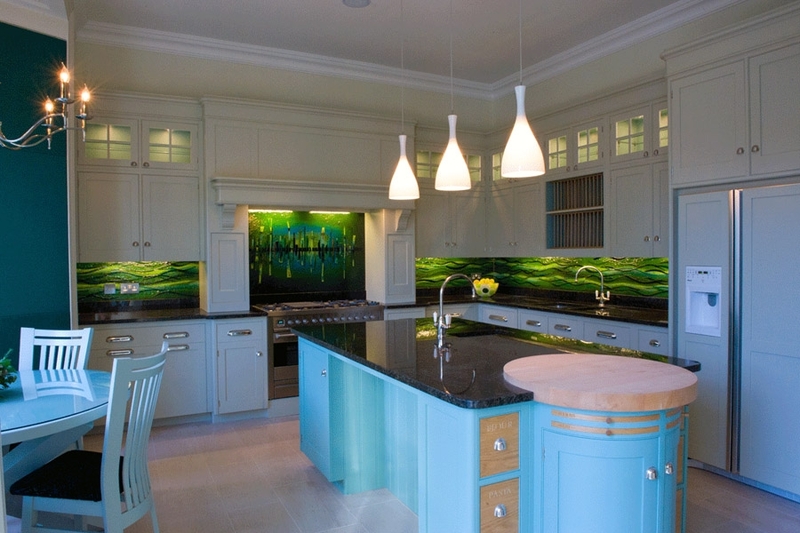 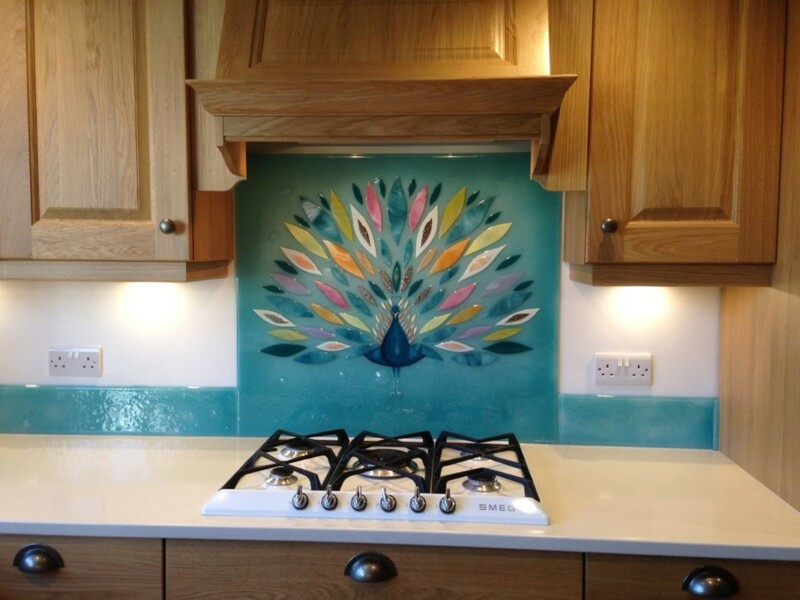 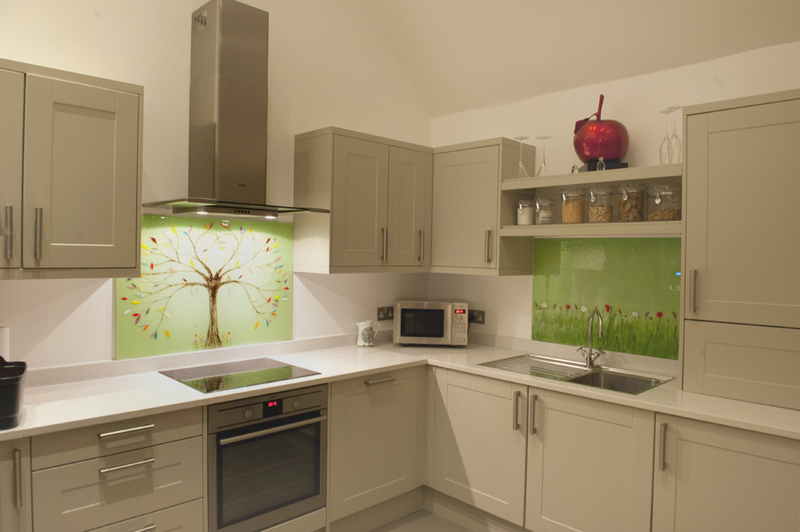 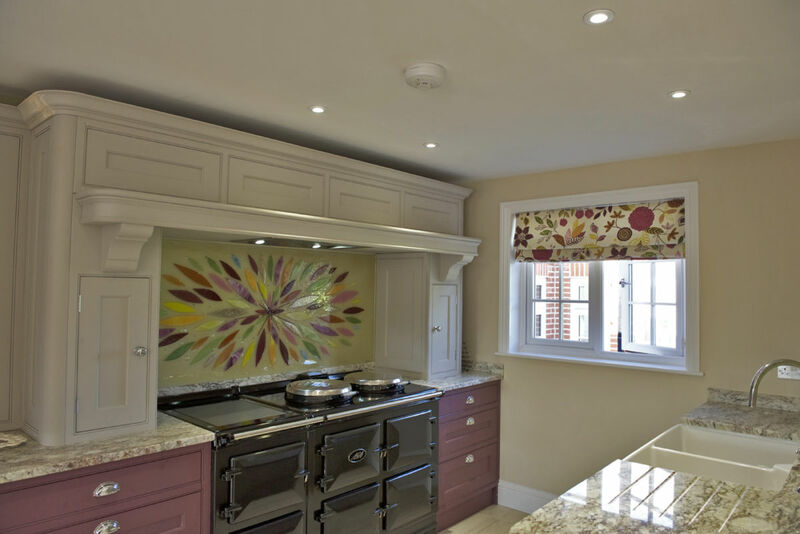 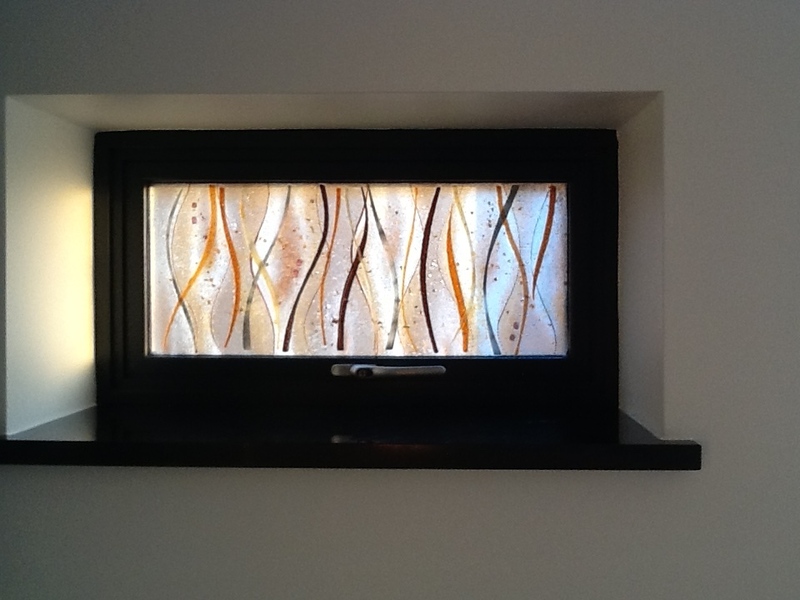 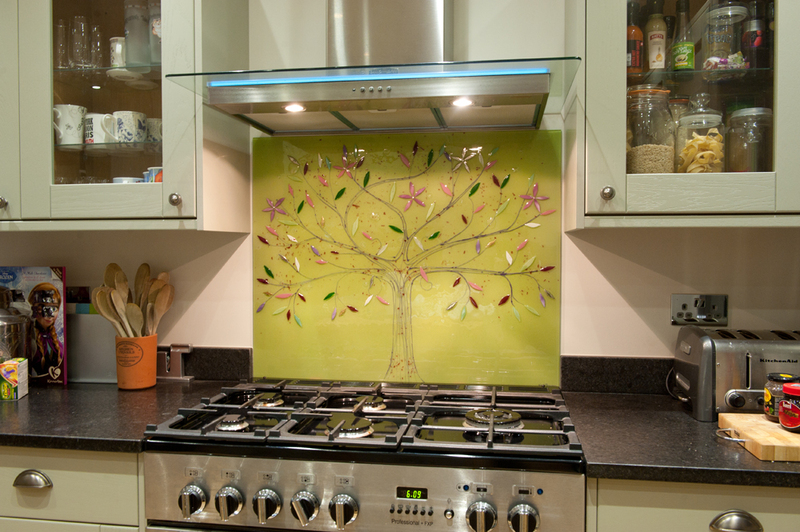 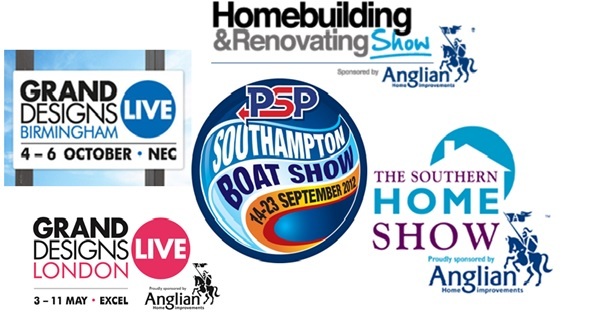 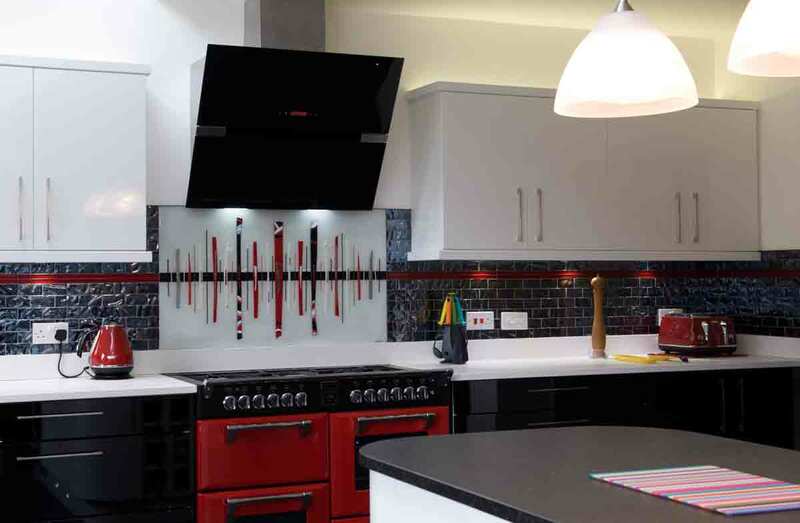 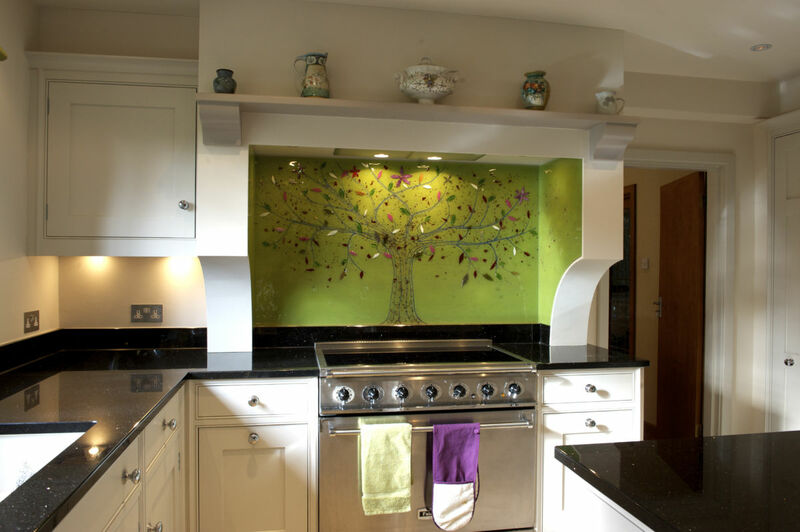 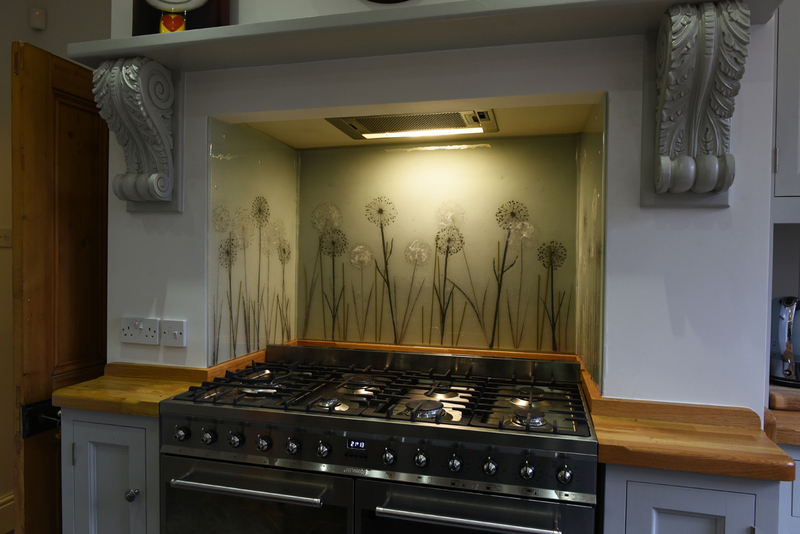 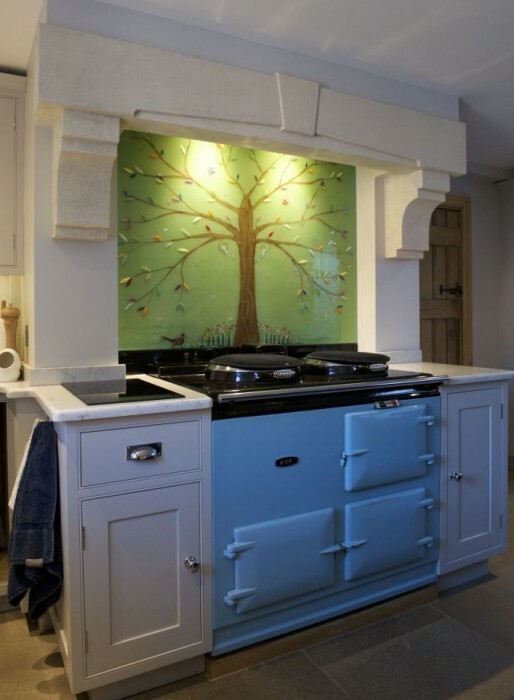 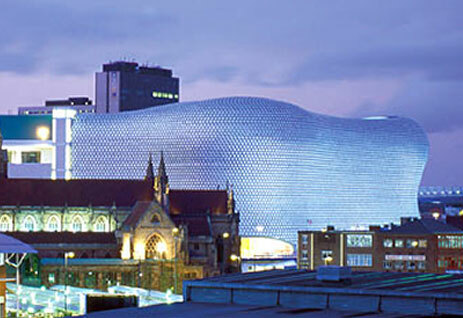 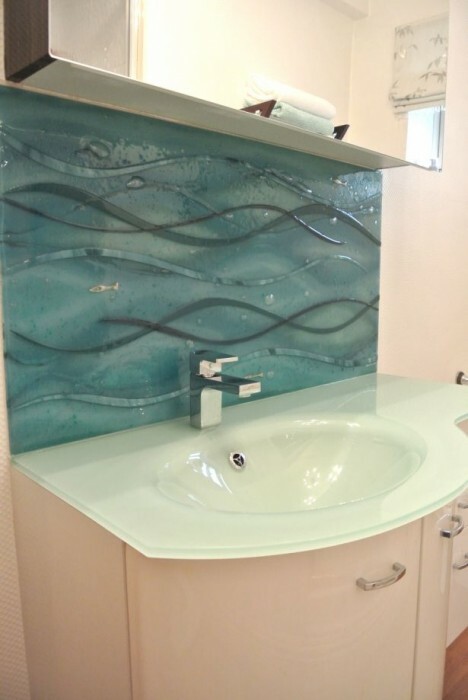 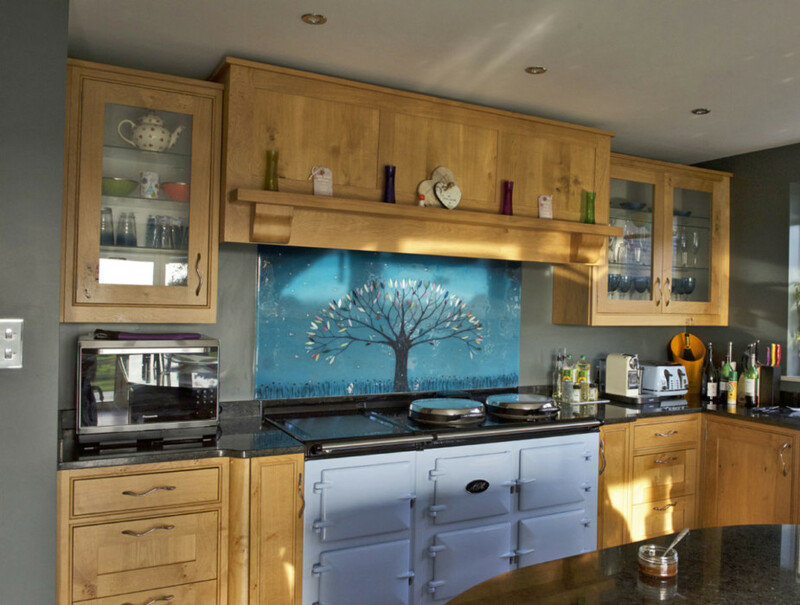 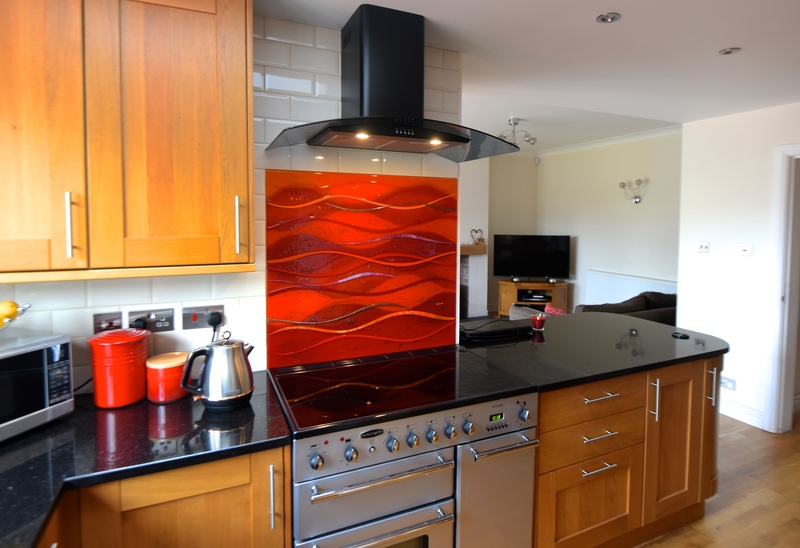 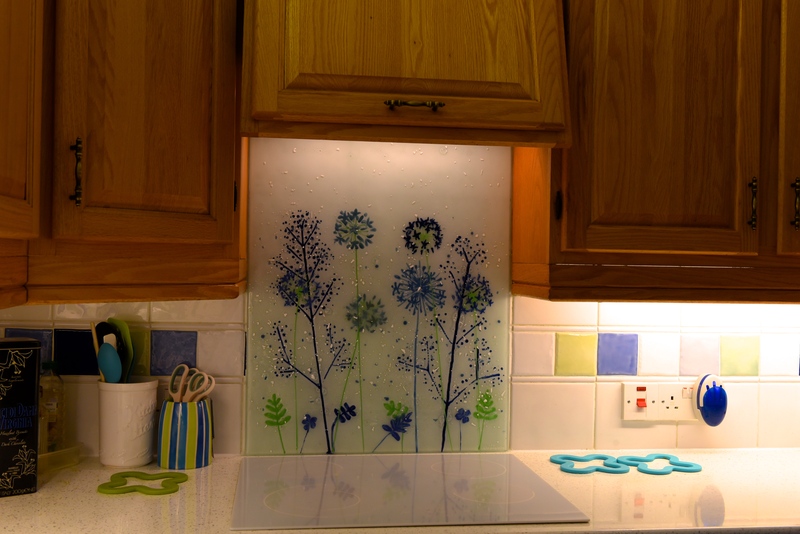 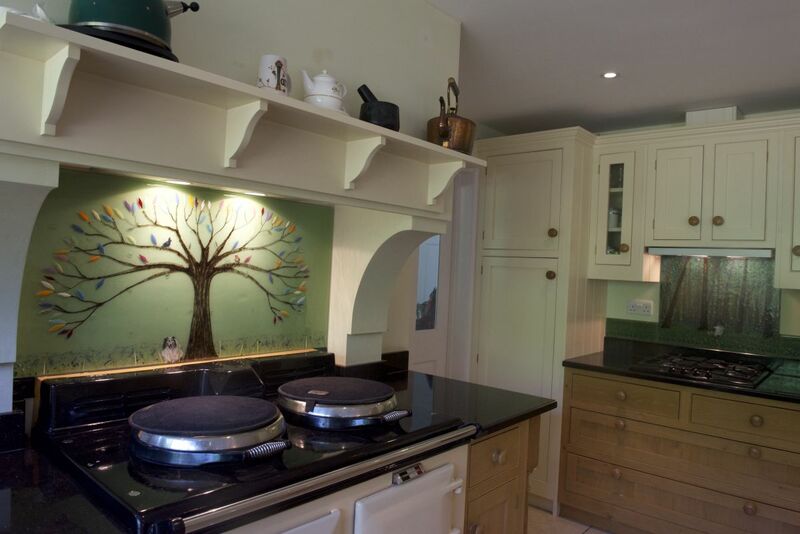 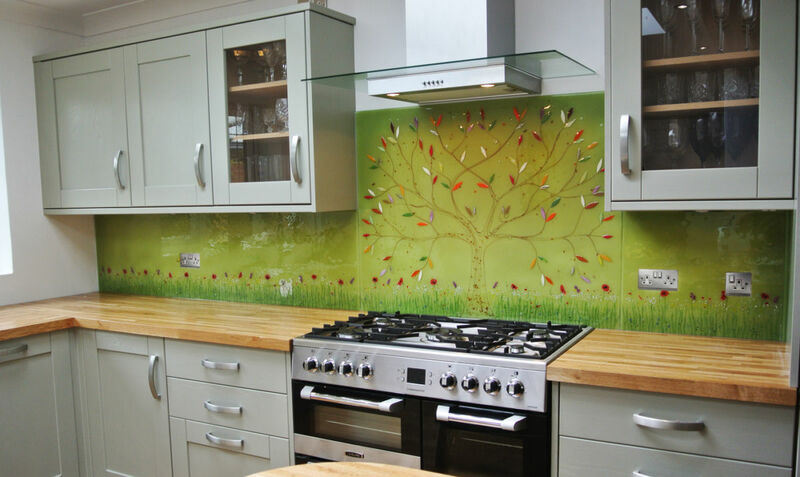 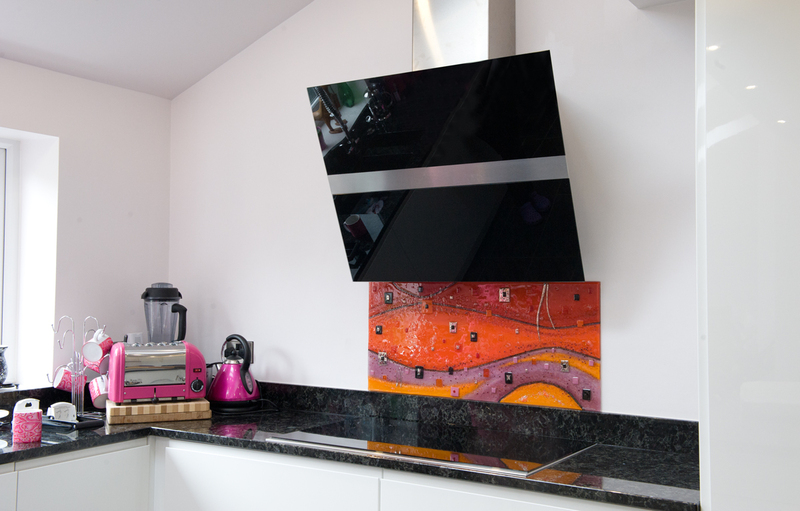 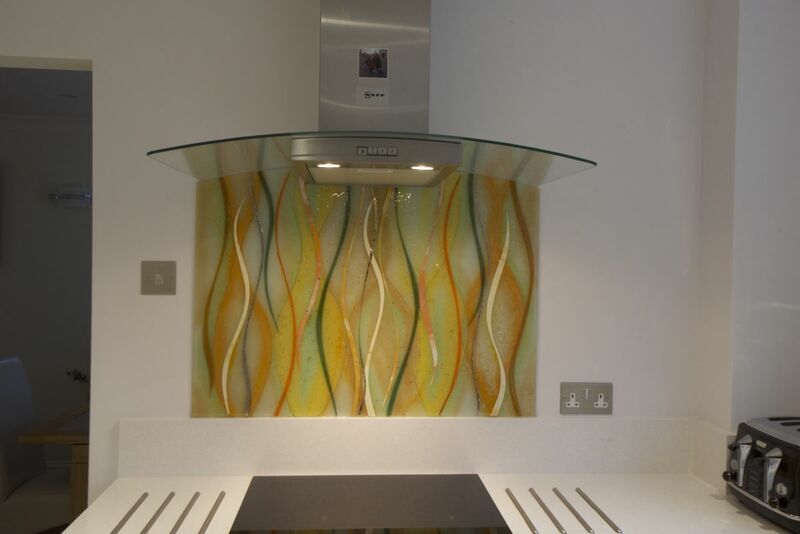 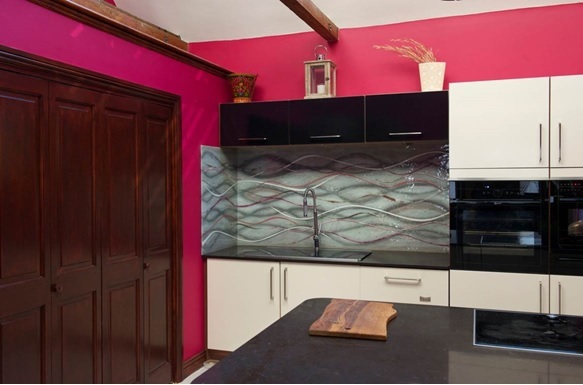 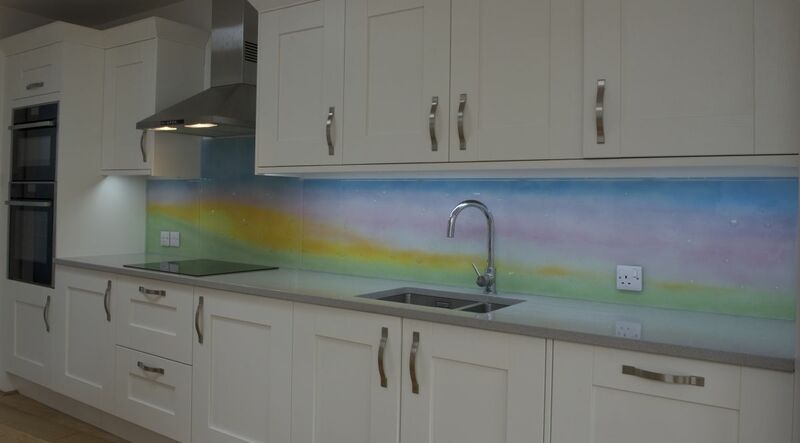 Can you call our bespoke glass splashbacks original works? 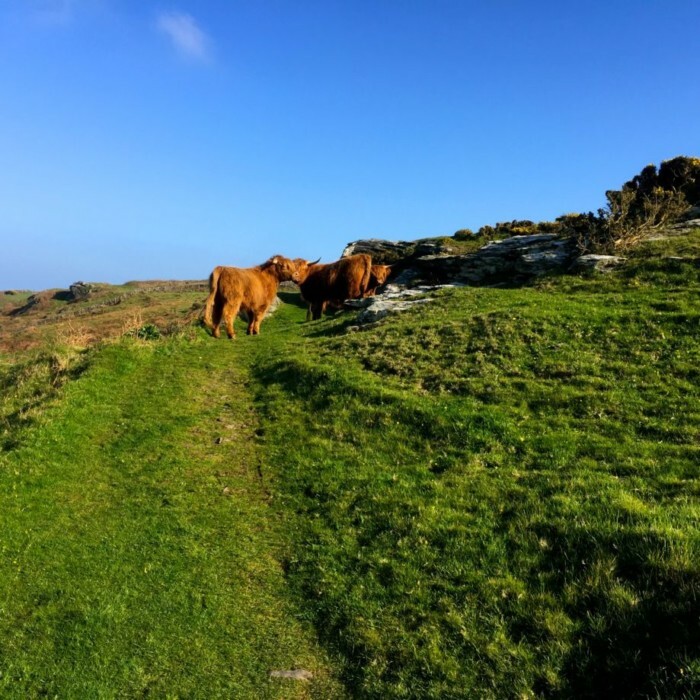 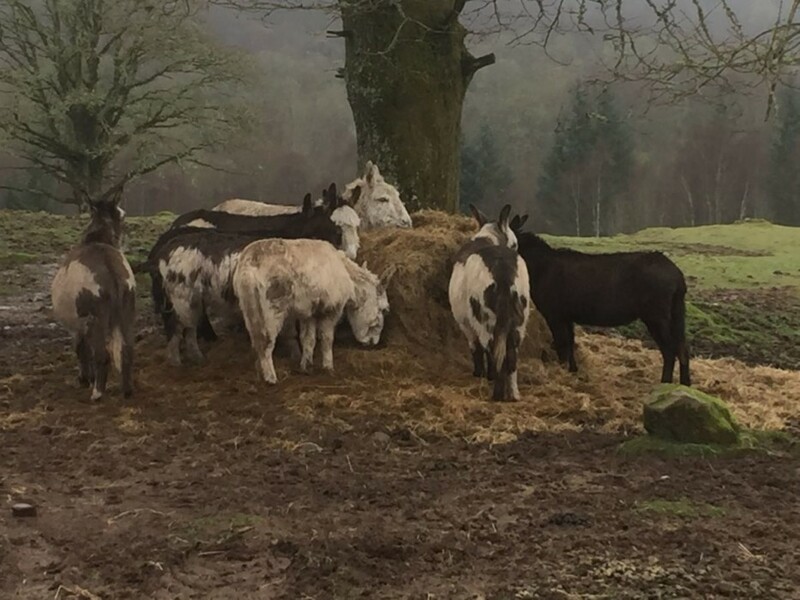 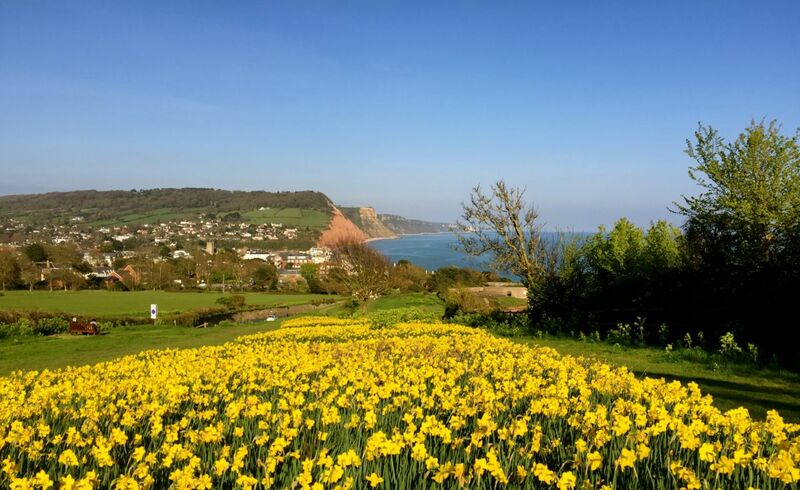 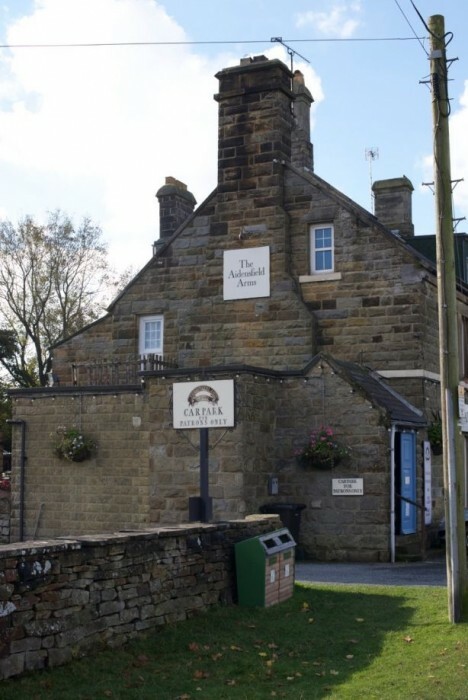 We get the same sort of questions time and time again, so we thought a blog would make for a good chance to look into it a little further. 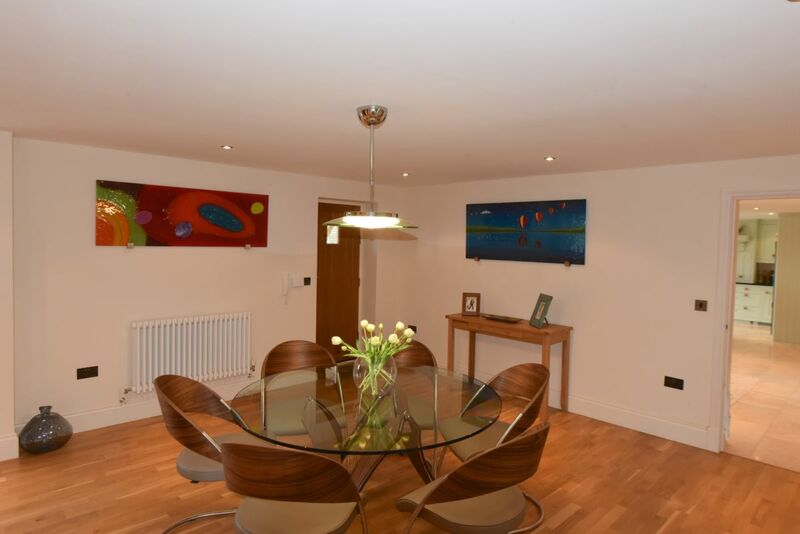 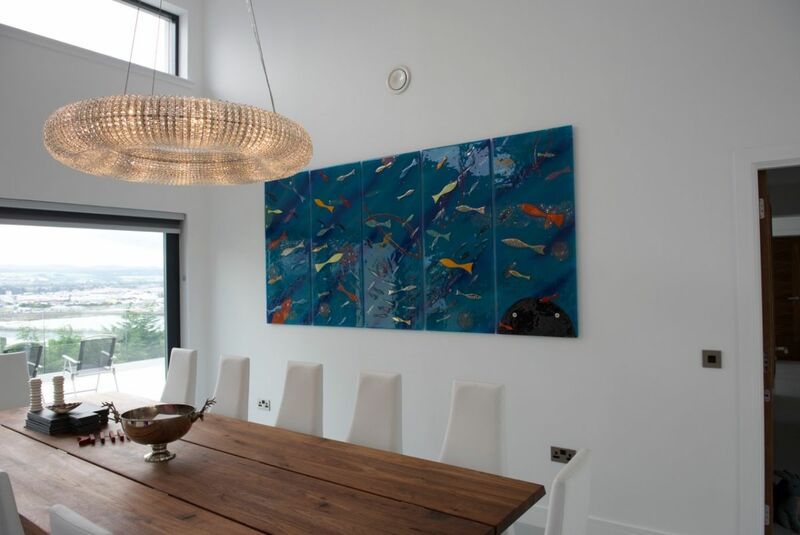 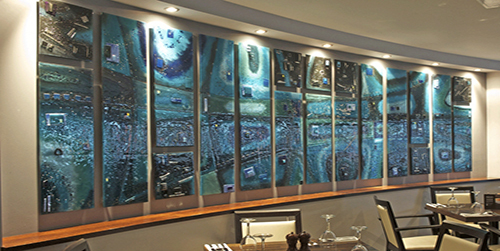 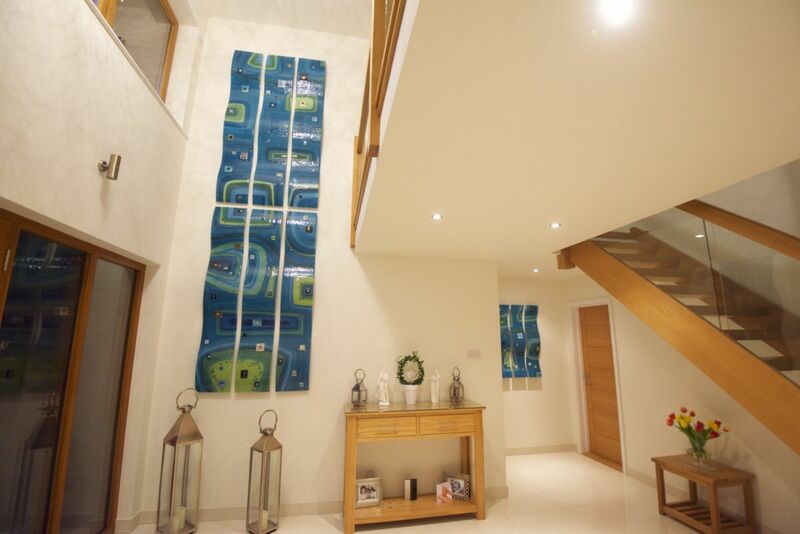 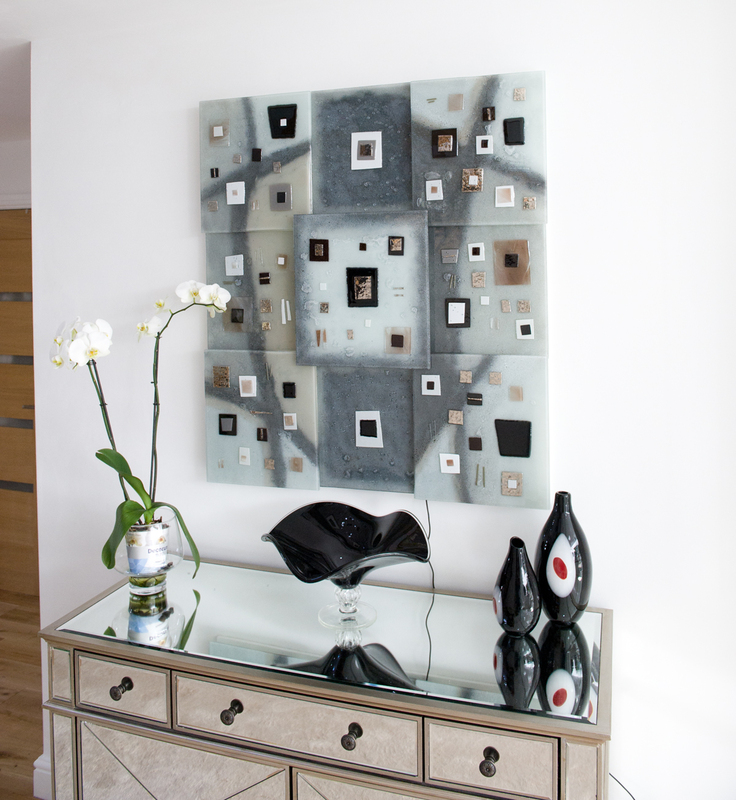 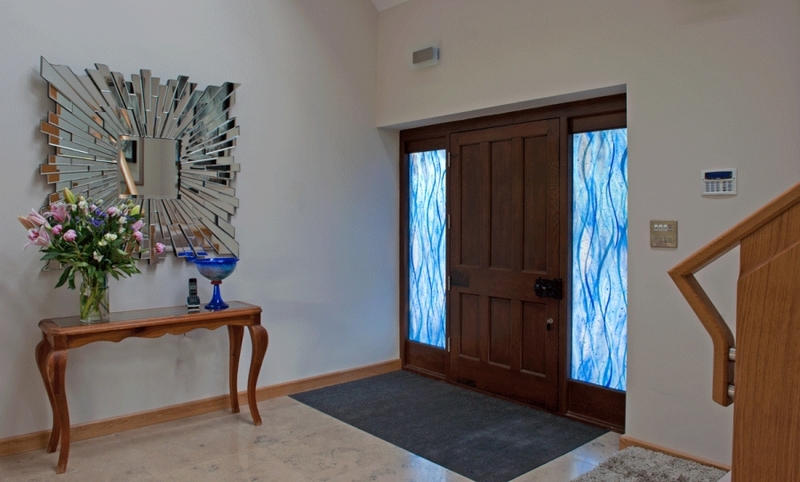 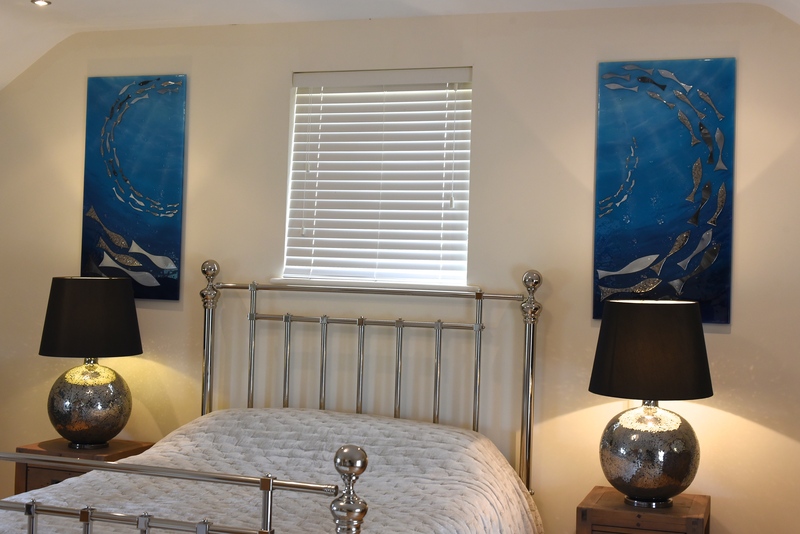 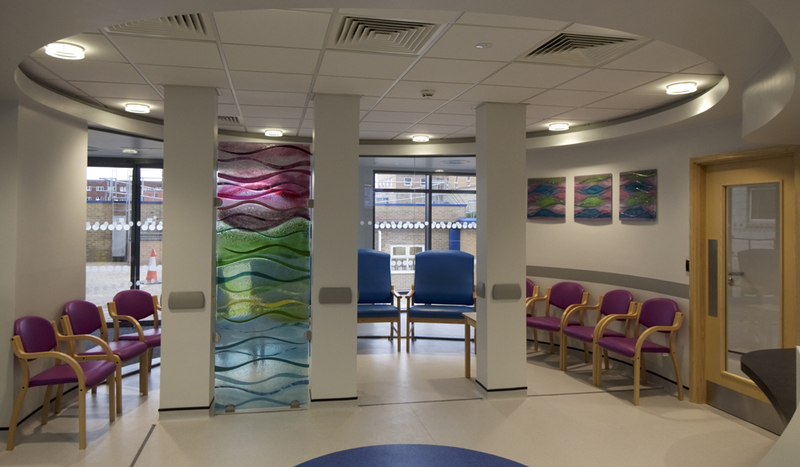 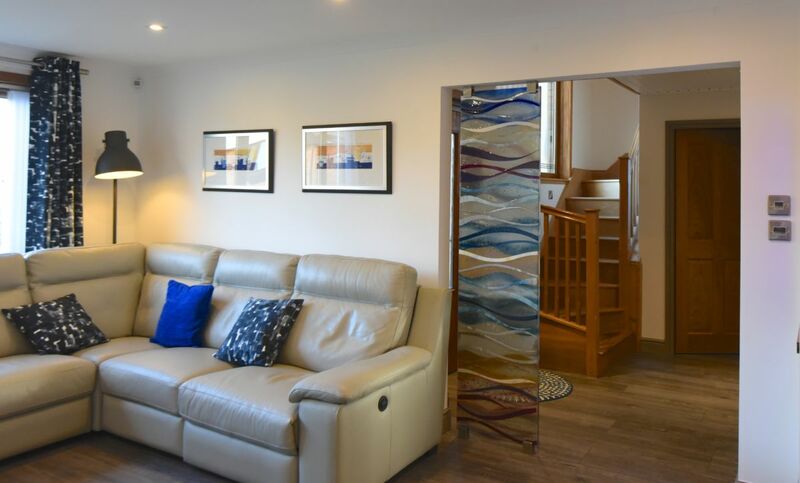 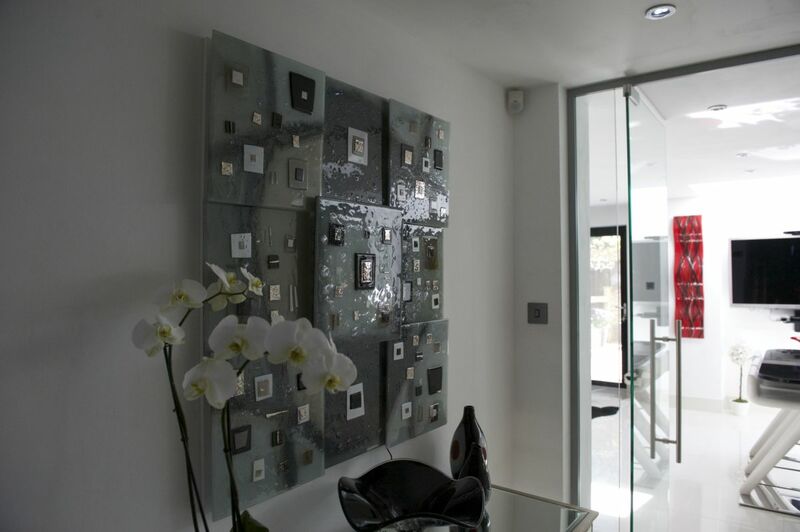 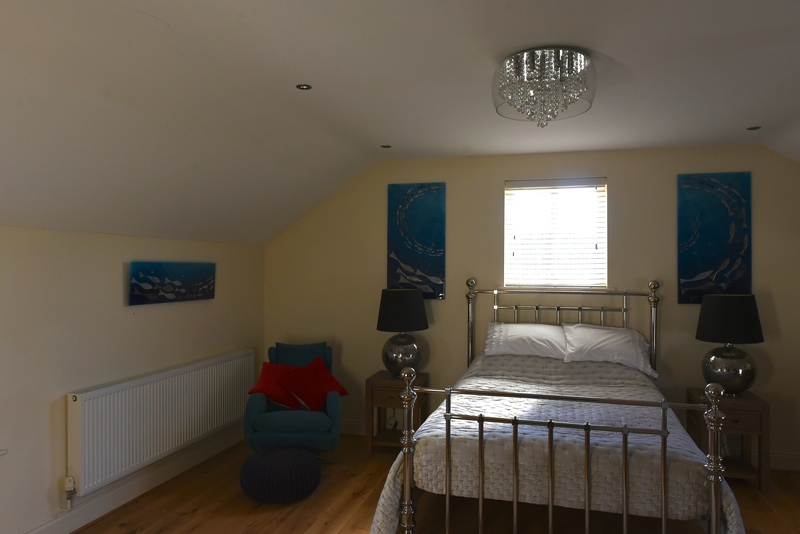 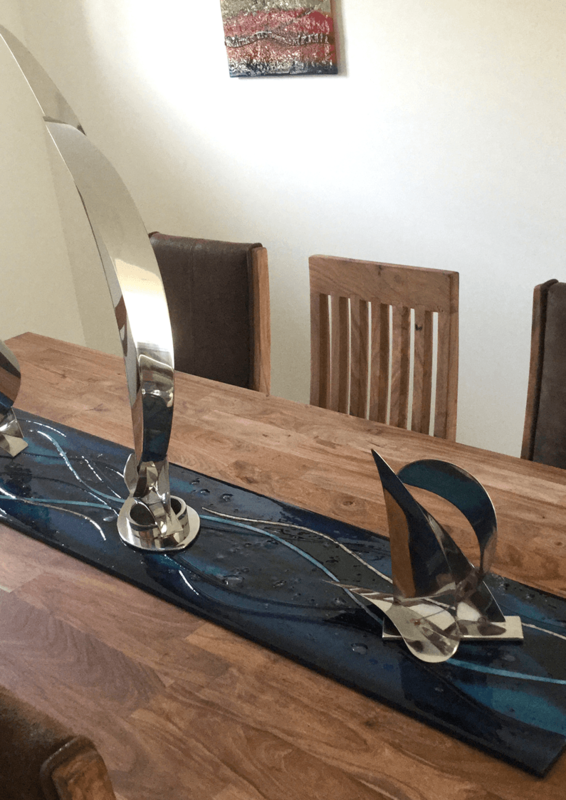 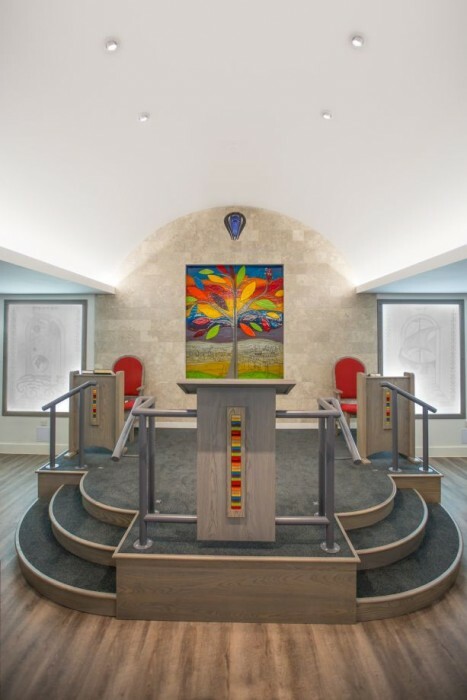 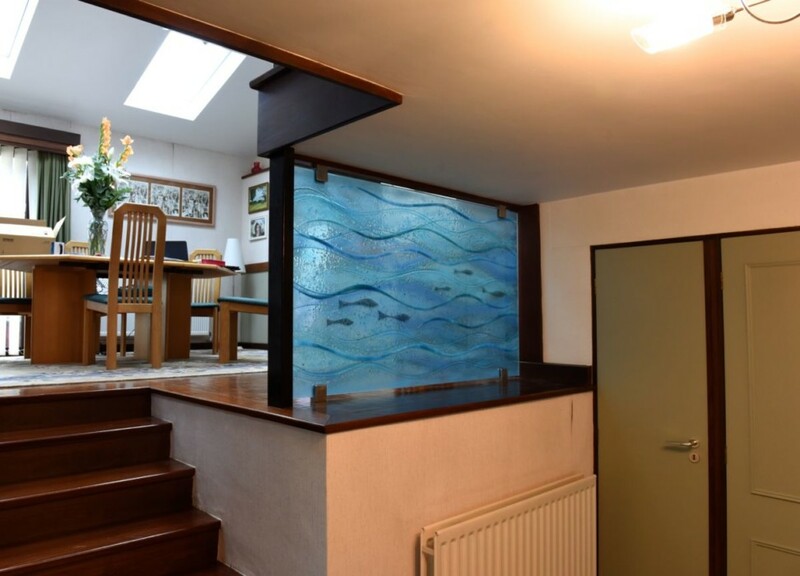 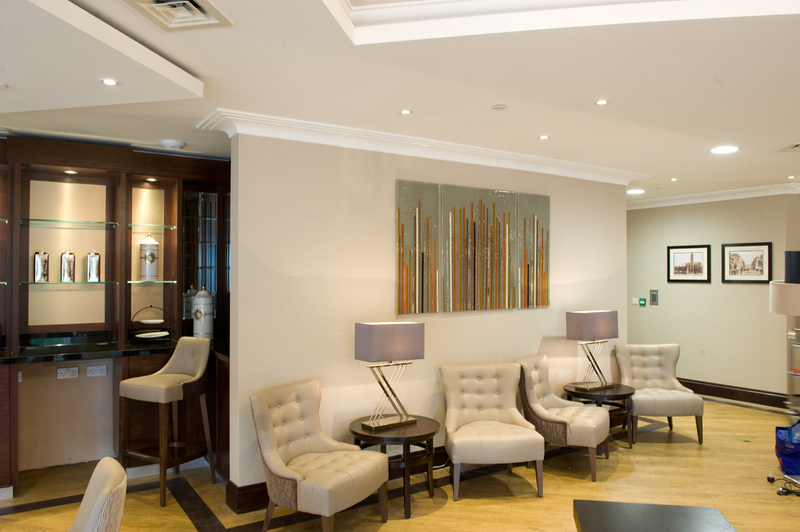 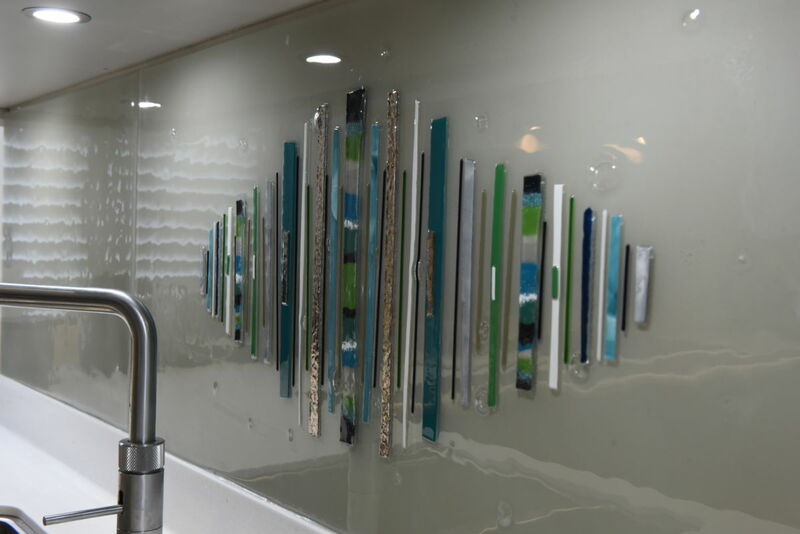 Due to the pivotal role of fused glass art when it comes to interior design, it’s easy to see why a lot of people think of it as something that really qualifies more as design work than actual artwork. 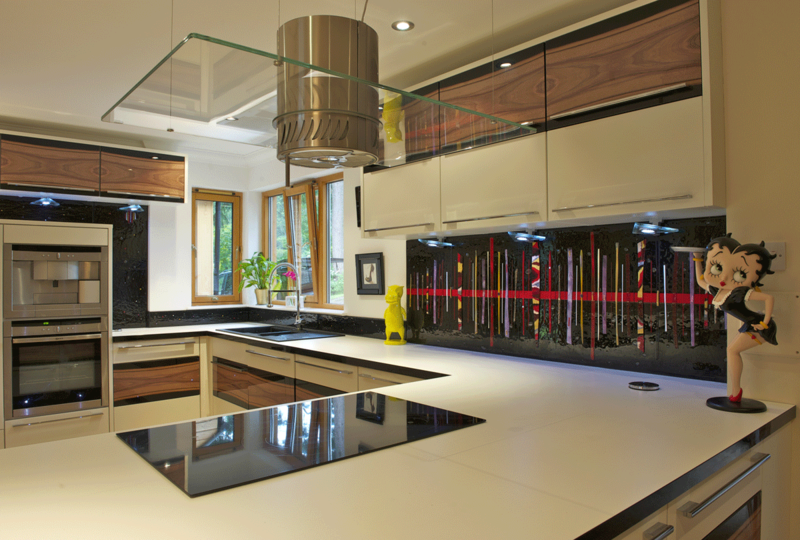 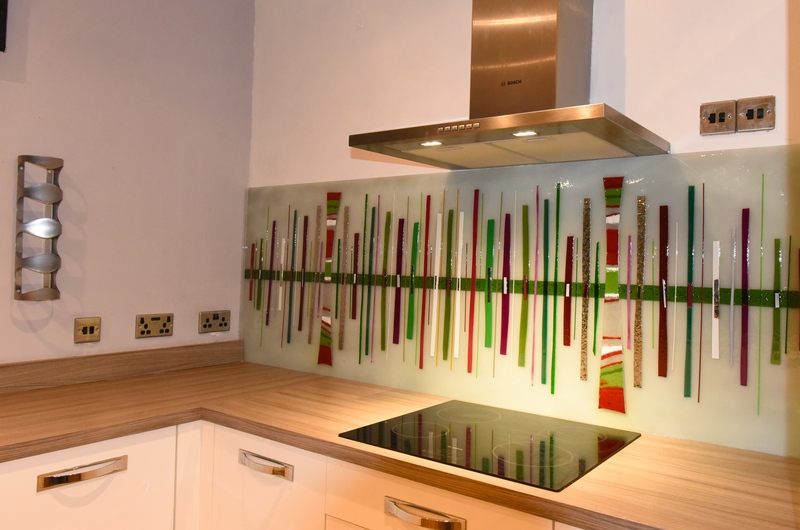 Across the UK, more and more homes are incorporating fused glass as kitchen splashbacks, glass wall panels, room dividers, windows and more. 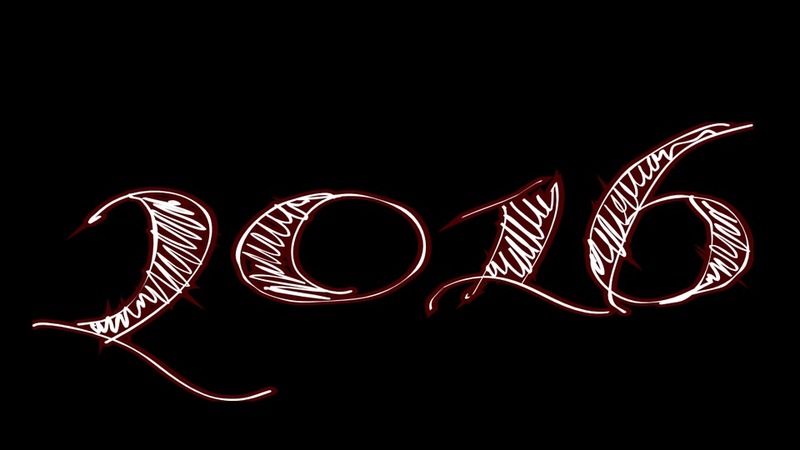 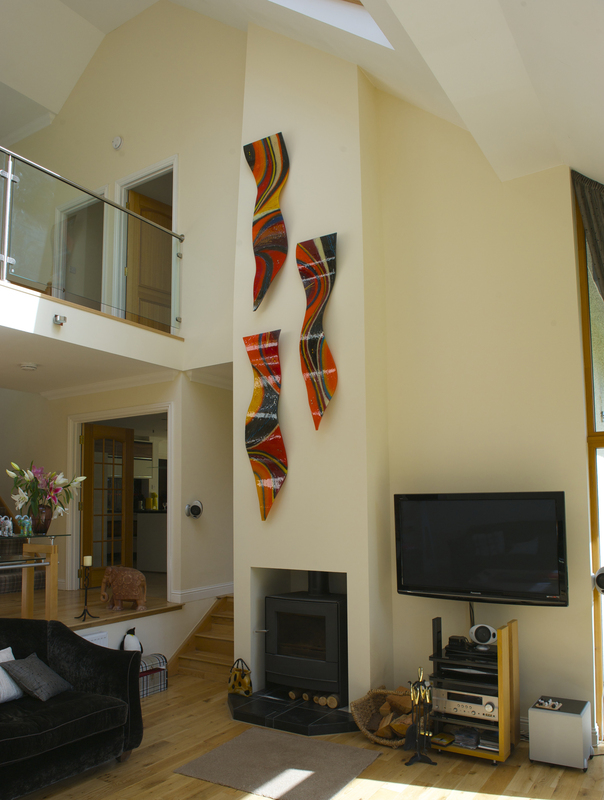 Those applications definitely couldn’t be fulfilled by more traditional works on canvas, so it does raise the question! 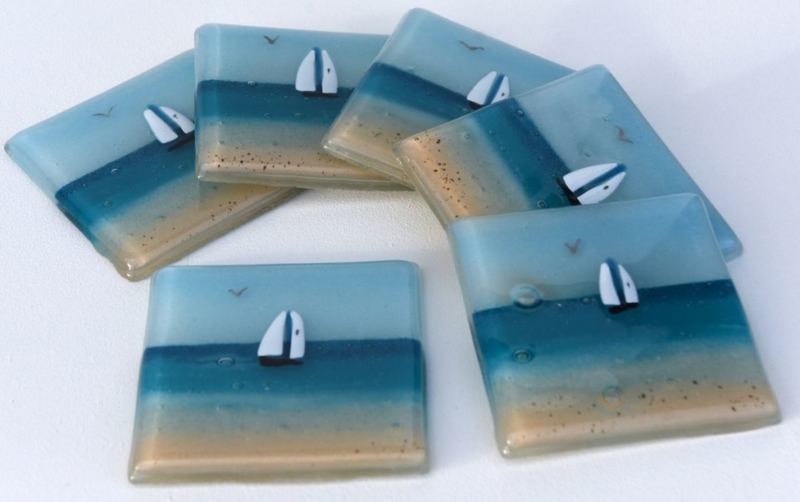 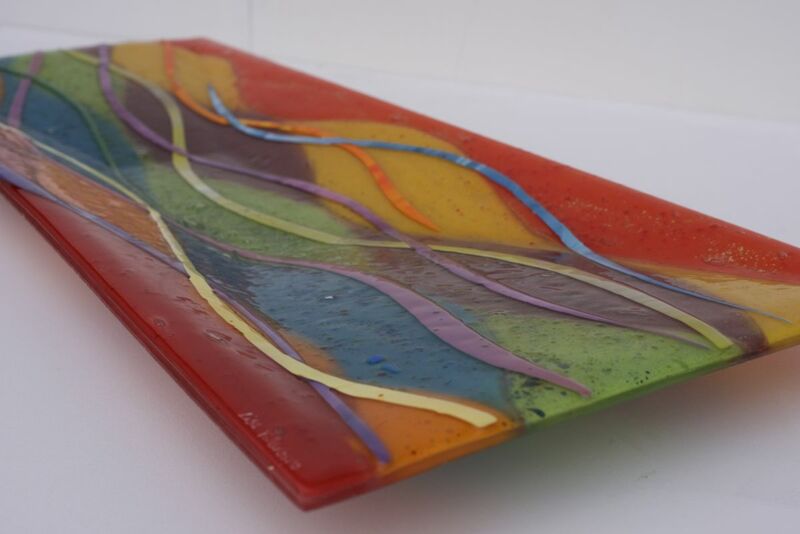 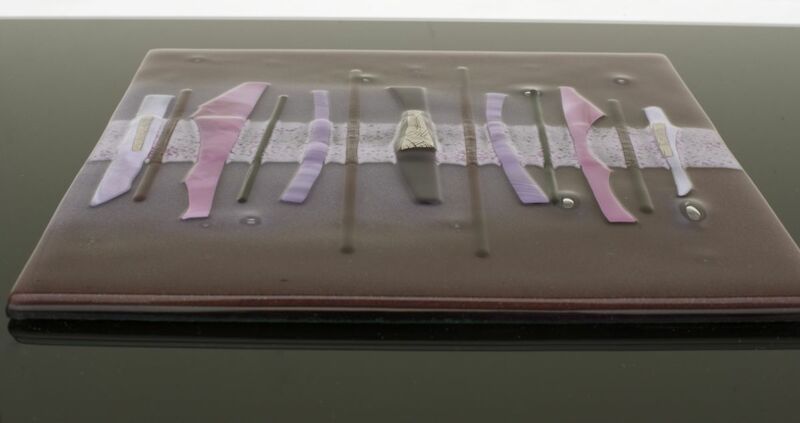 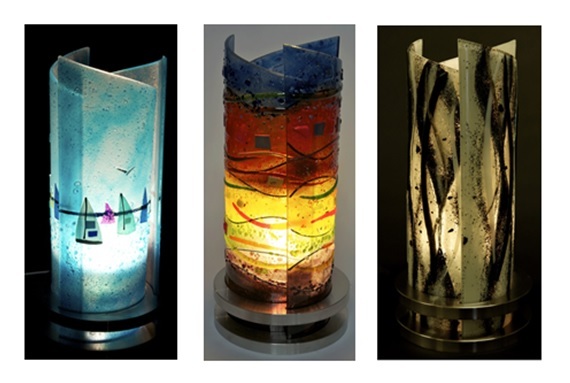 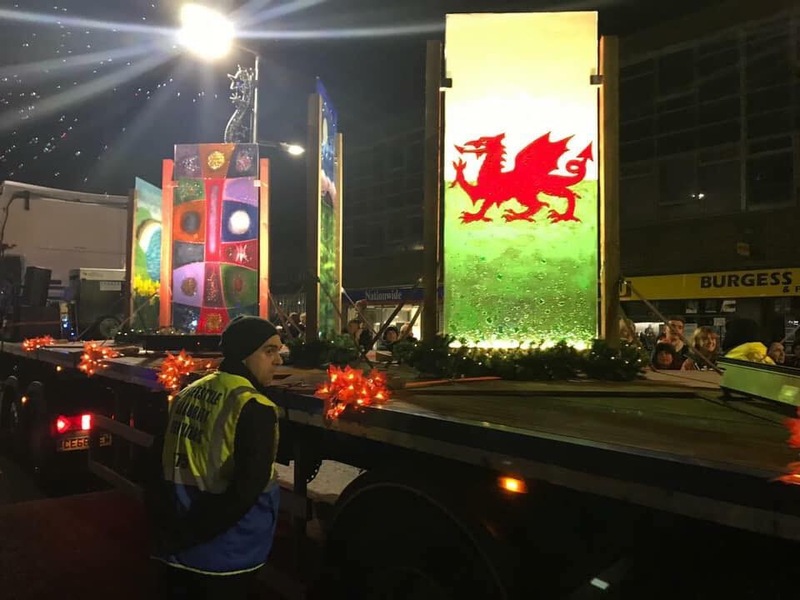 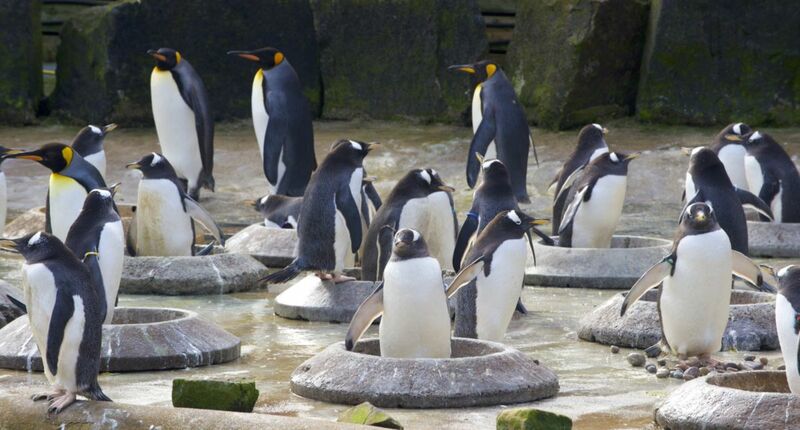 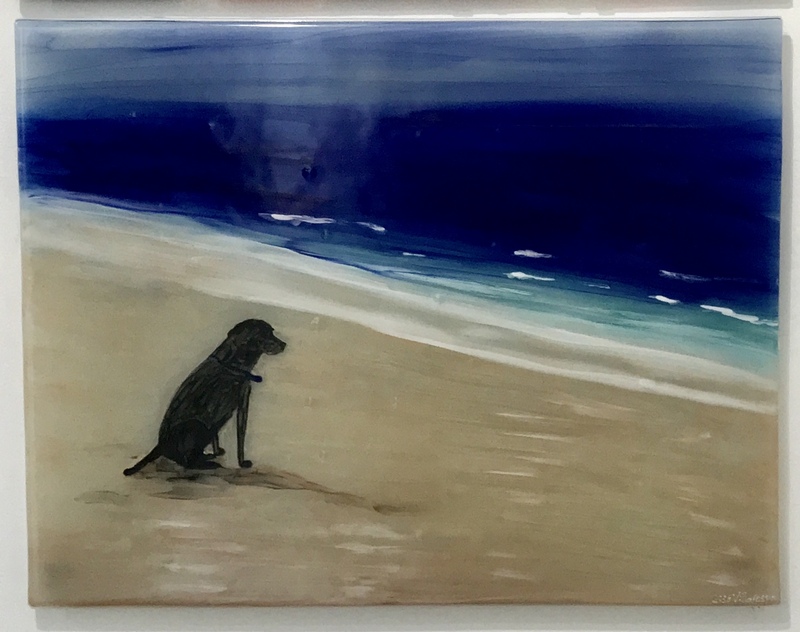 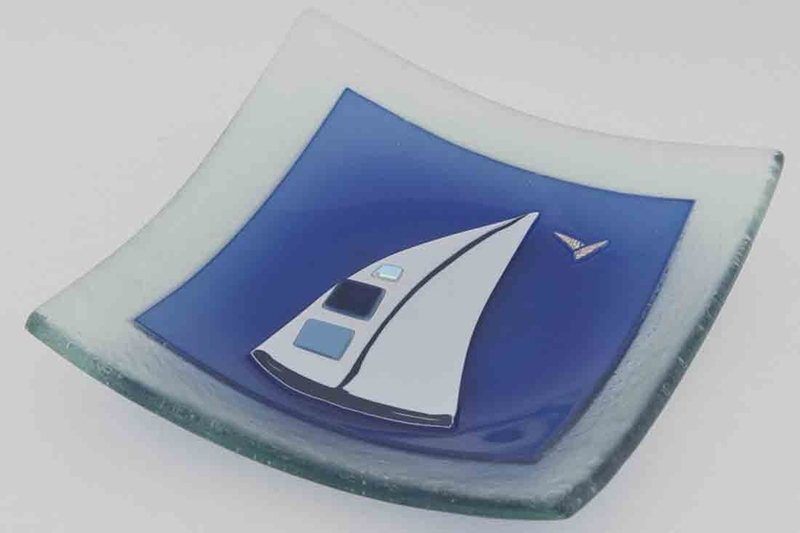 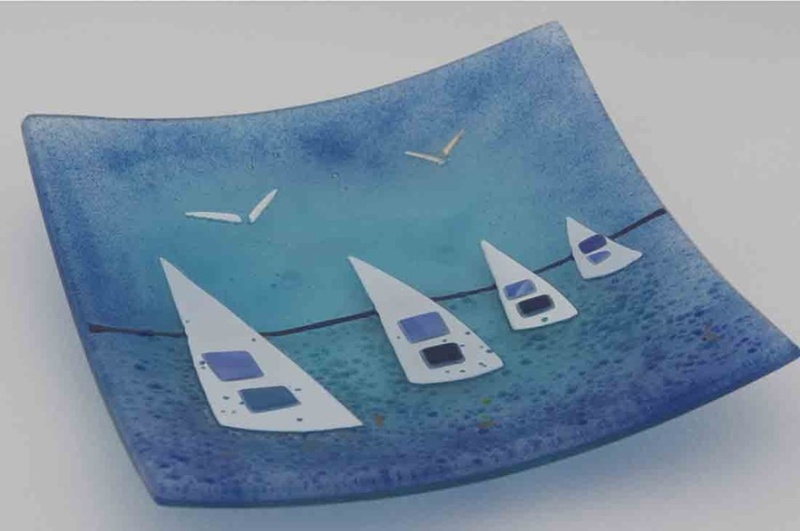 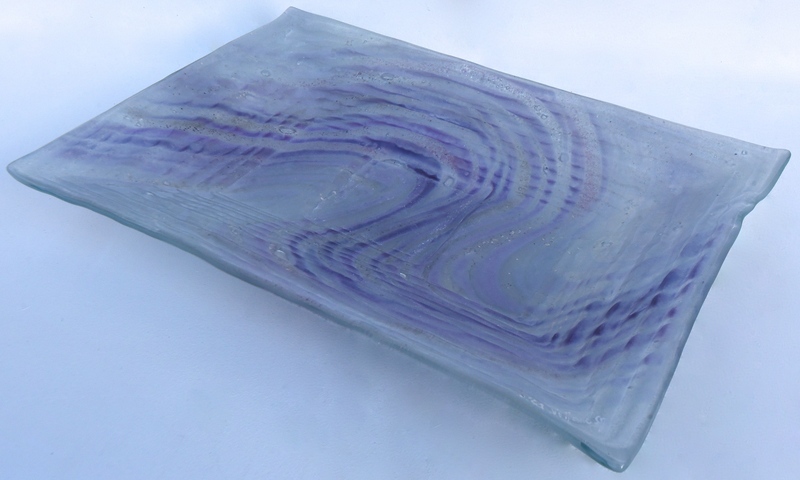 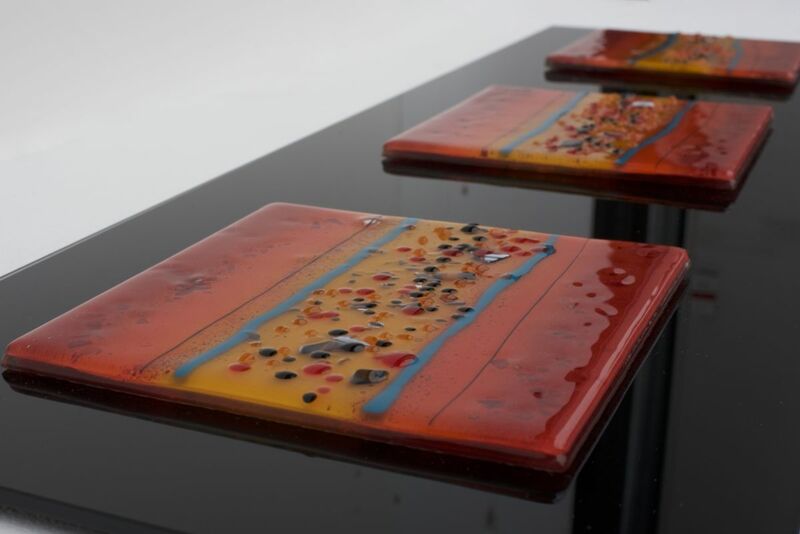 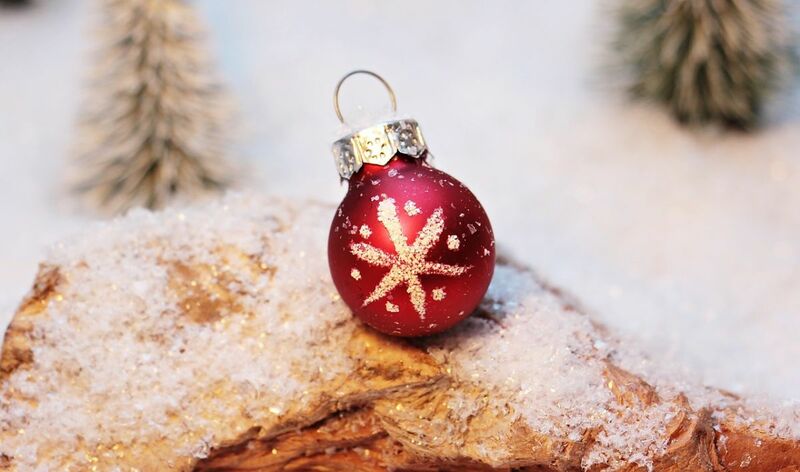 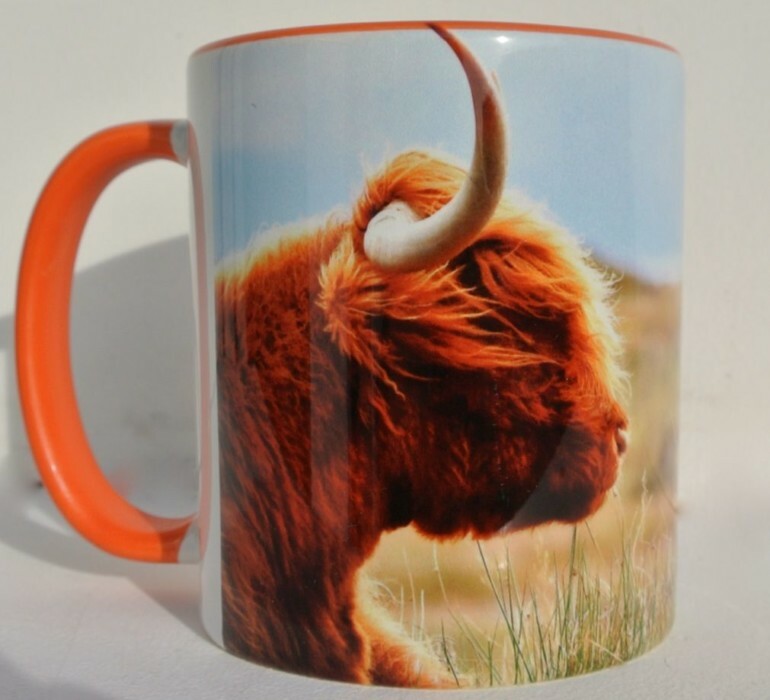 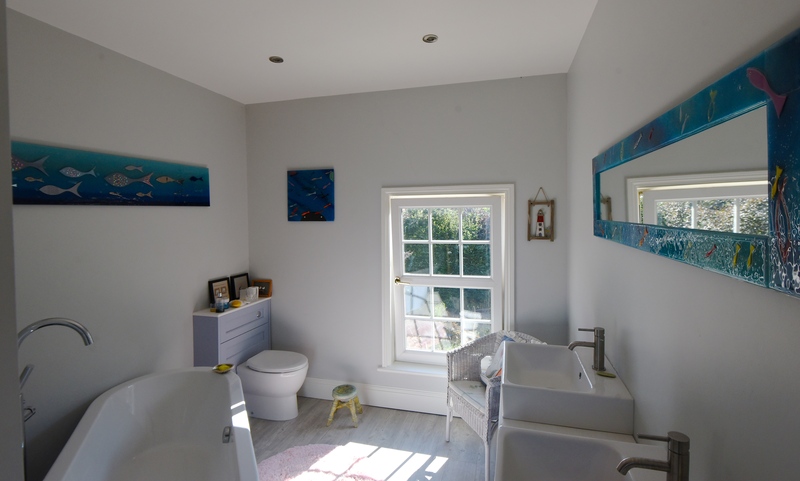 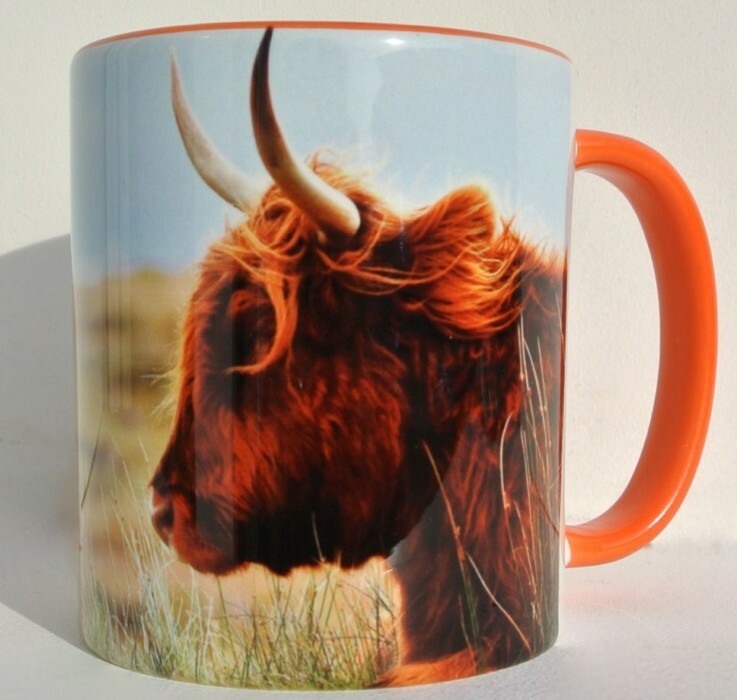 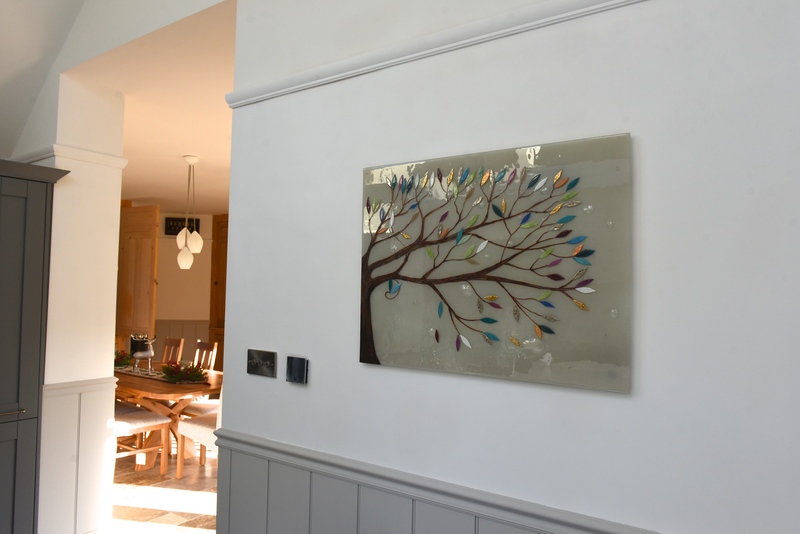 Perhaps the strongest and most obvious case for the artistic merit of fused glass, however, is the fact that our business is centred around a very talented artist! 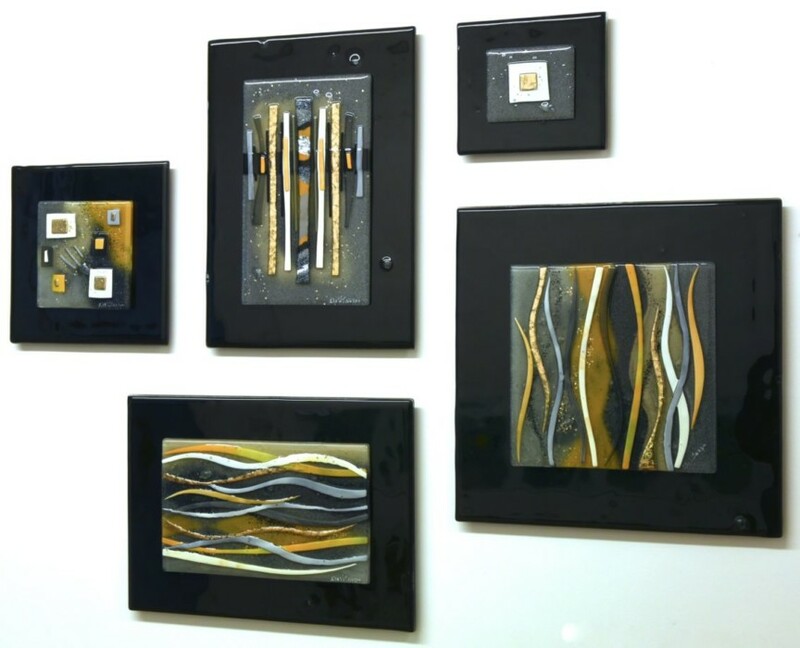 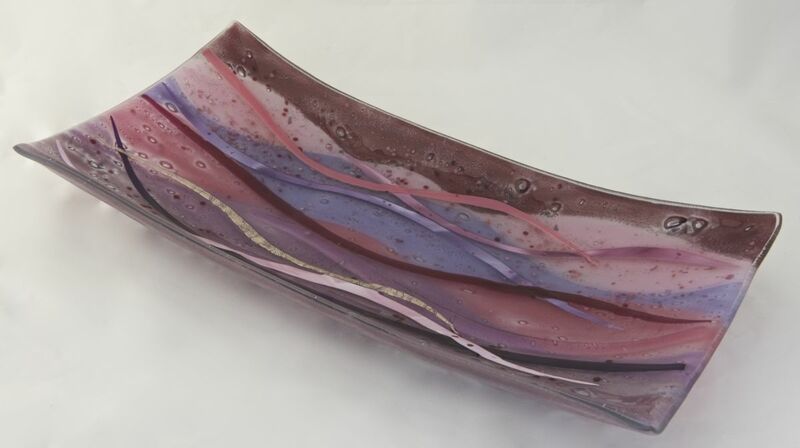 Our own in house creative mastermind is Lisa Villarospo, who not only wrote the book on contemporary fused glass art but carries with her an extensive wealth of knowledge. 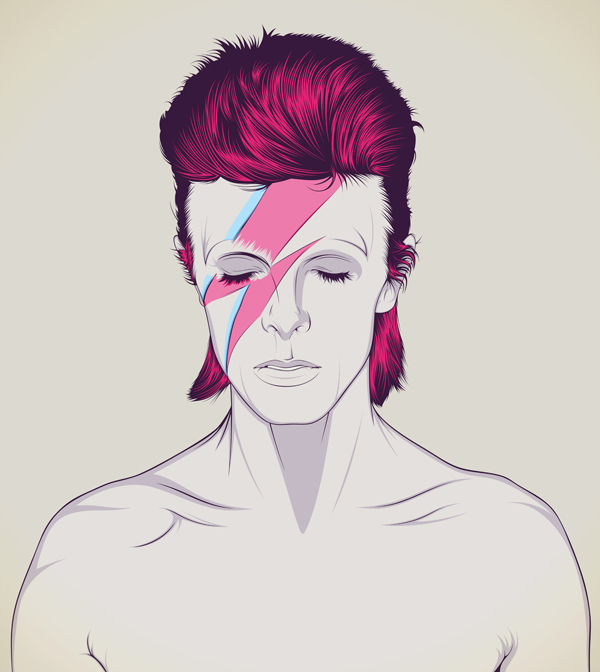 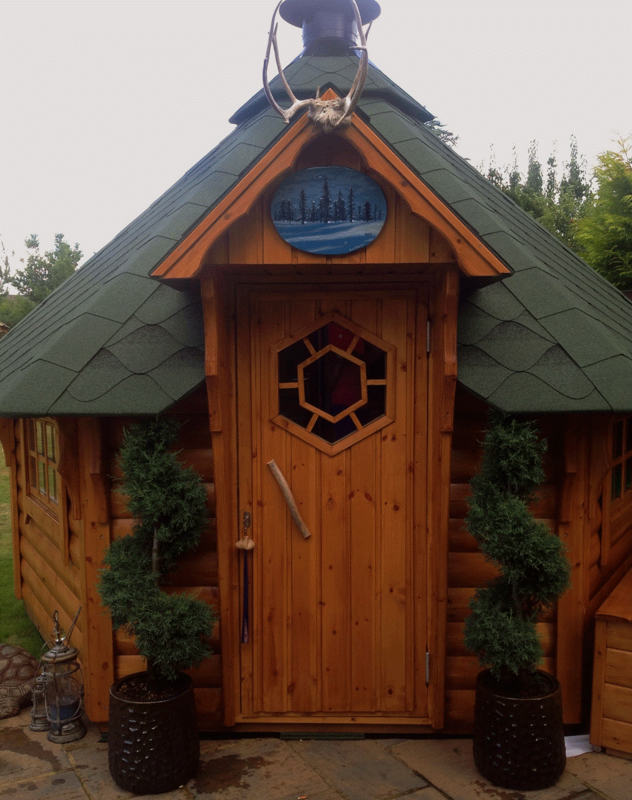 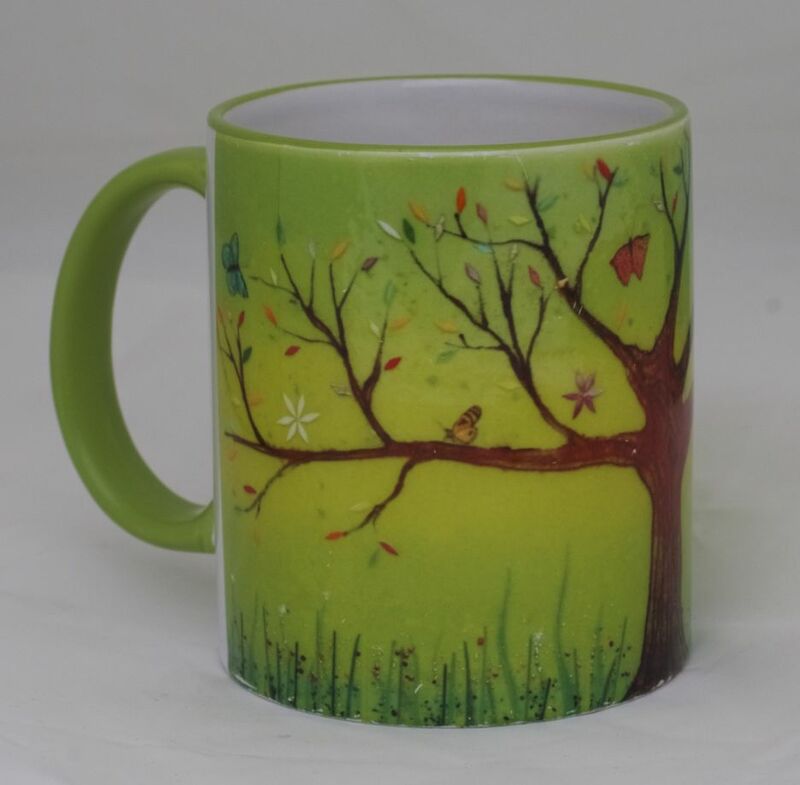 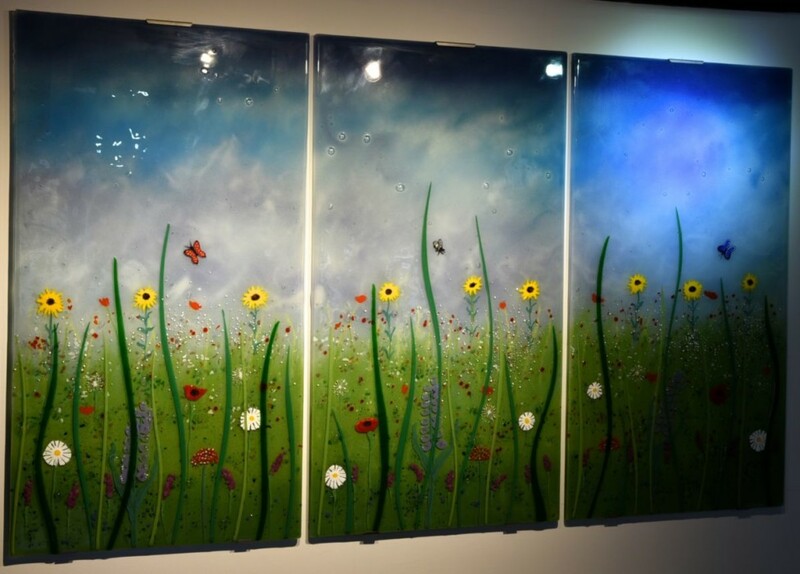 Her background in traditional art allows her to create designs and styles with a unique painterly feel, trading in paints and brushes for powders, enamels, metallics and more. 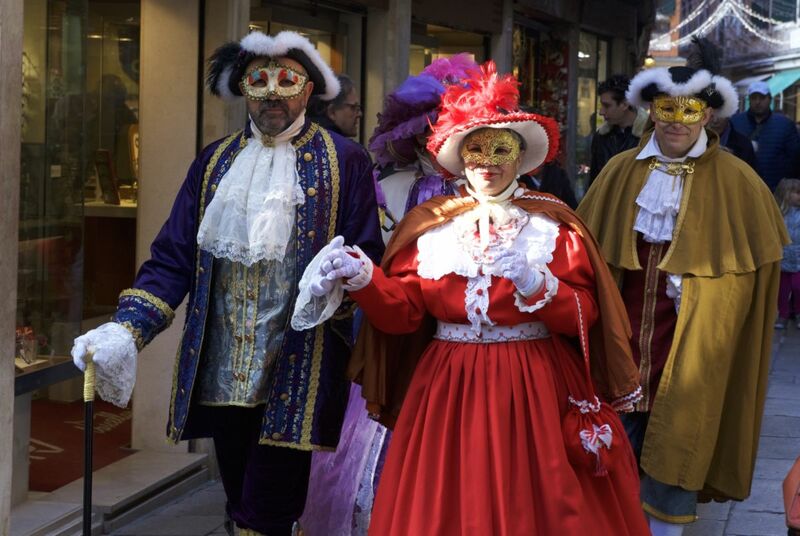 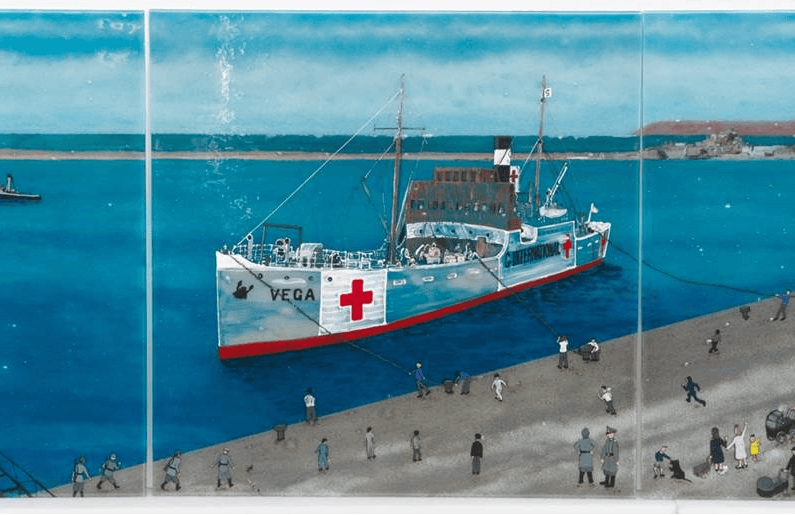 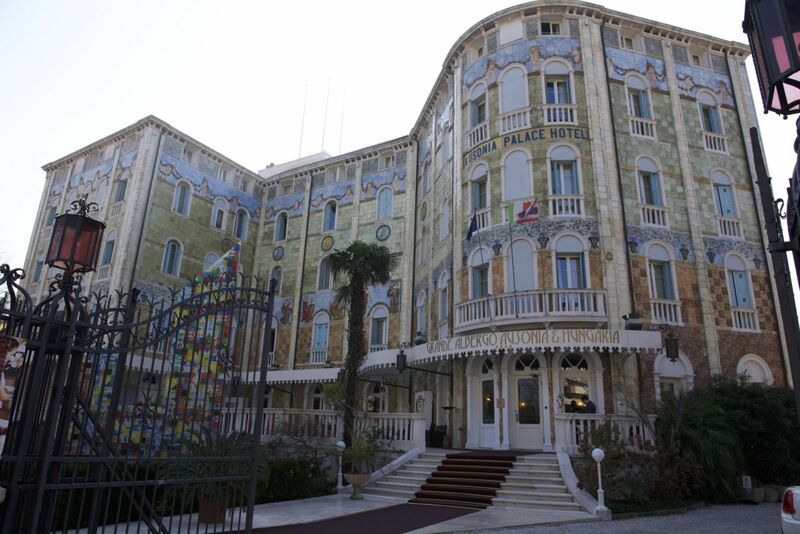 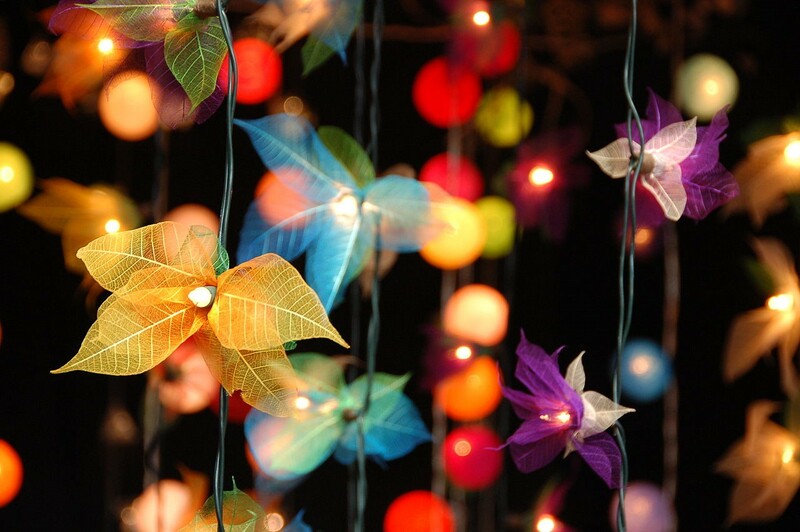 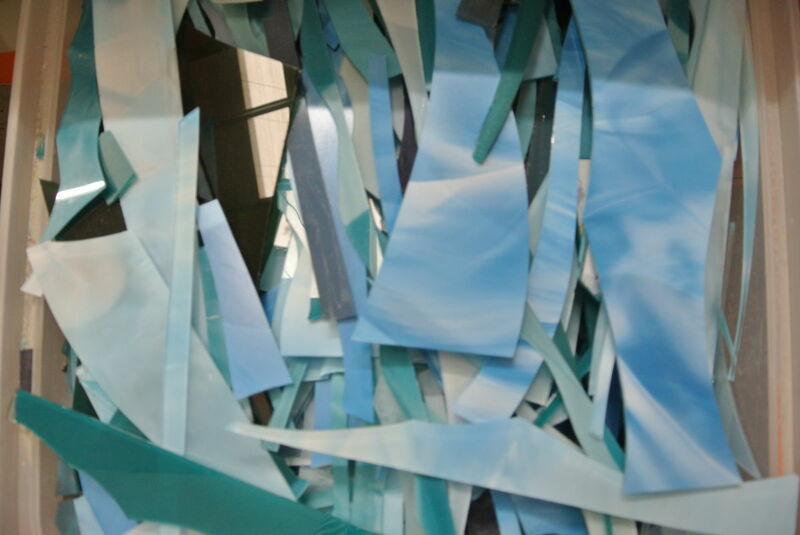 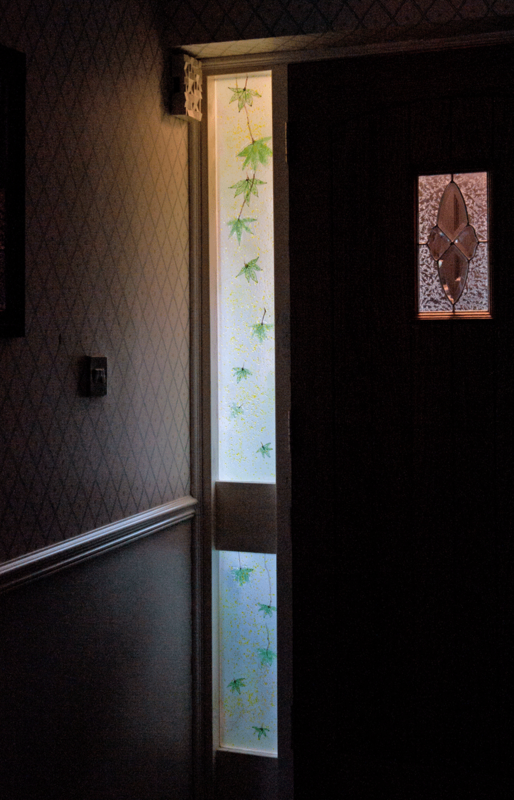 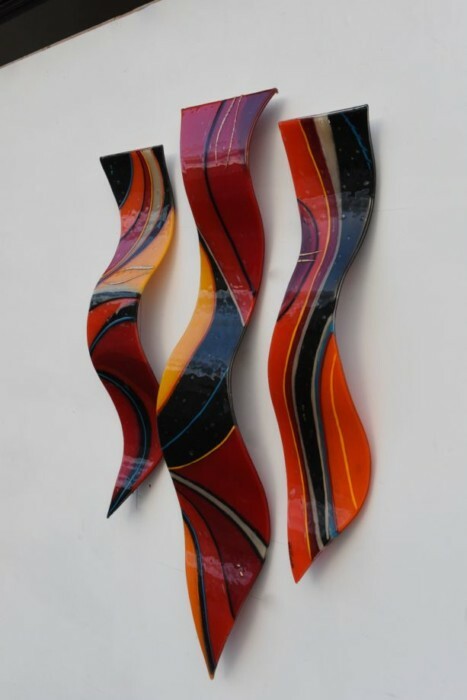 Some pieces, however, even include paint as part of the design, making them especially artistic. 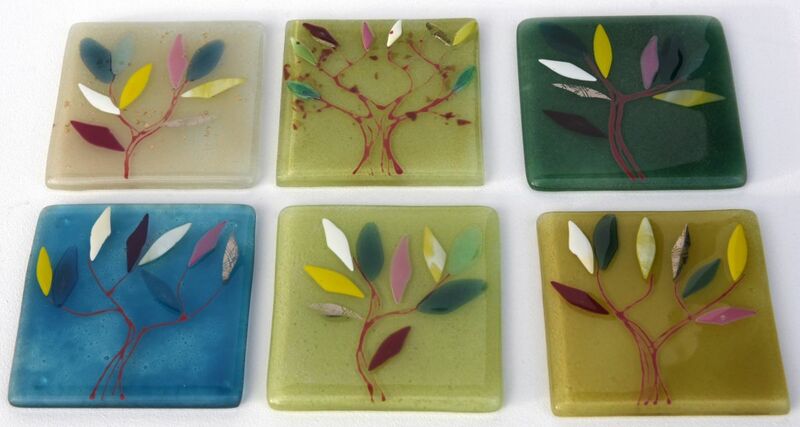 Even smaller pieces like these six coasters can be a canvas for intricately detailed artwork. 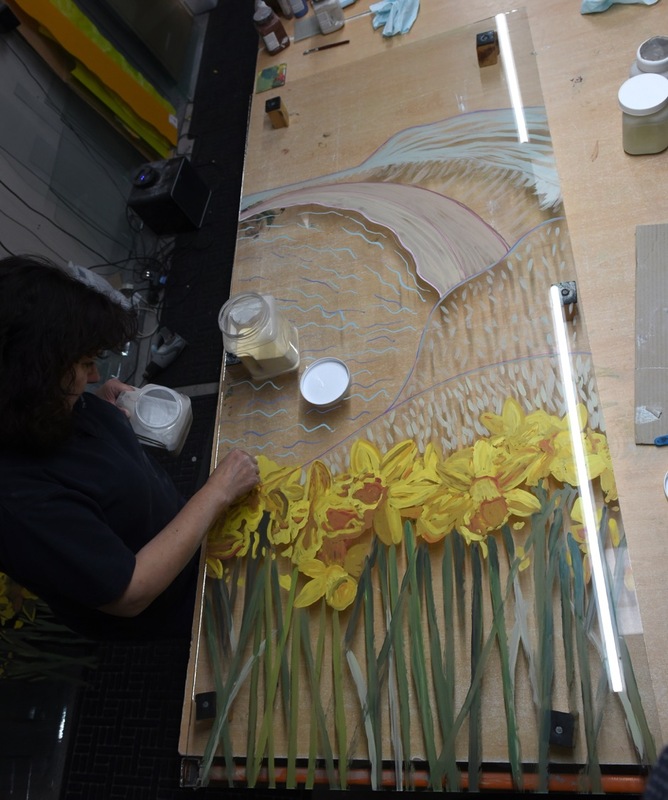 No matter what piece Lisa works on, she creates a unique, one-of-a-kind design every single time, and uses all of her experience to give each panel its own expressive character. 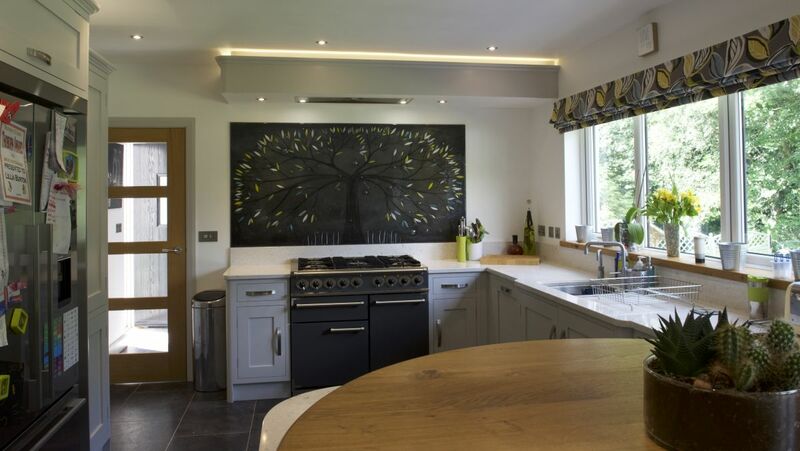 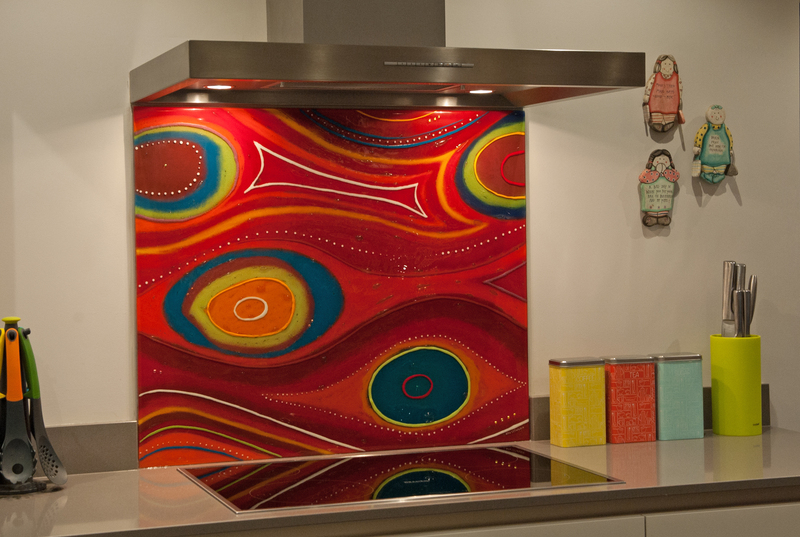 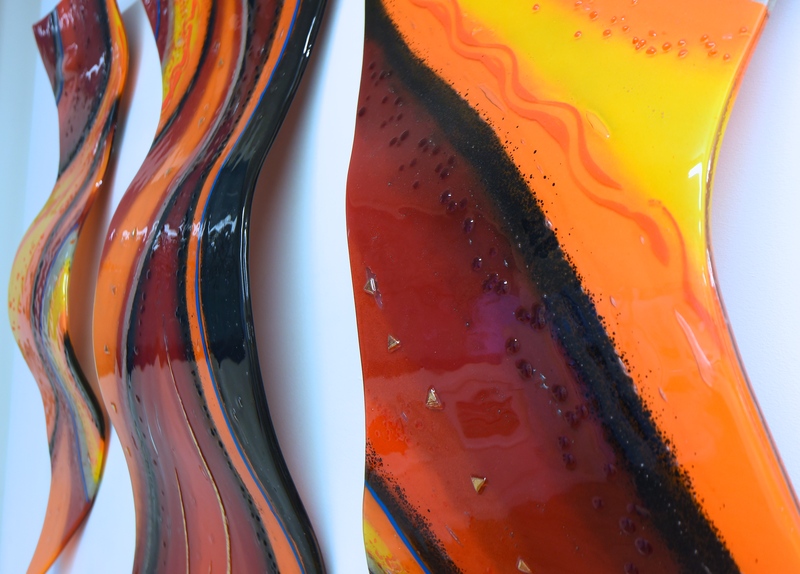 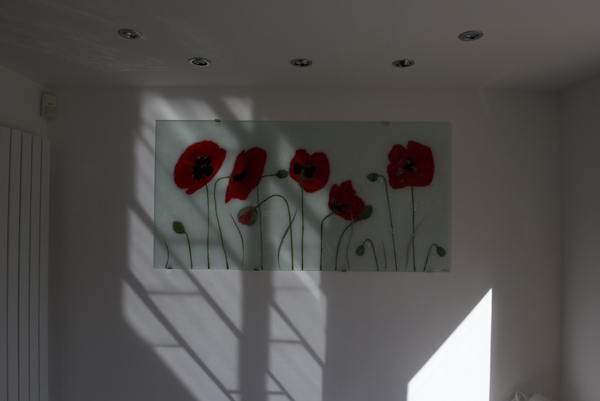 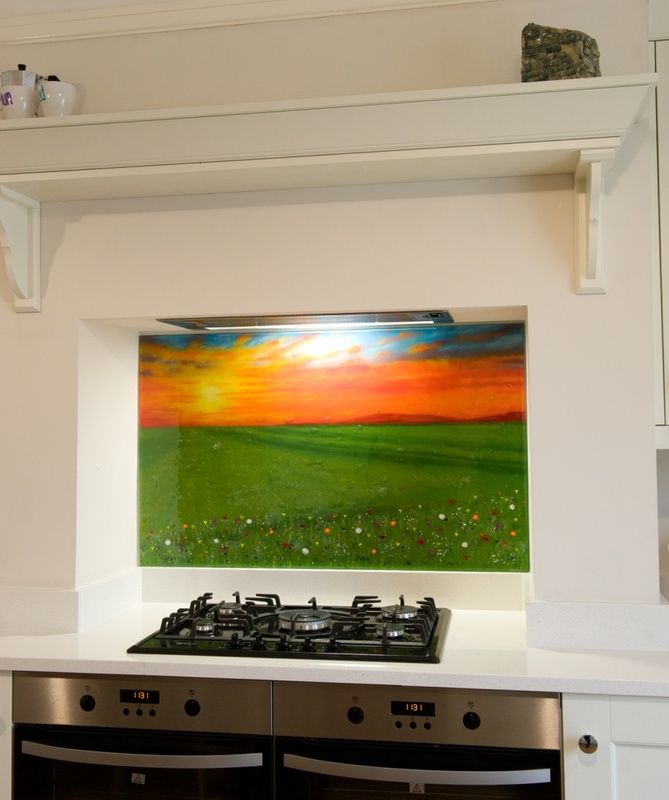 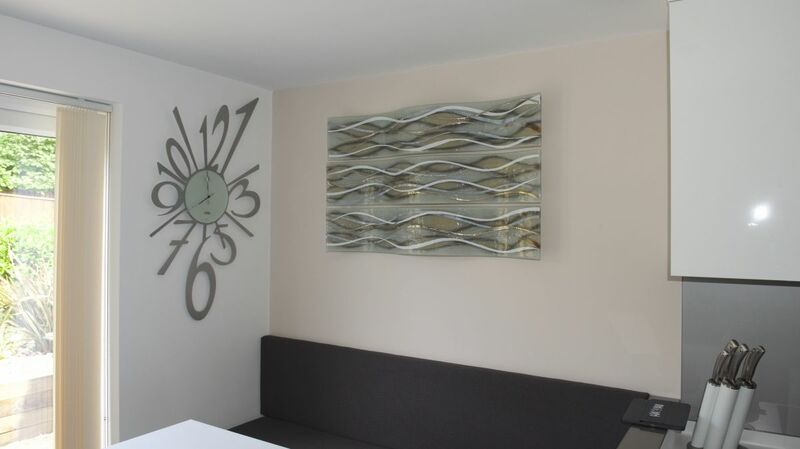 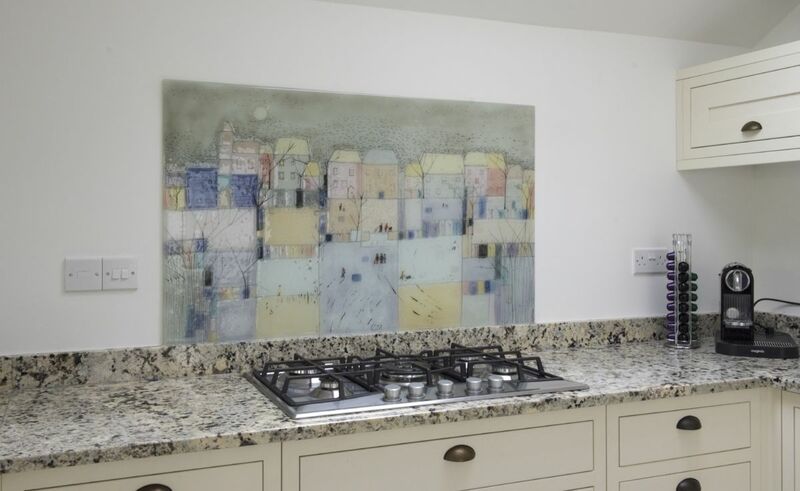 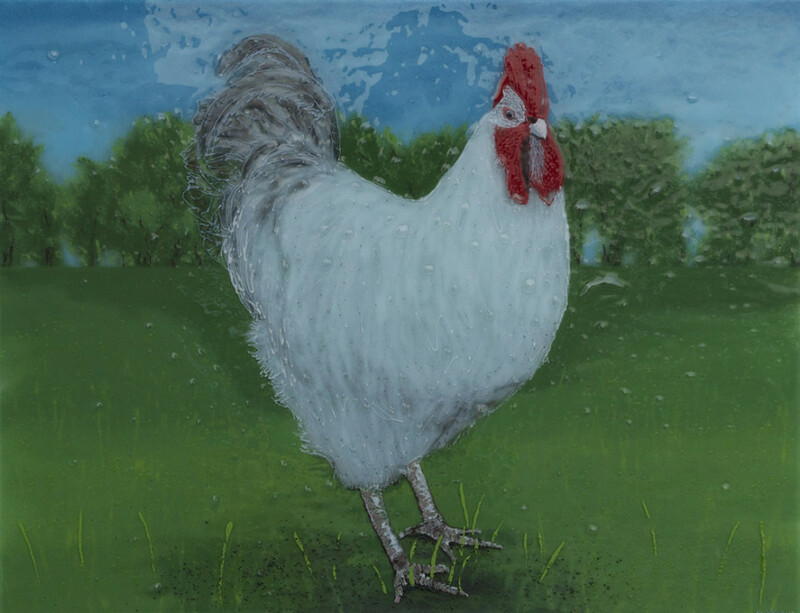 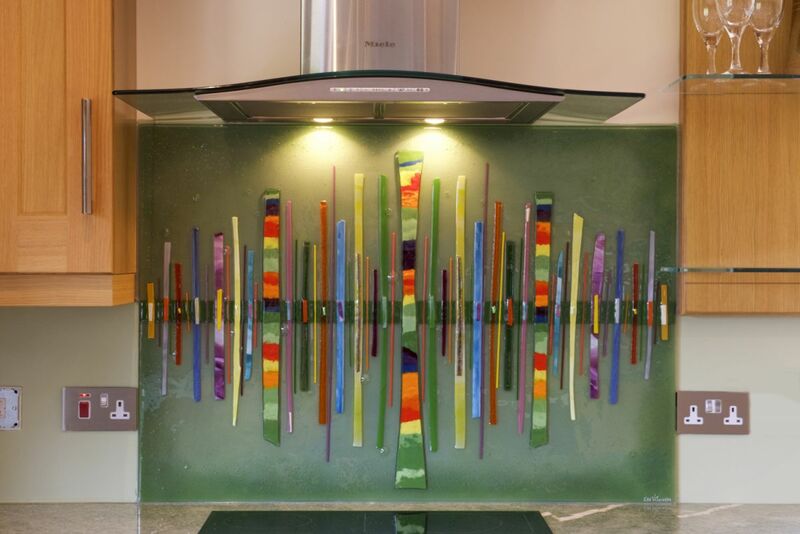 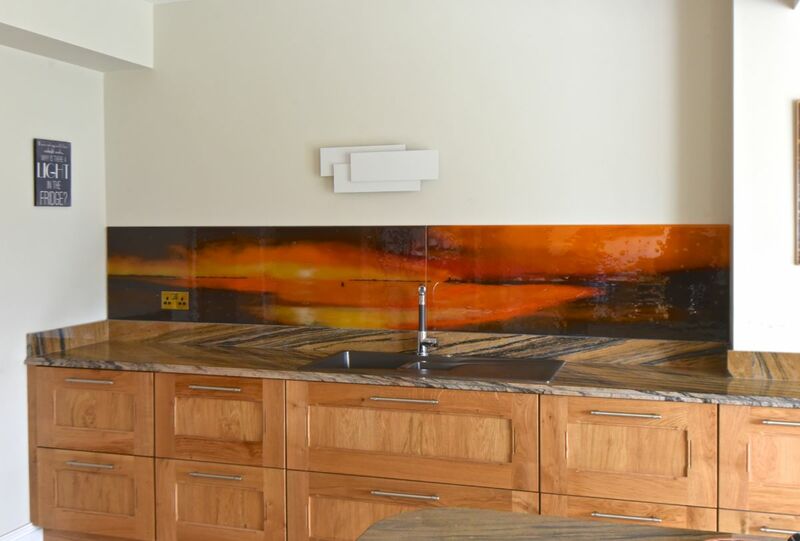 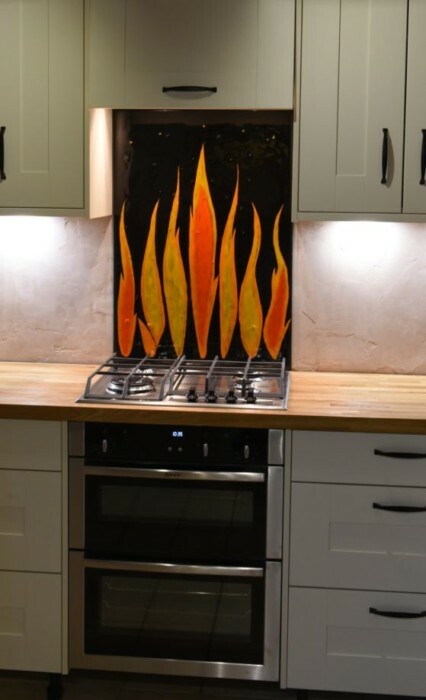 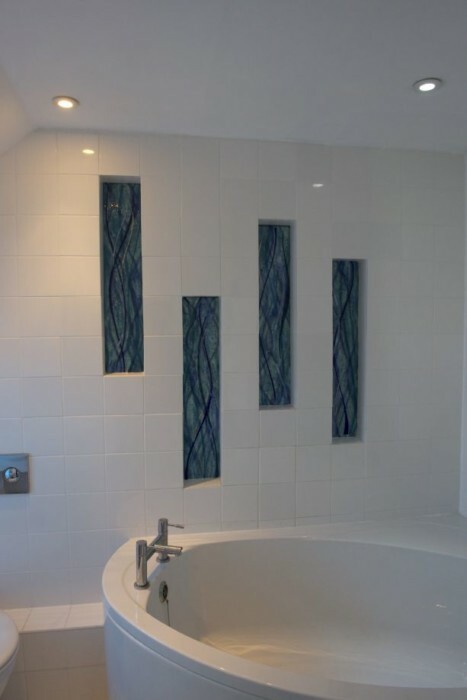 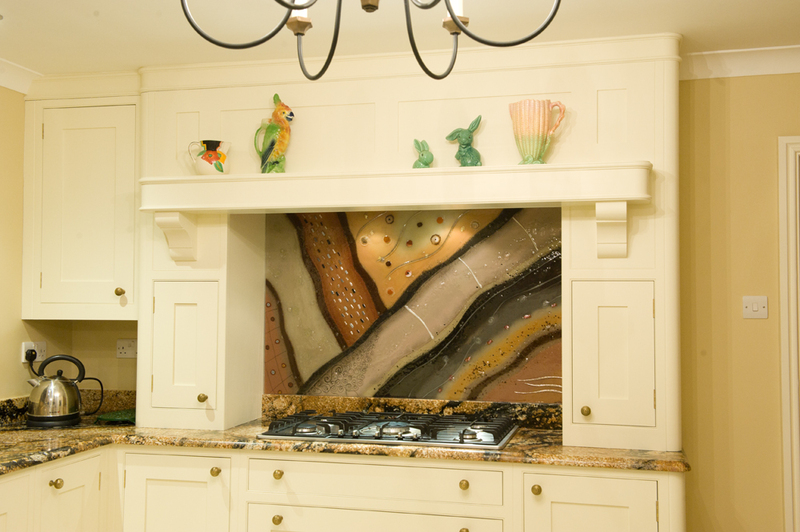 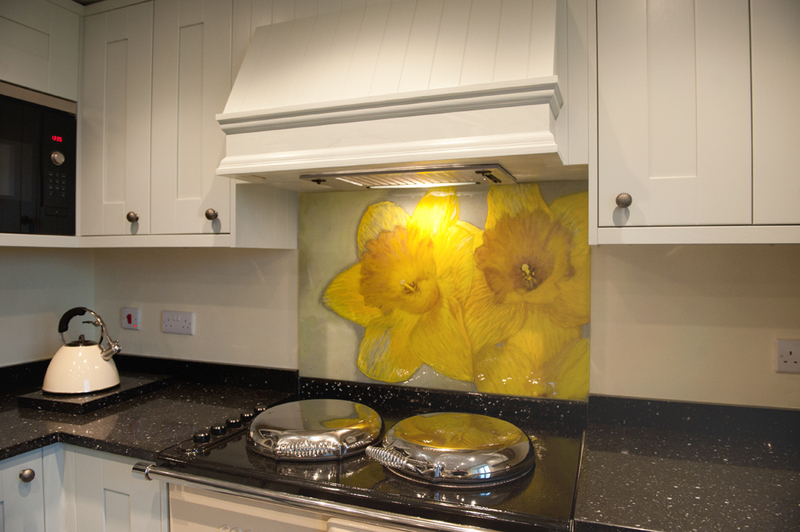 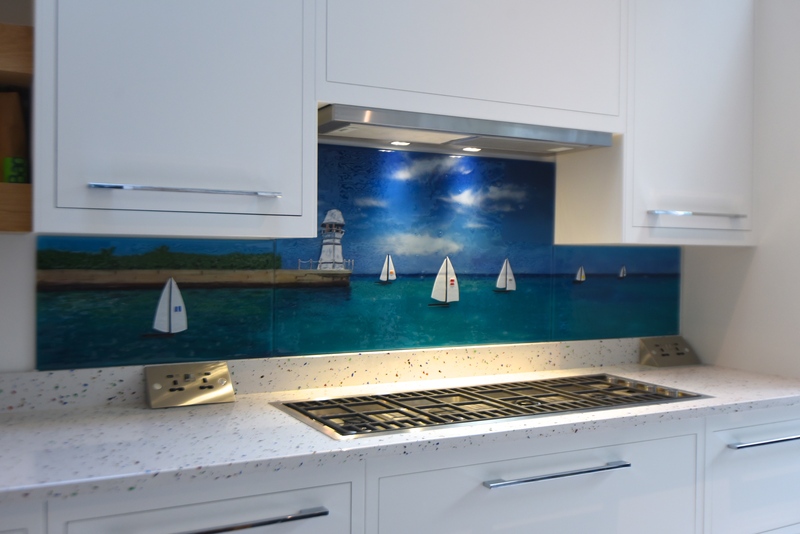 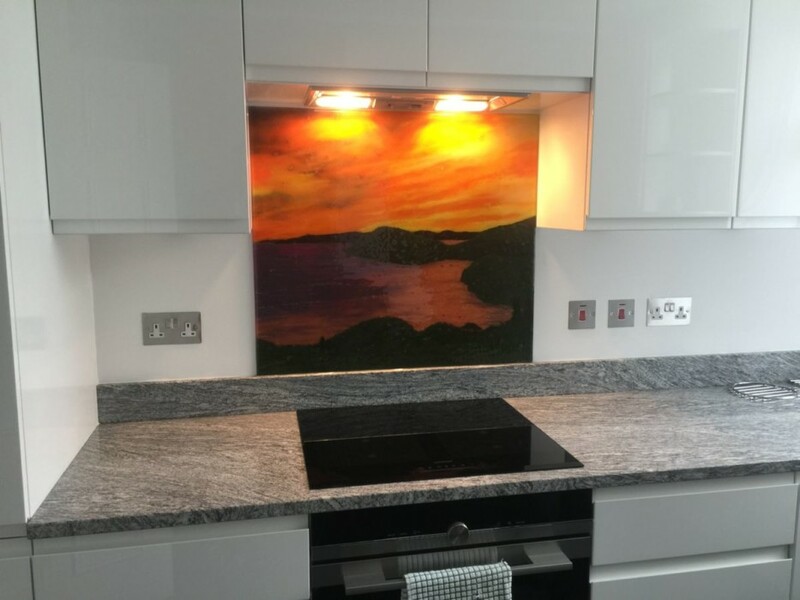 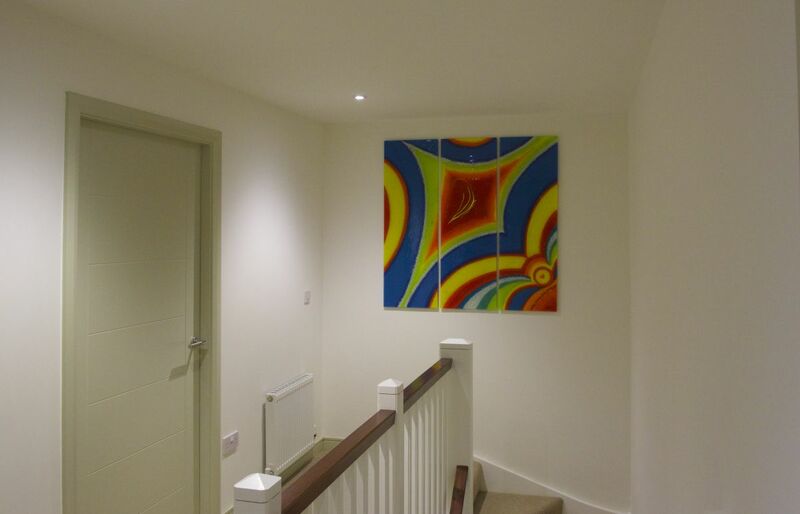 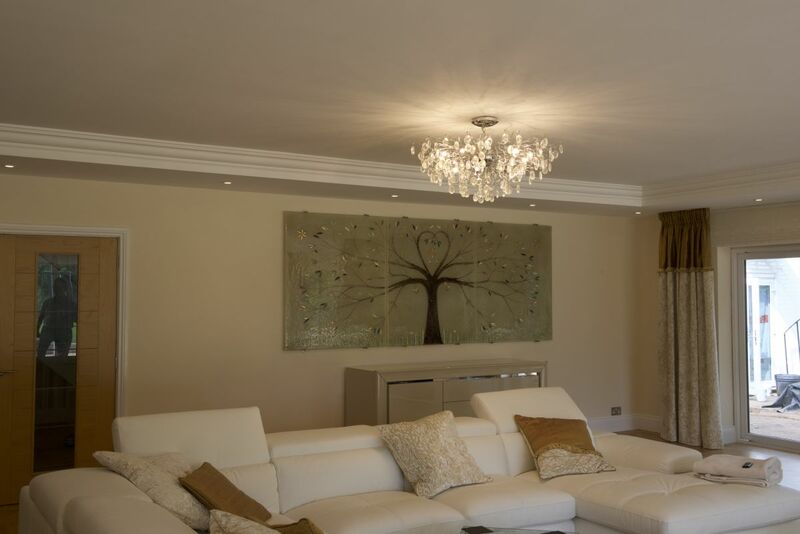 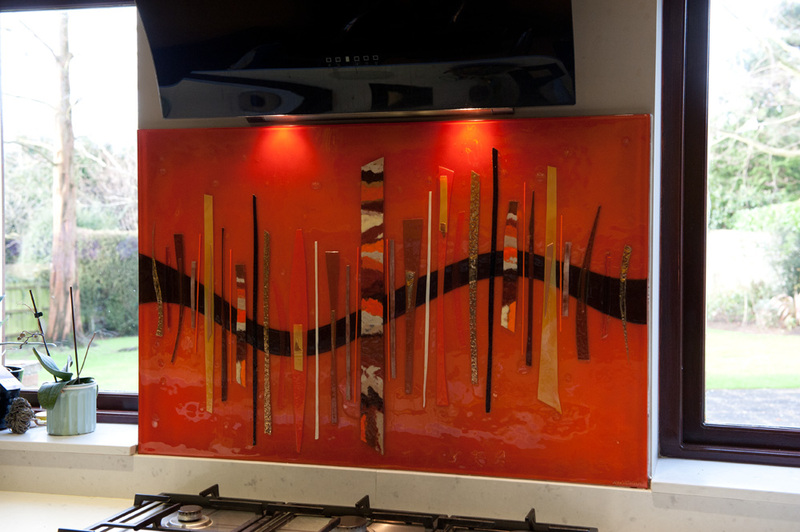 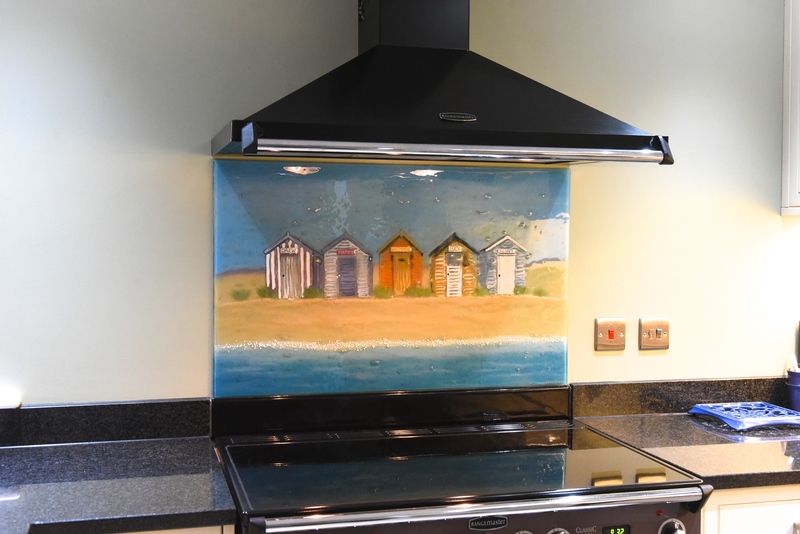 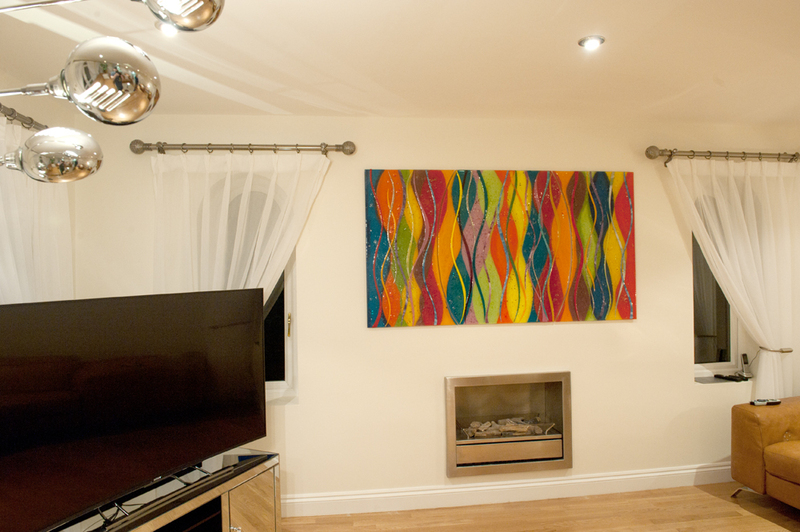 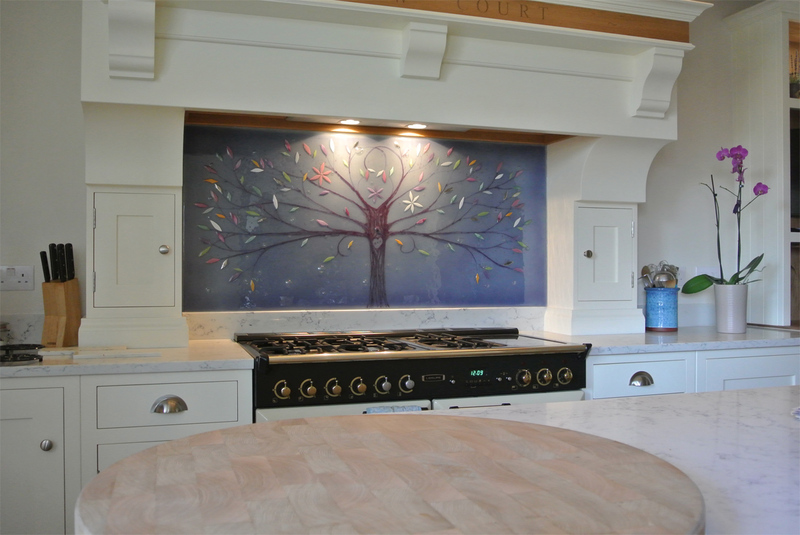 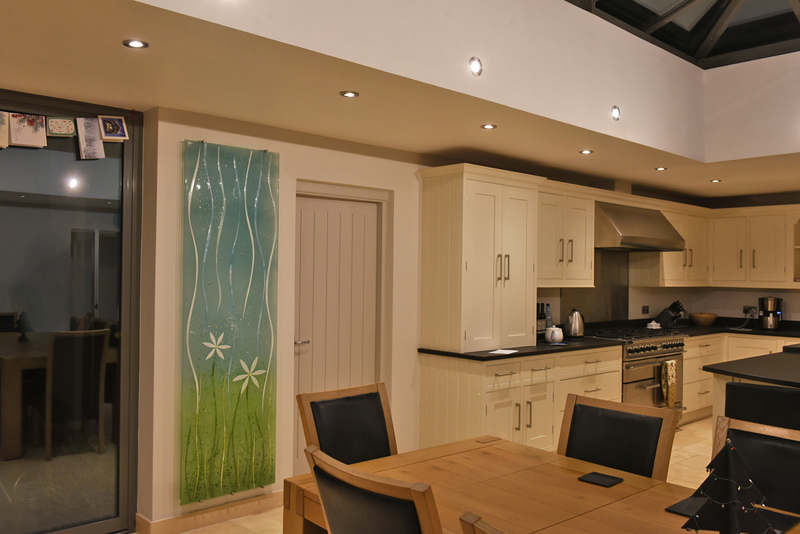 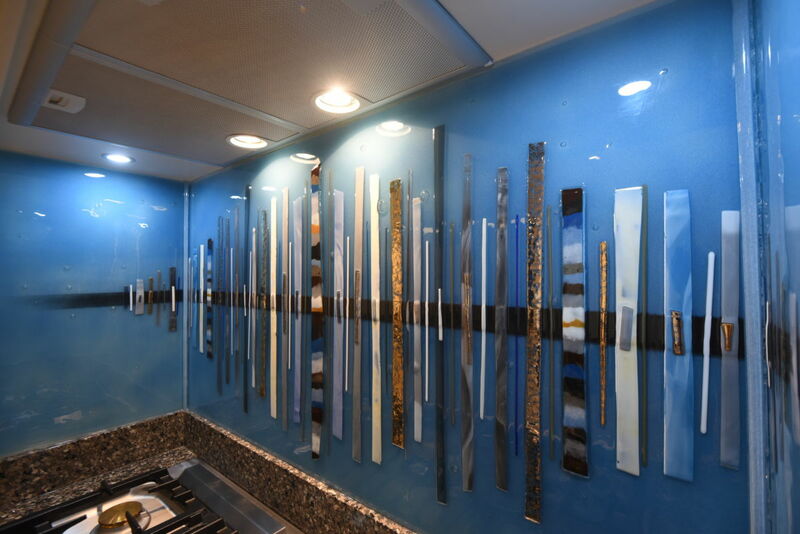 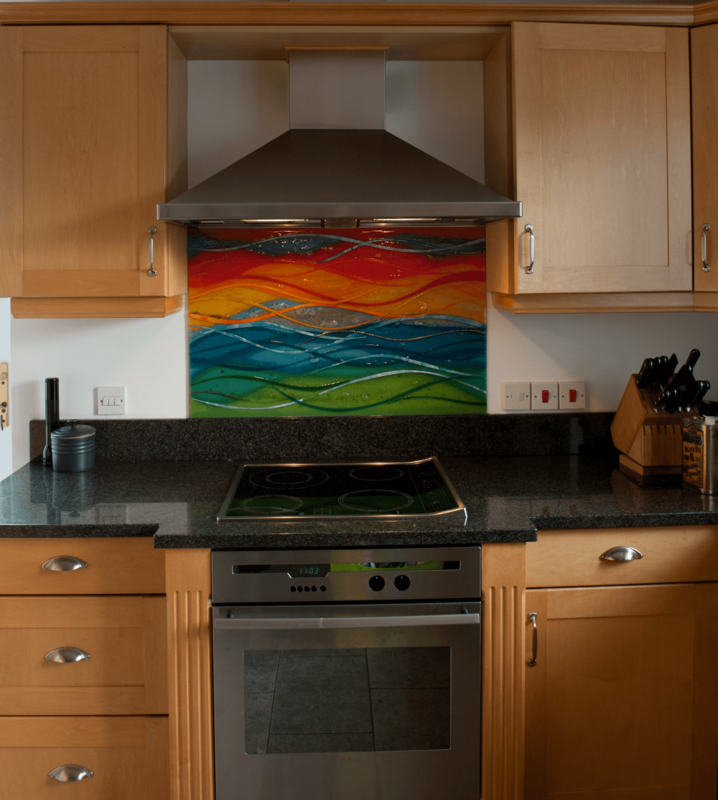 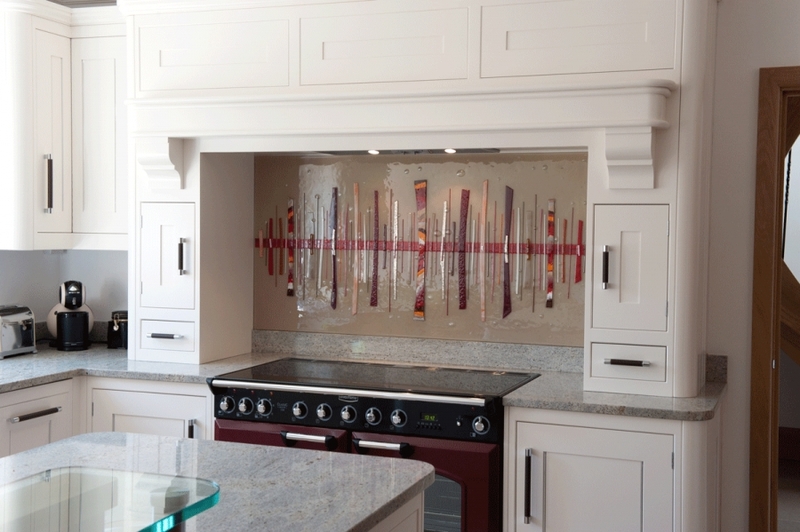 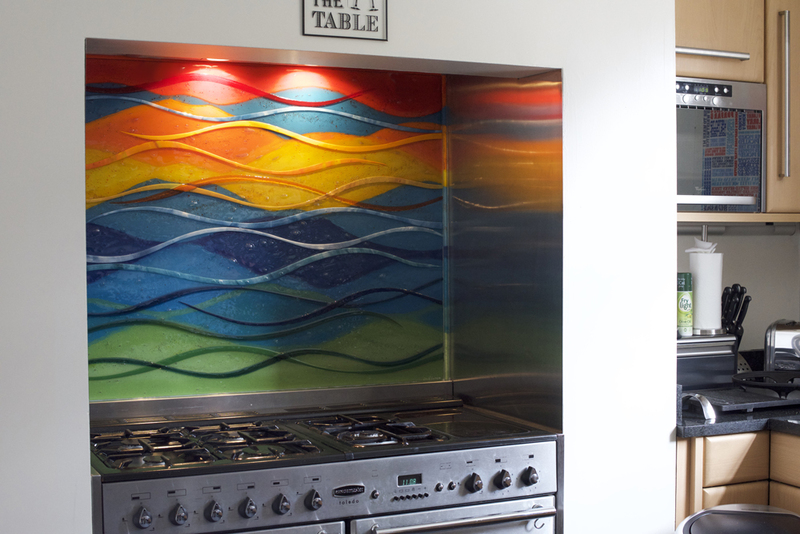 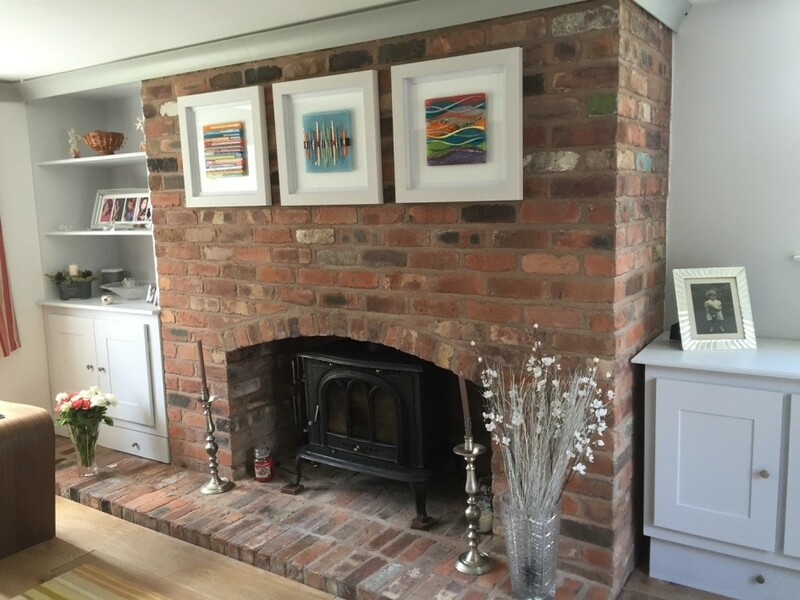 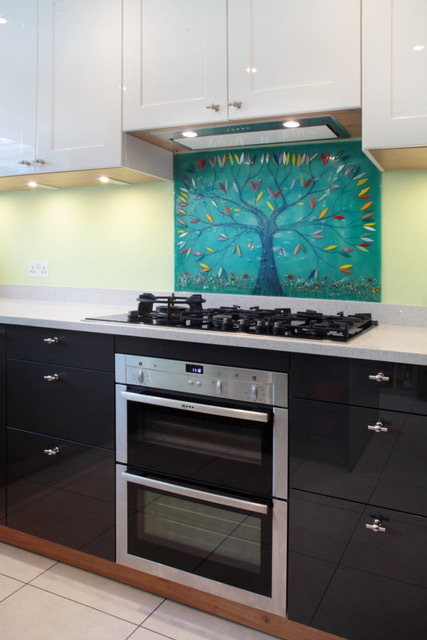 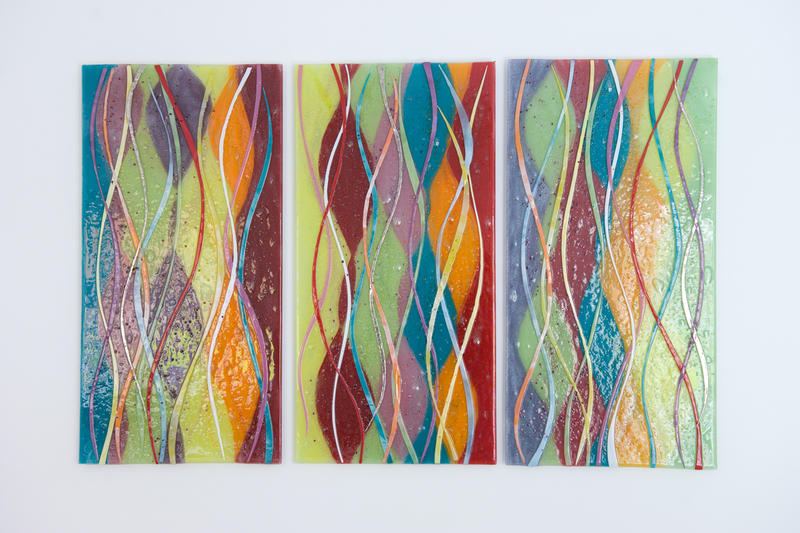 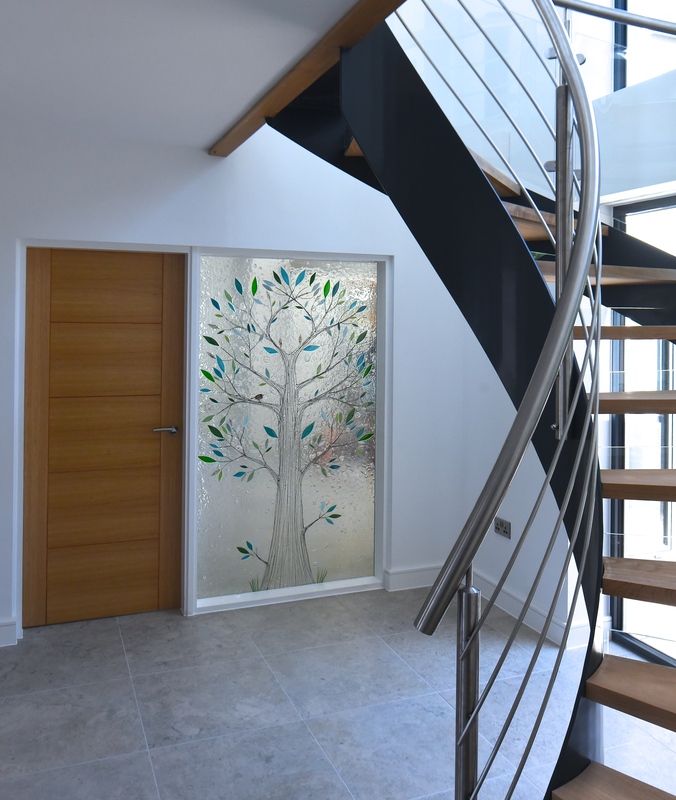 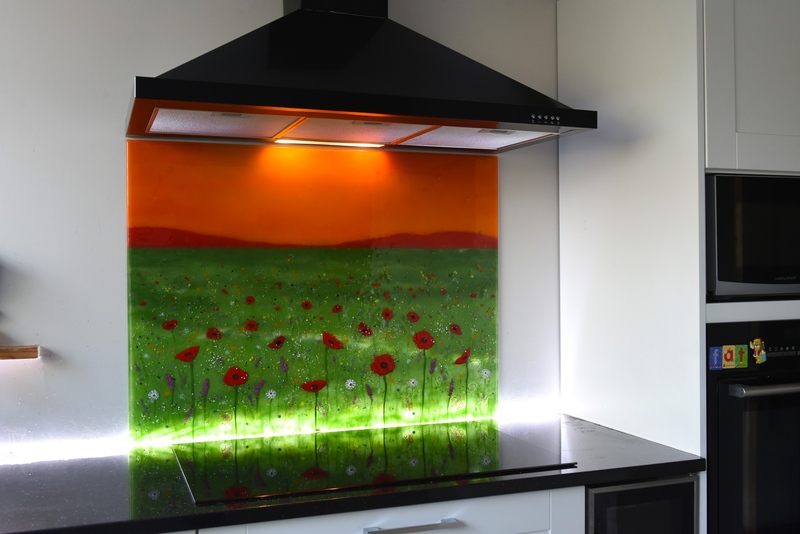 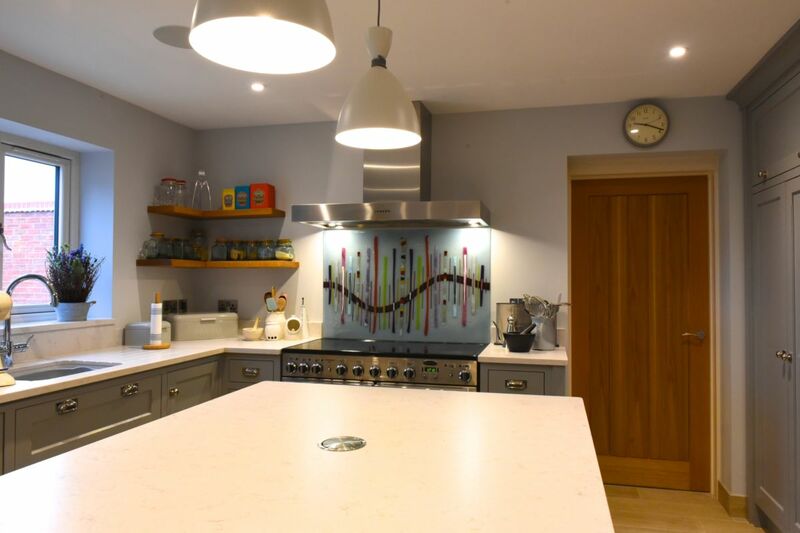 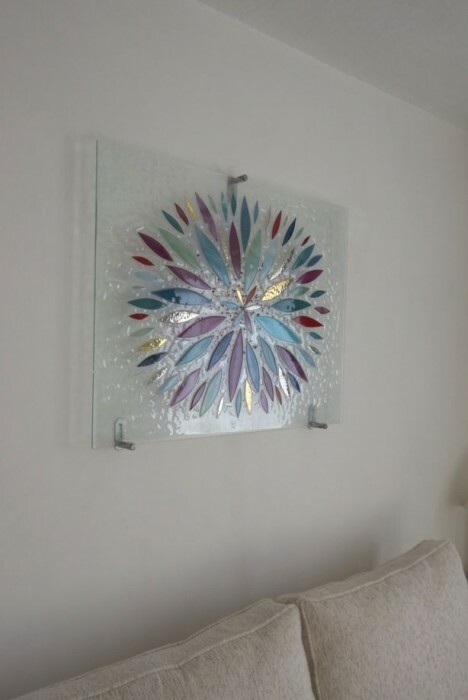 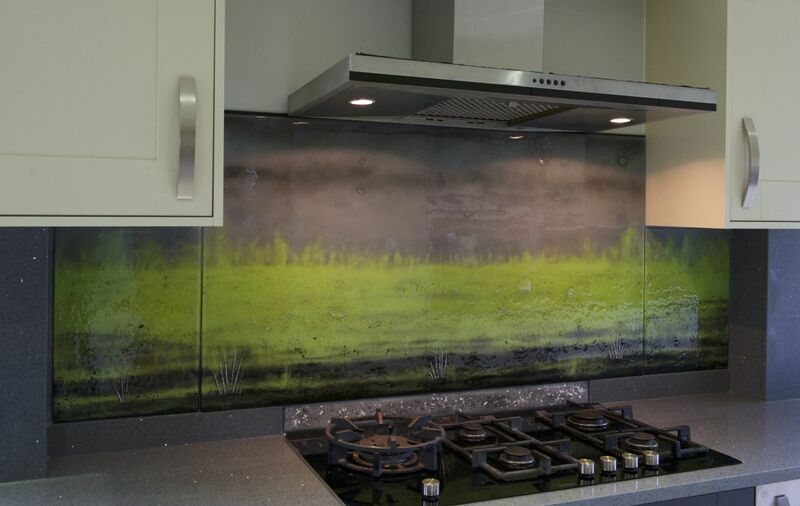 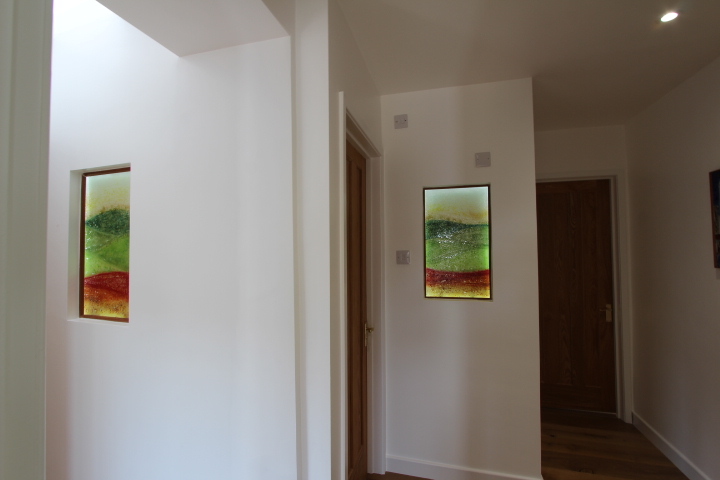 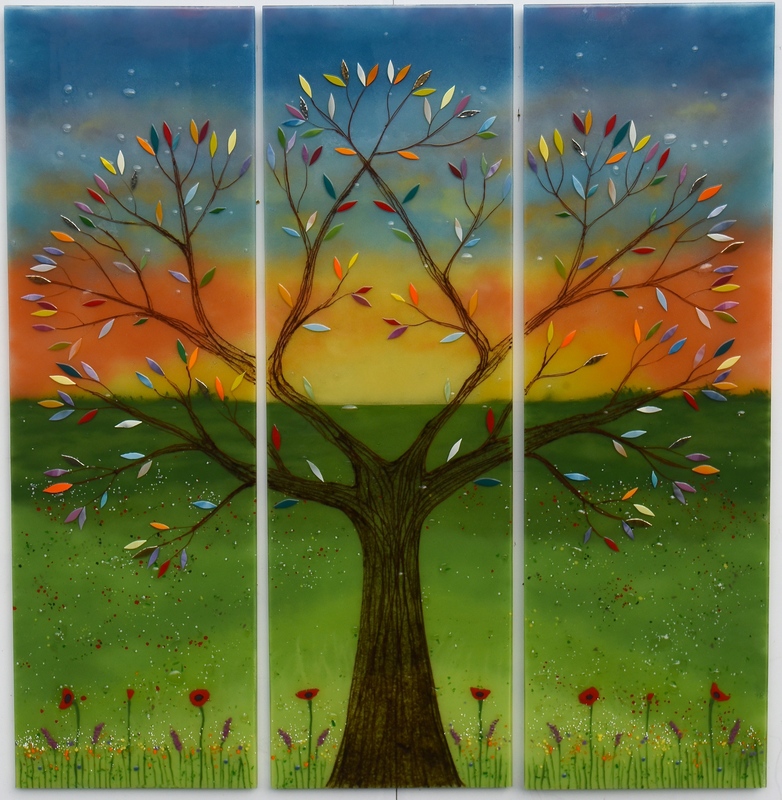 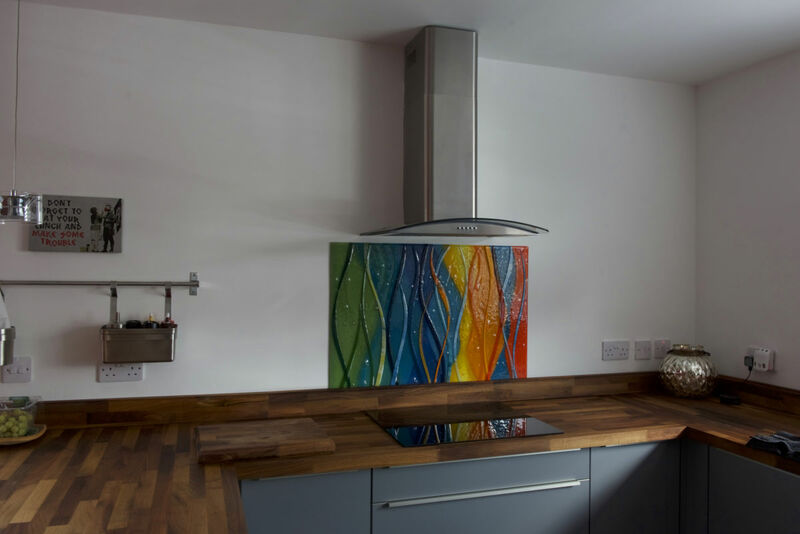 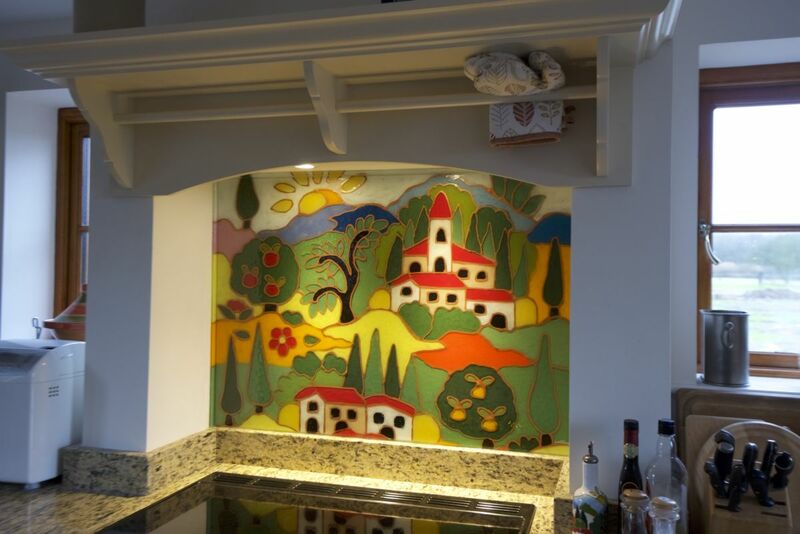 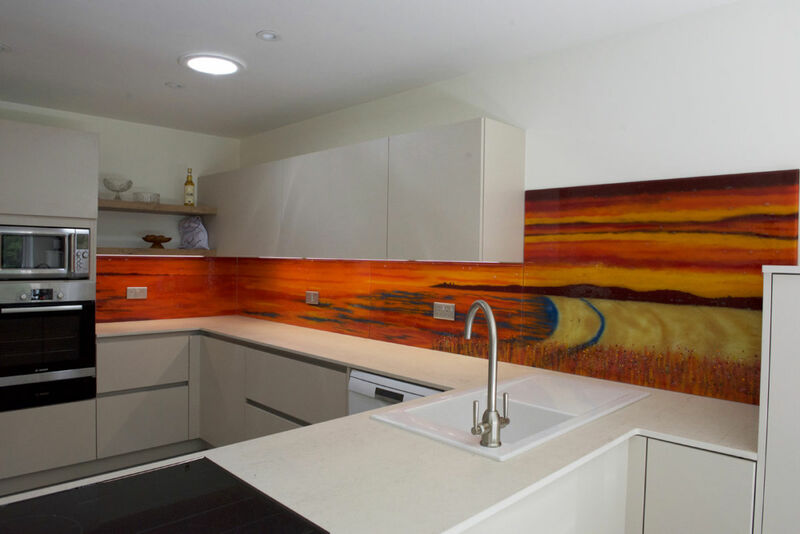 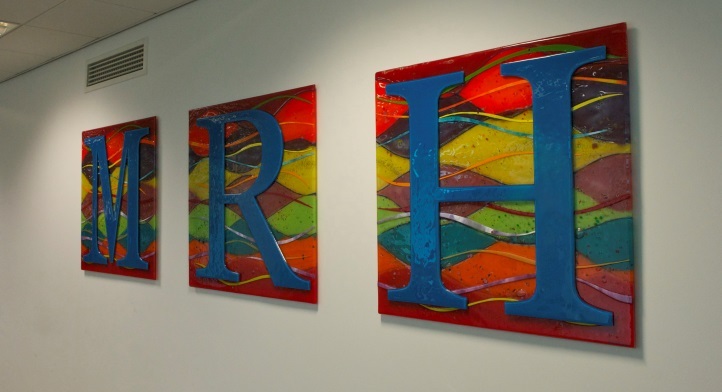 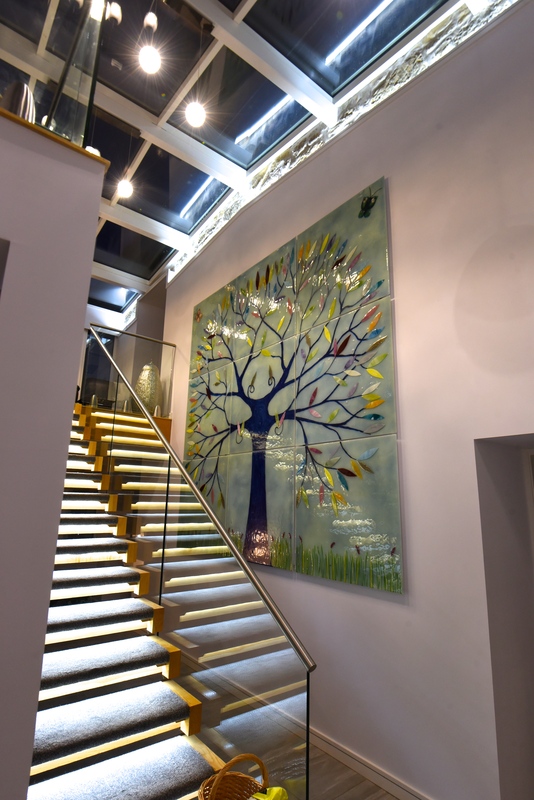 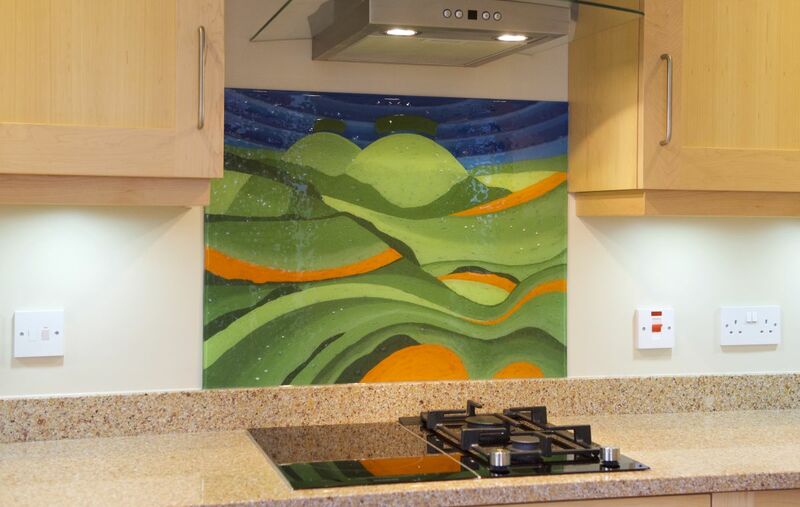 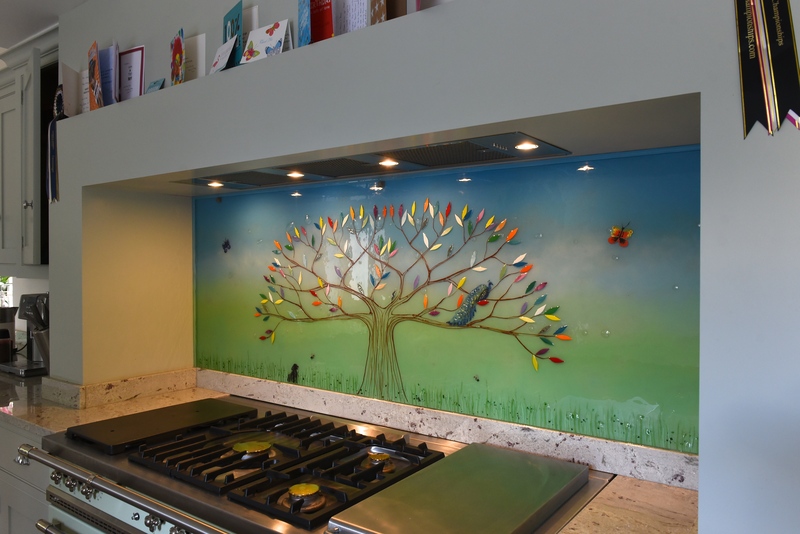 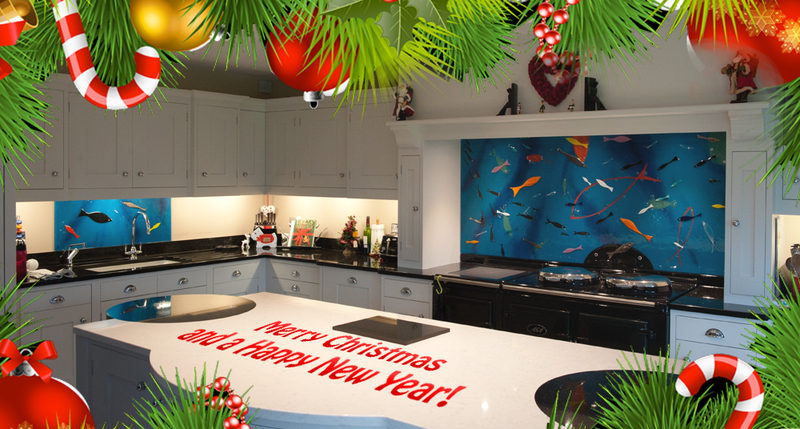 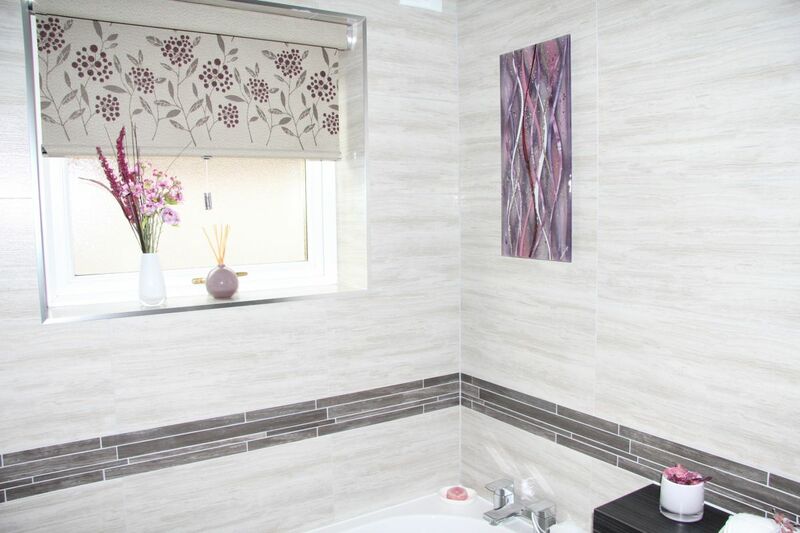 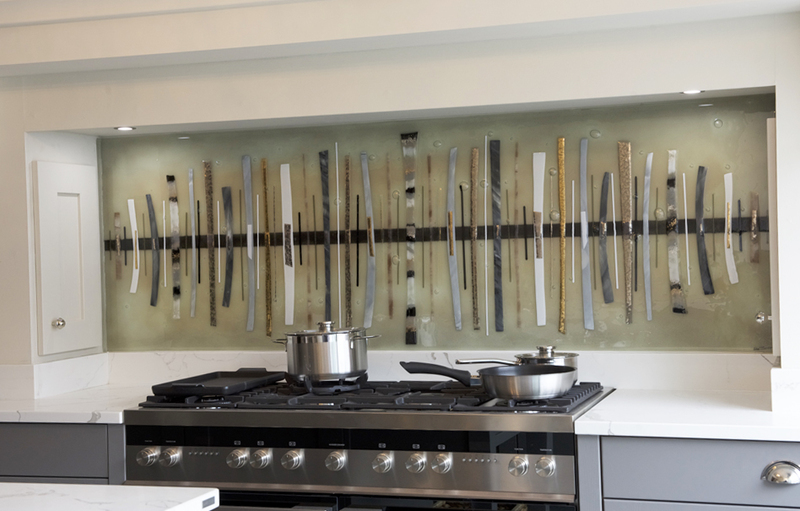 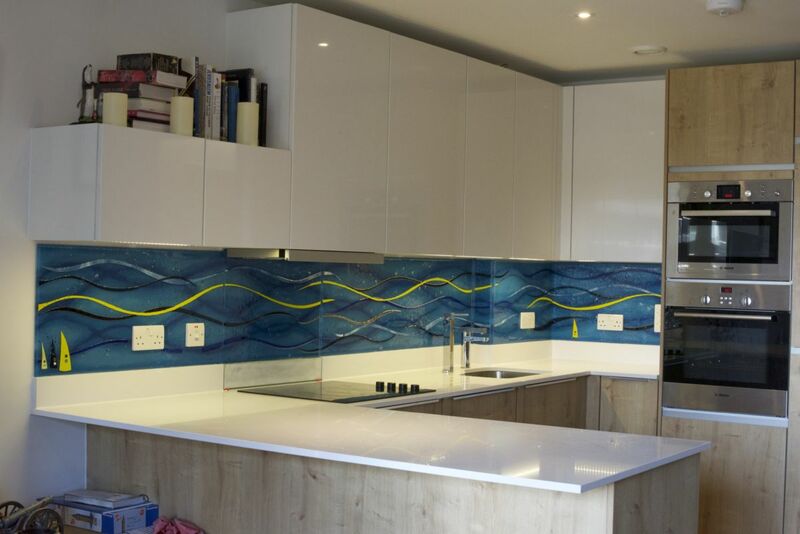 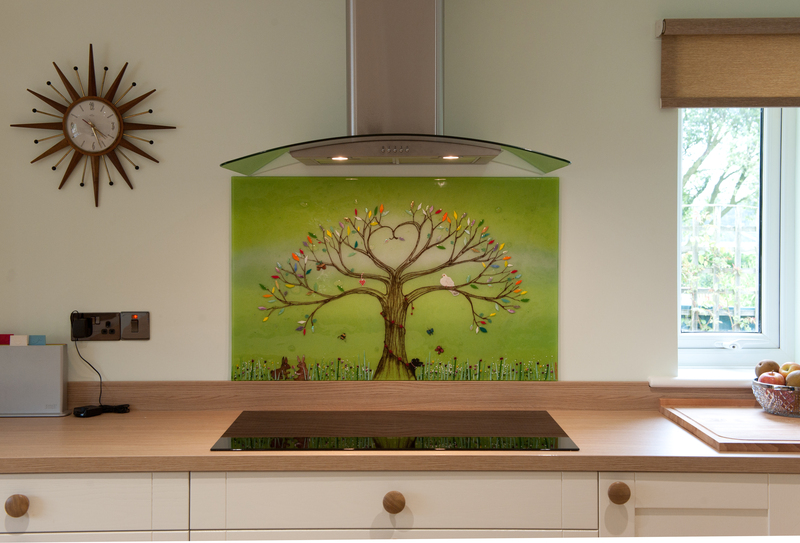 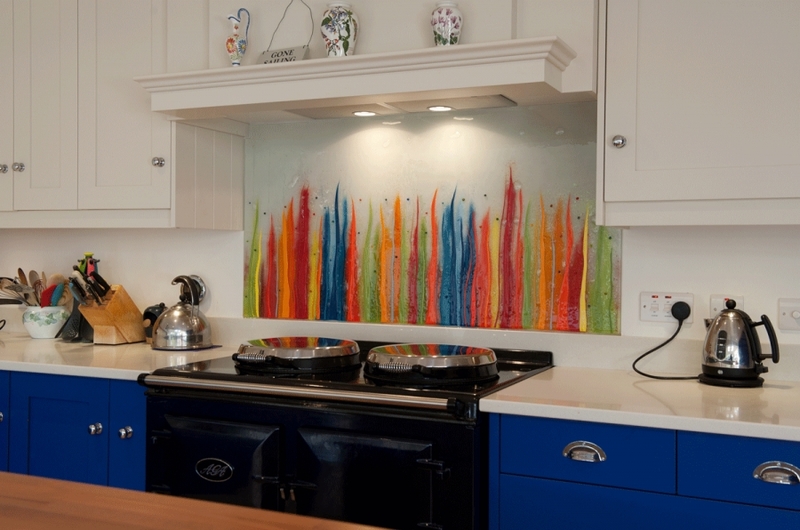 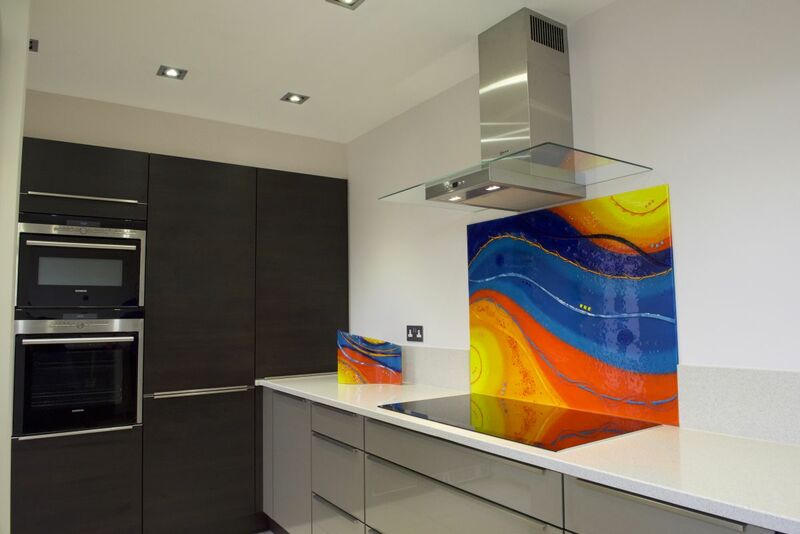 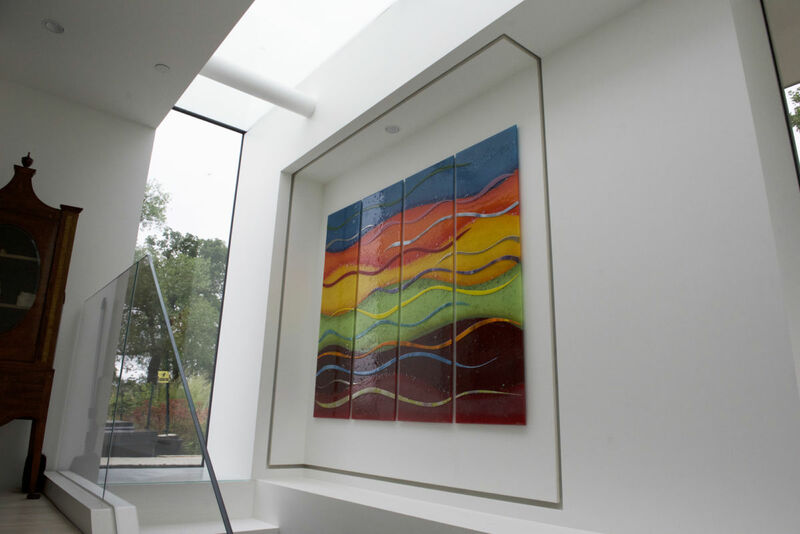 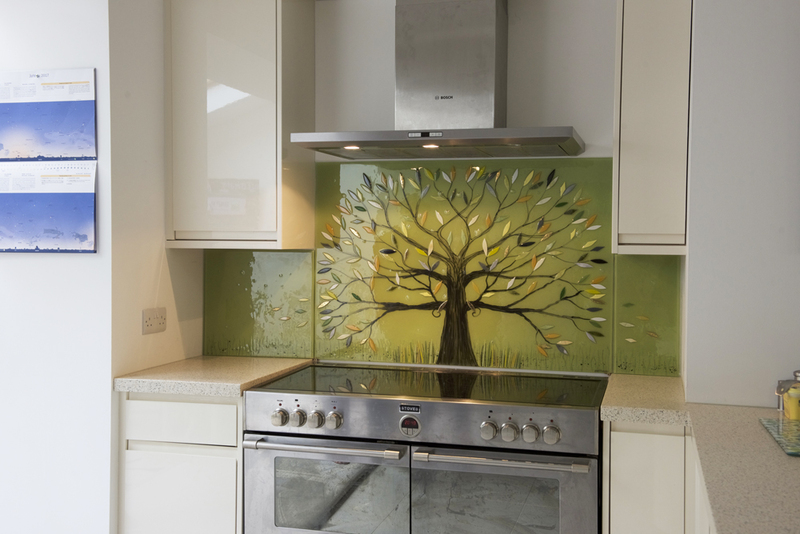 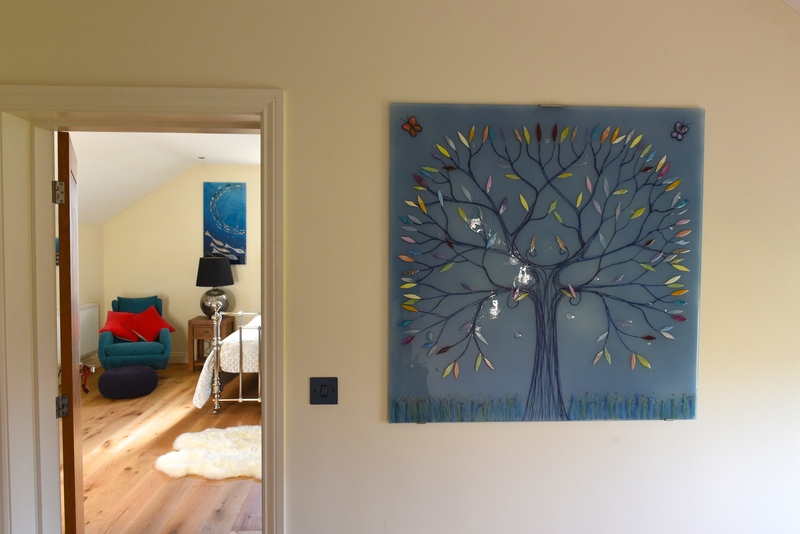 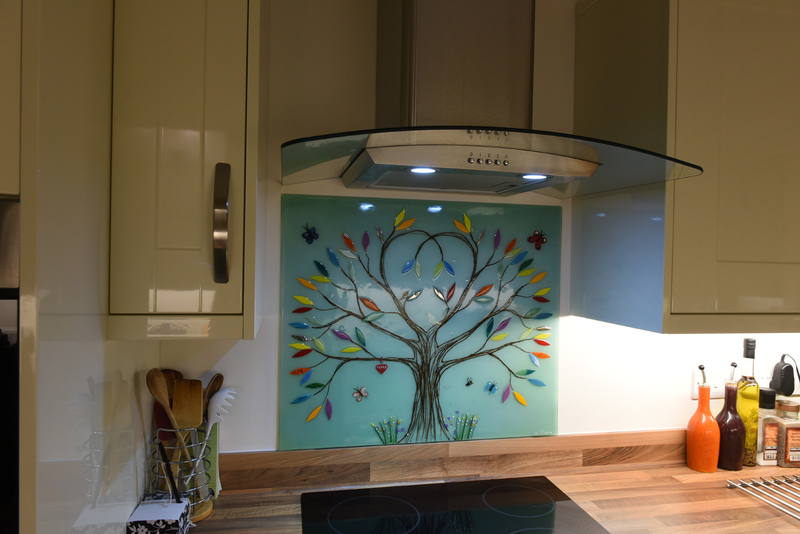 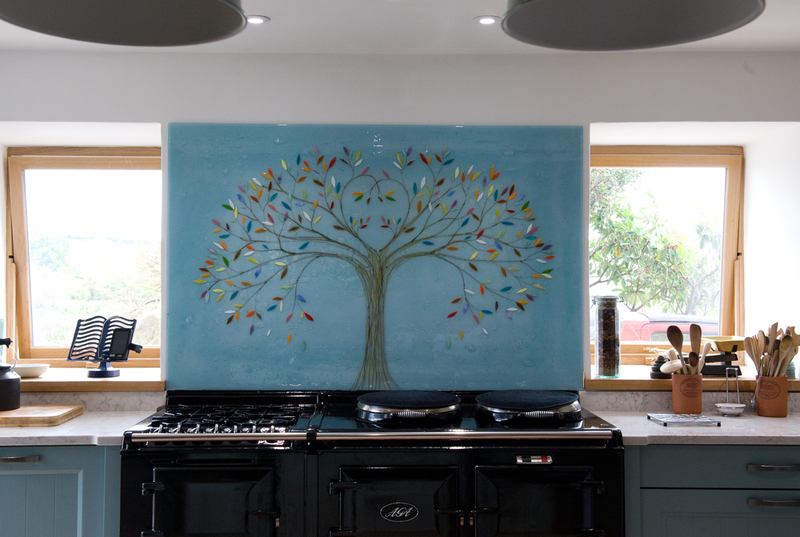 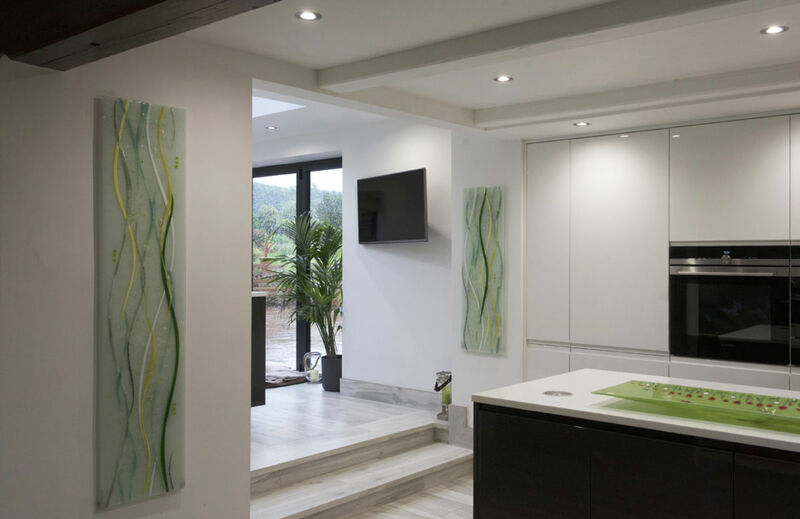 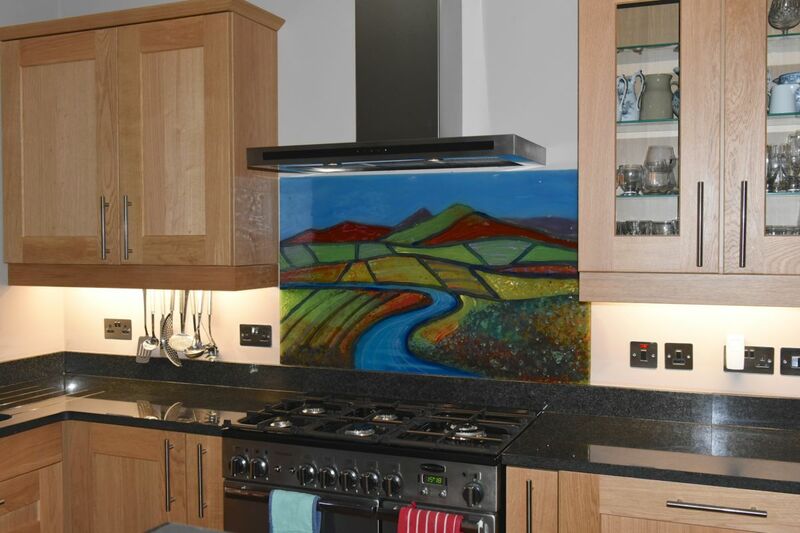 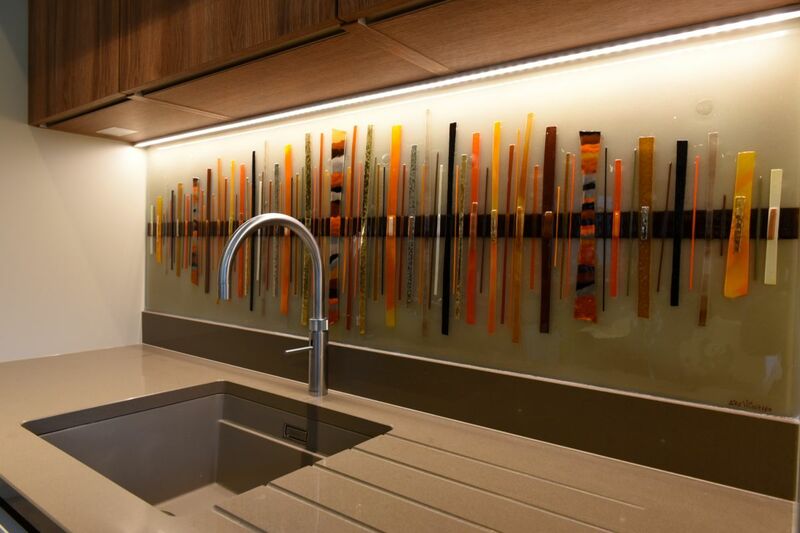 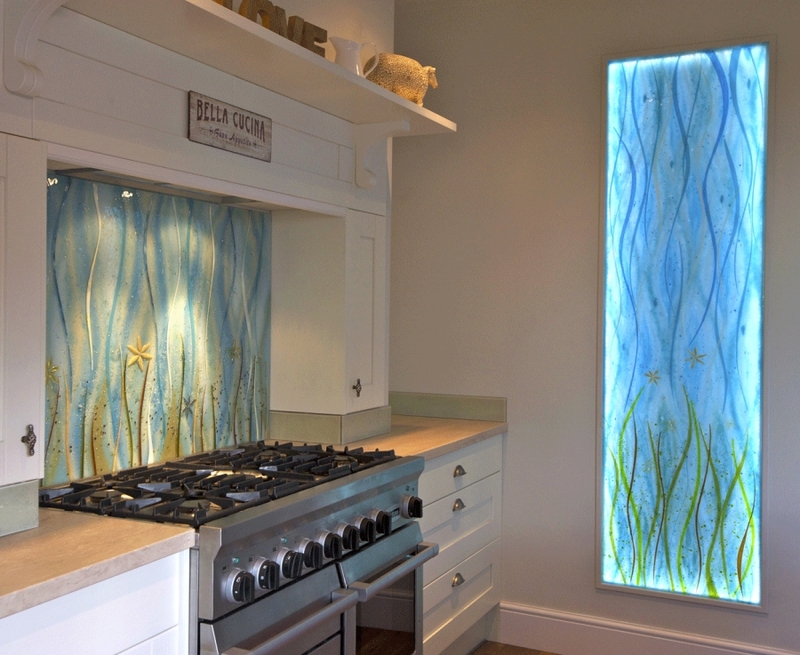 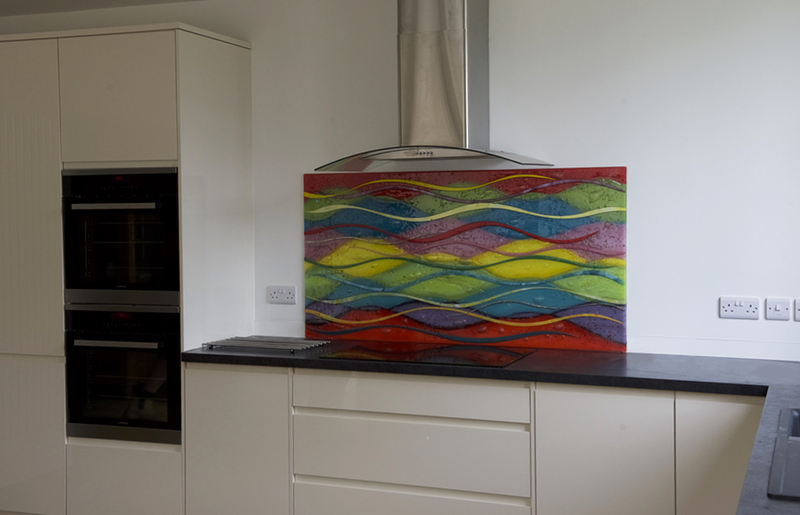 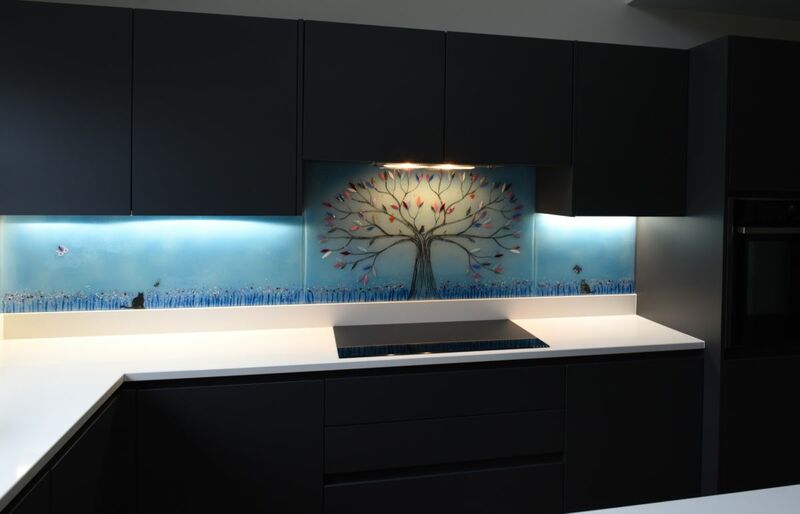 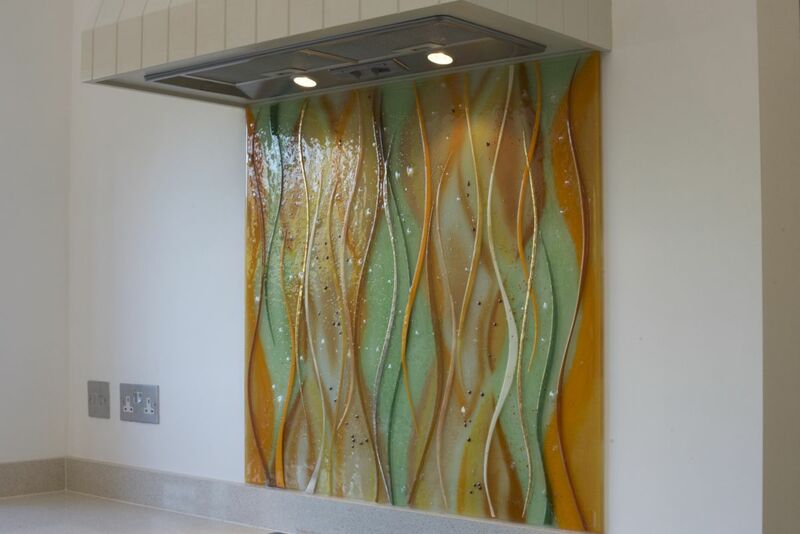 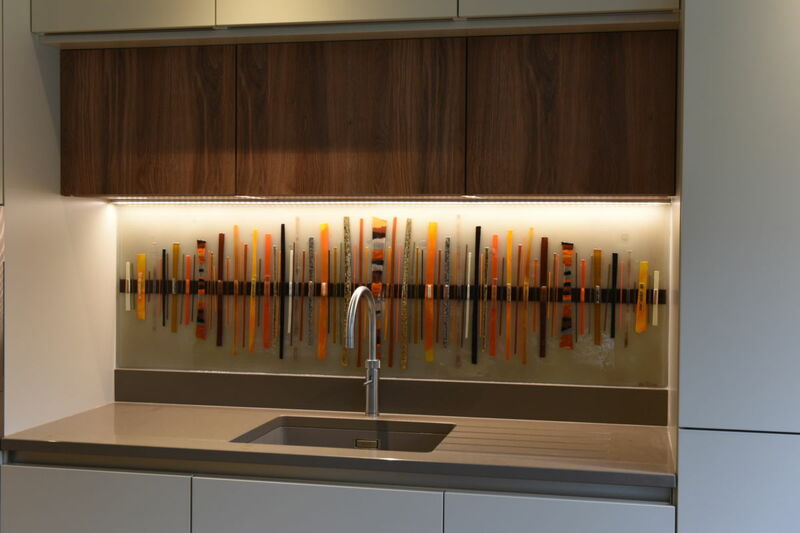 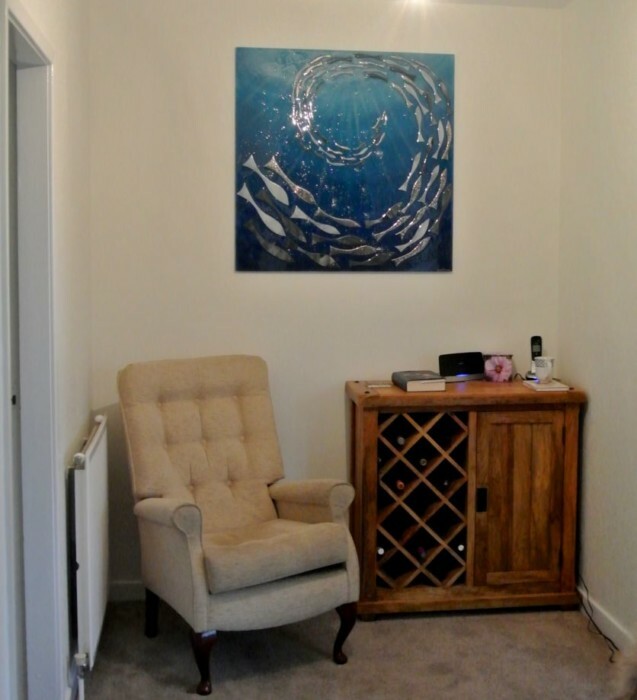 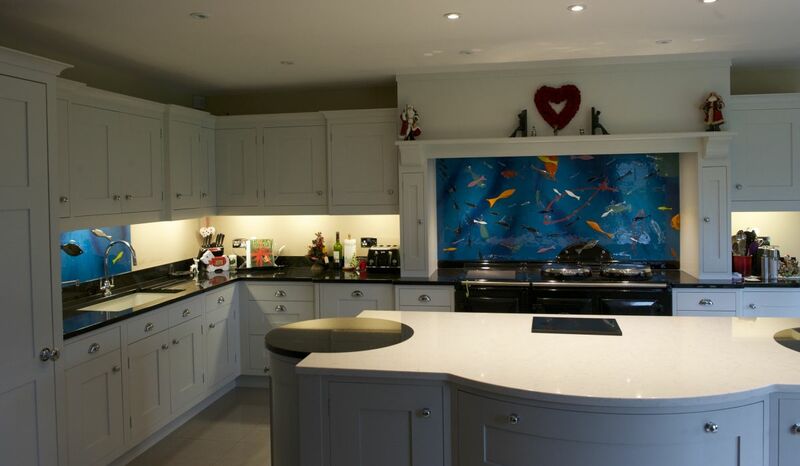 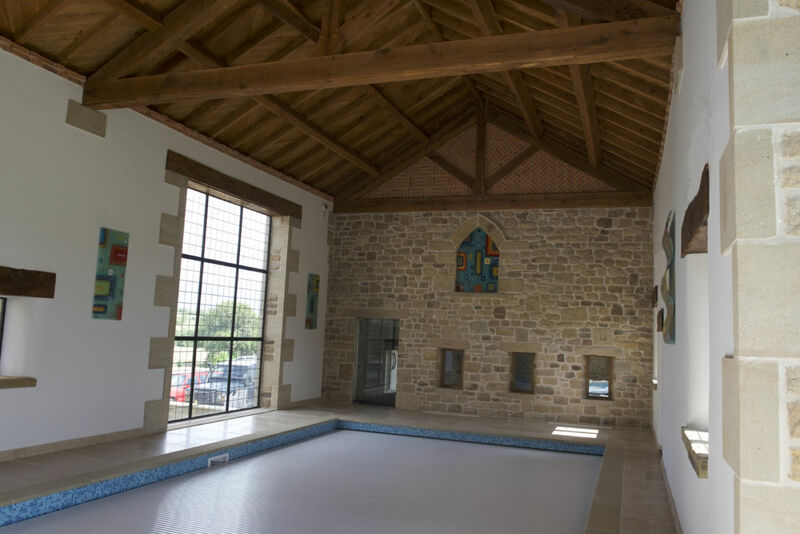 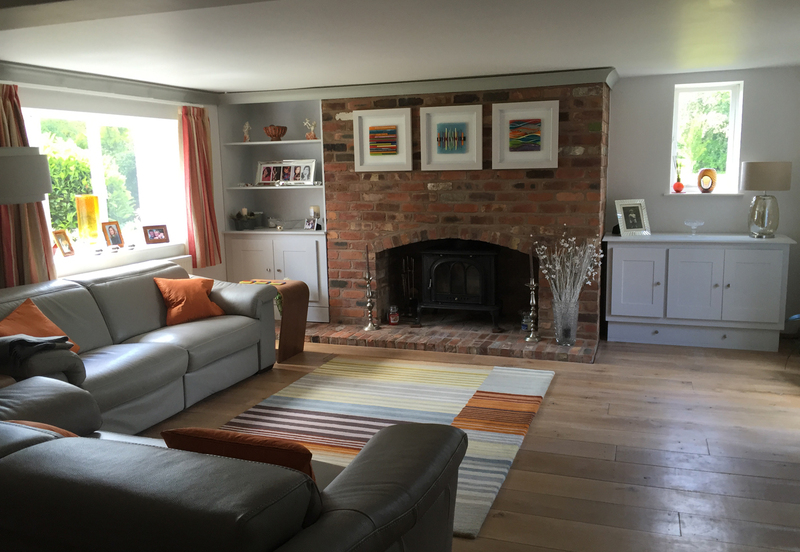 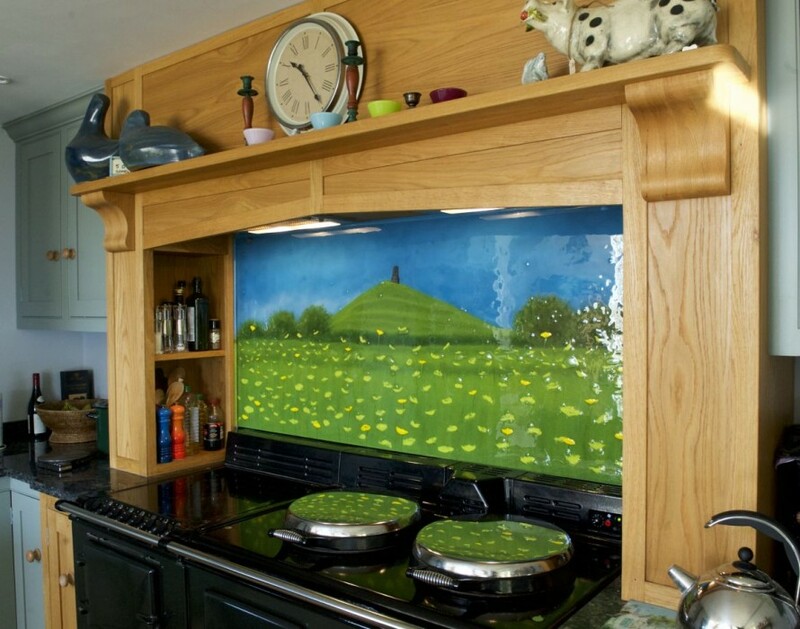 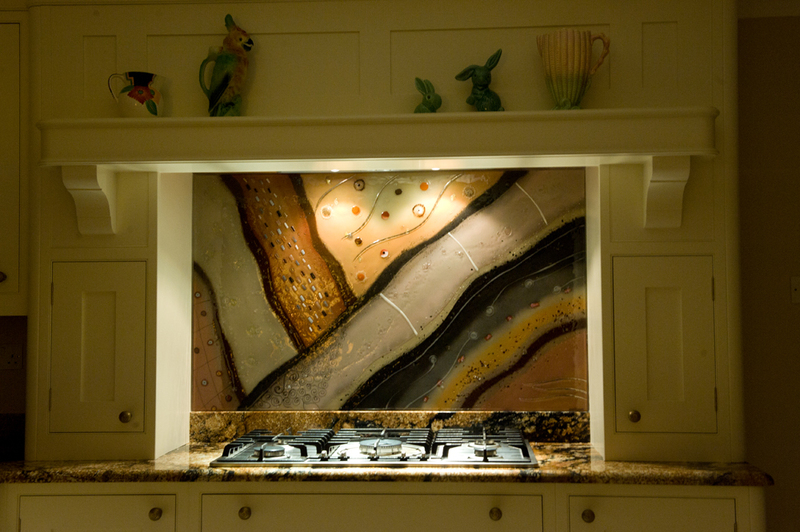 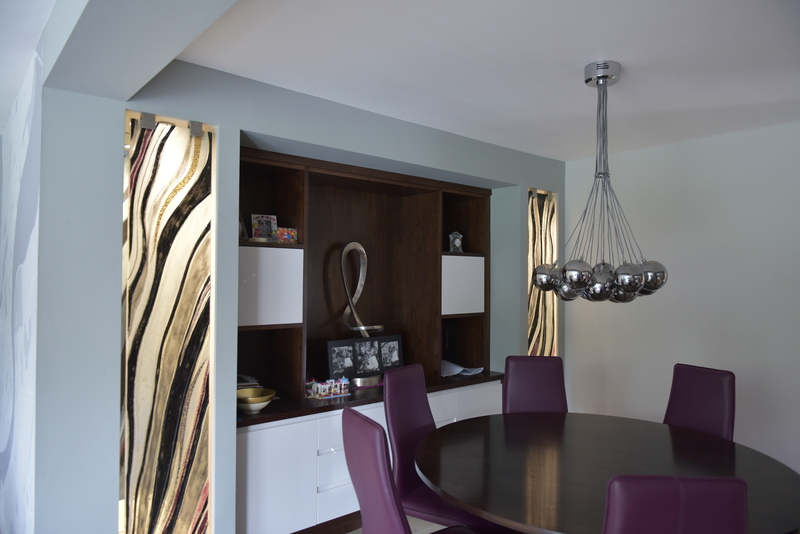 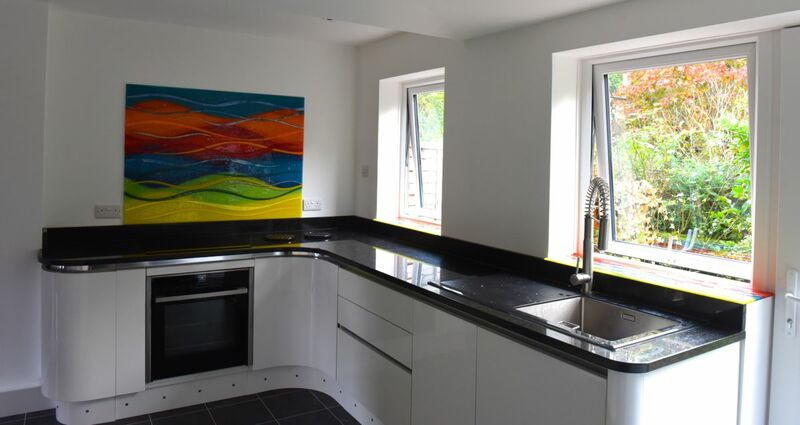 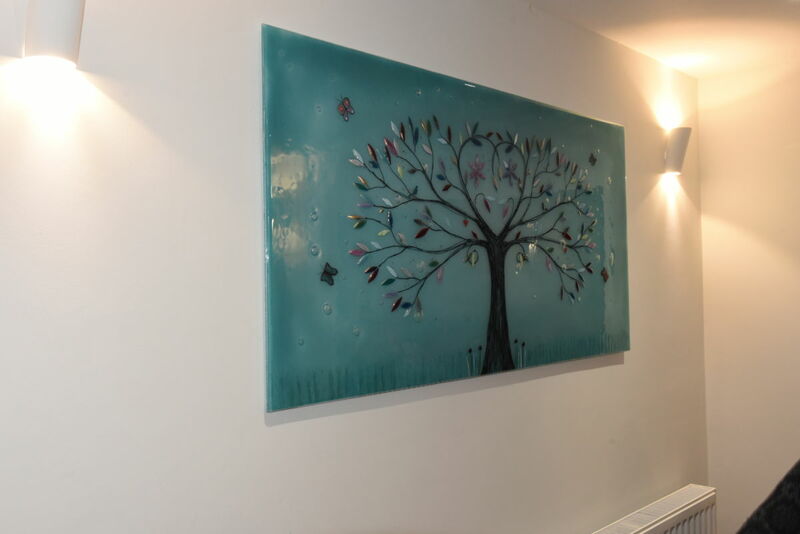 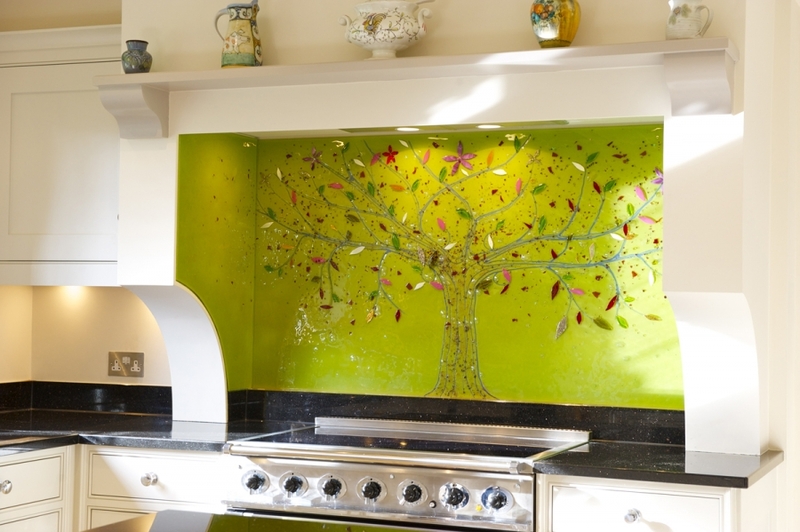 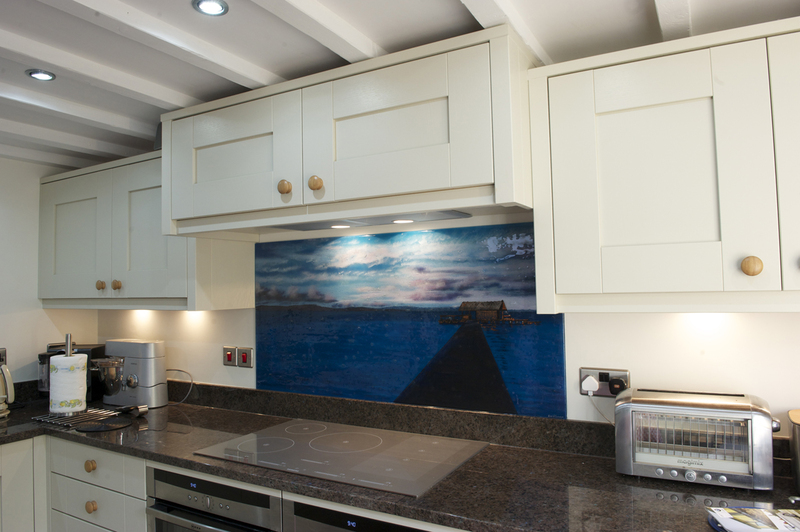 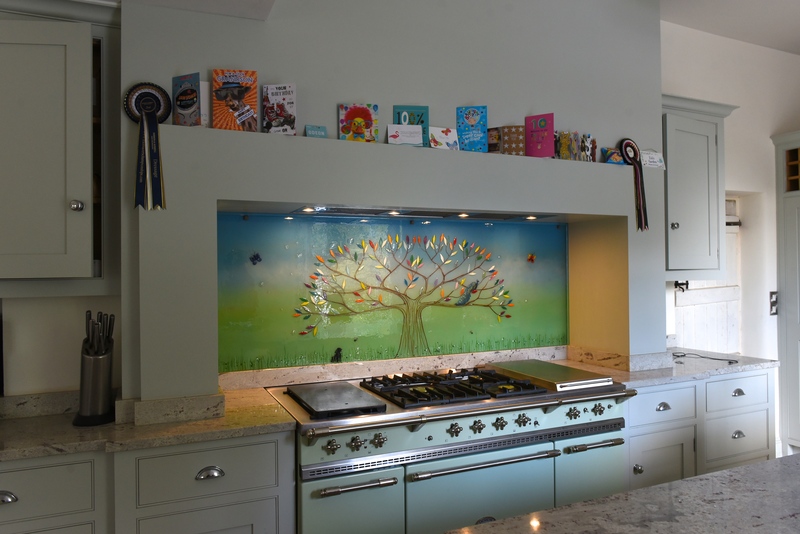 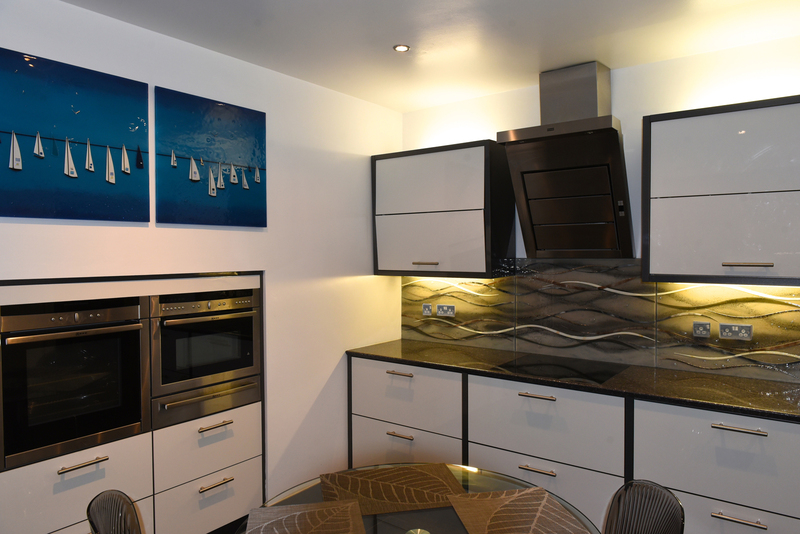 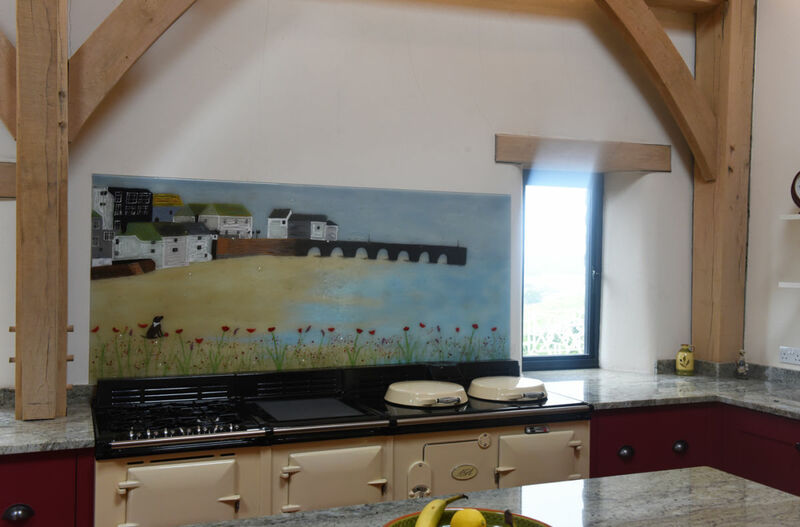 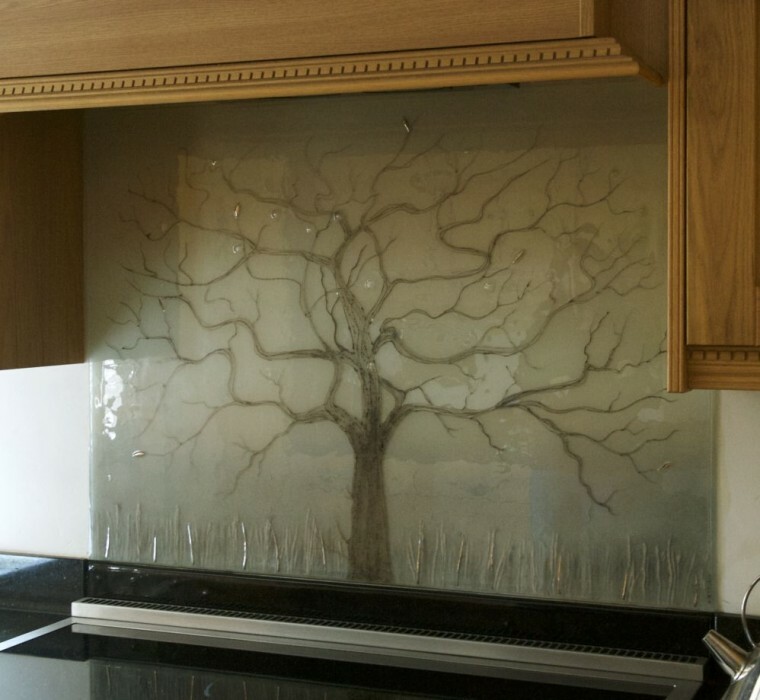 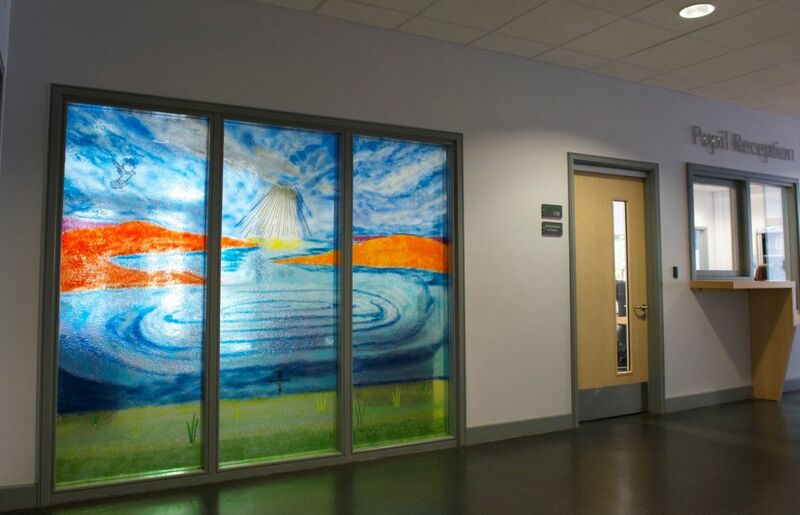 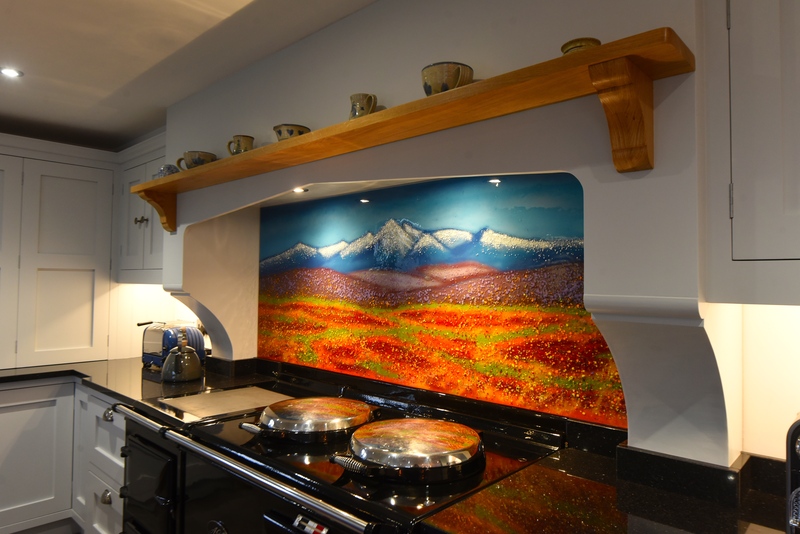 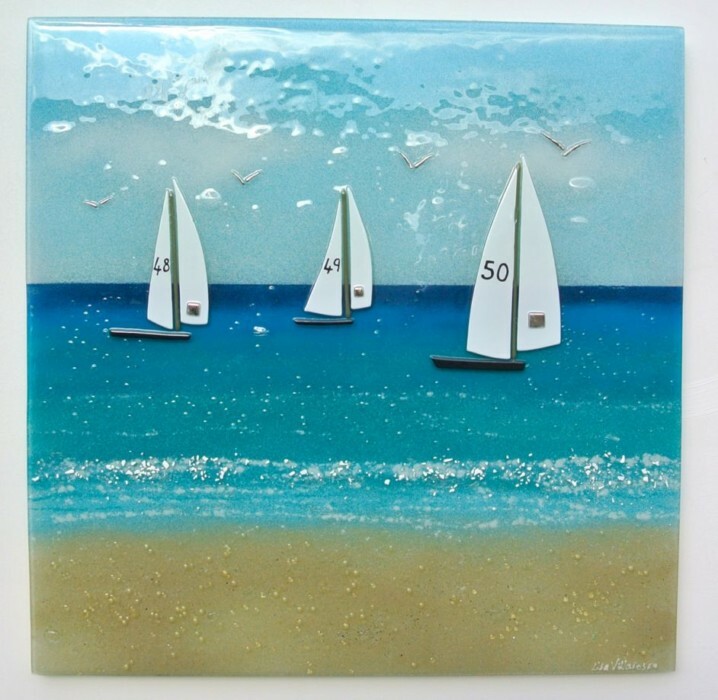 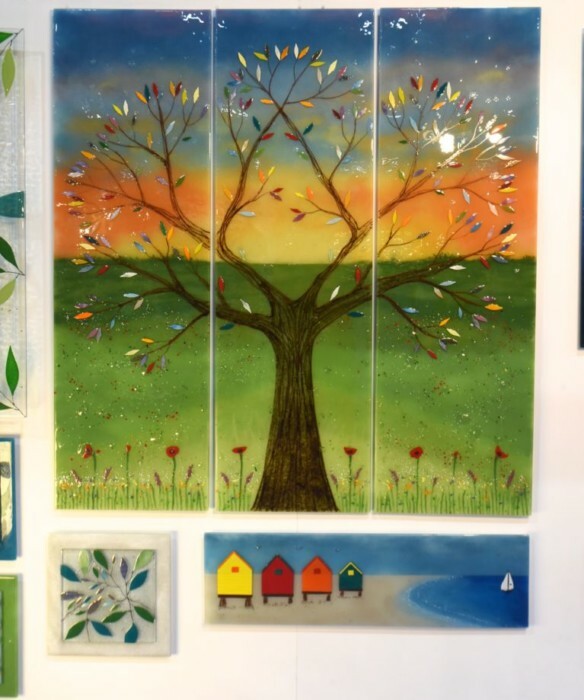 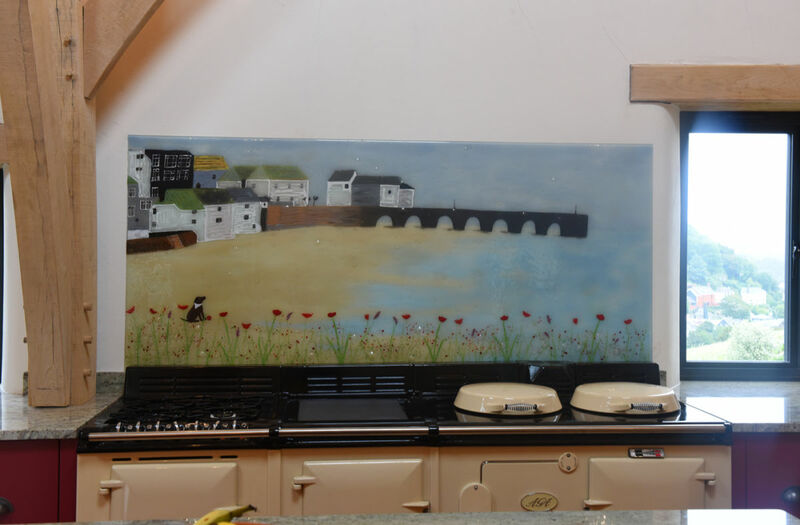 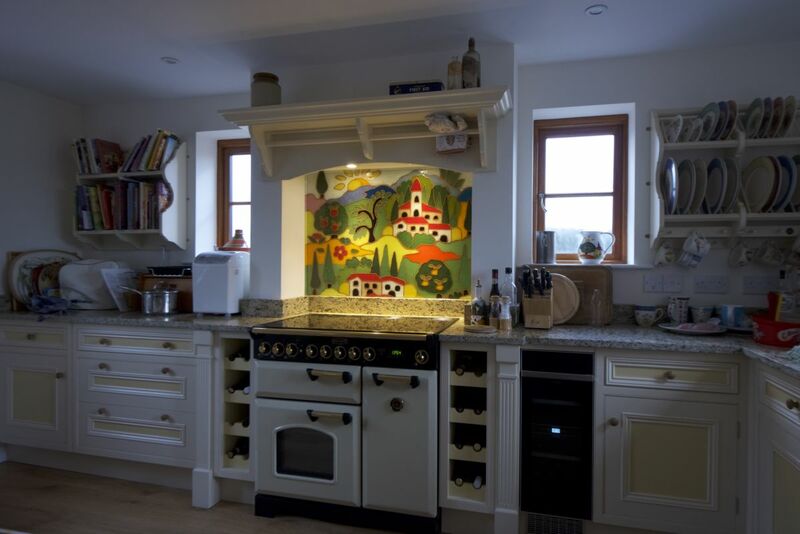 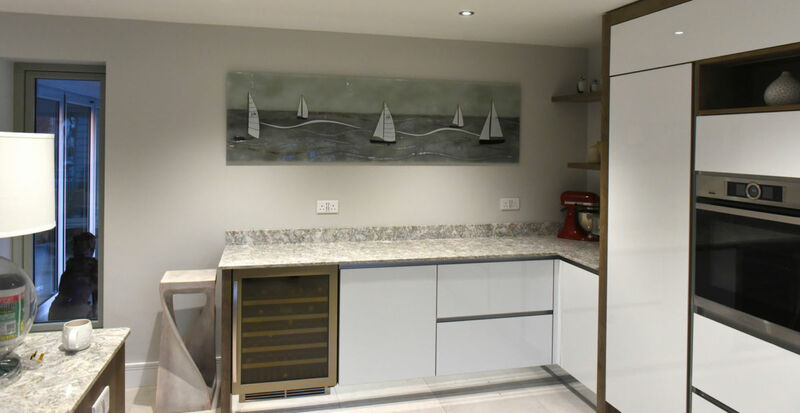 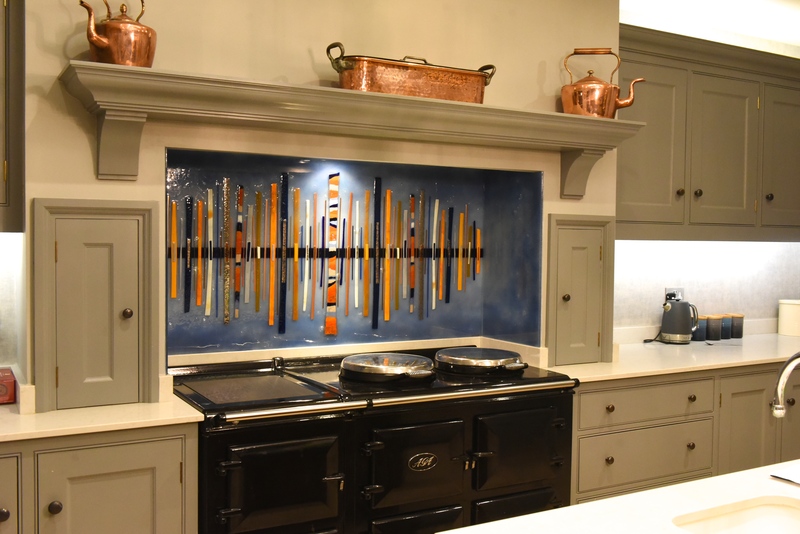 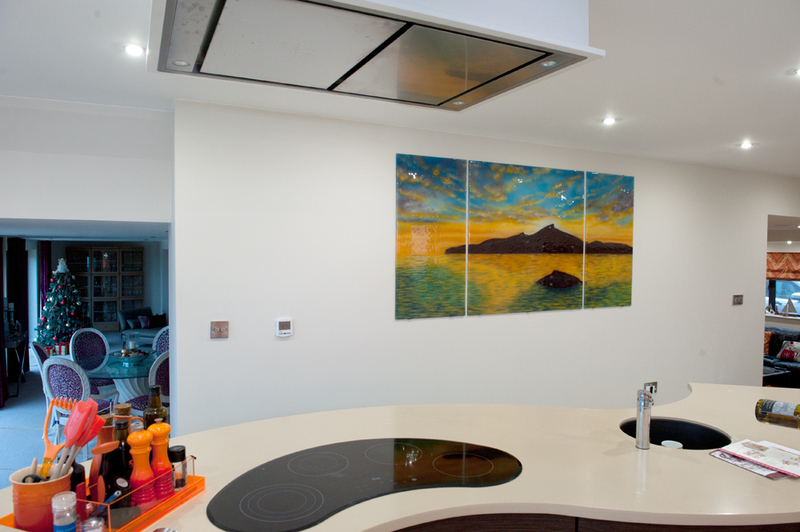 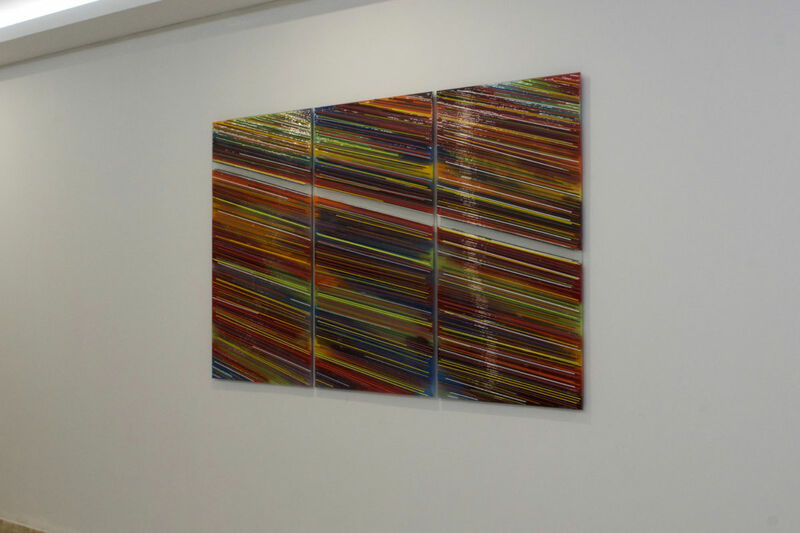 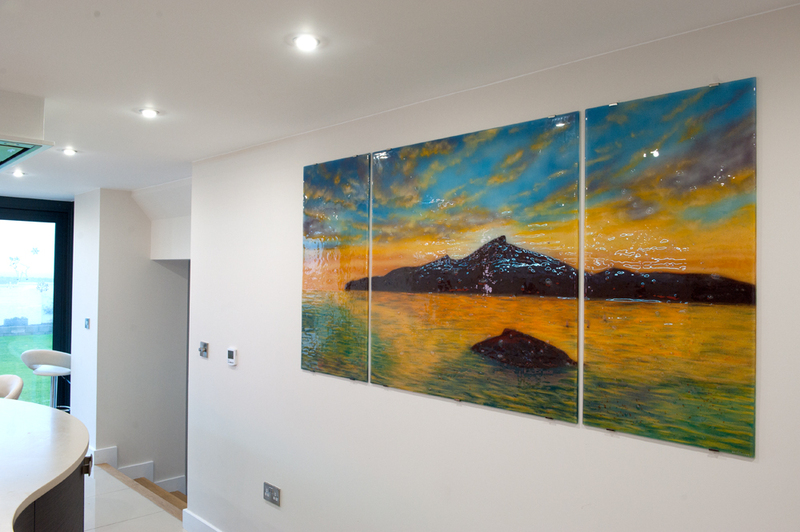 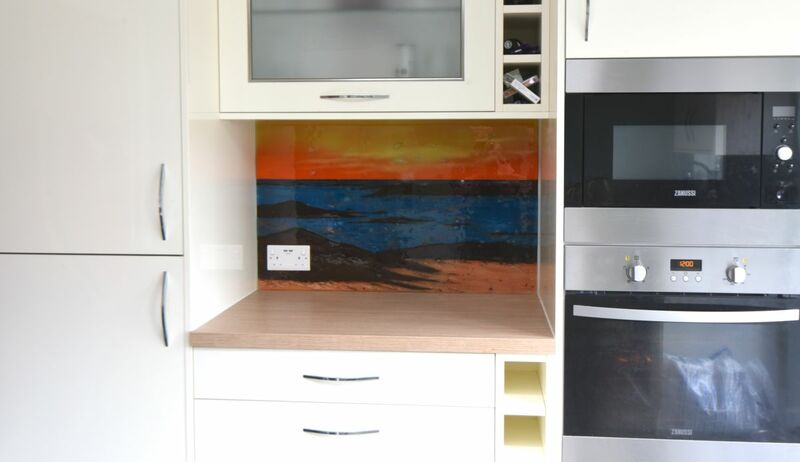 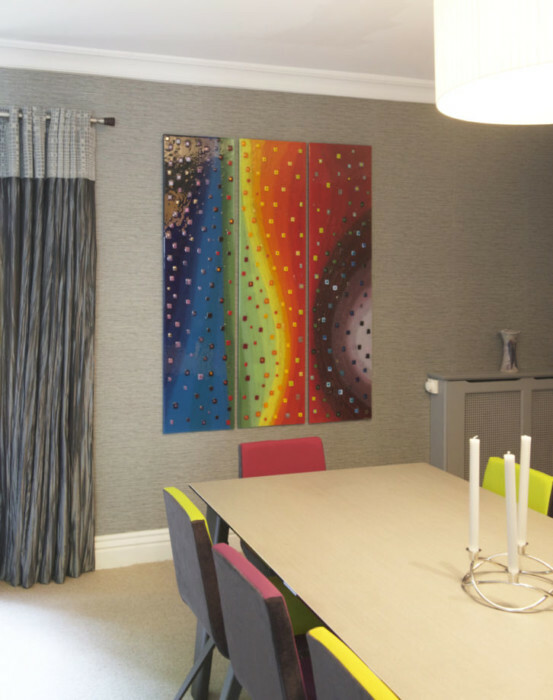 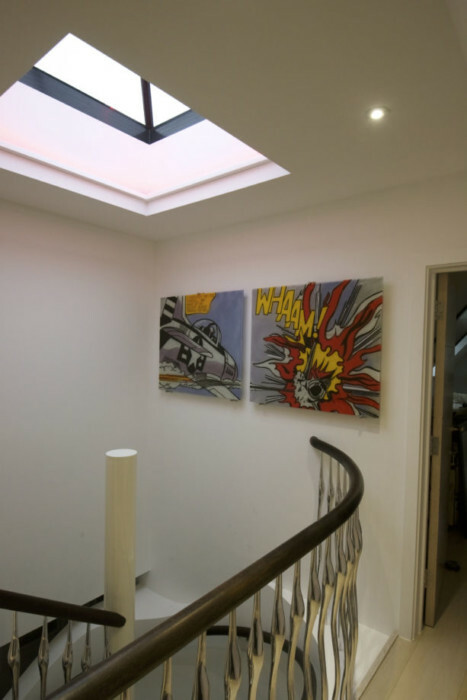 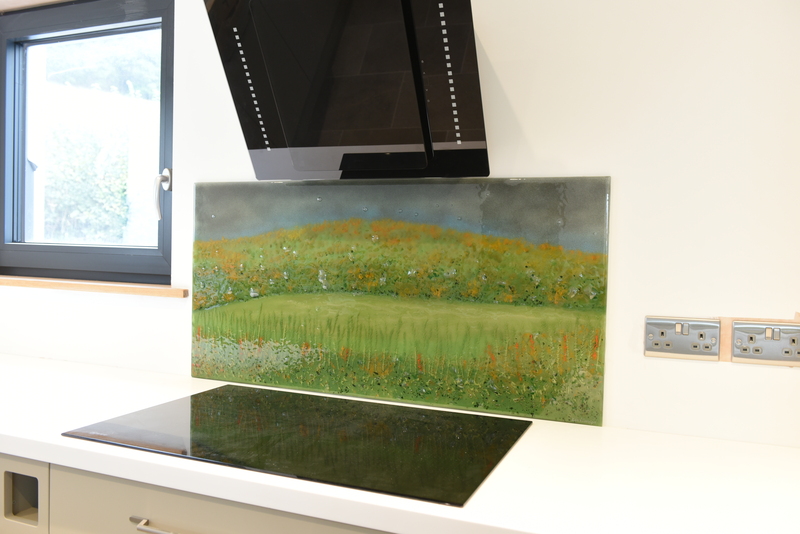 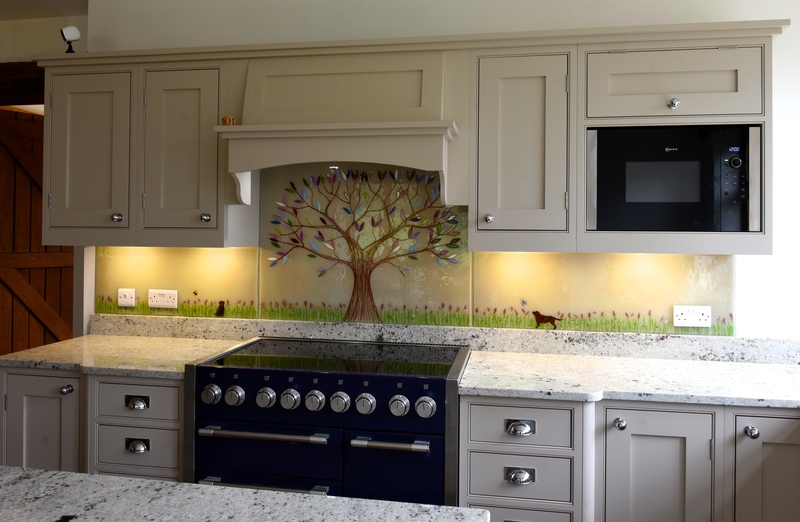 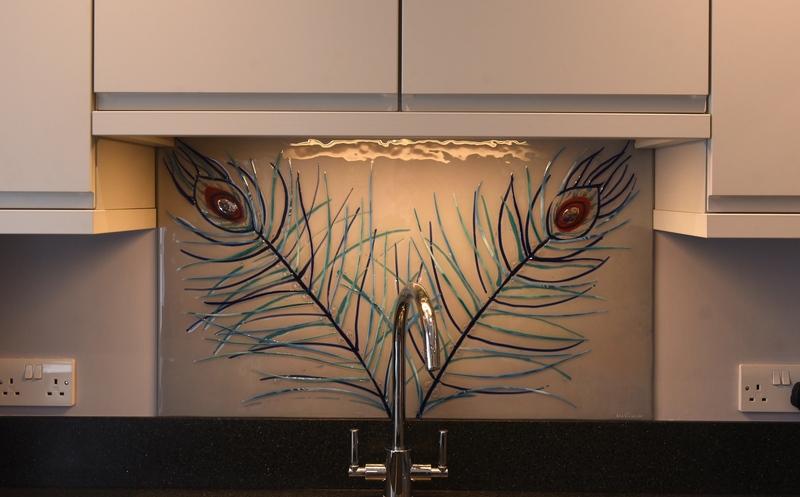 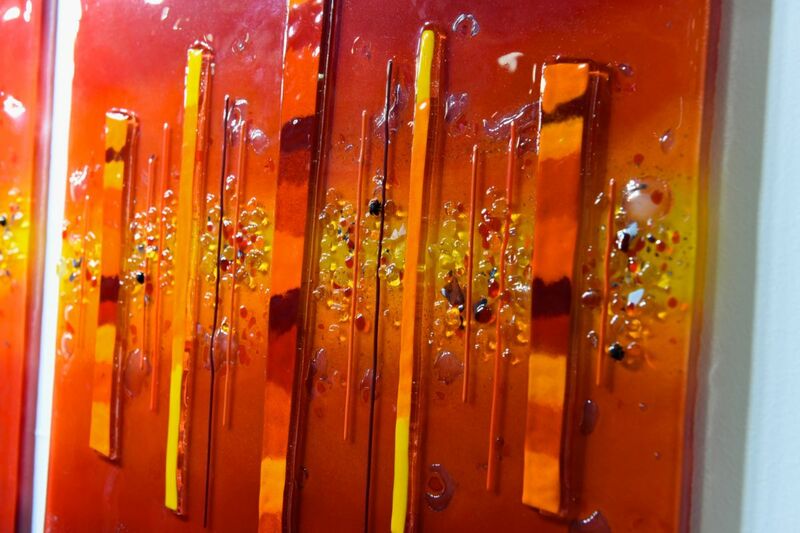 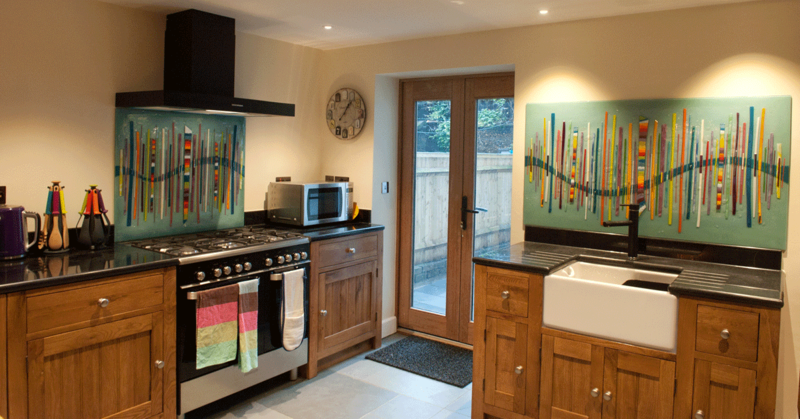 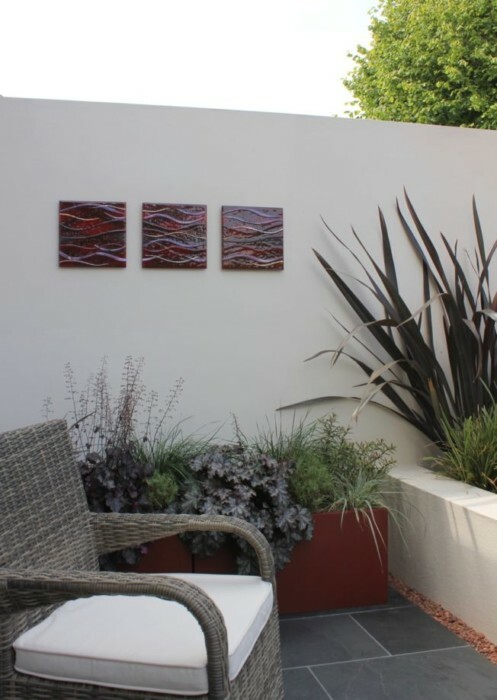 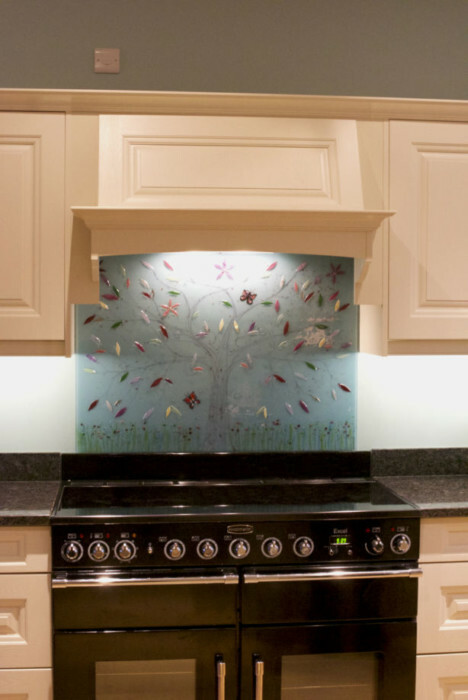 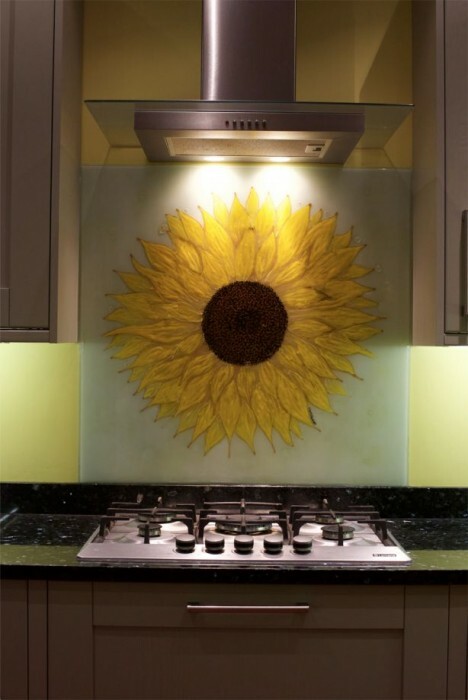 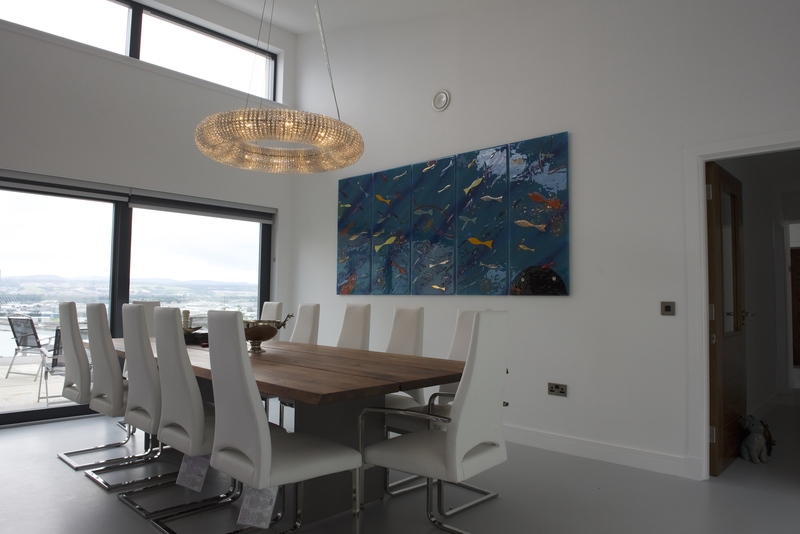 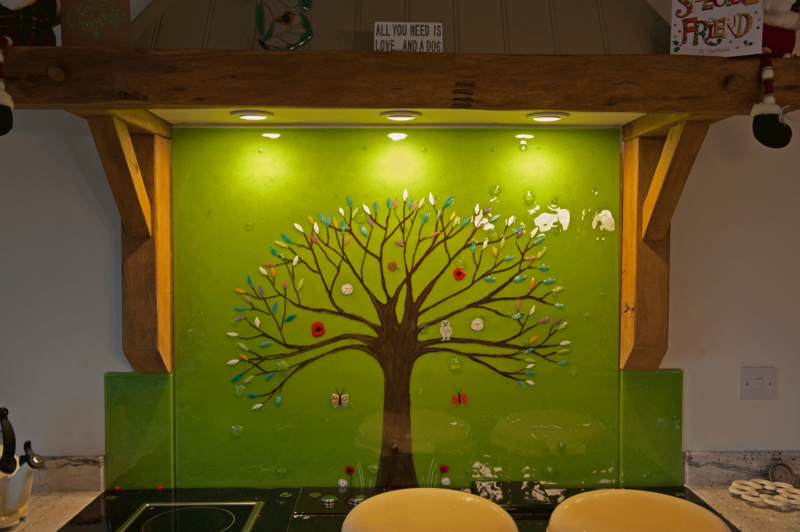 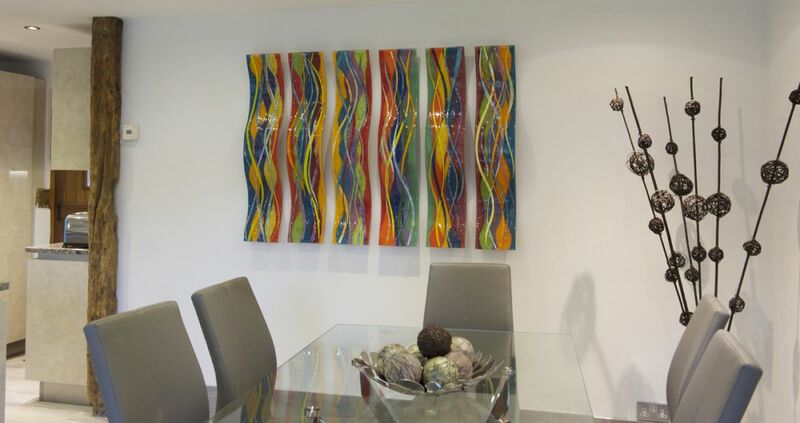 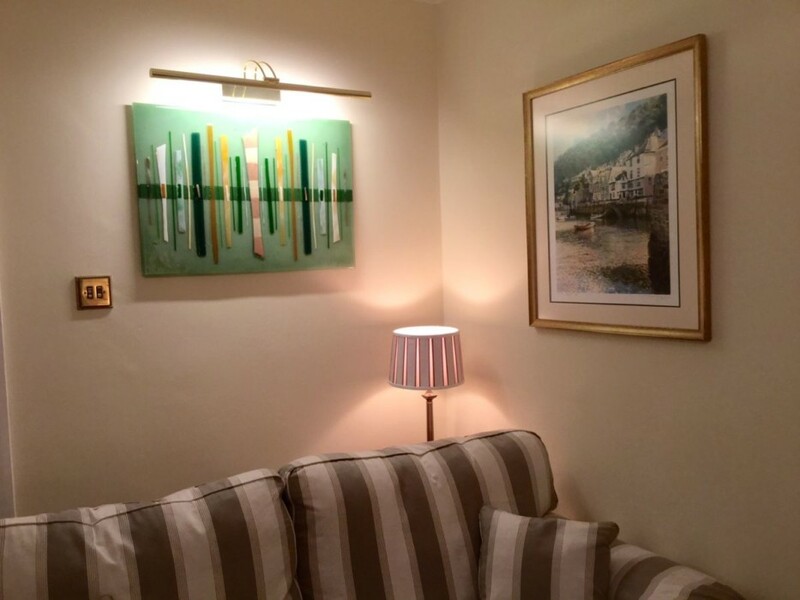 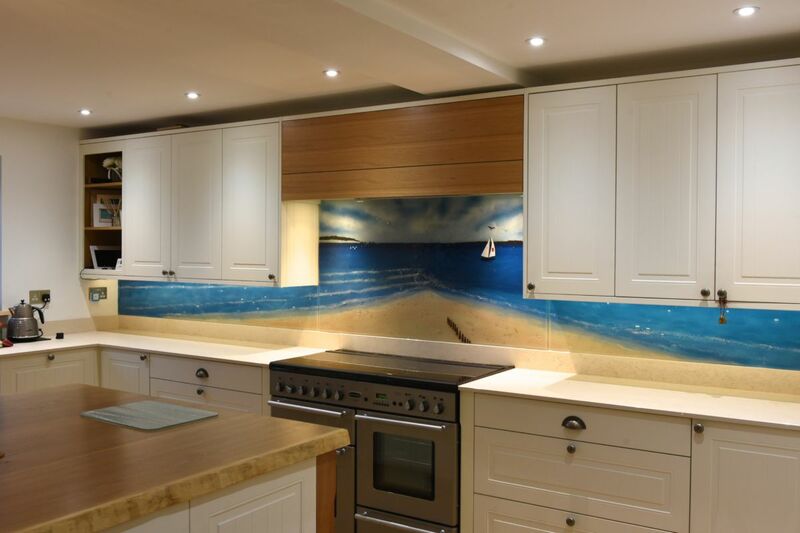 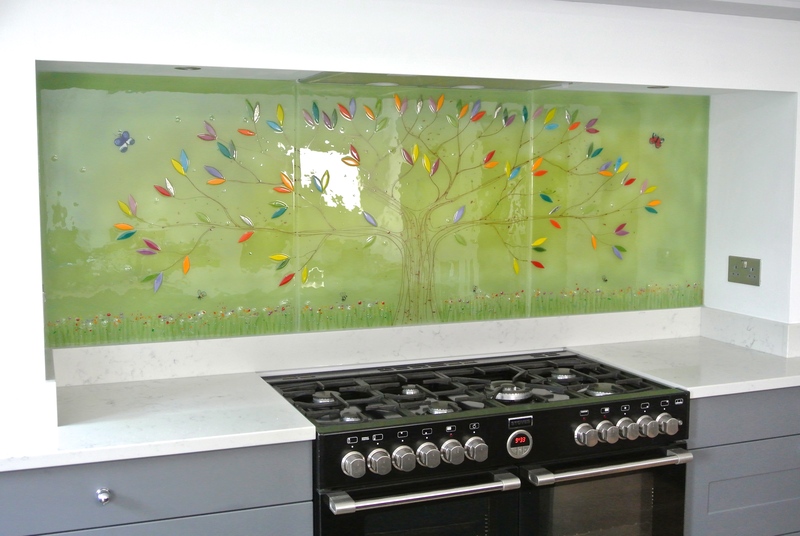 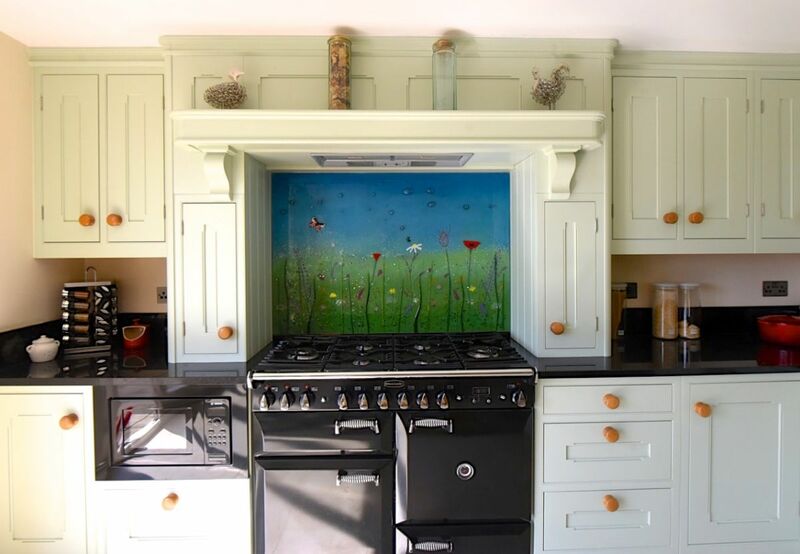 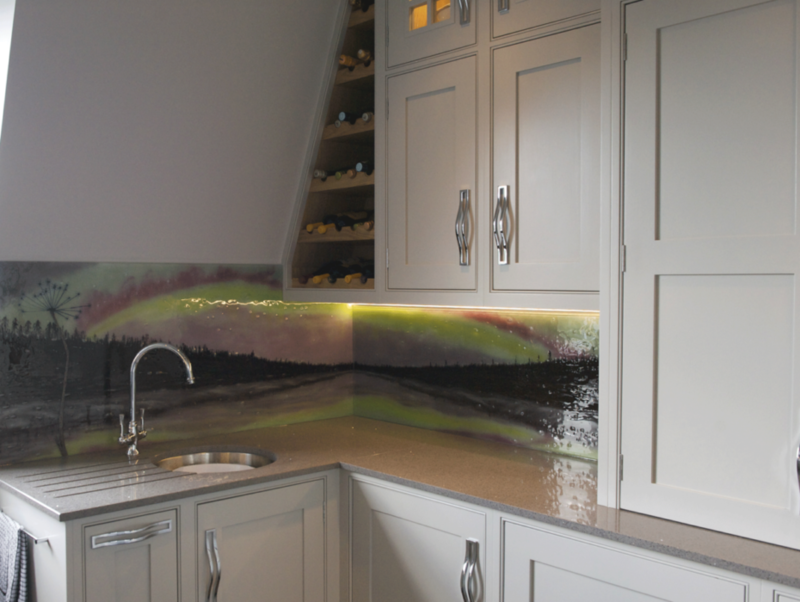 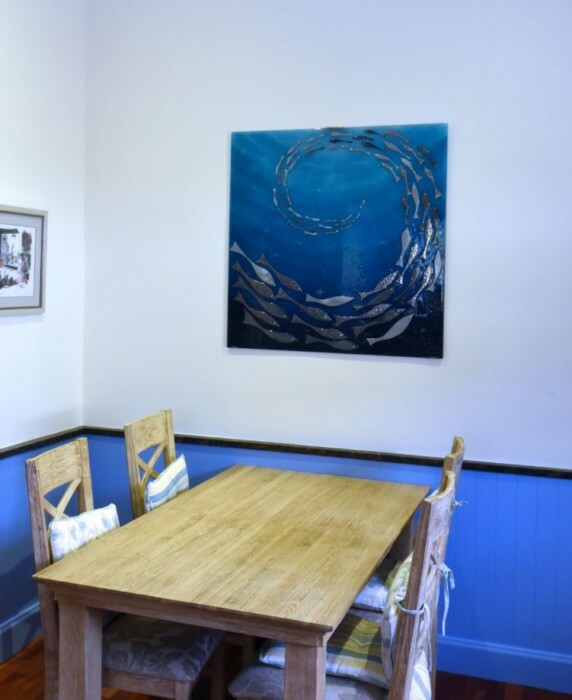 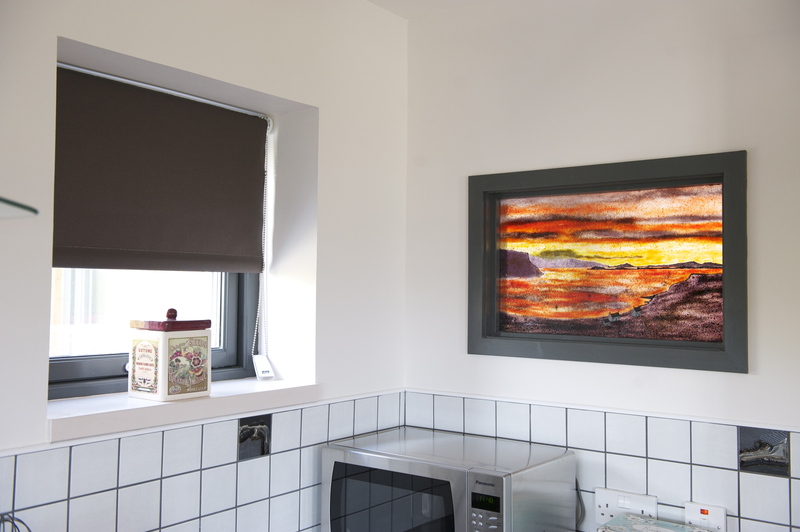 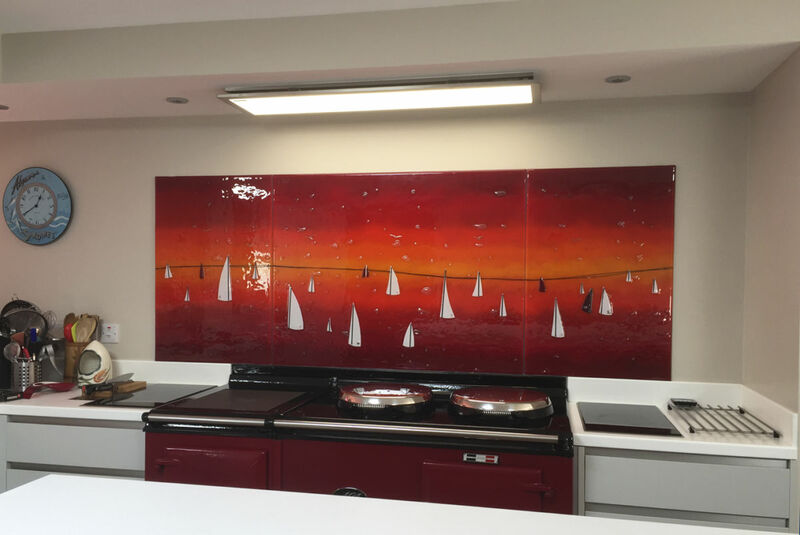 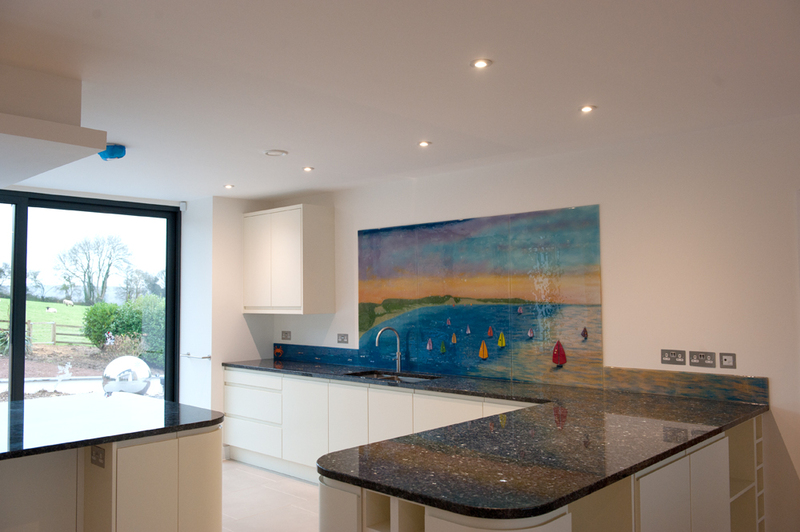 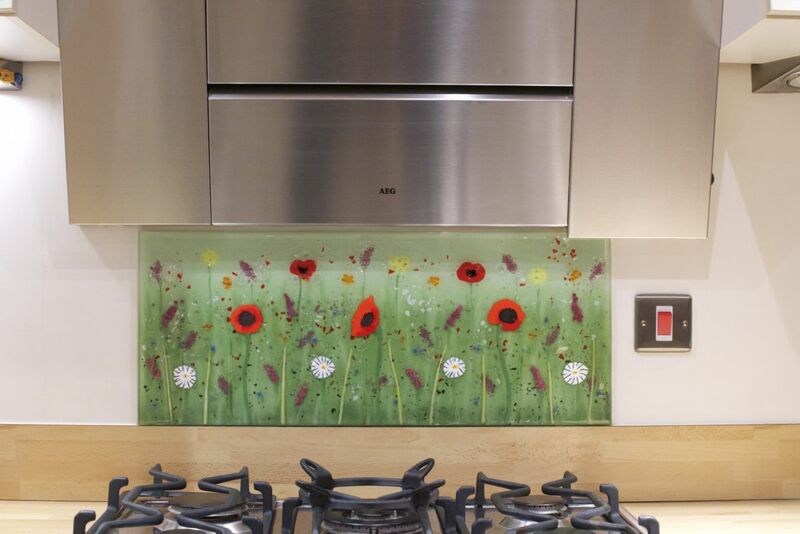 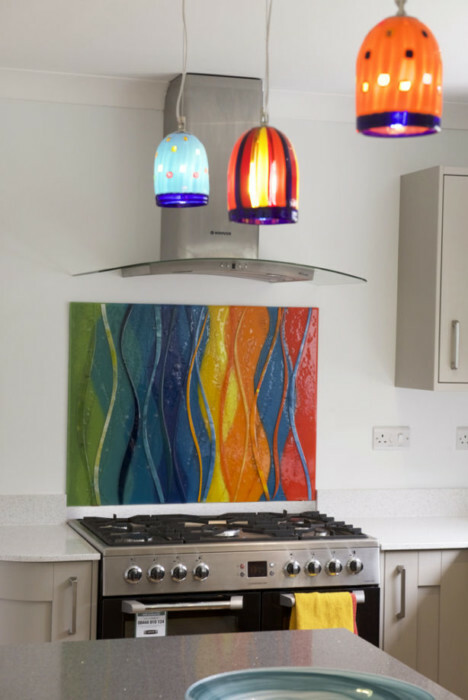 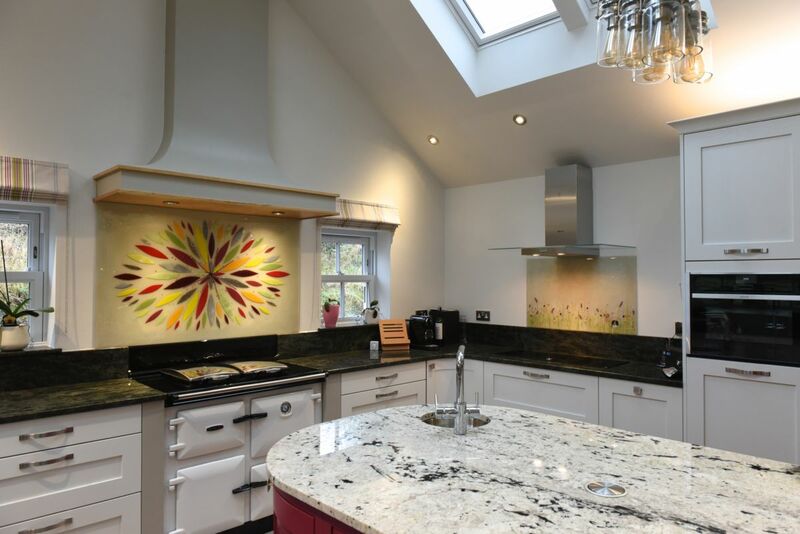 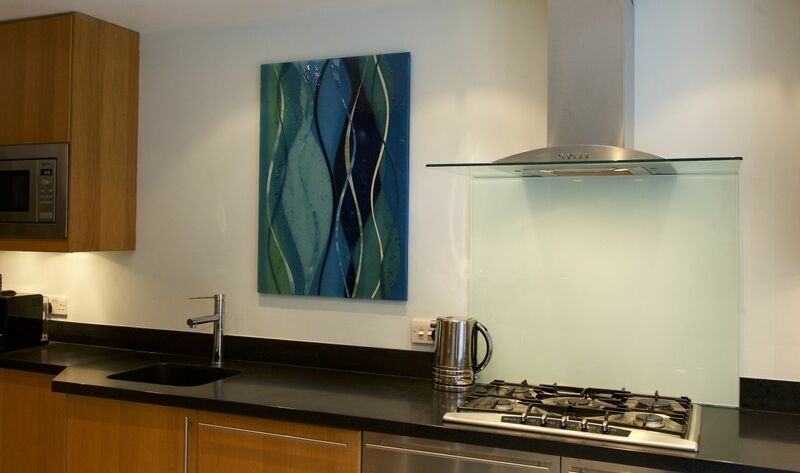 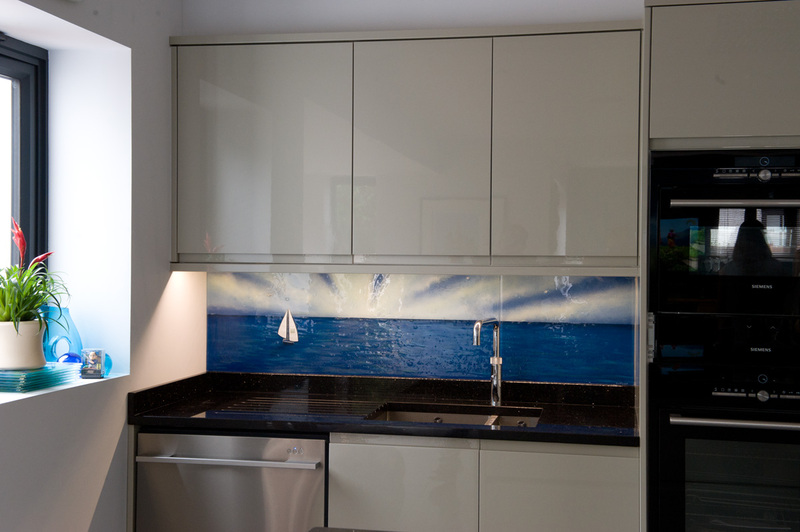 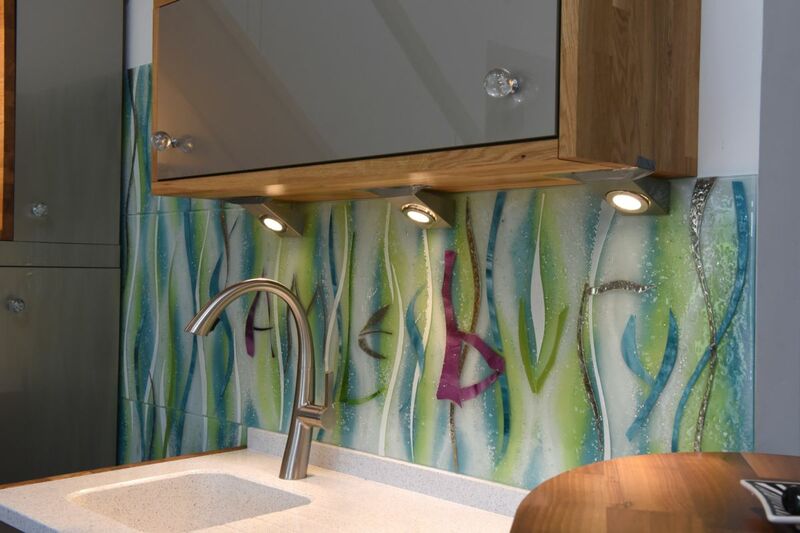 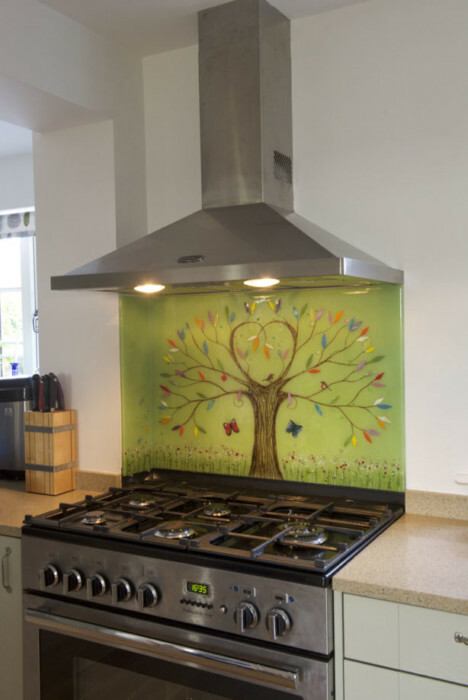 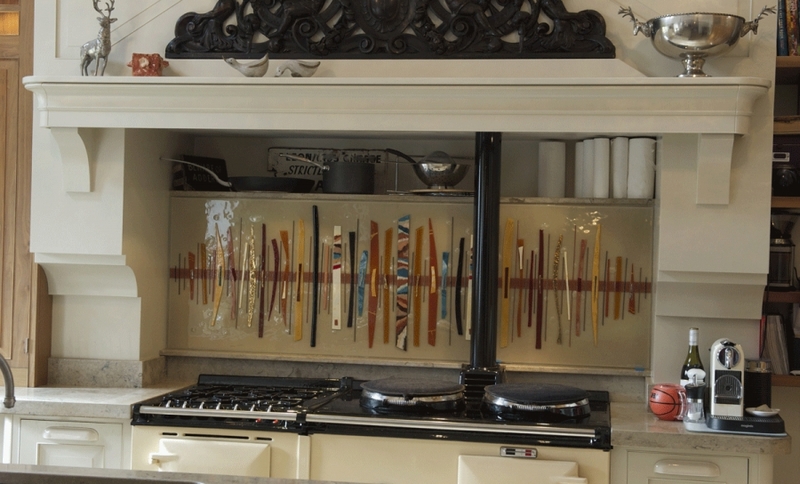 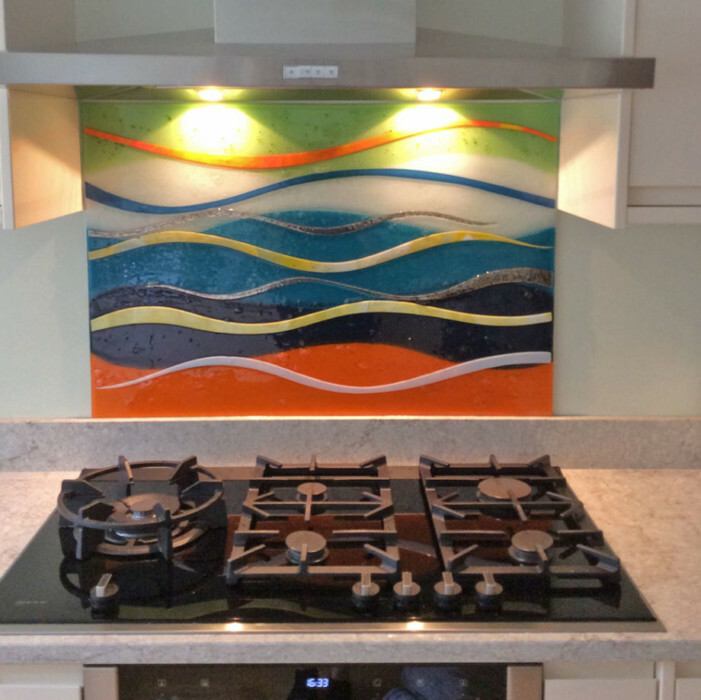 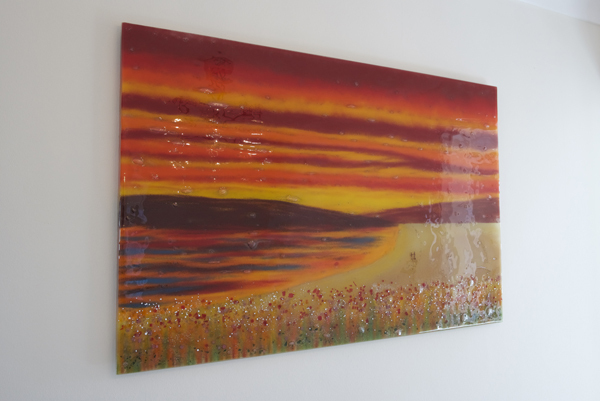 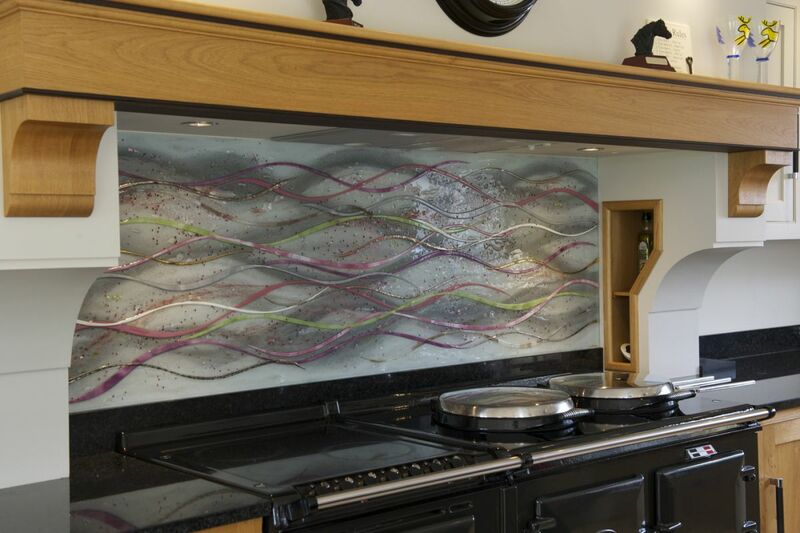 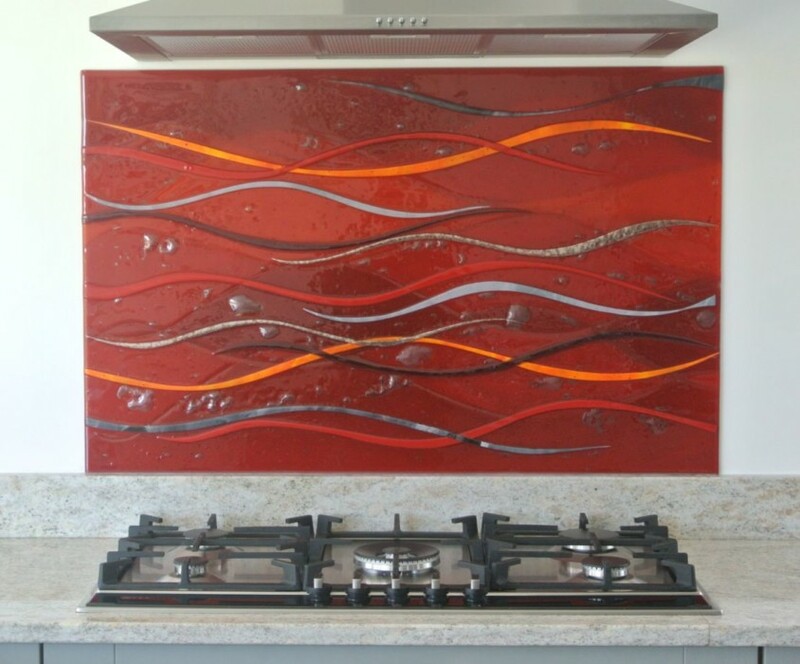 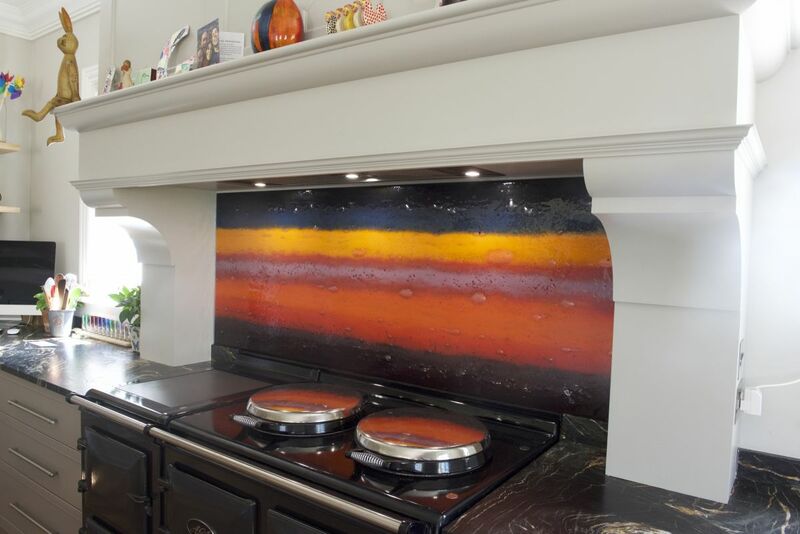 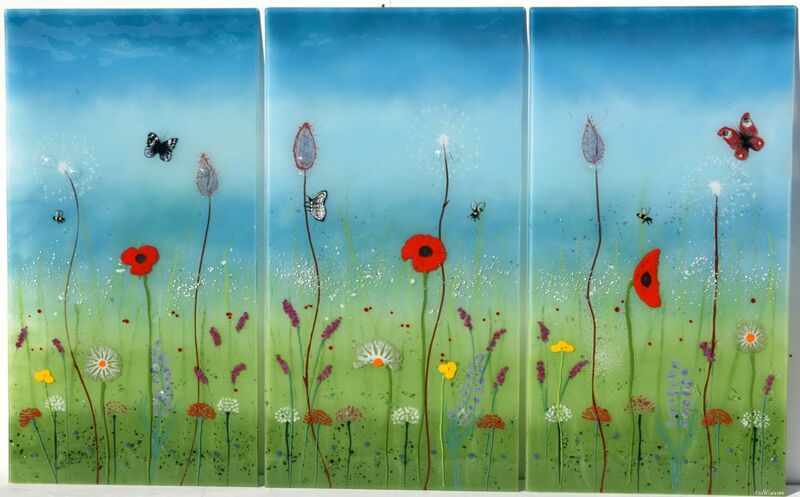 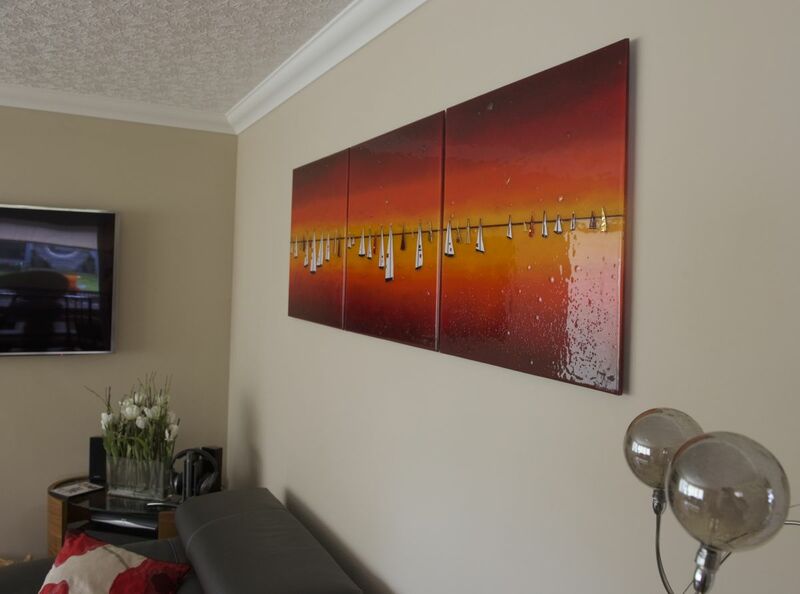 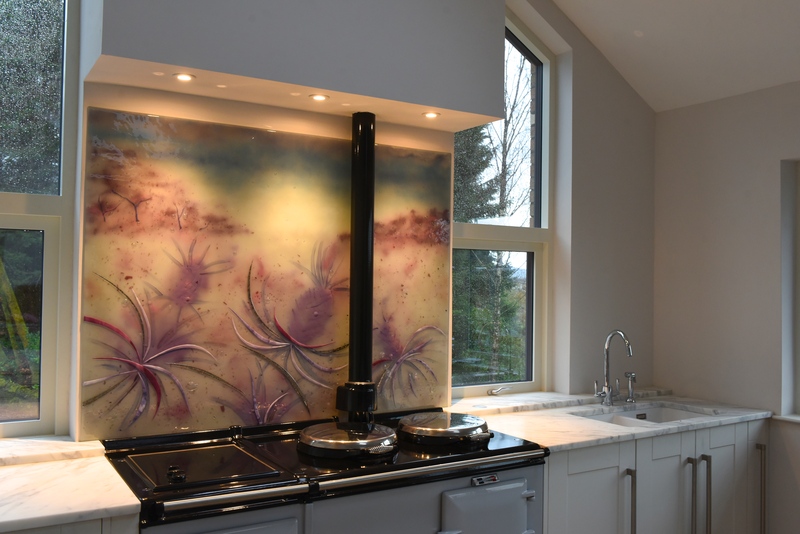 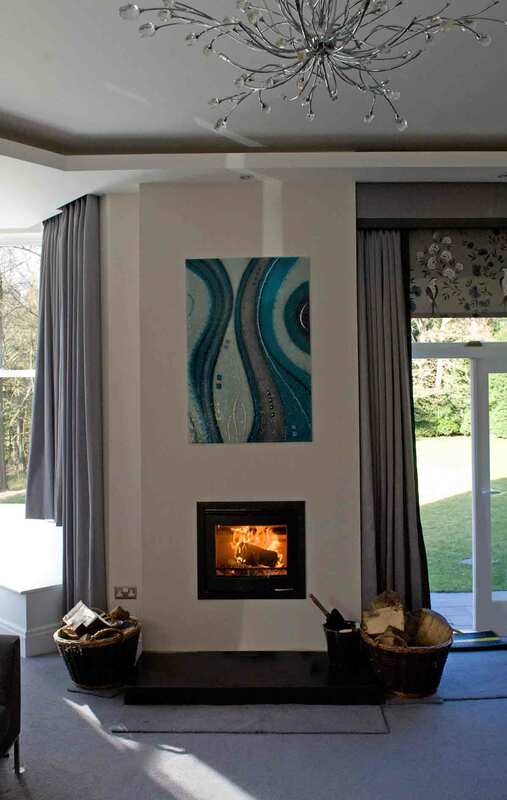 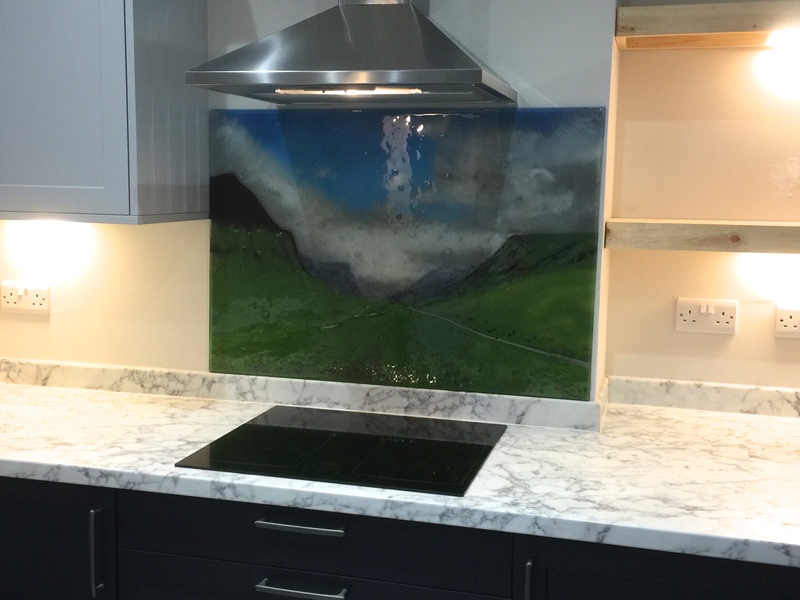 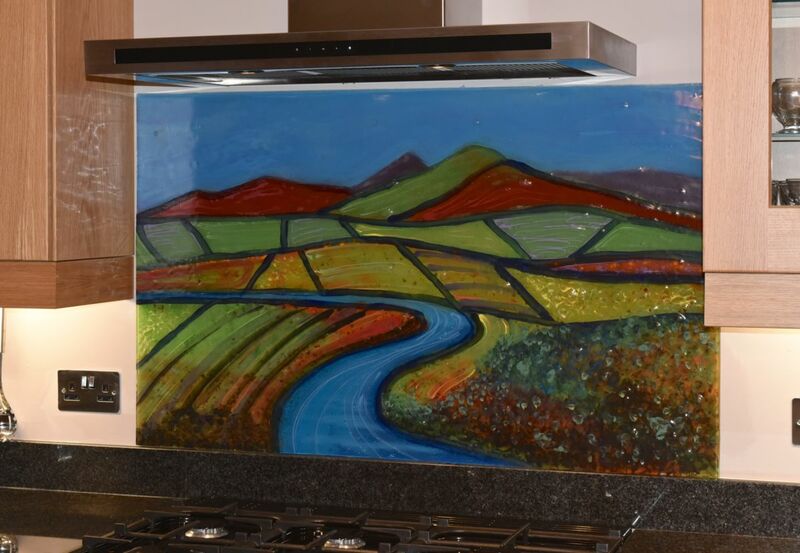 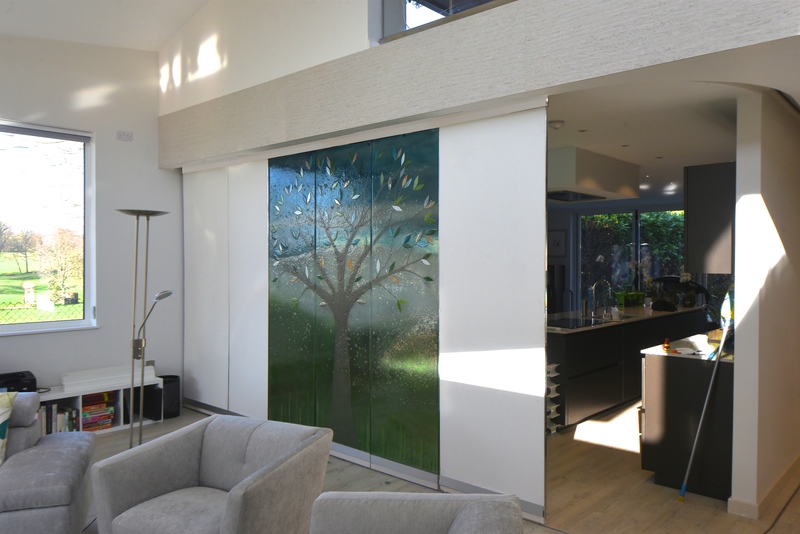 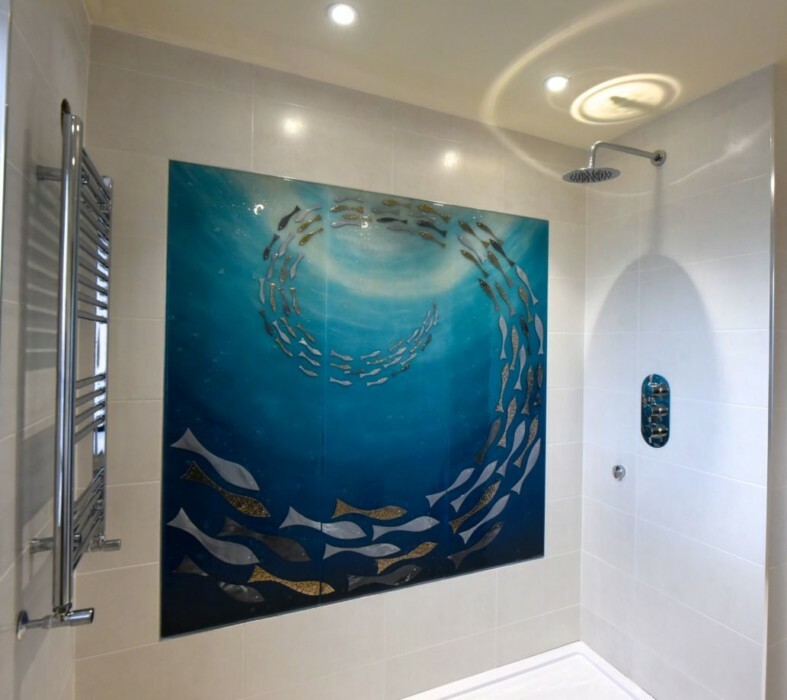 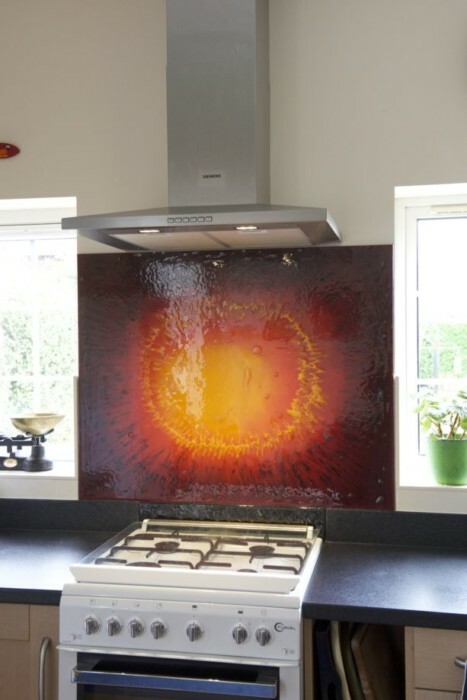 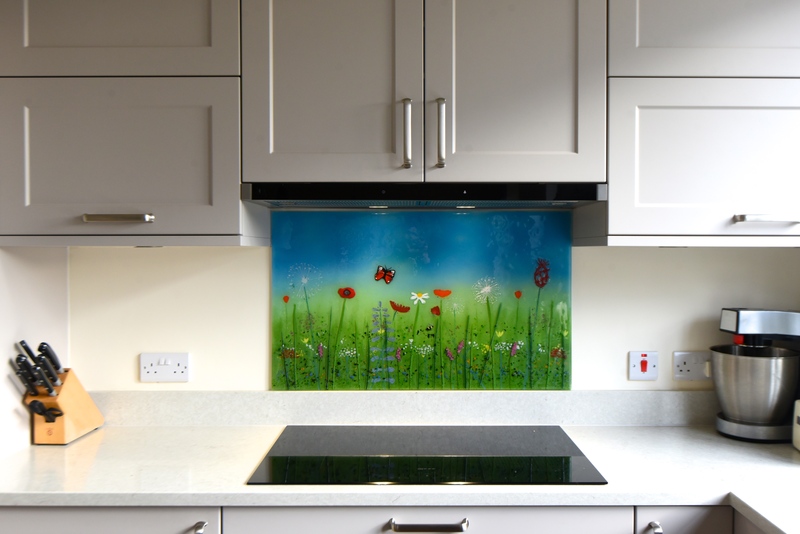 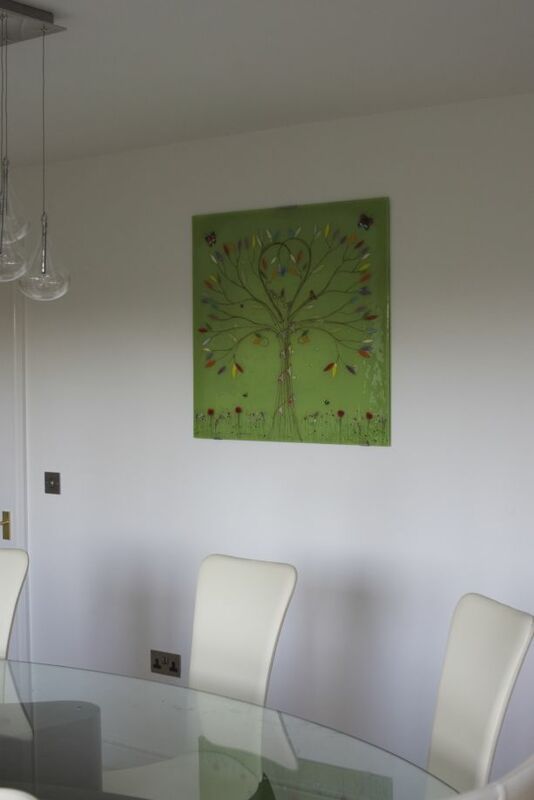 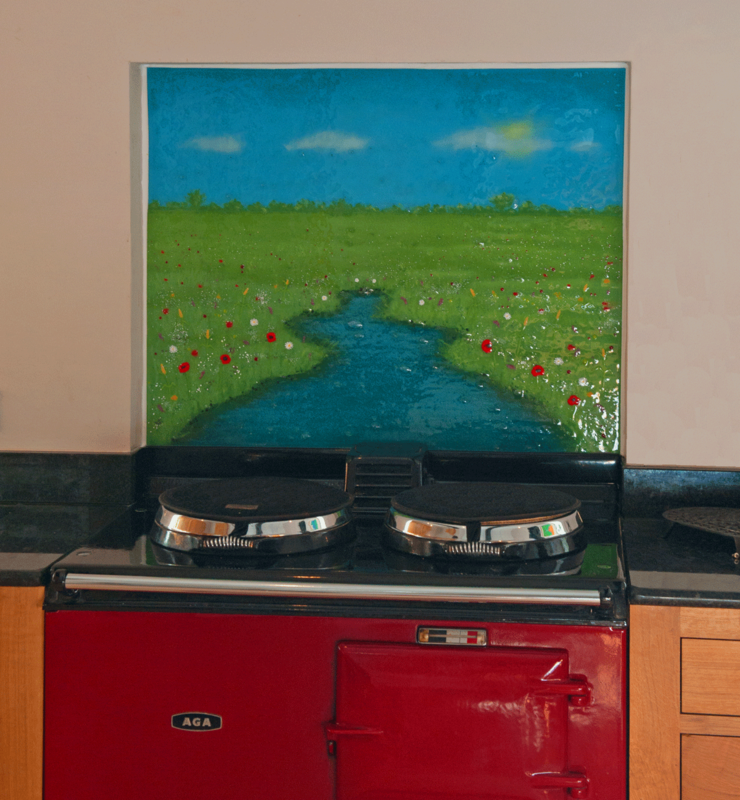 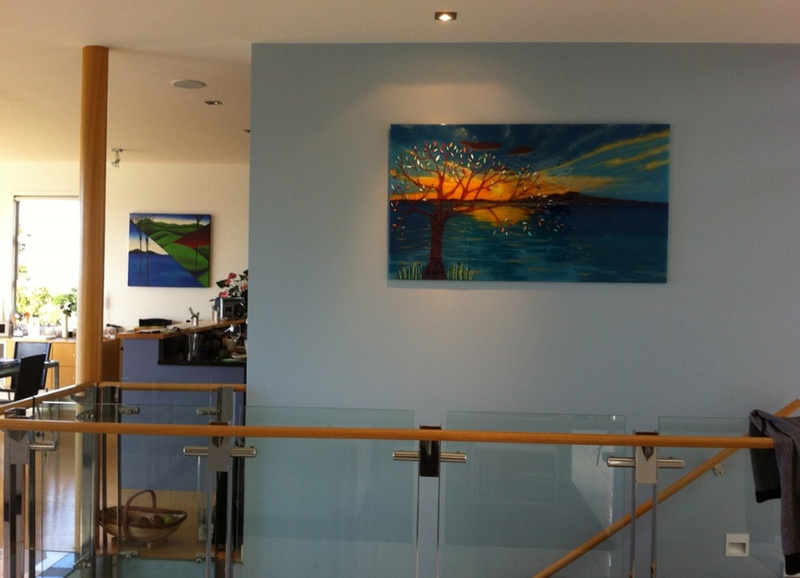 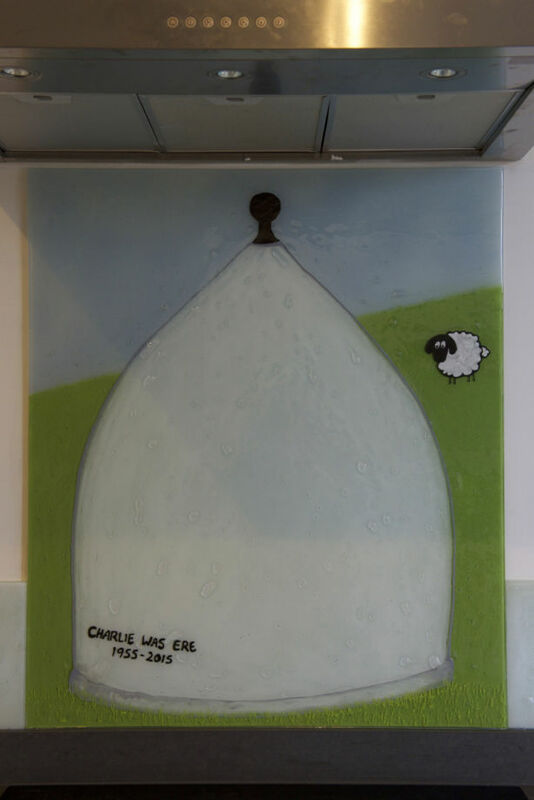 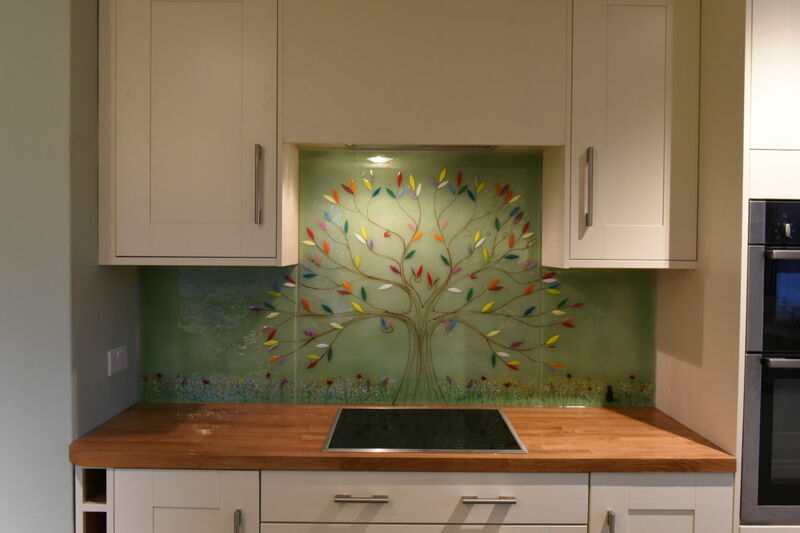 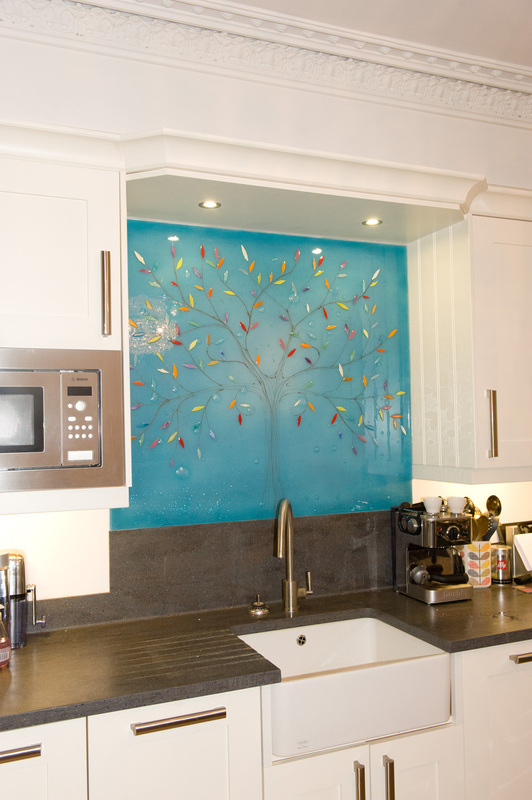 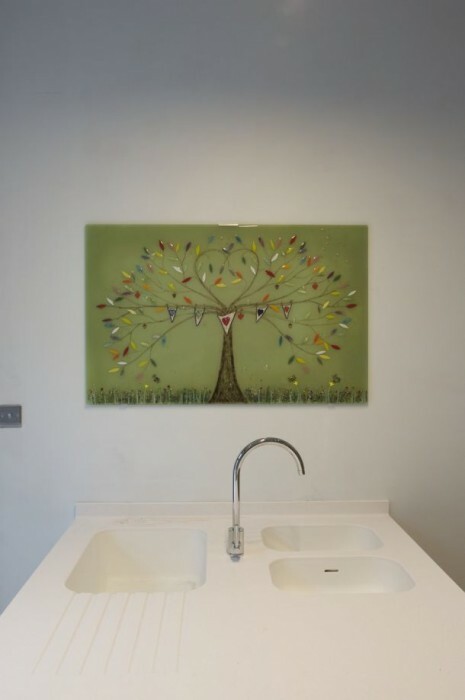 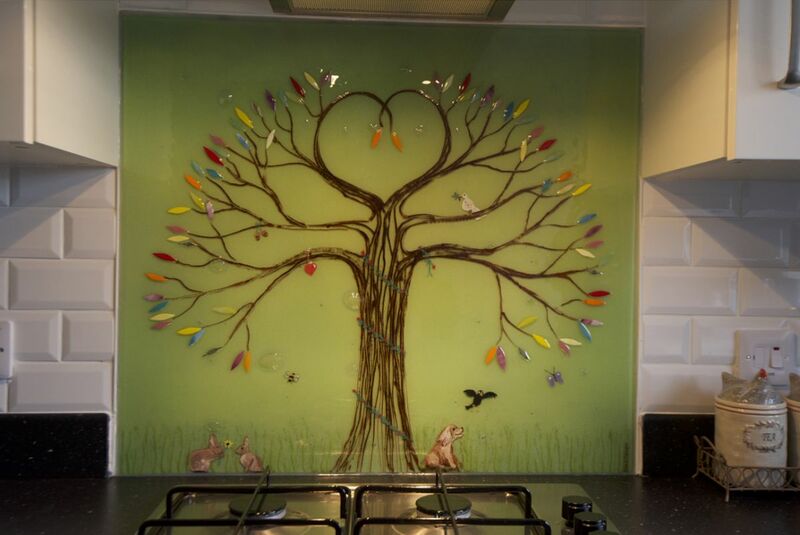 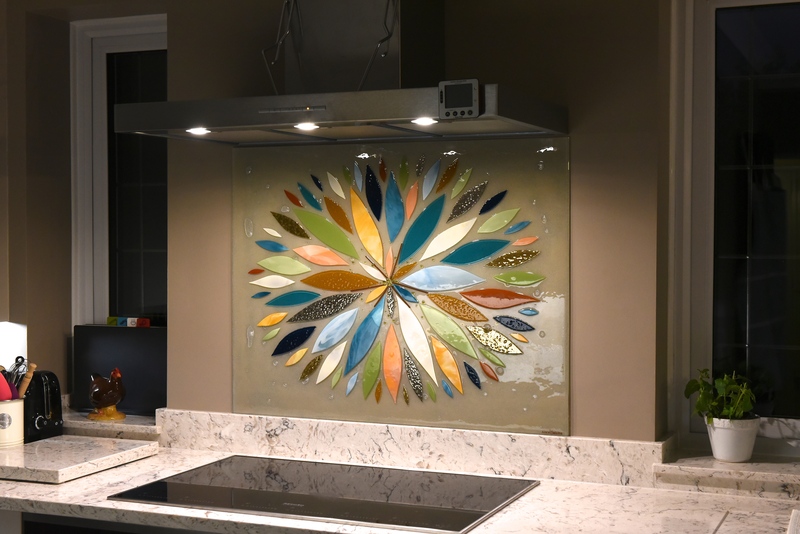 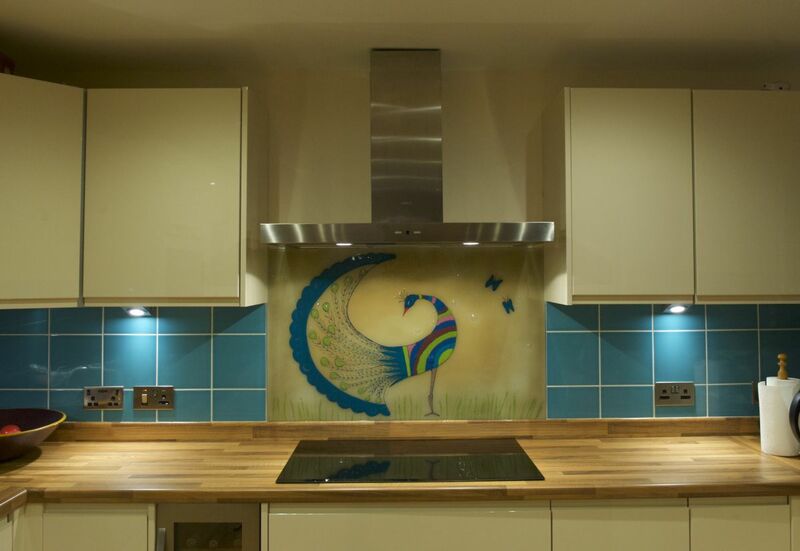 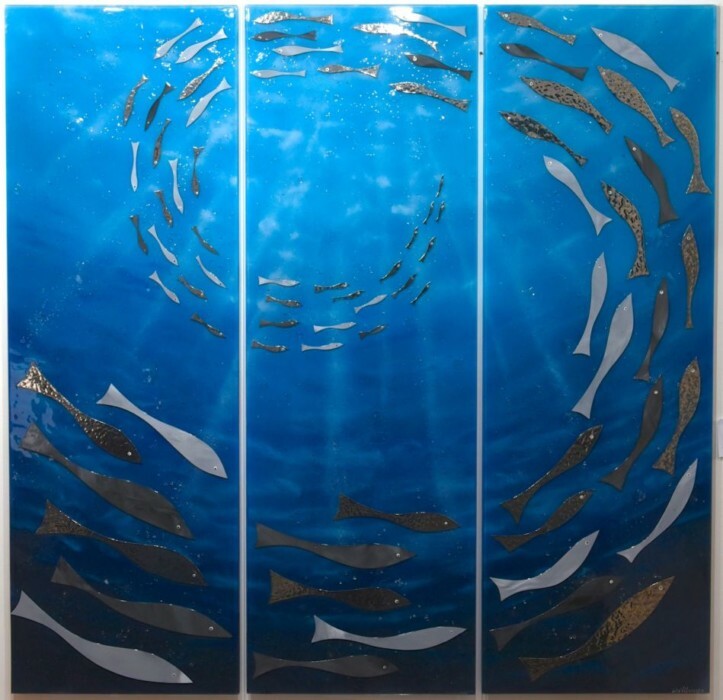 Just like painting on canvas, bespoke glass splashbacks and all of the other fused glass art products we create require hours of effort, precision and imagination! 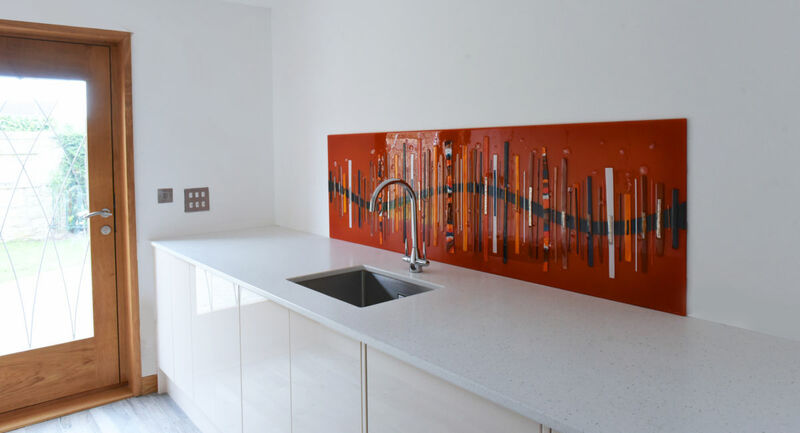 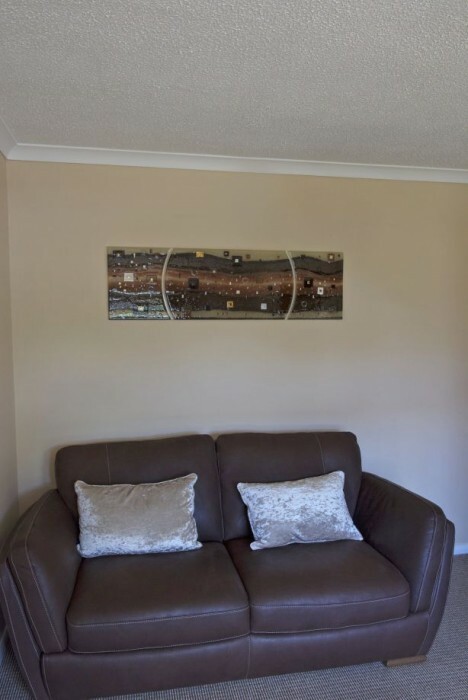 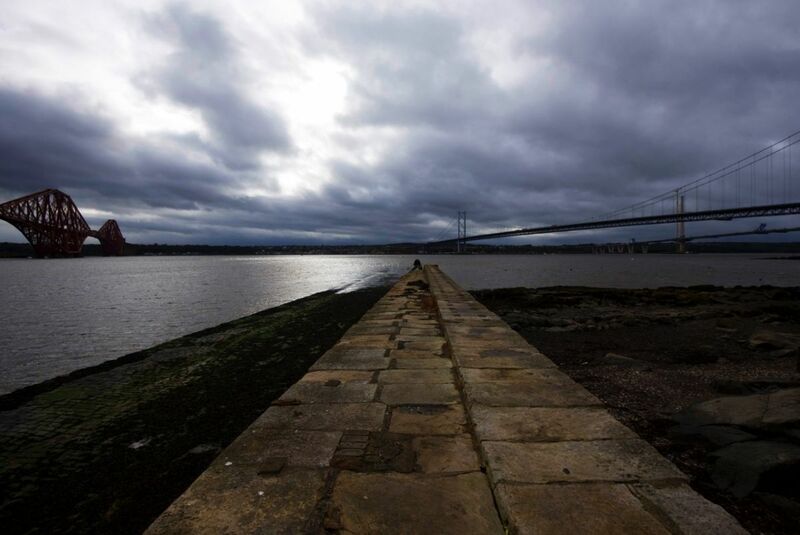 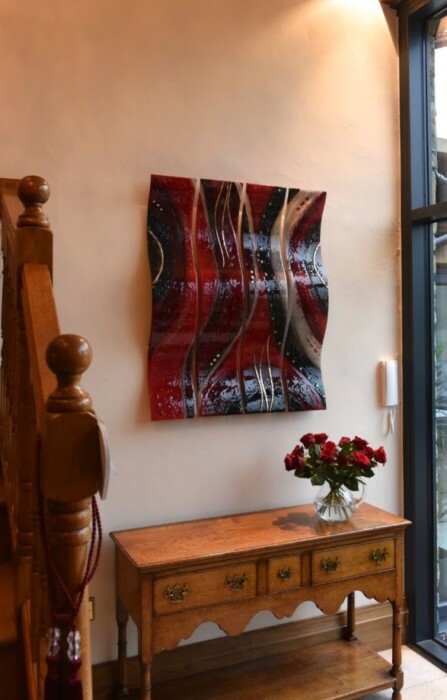 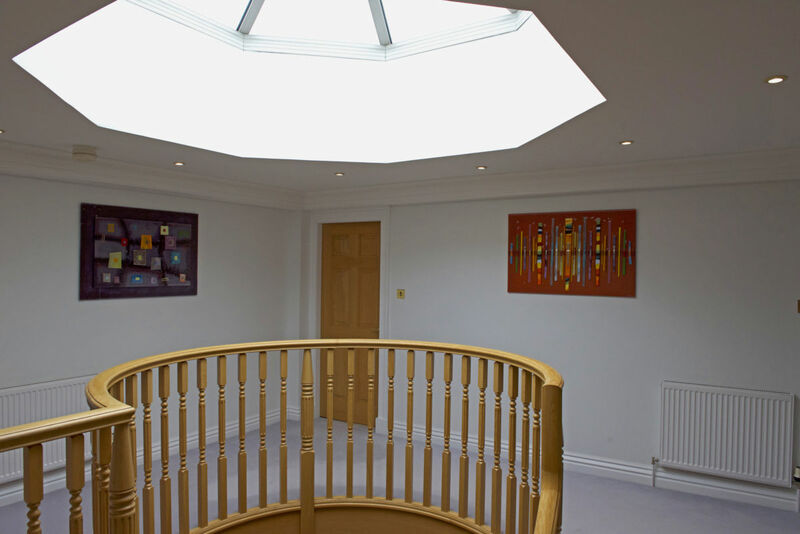 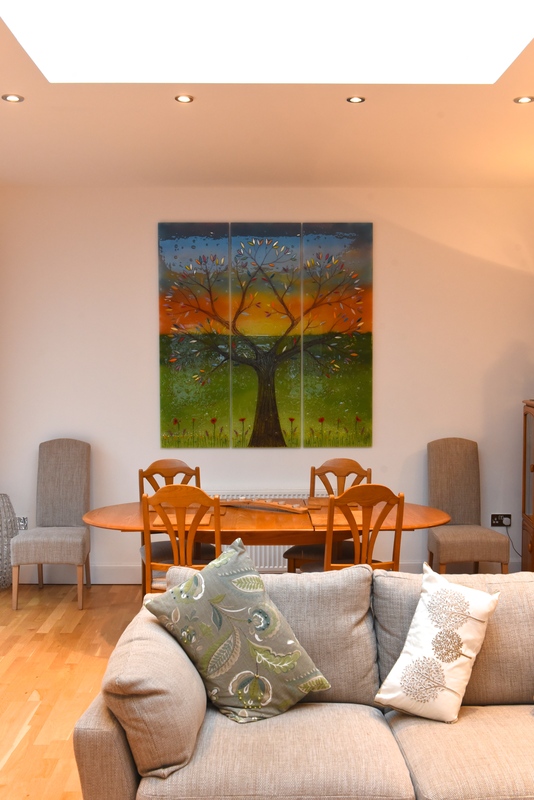 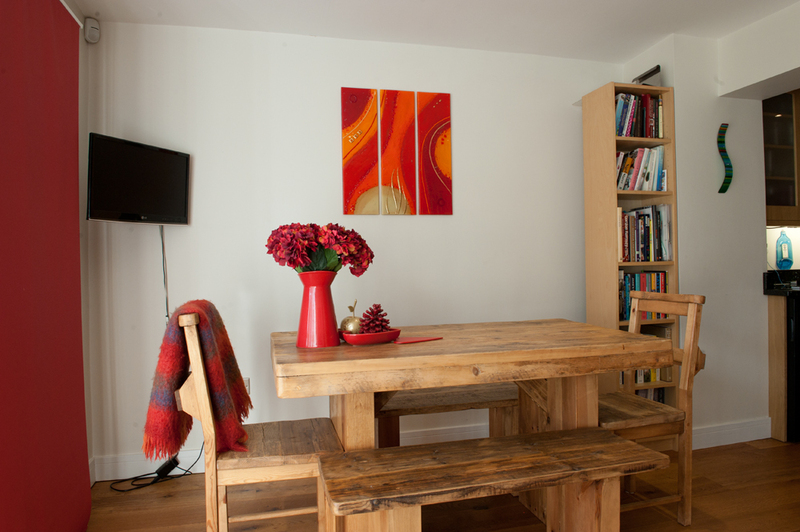 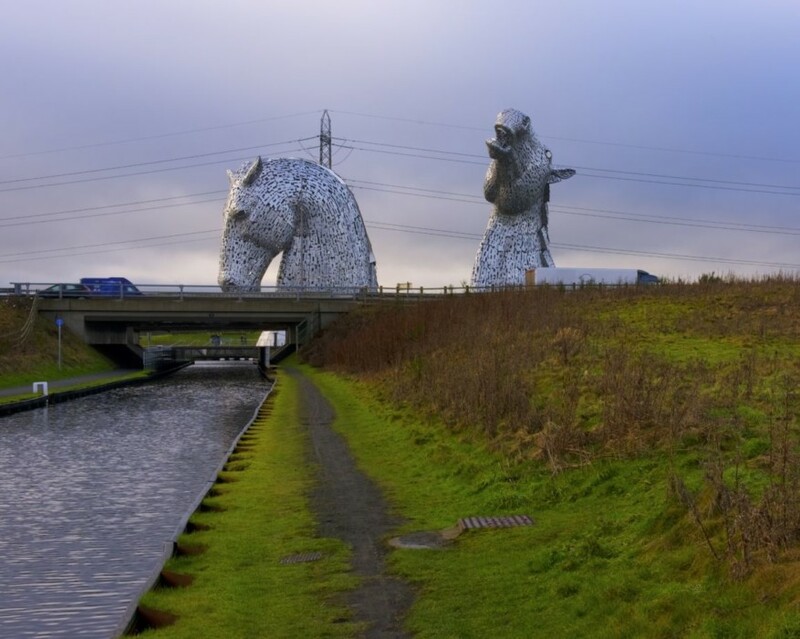 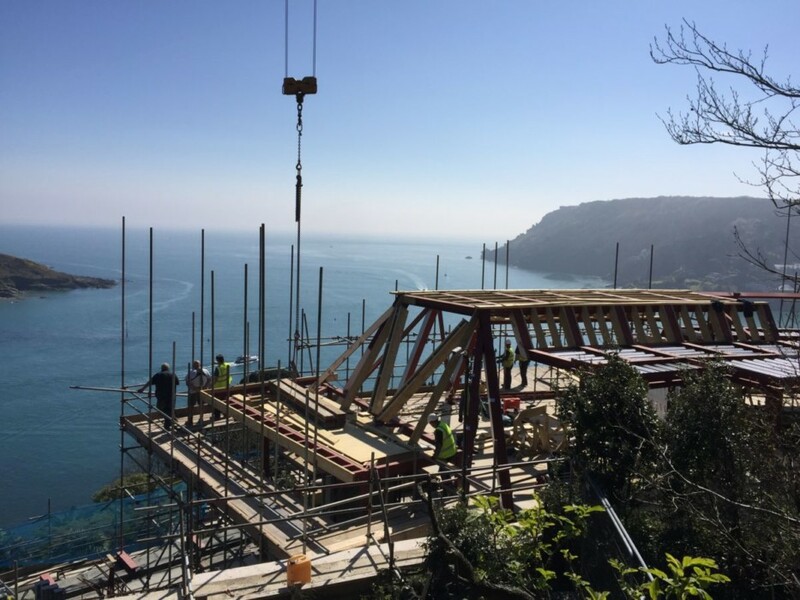 But whether you agree with us that our work definitely qualifies as legitimate artwork, or you’re still of the opinion that it falls more under the umbrella of design, the products we create are still guaranteed to look stunning when they find a place in your home. 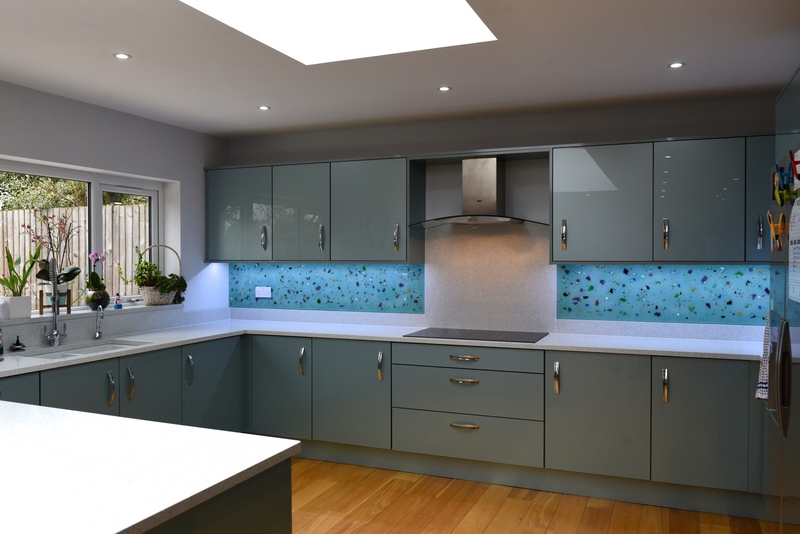 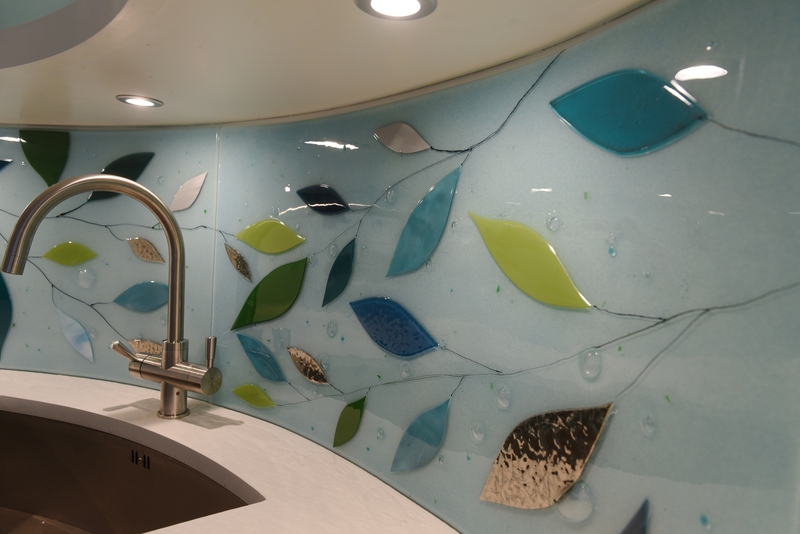 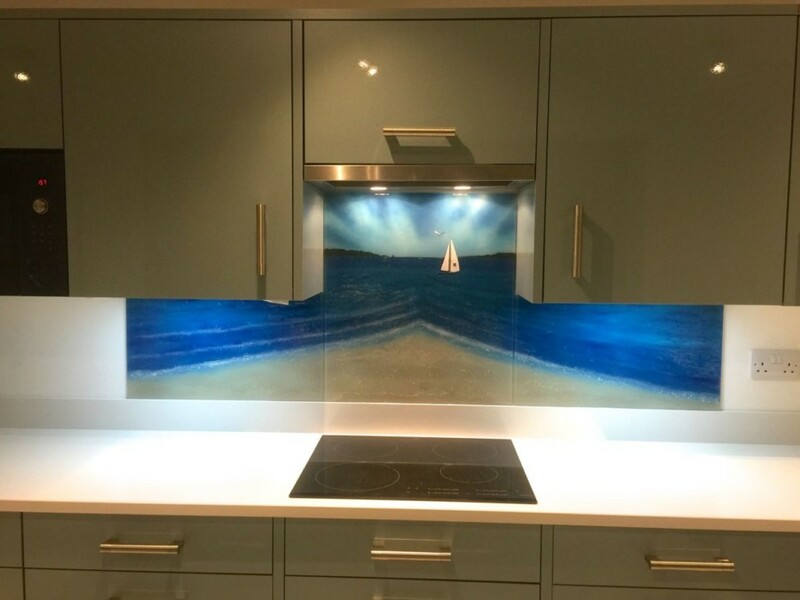 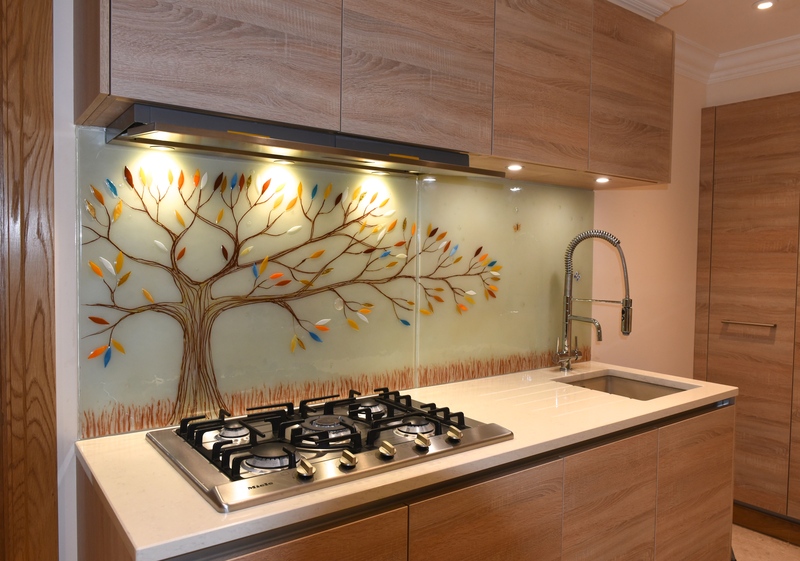 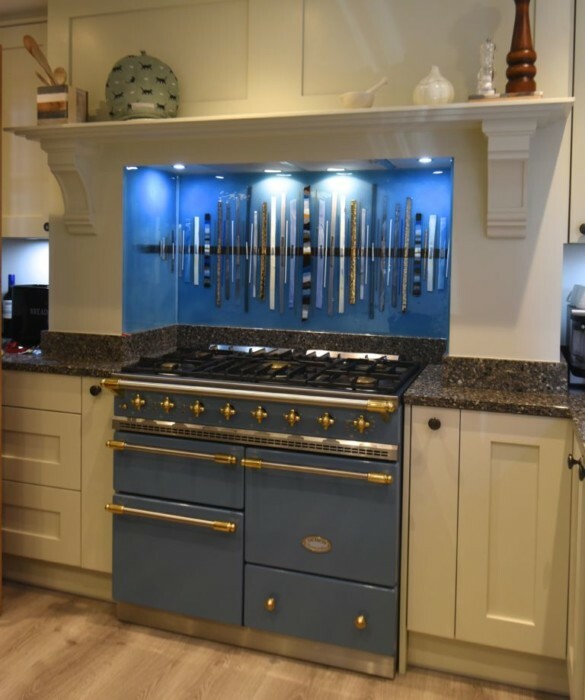 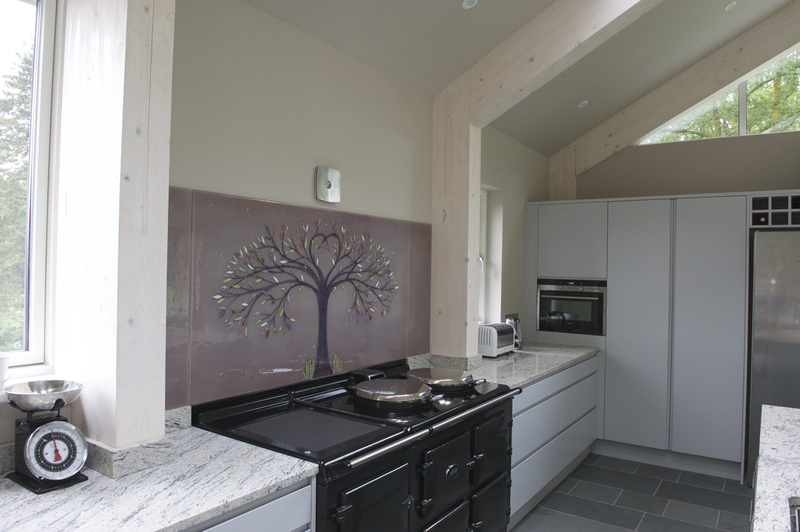 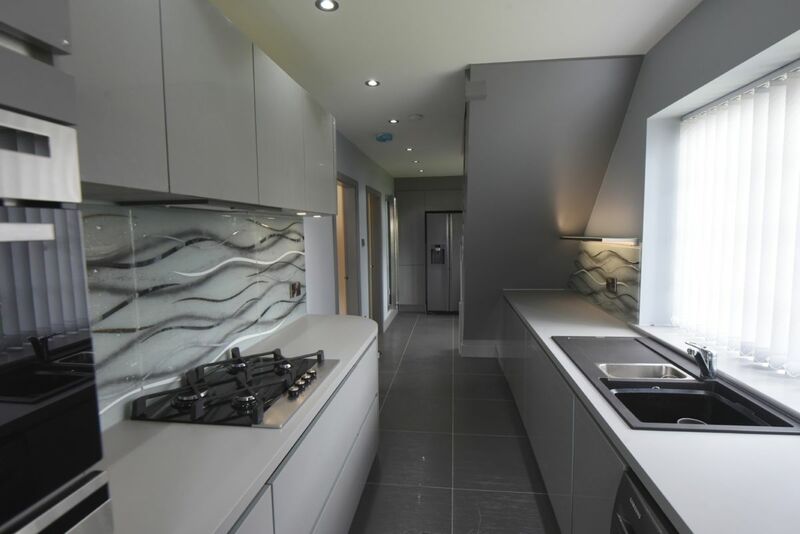 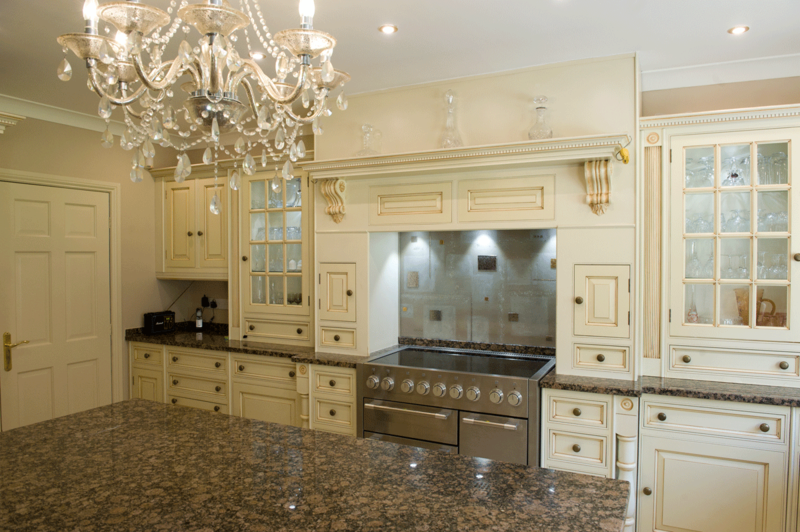 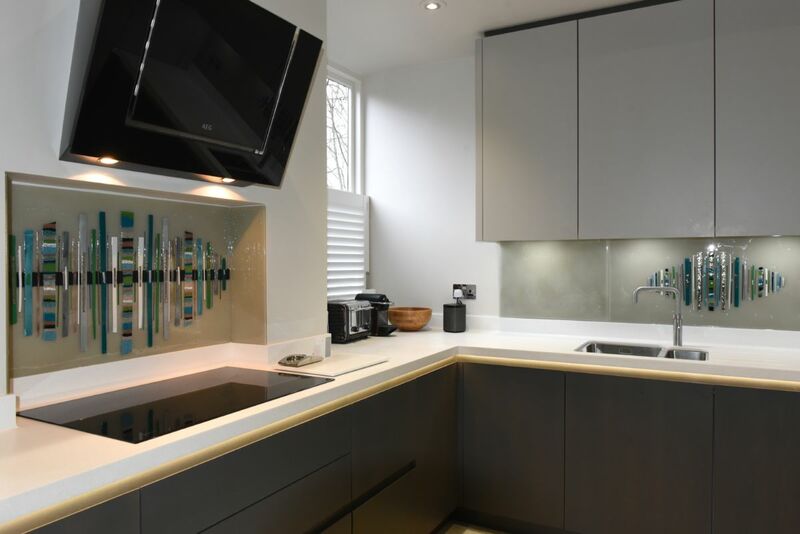 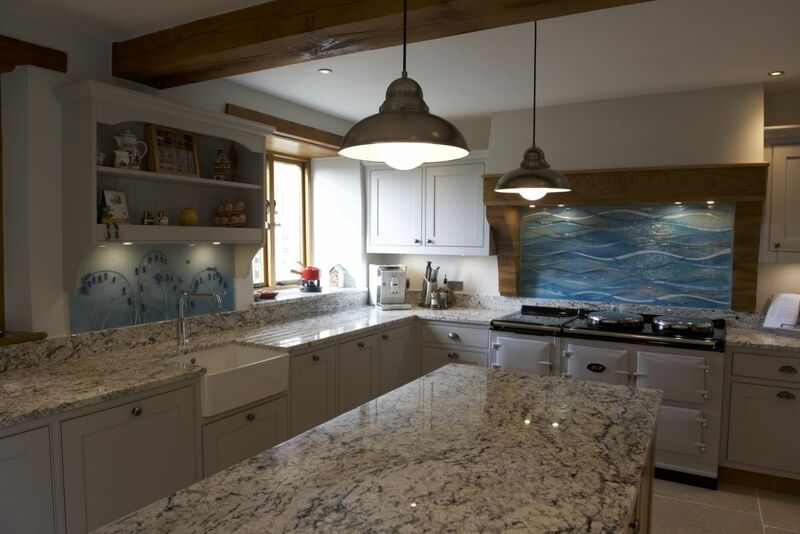 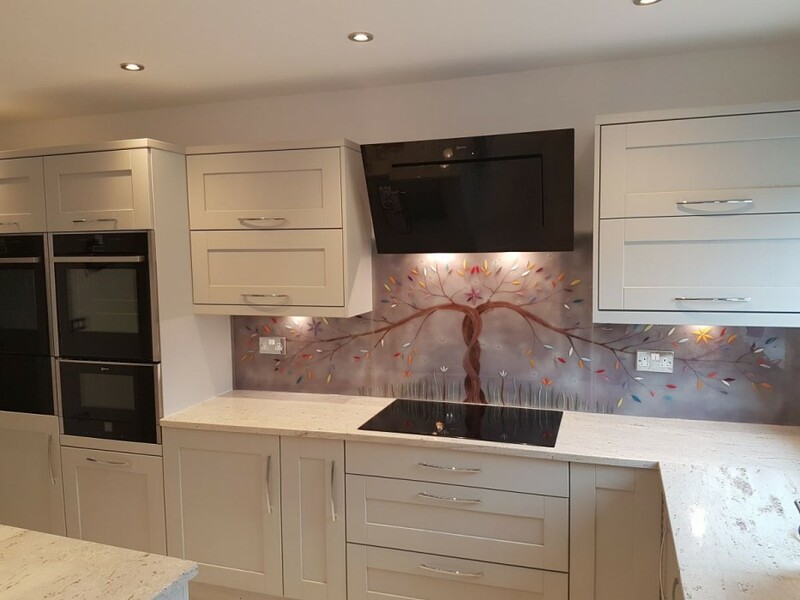 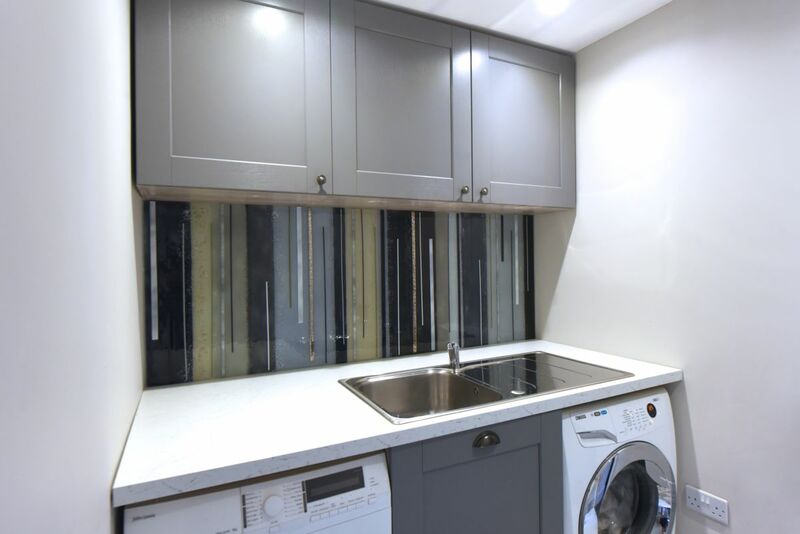 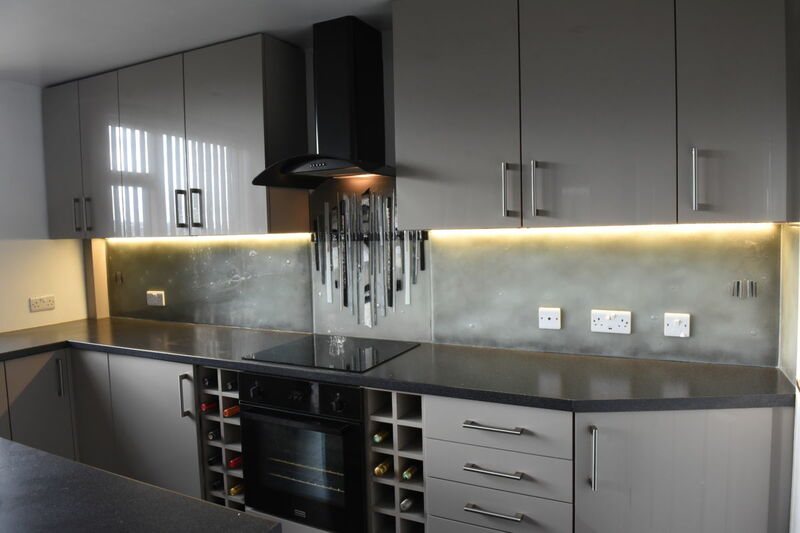 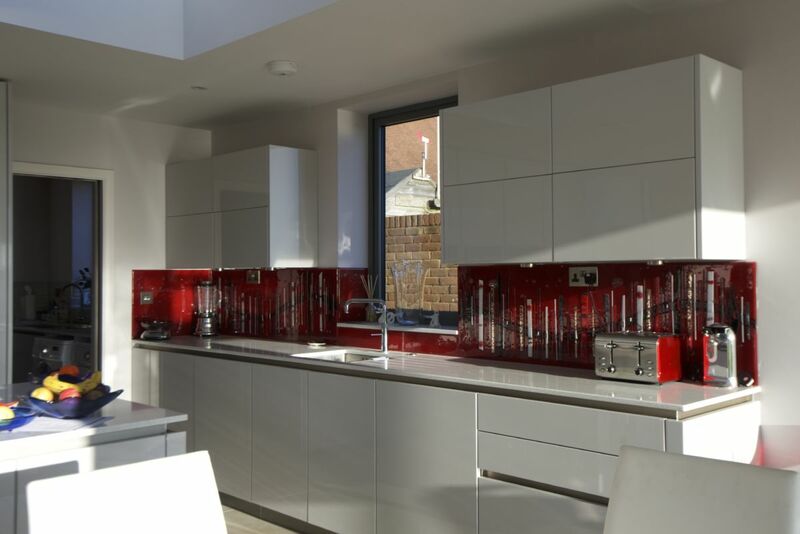 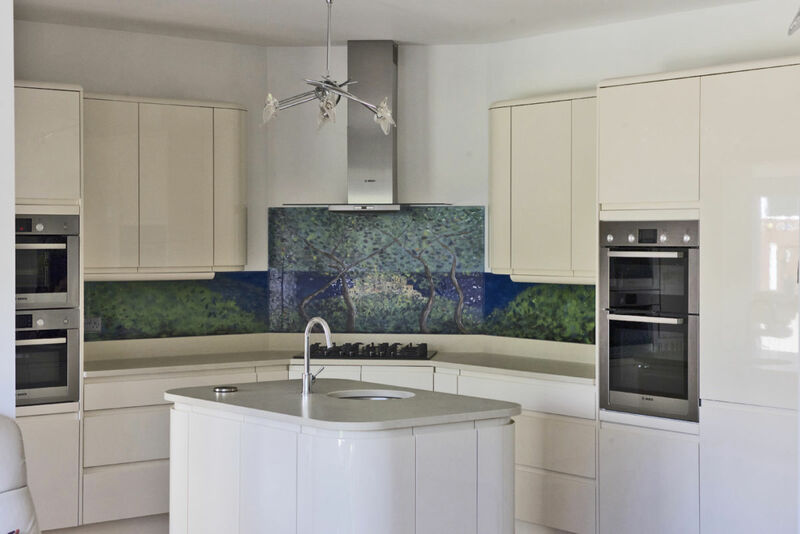 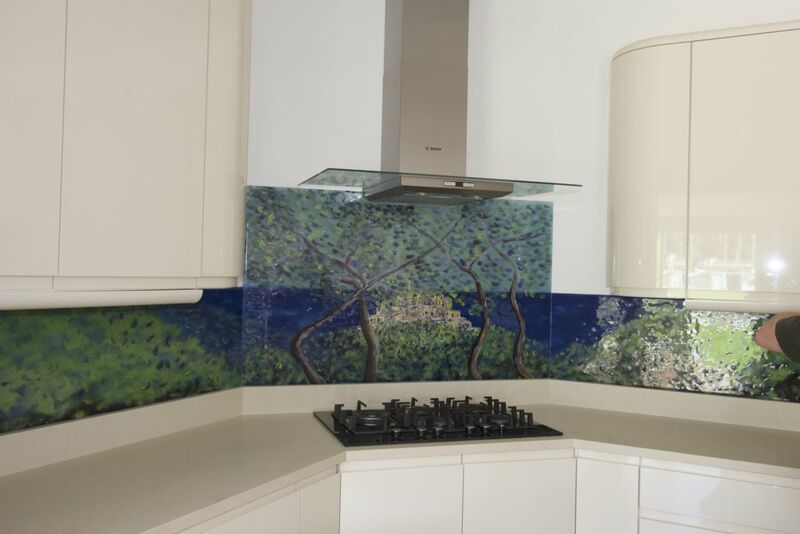 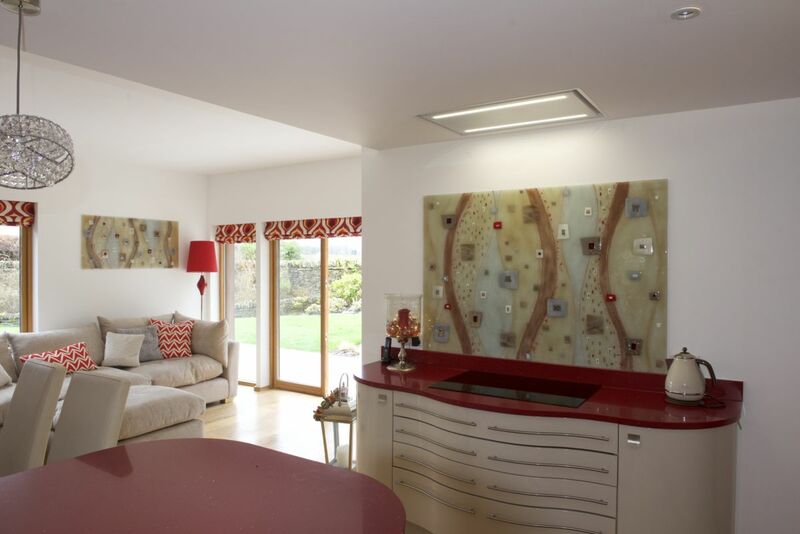 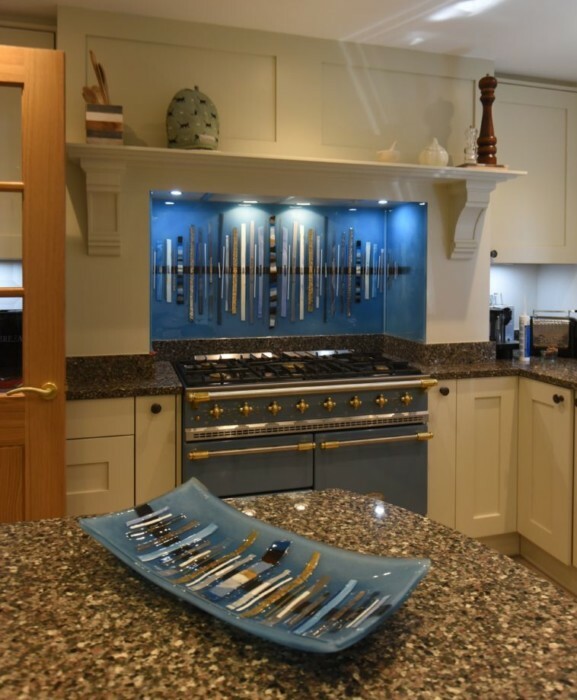 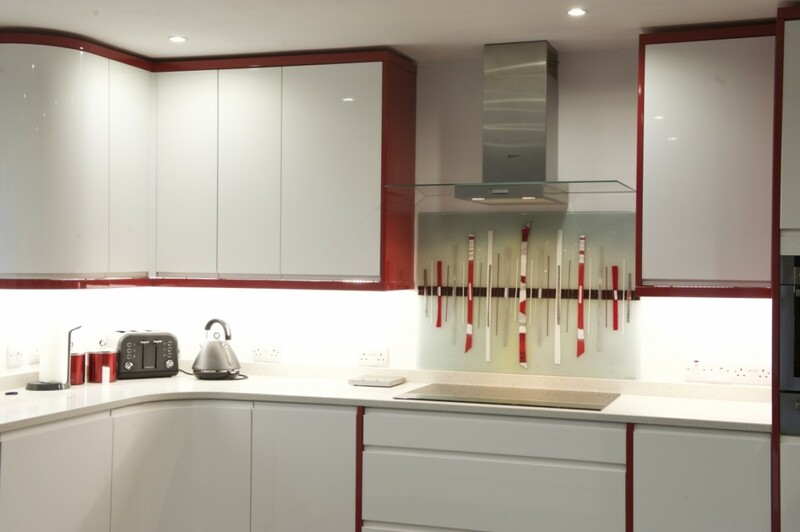 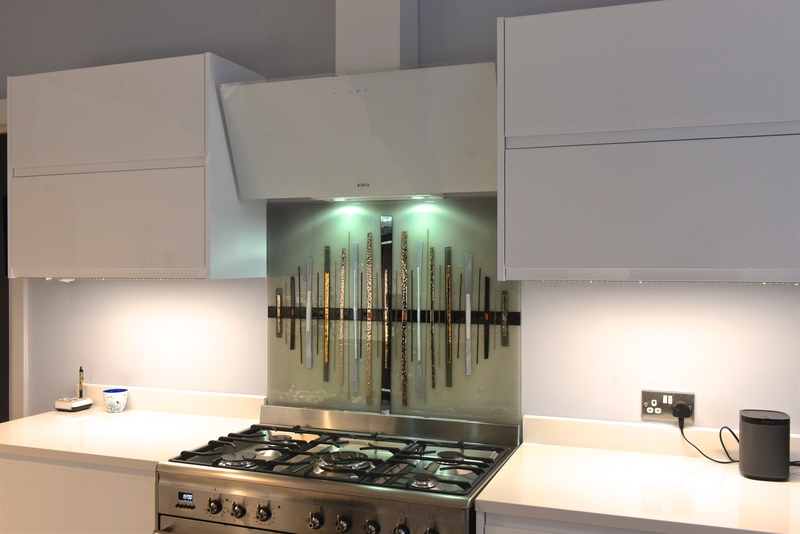 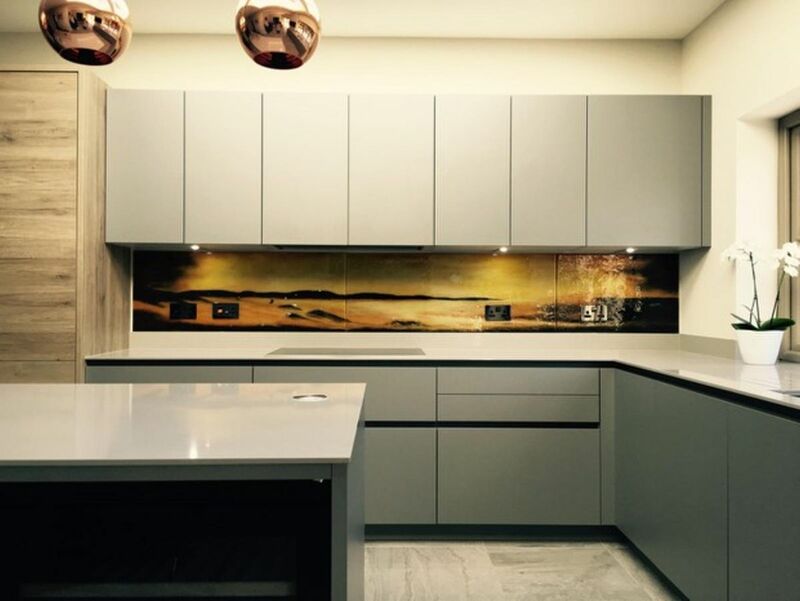 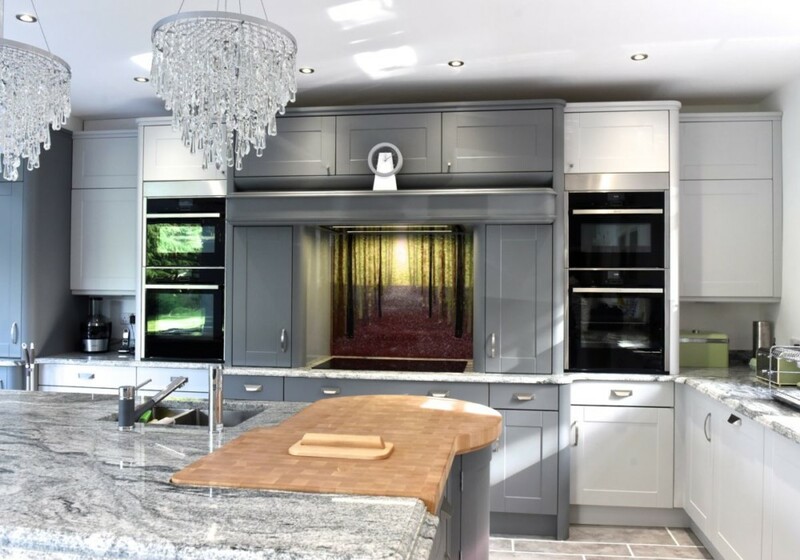 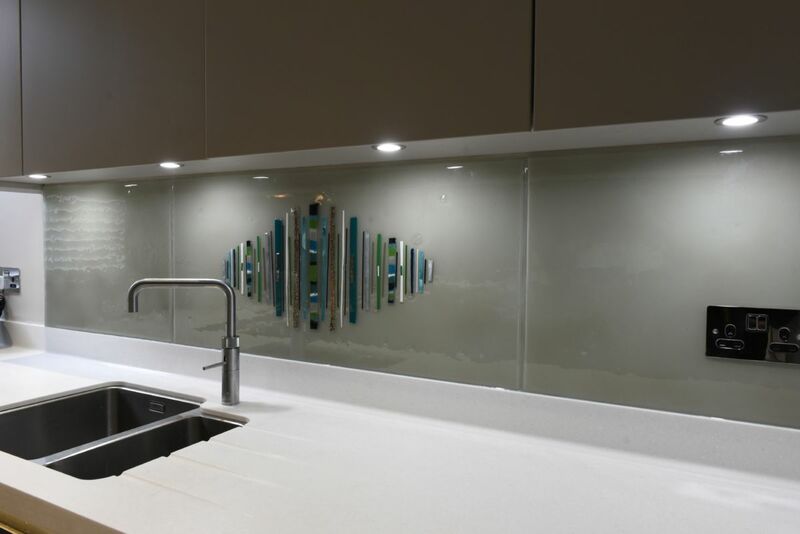 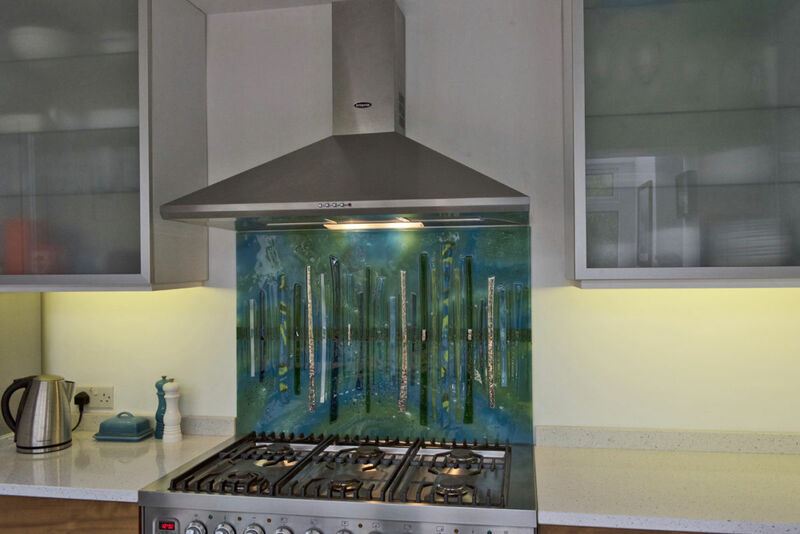 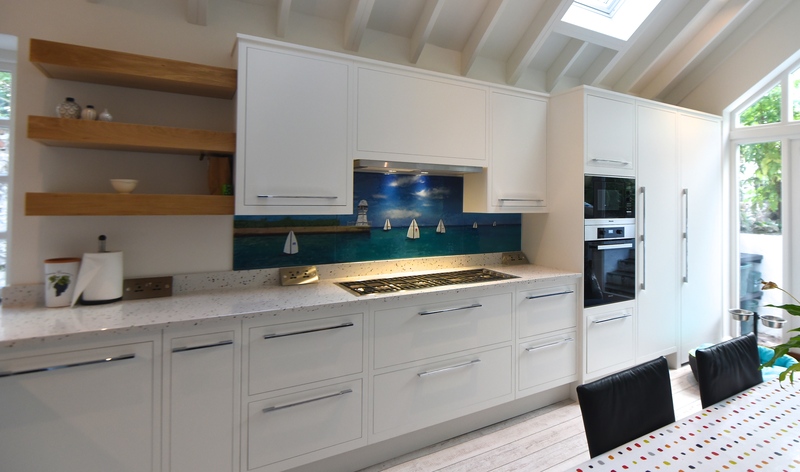 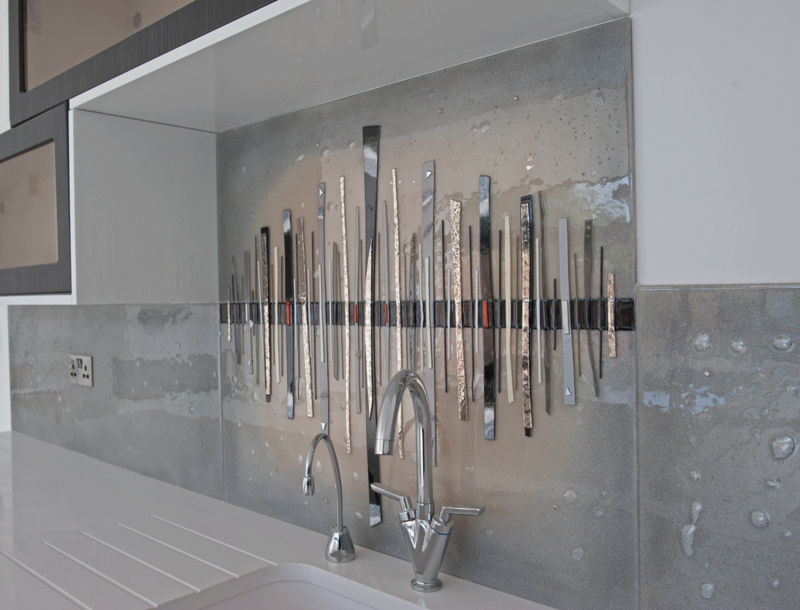 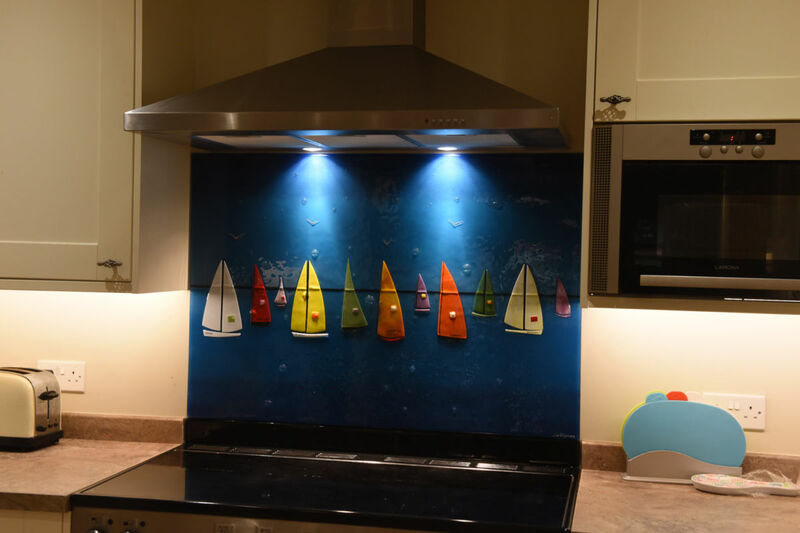 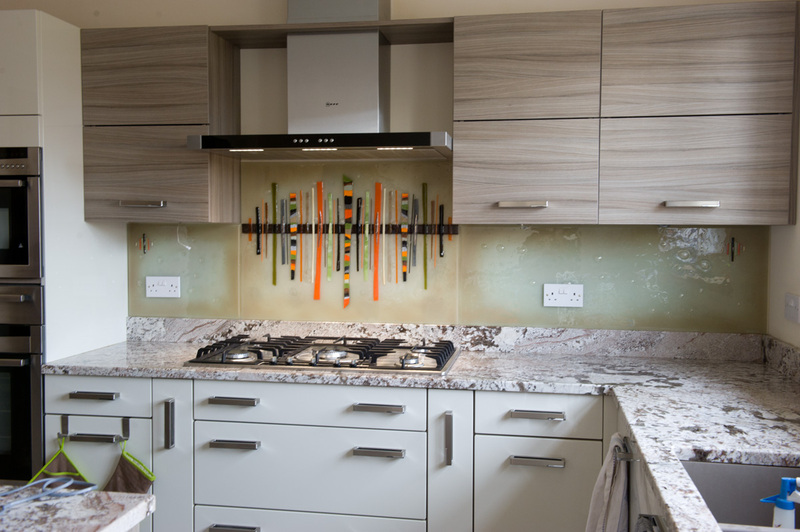 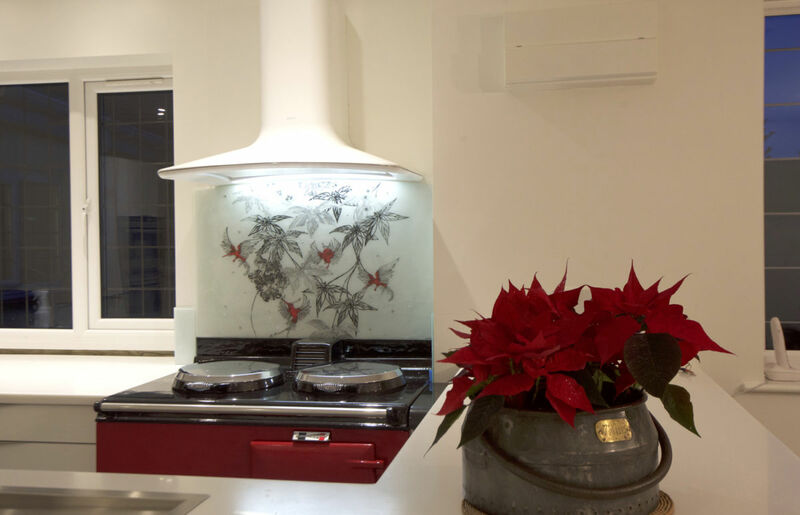 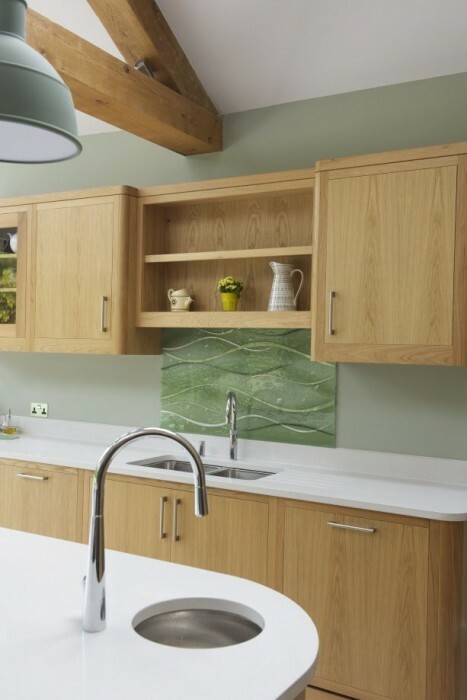 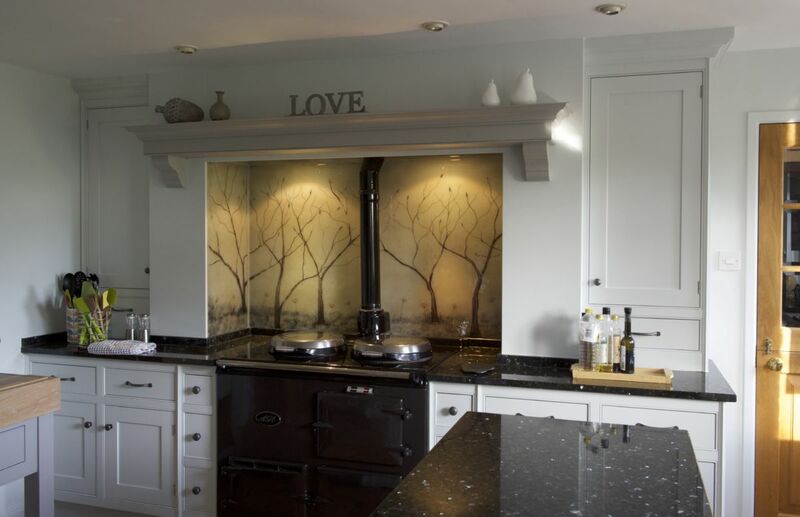 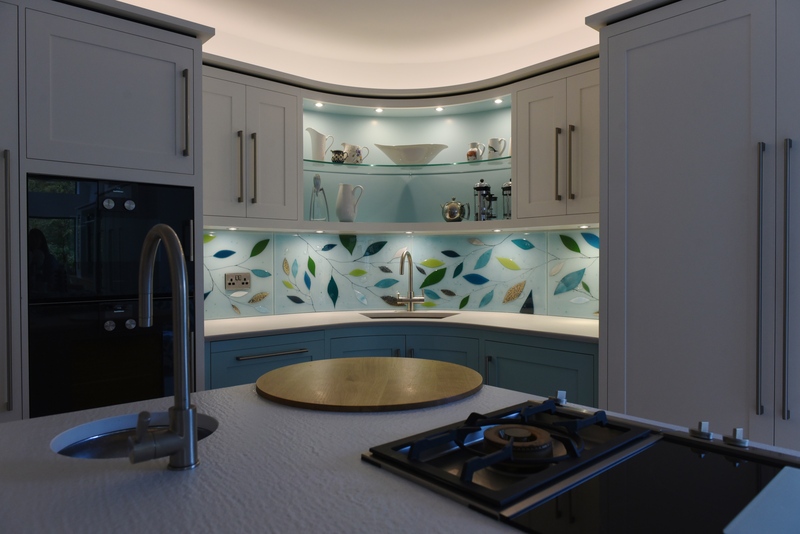 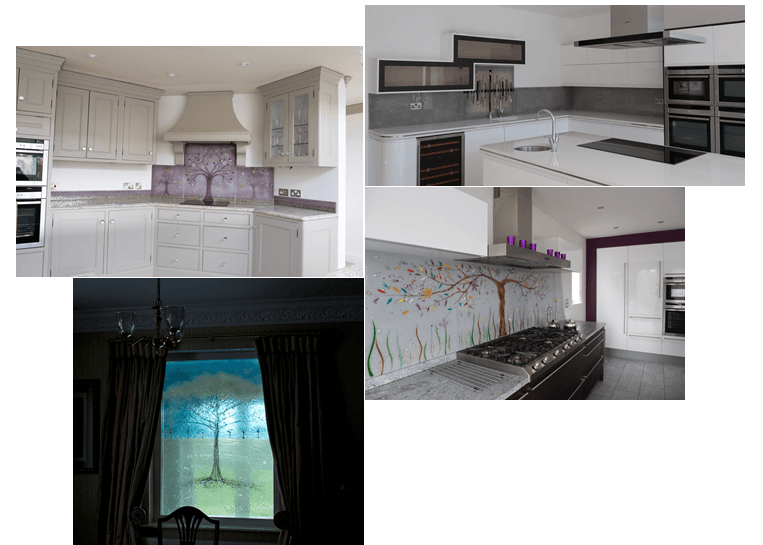 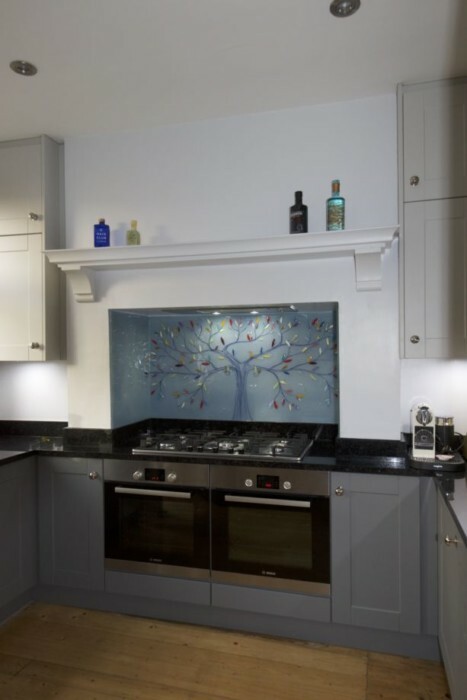 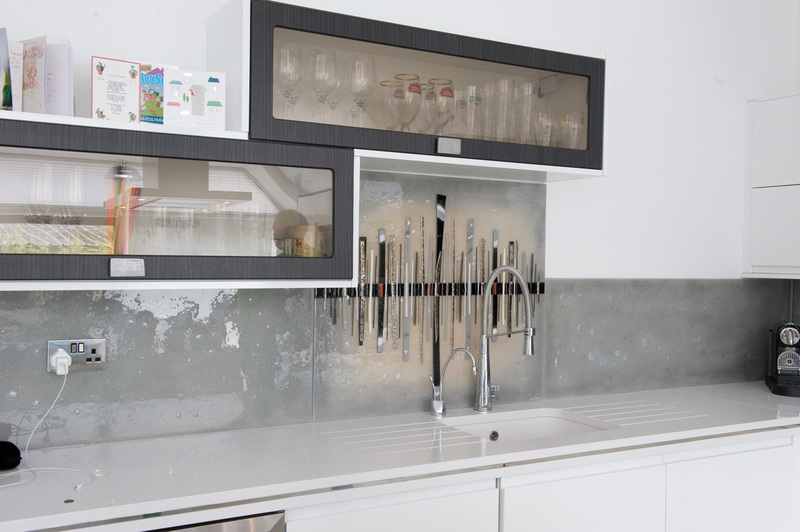 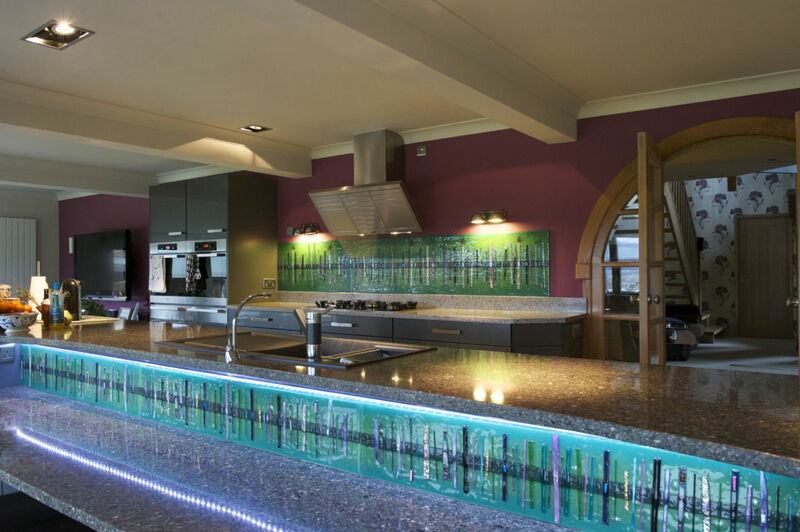 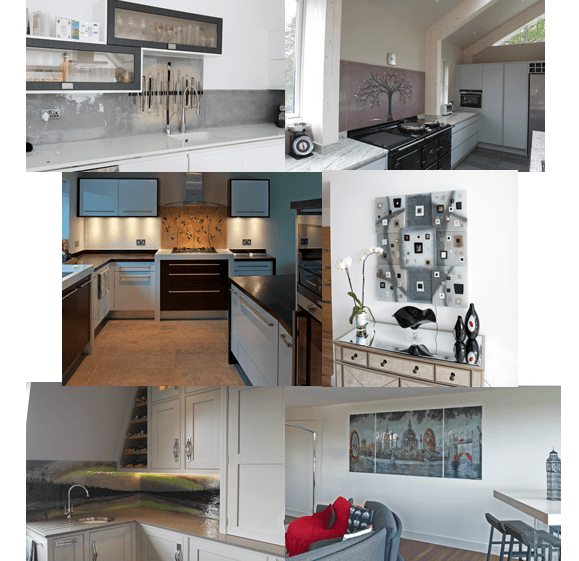 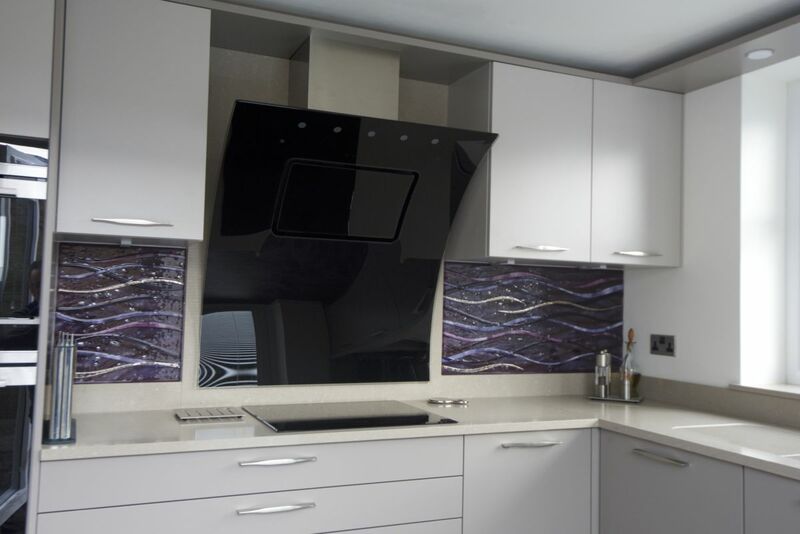 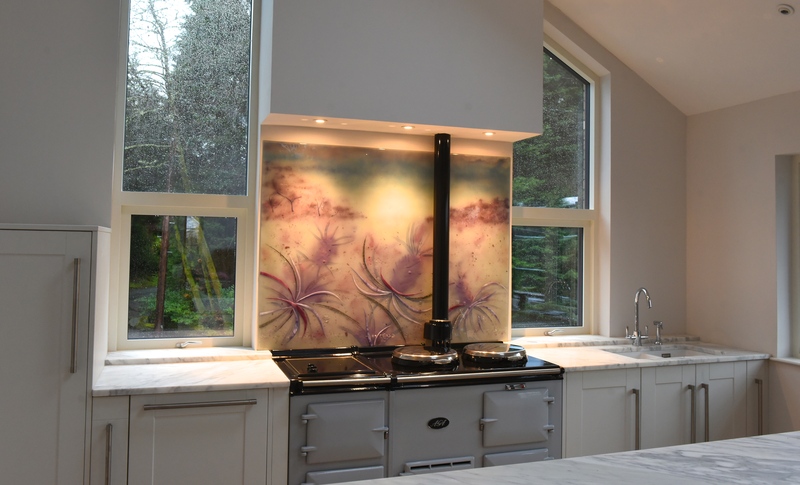 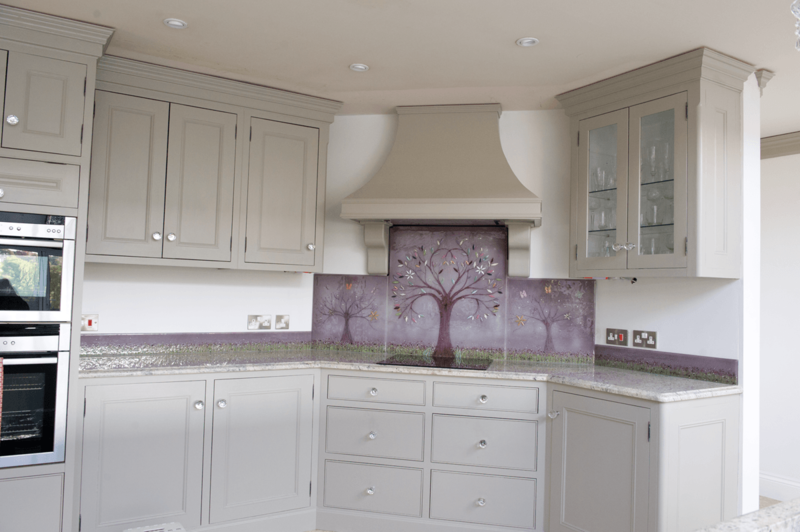 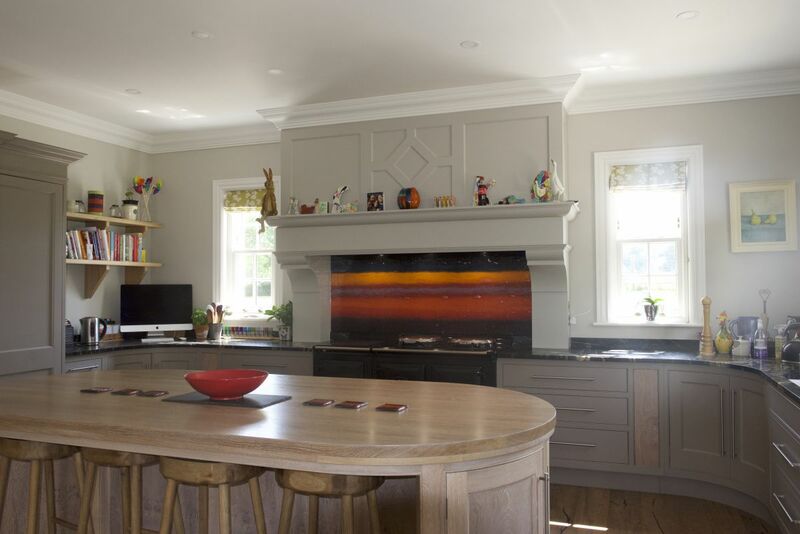 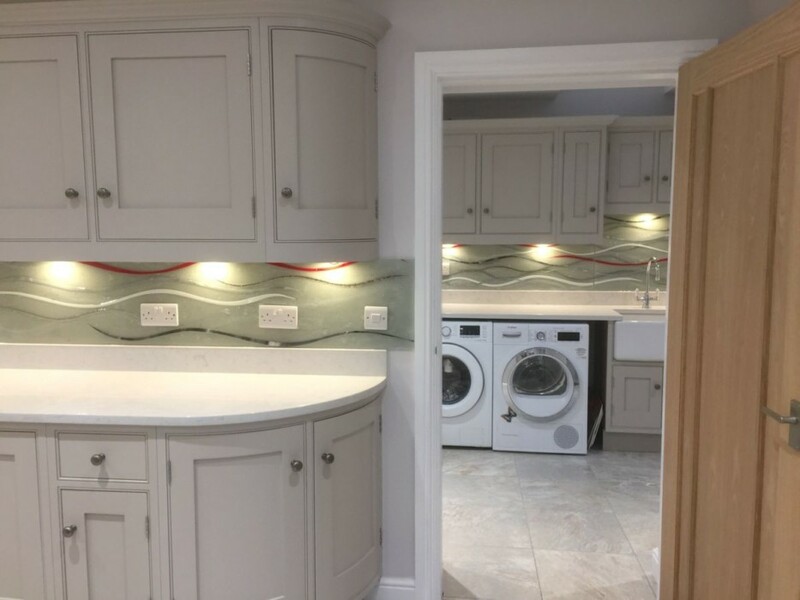 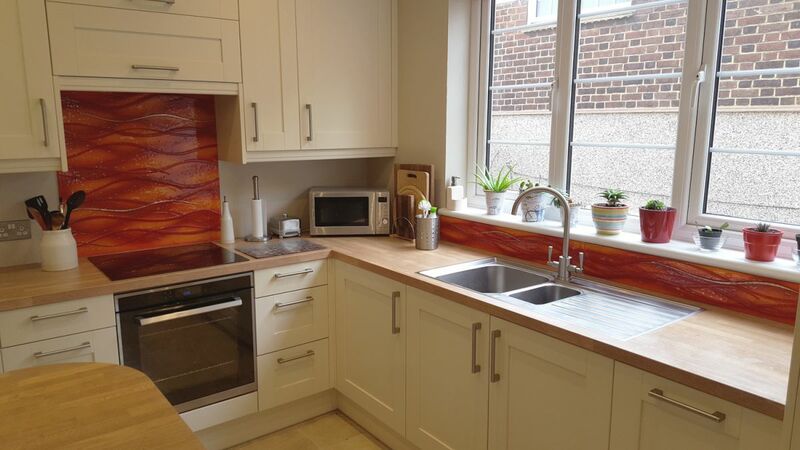 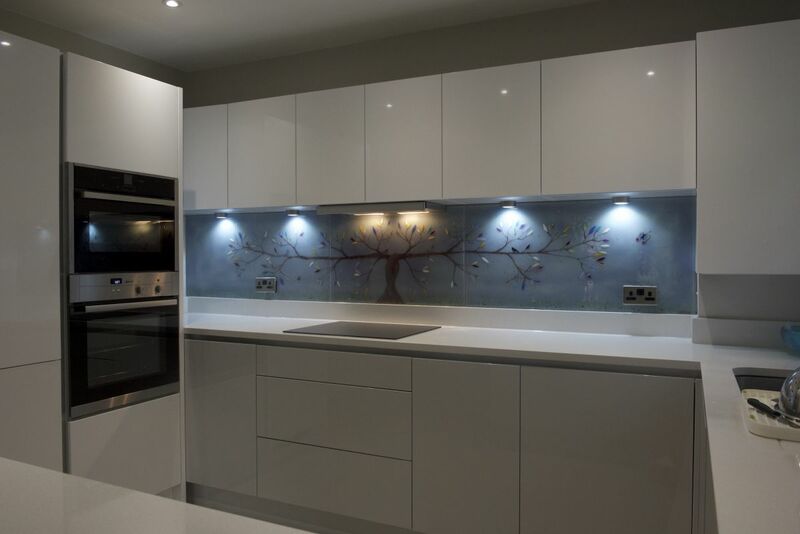 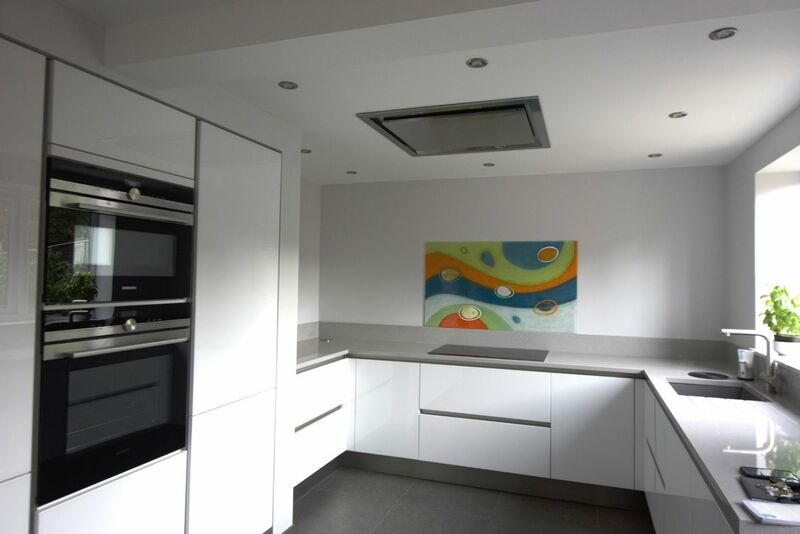 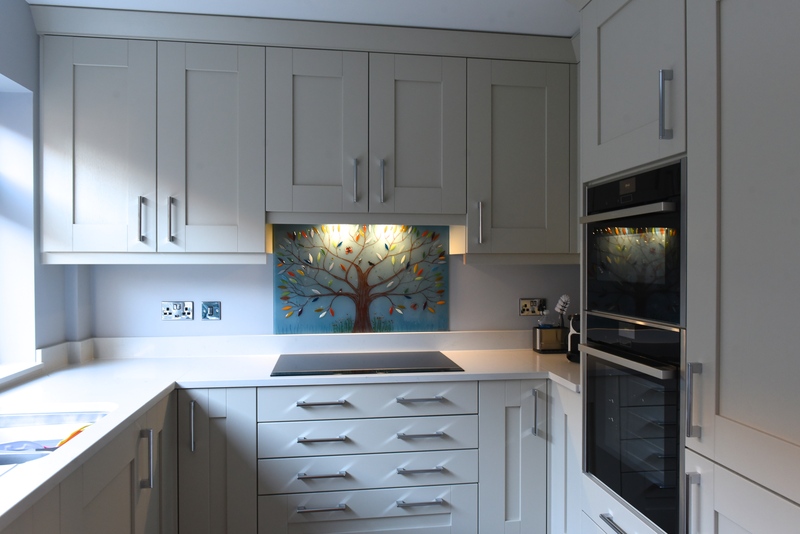 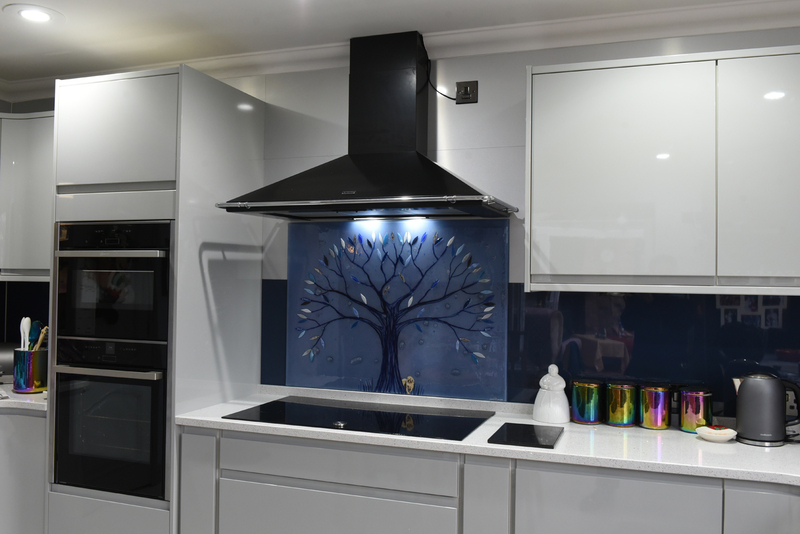 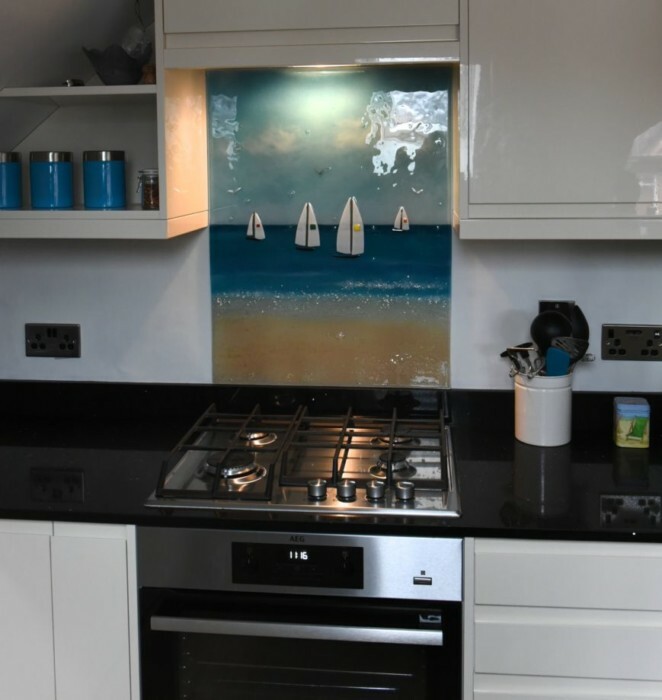 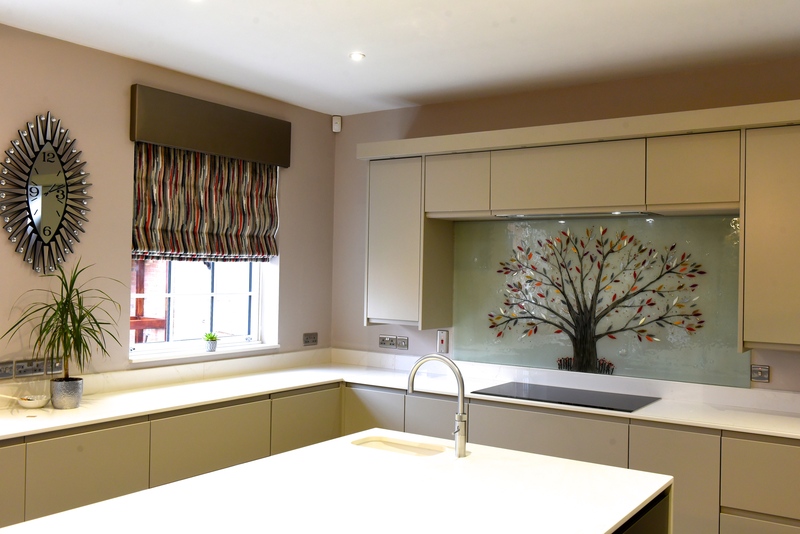 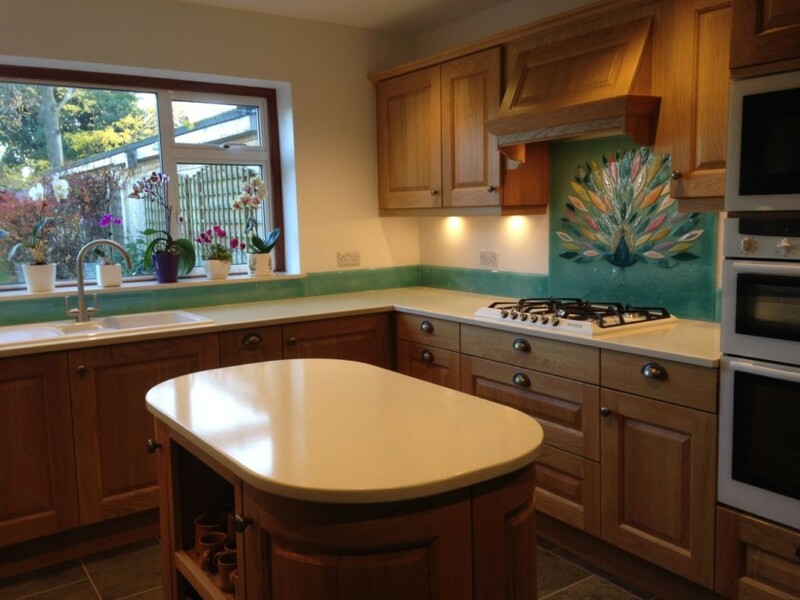 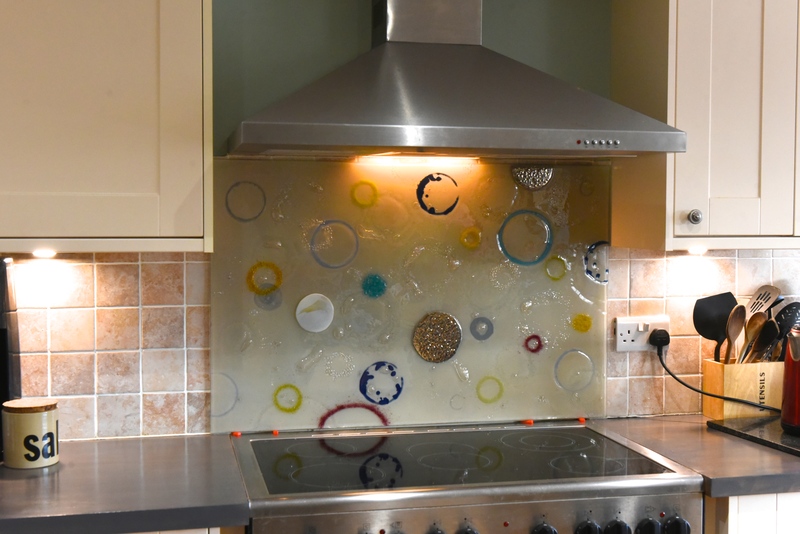 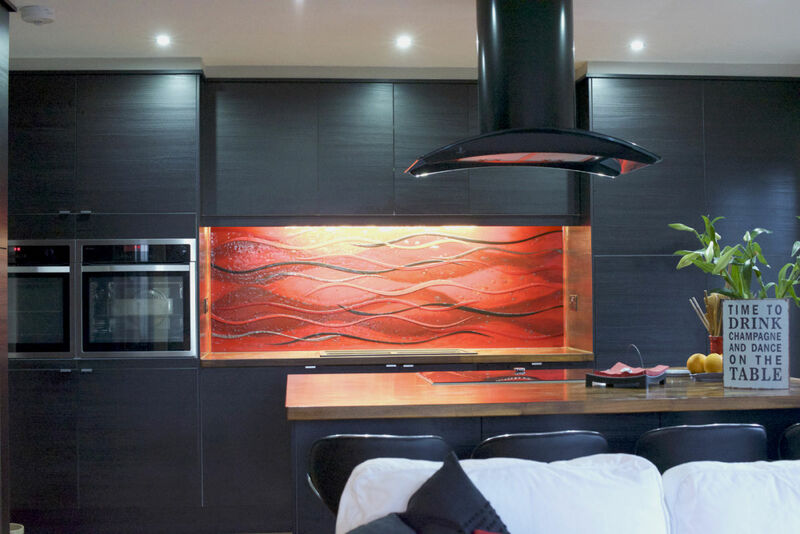 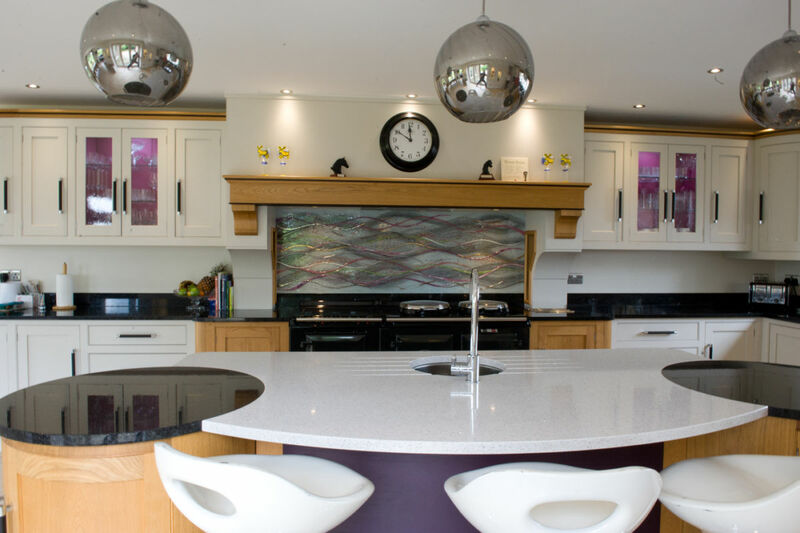 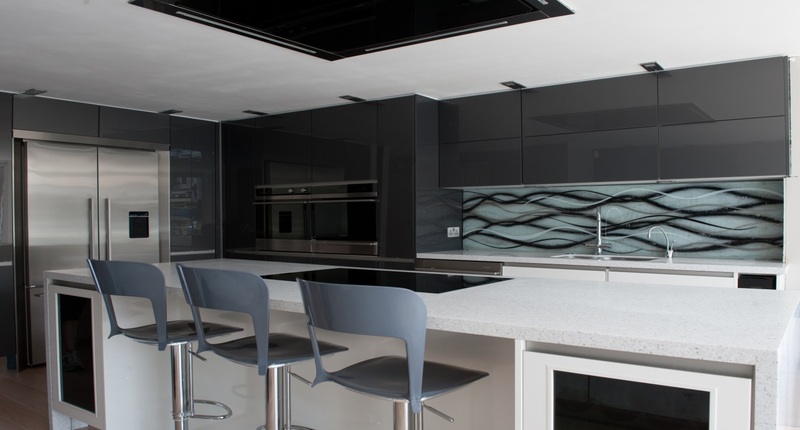 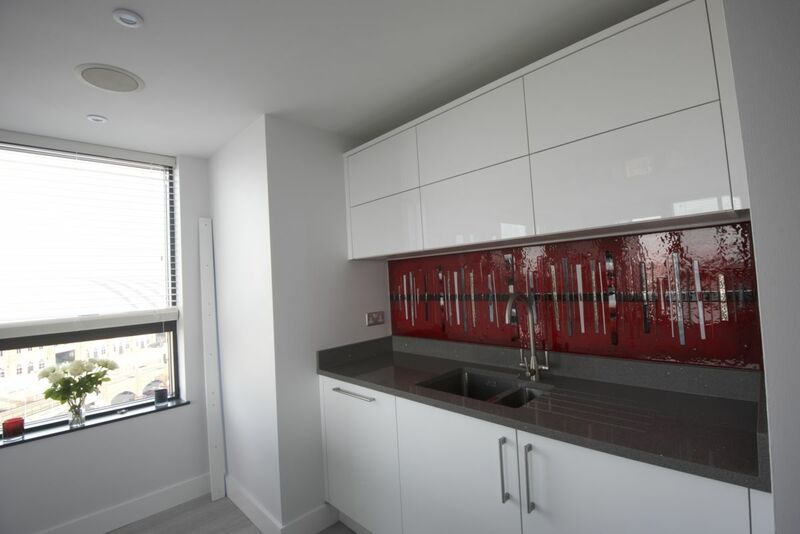 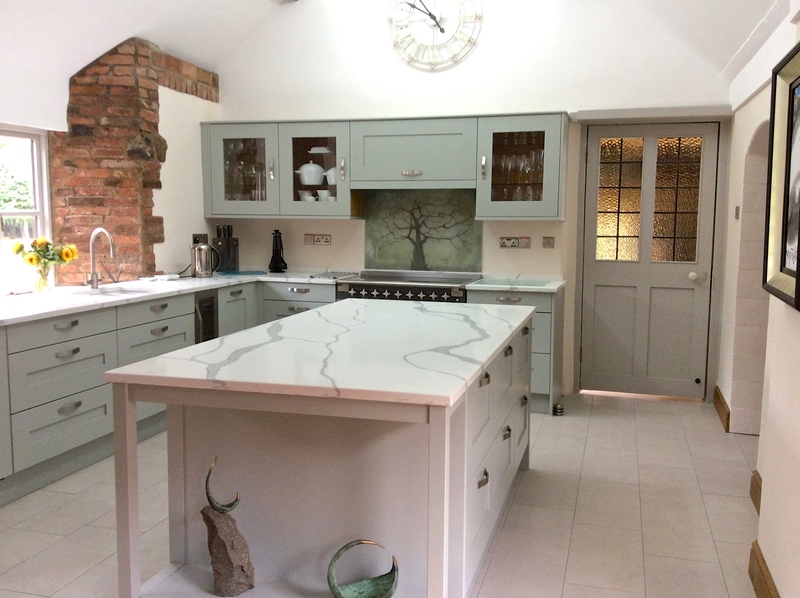 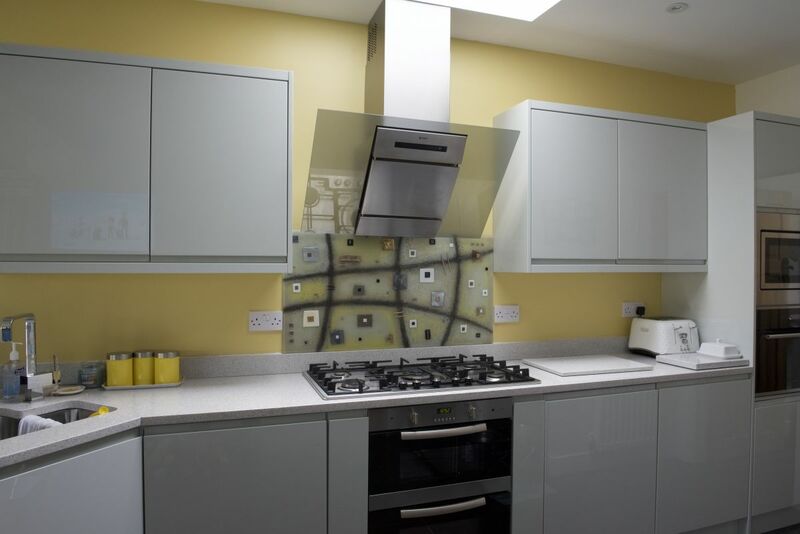 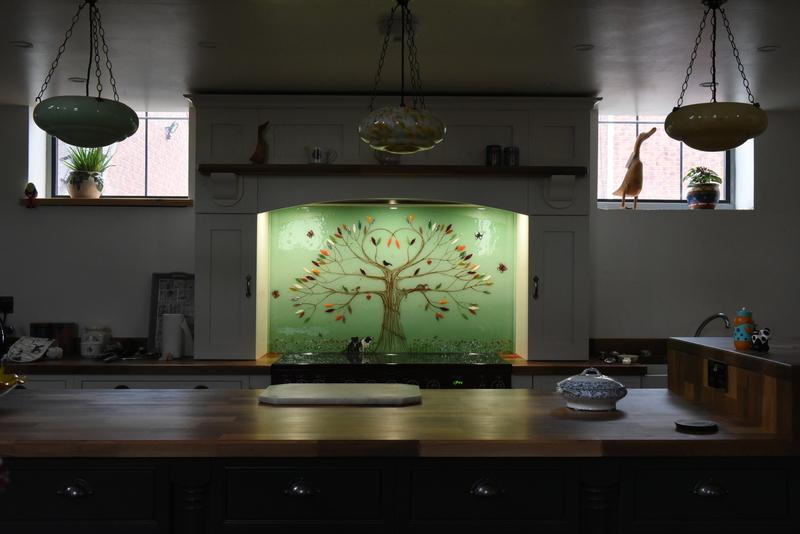 Take a look through our extensive portfolio of completed works and we’re sure you’ll feel inspired to invest in your very own bespoke glass splashbacks, no matter what size or shape they might take. 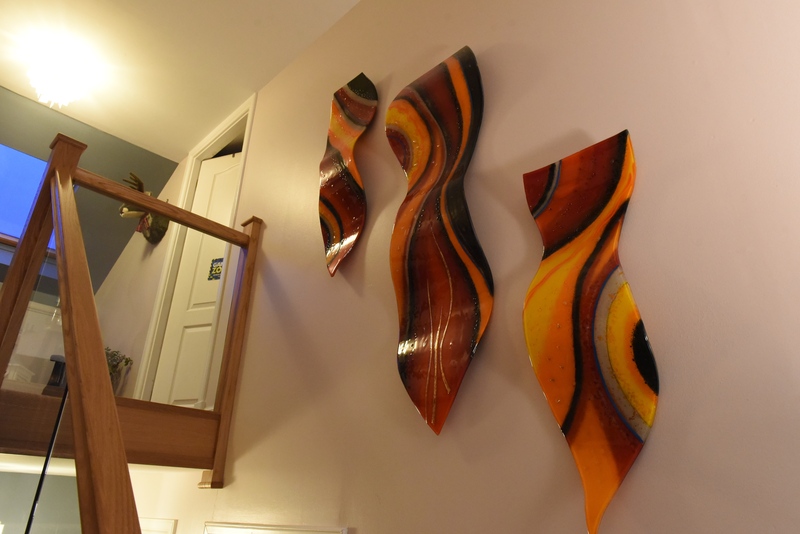 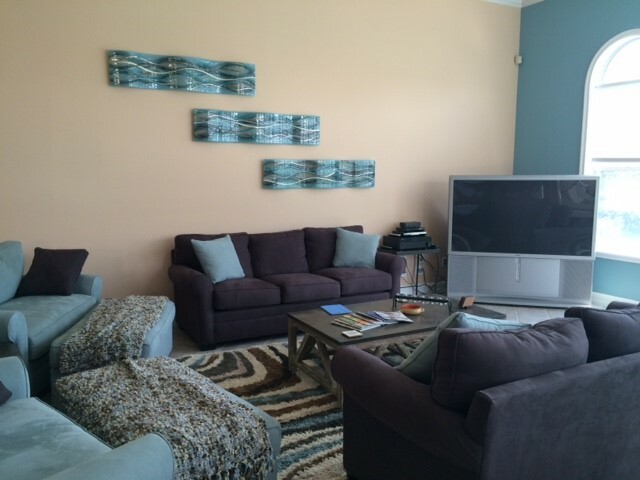 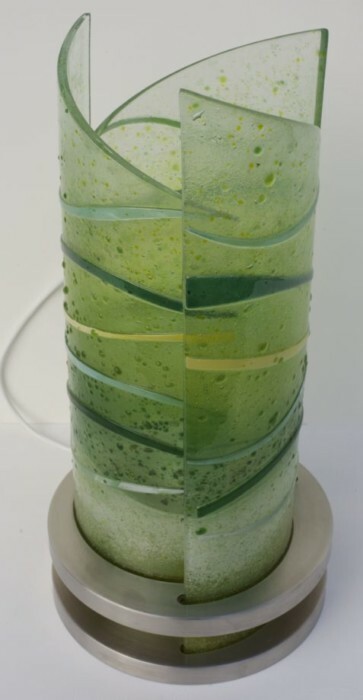 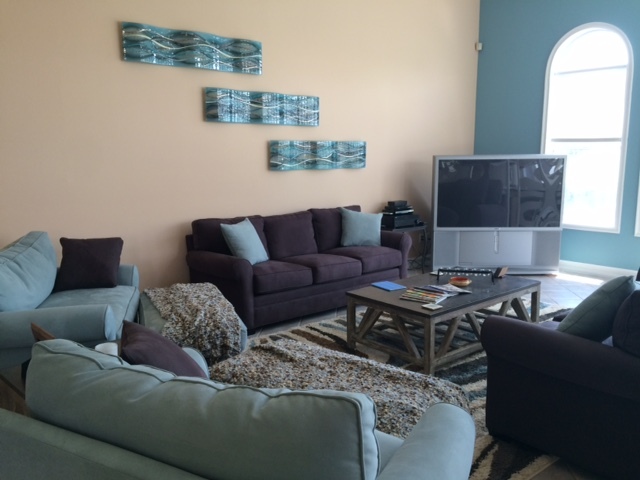 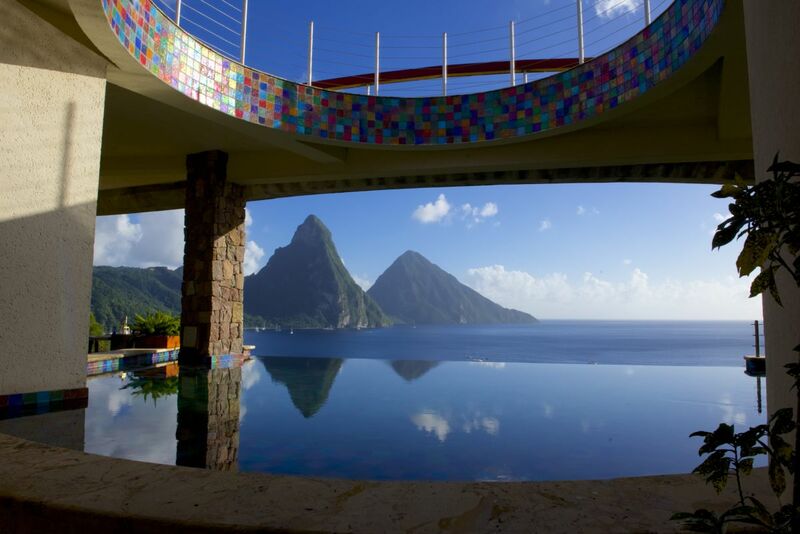 You may even want to look into getting multiple different pieces, or a set of matching panels. 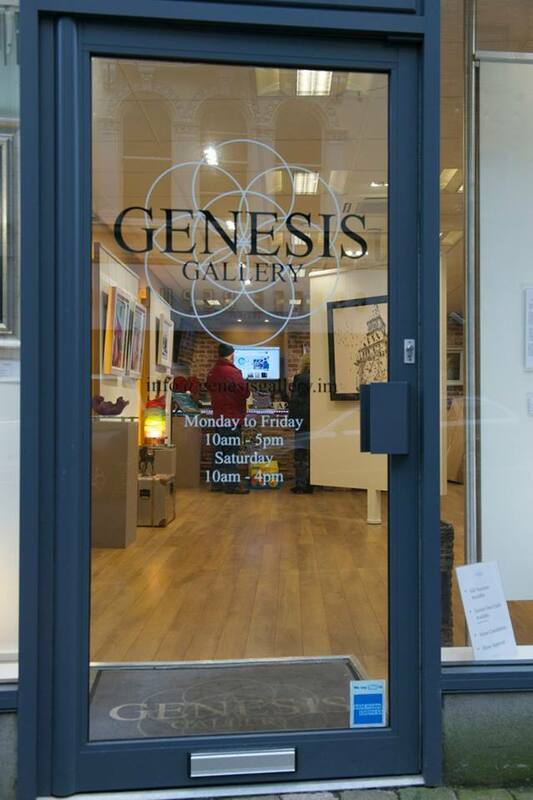 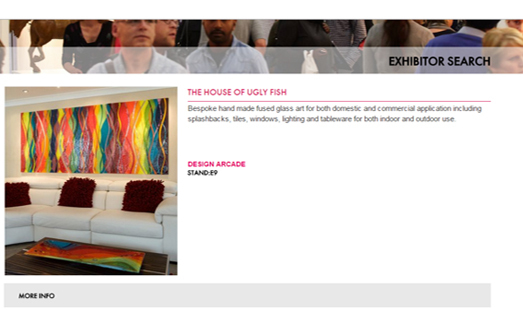 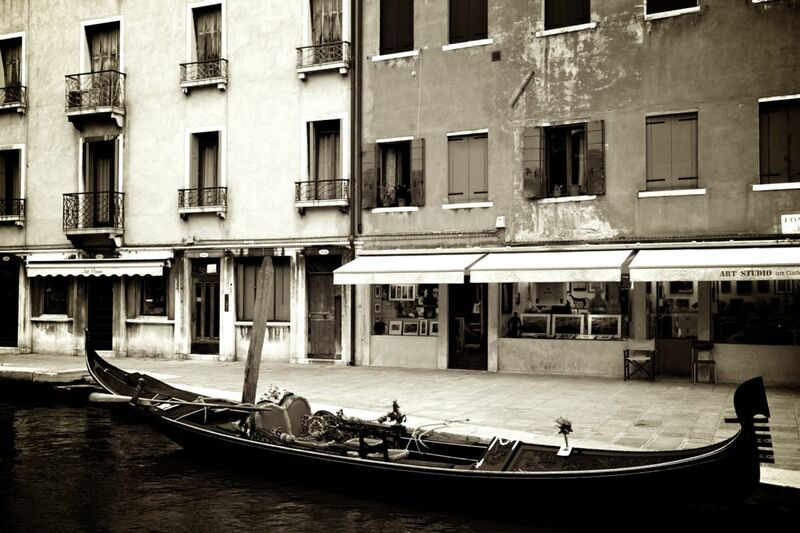 No matter what, The House of Ugly Fish is ready and waiting to get started on your perfect piece of fused glass art!